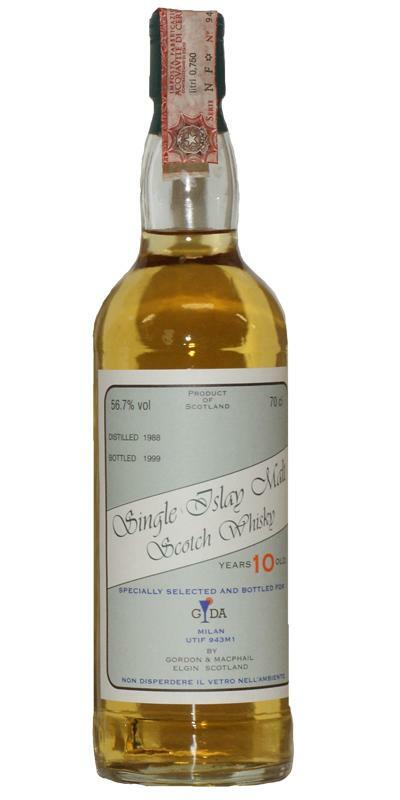 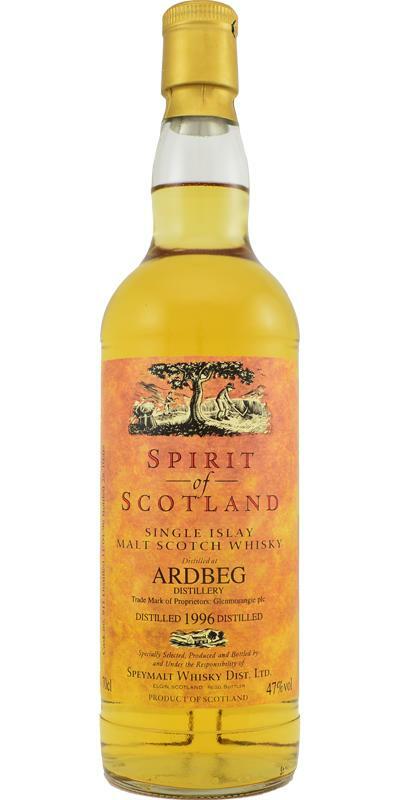 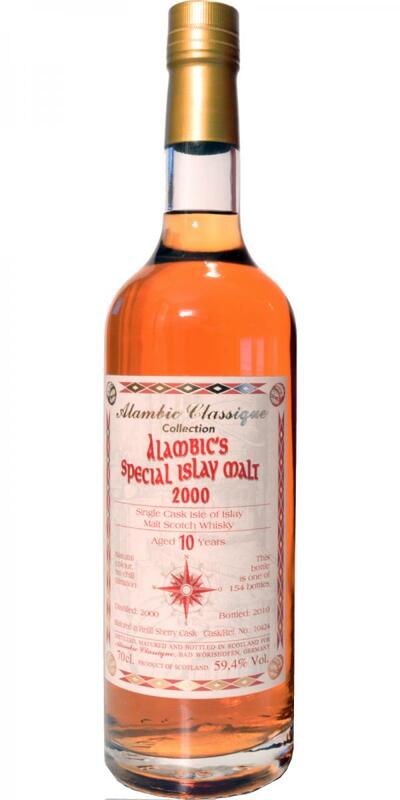 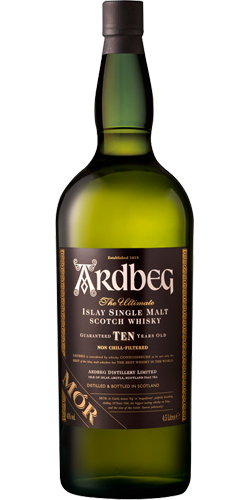 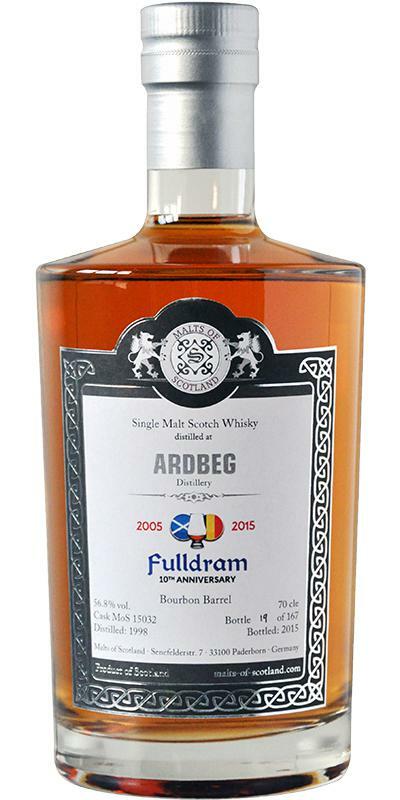 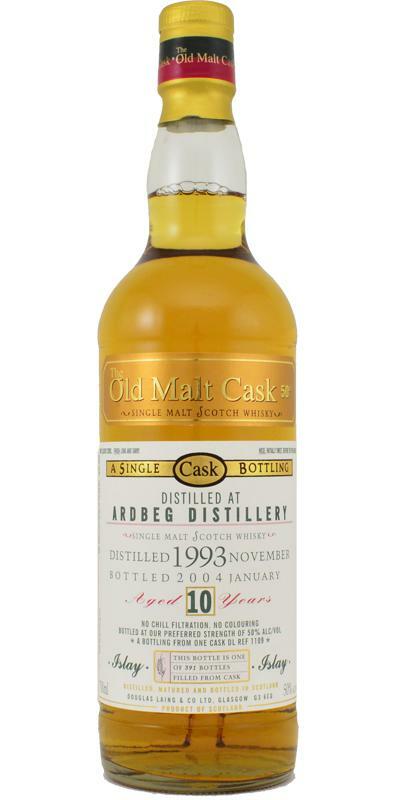 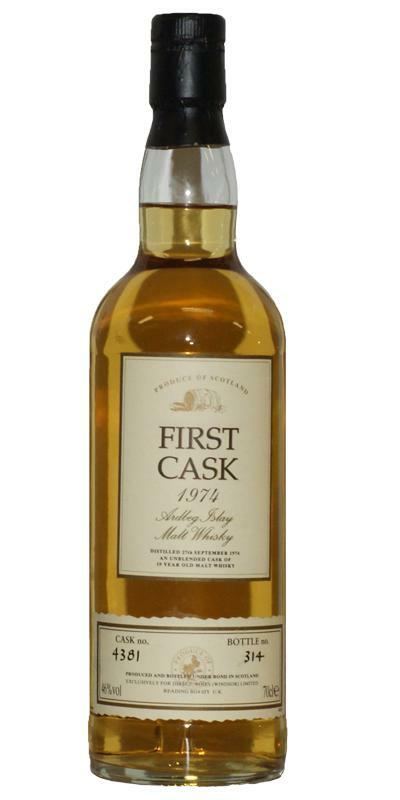 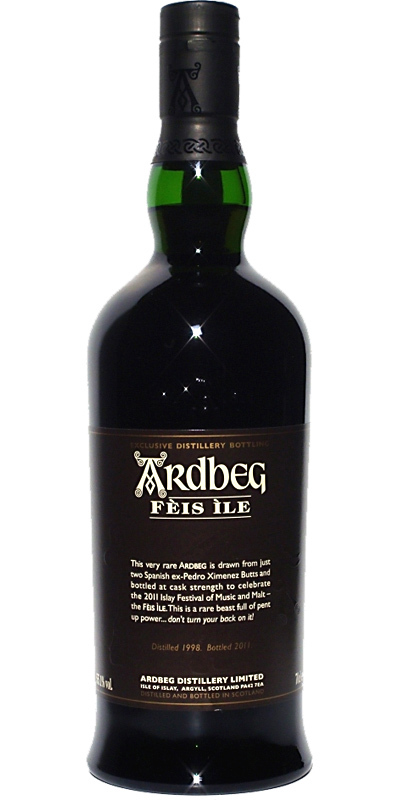 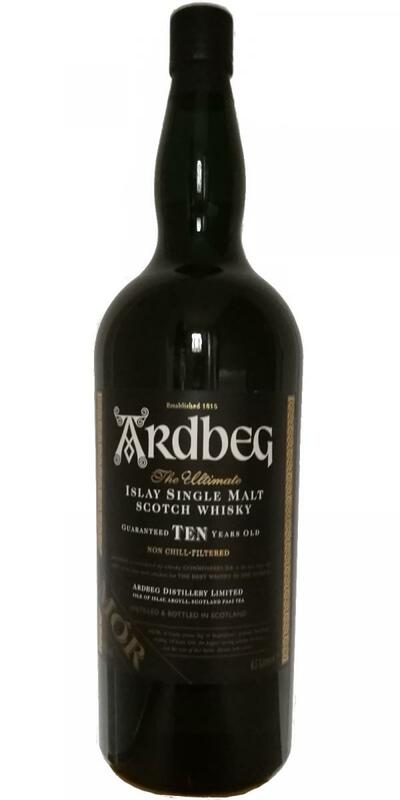 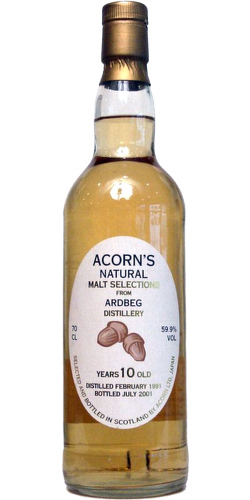 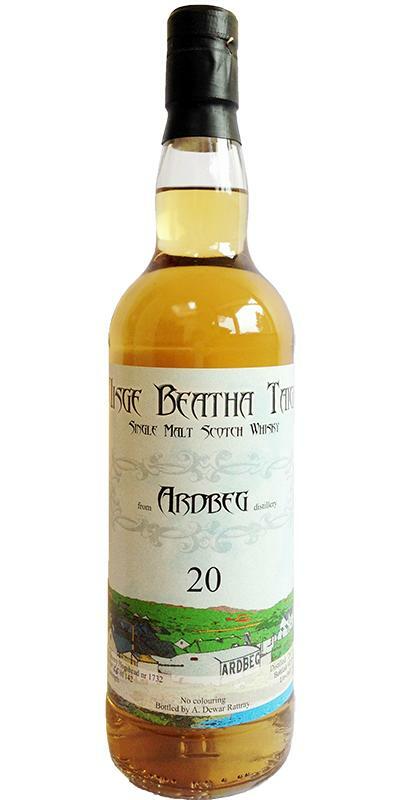 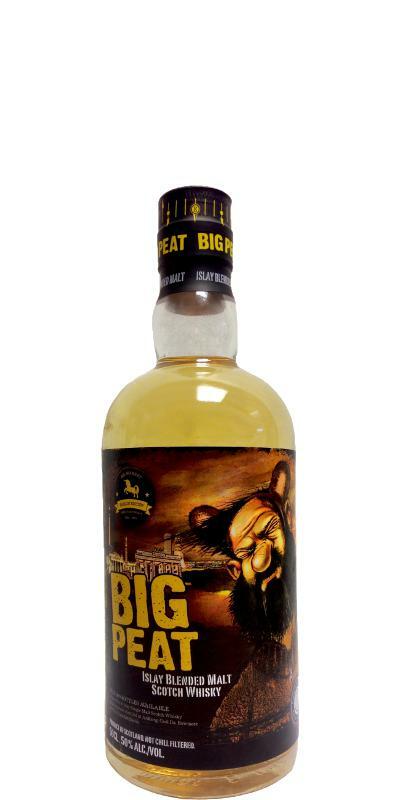 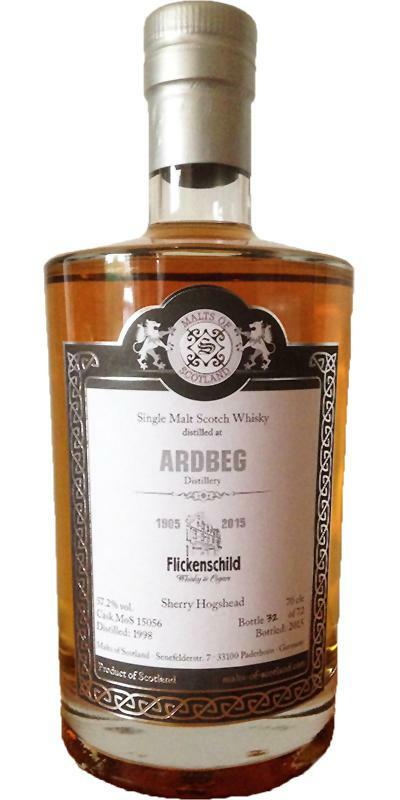 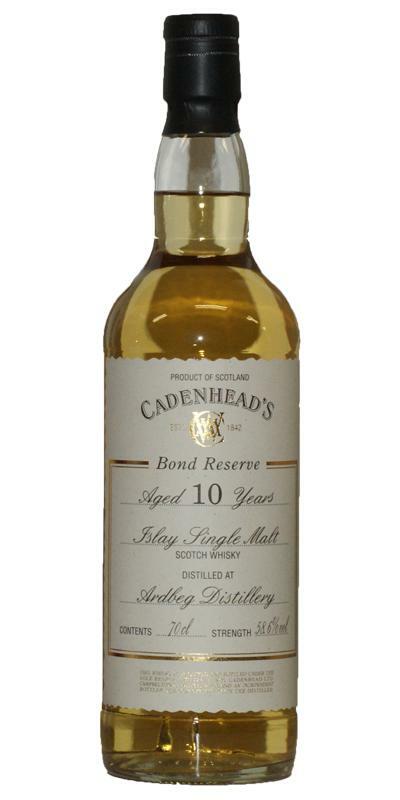 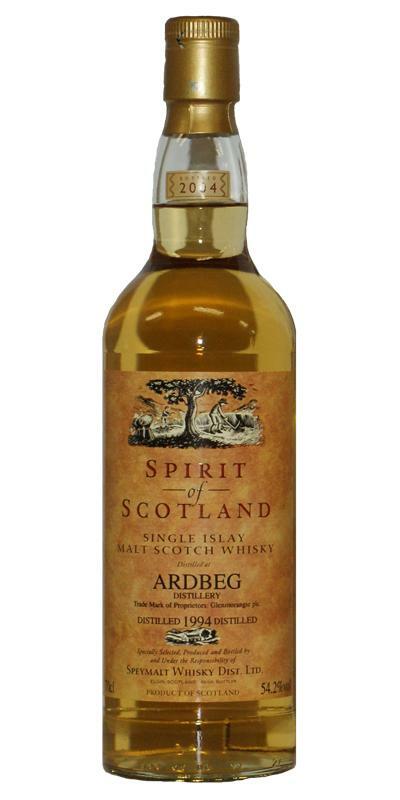 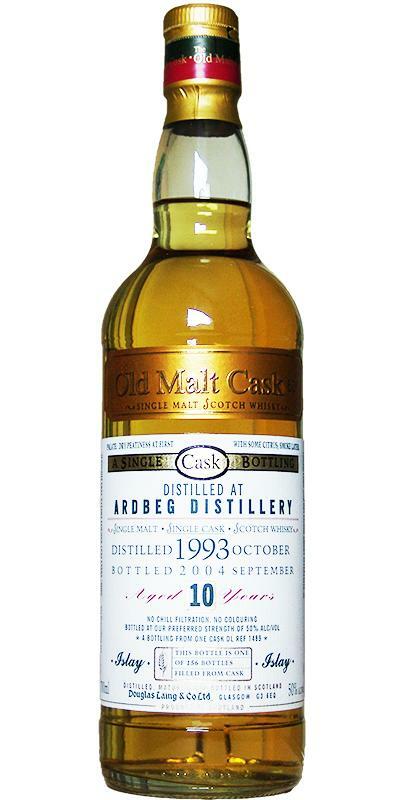 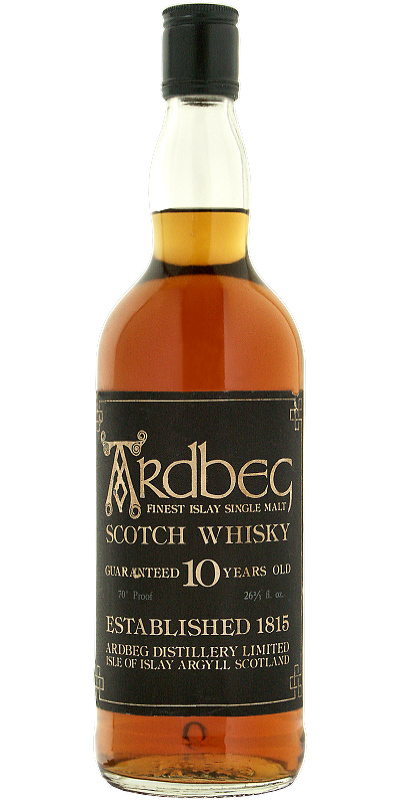 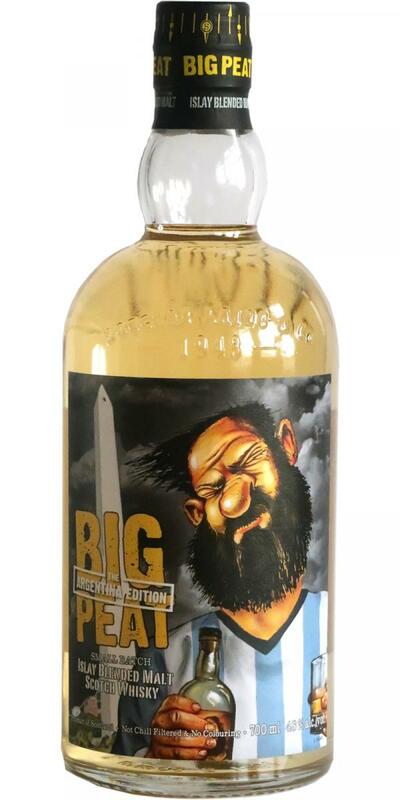 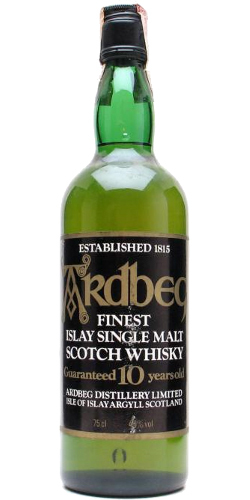 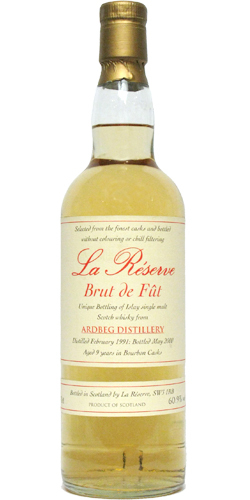 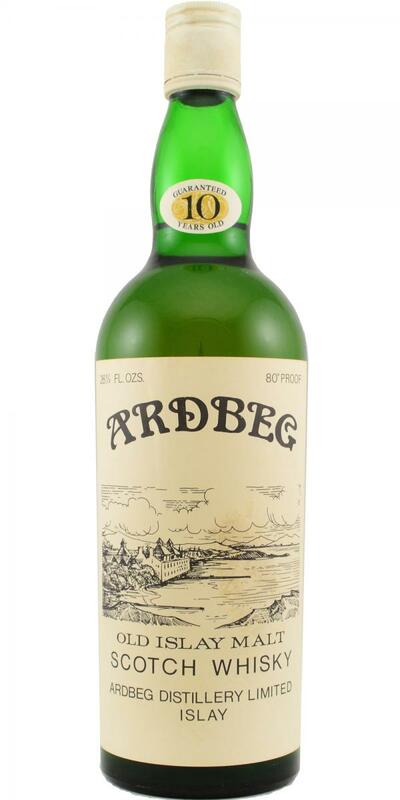 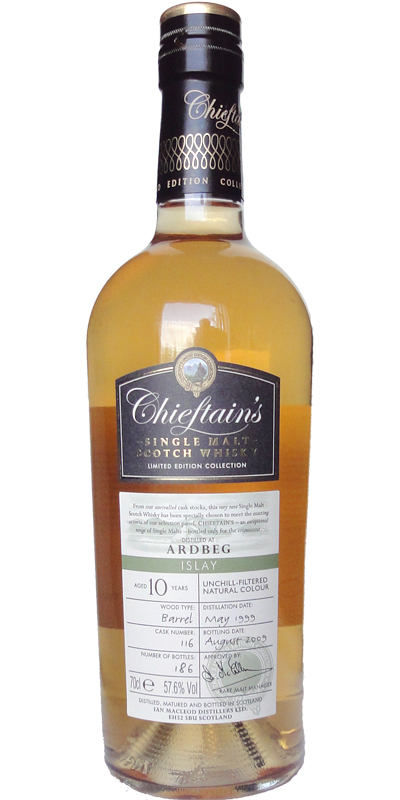 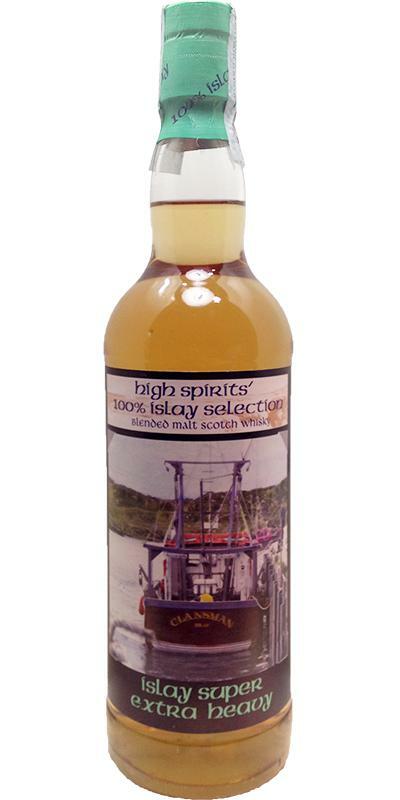 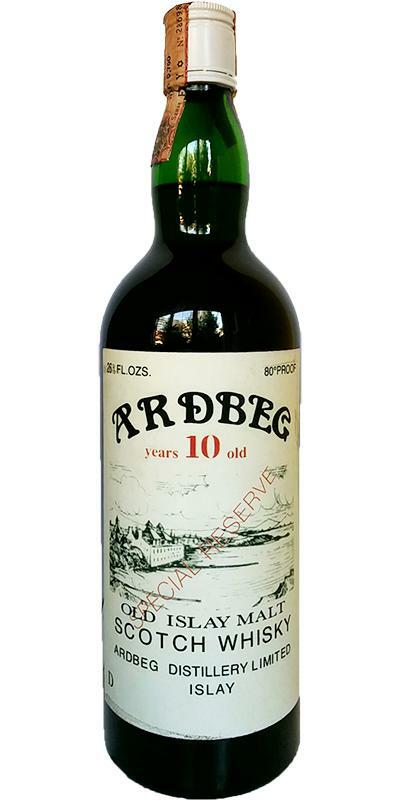 Ardbeg 10-year-old Finest Islay Single Malt Scotch Whisky 10 40.0 % Vol. 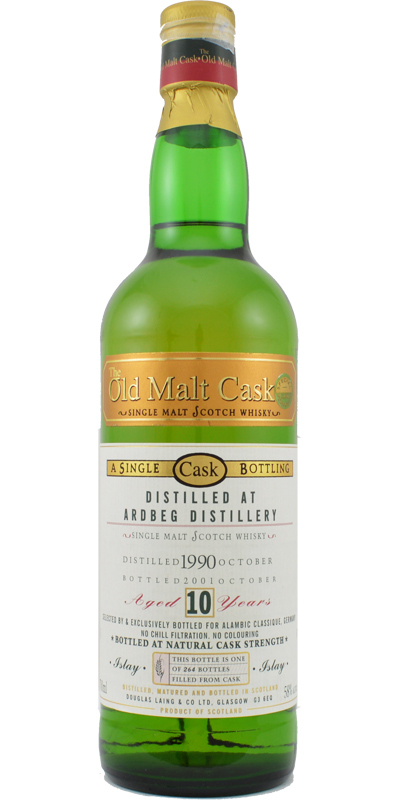 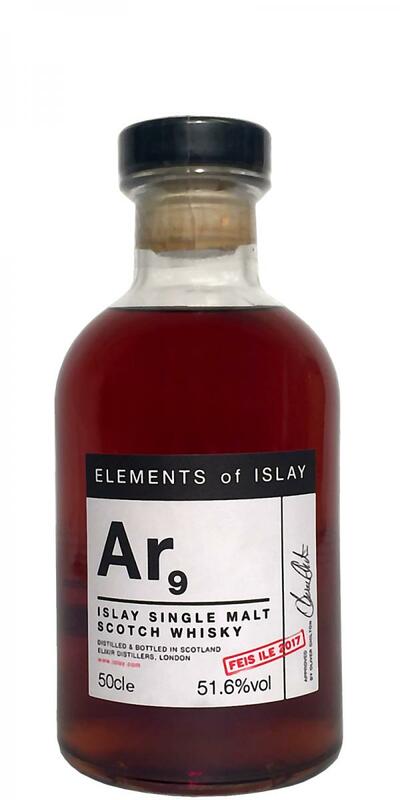 Ardbeg 10-year-old Very Rare Islay Single Malt 10 0.0 % Vol. 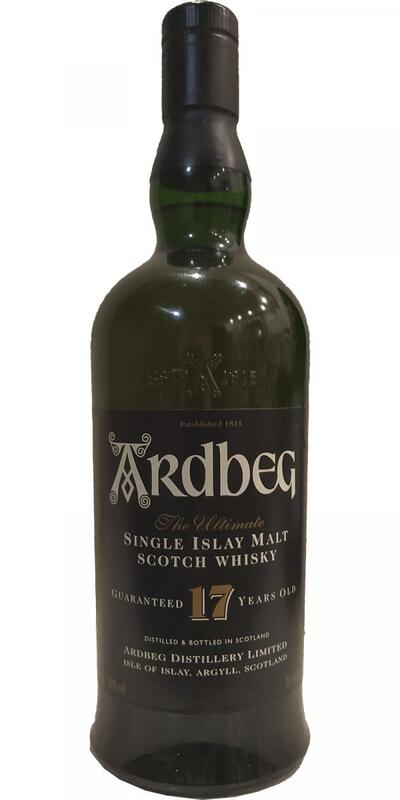 Ardbeg 17-year-old 17 40.0 % Vol. 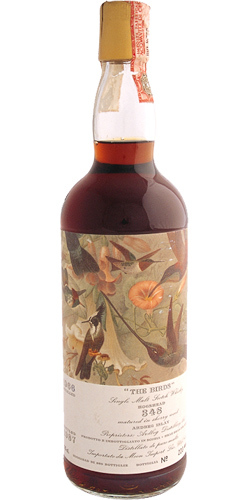 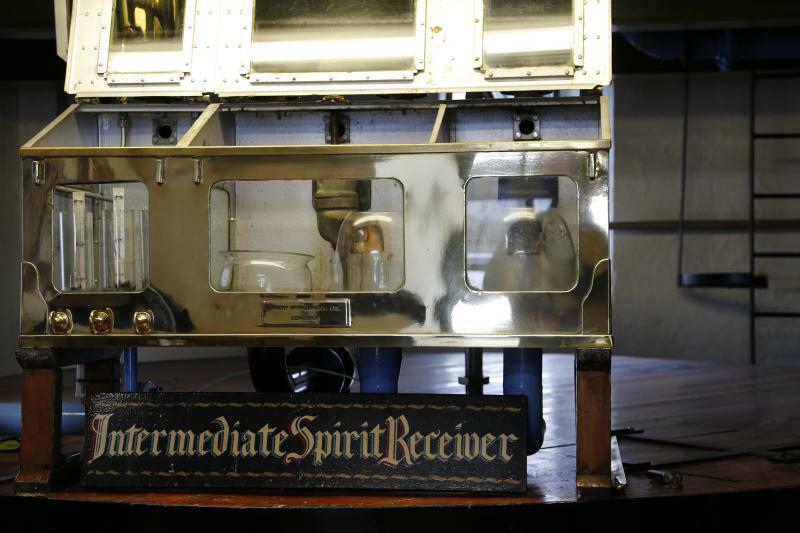 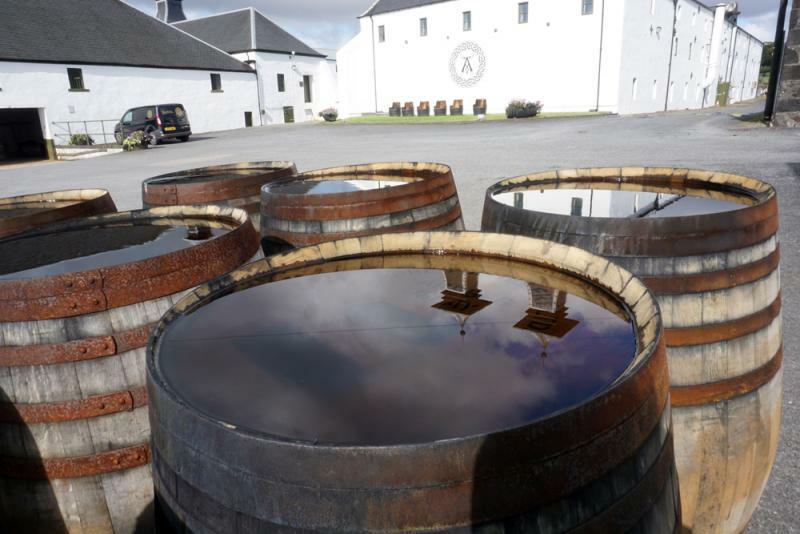 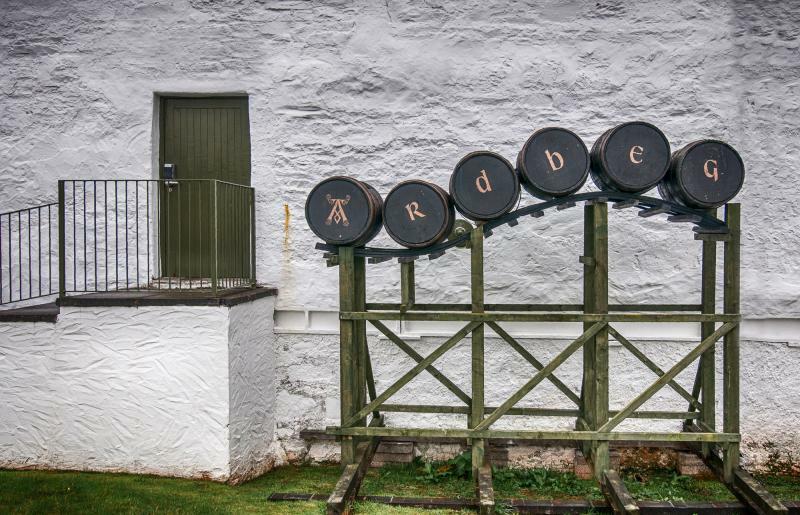 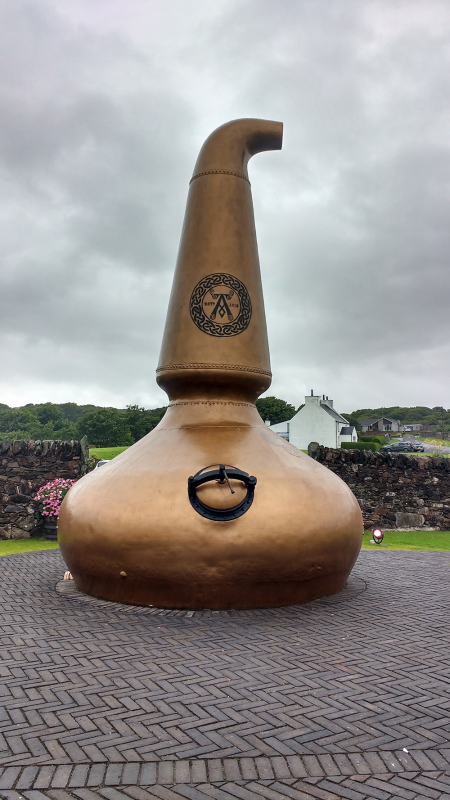 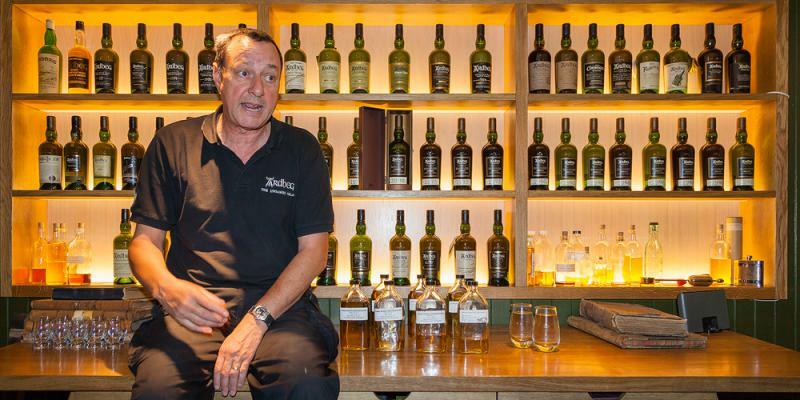 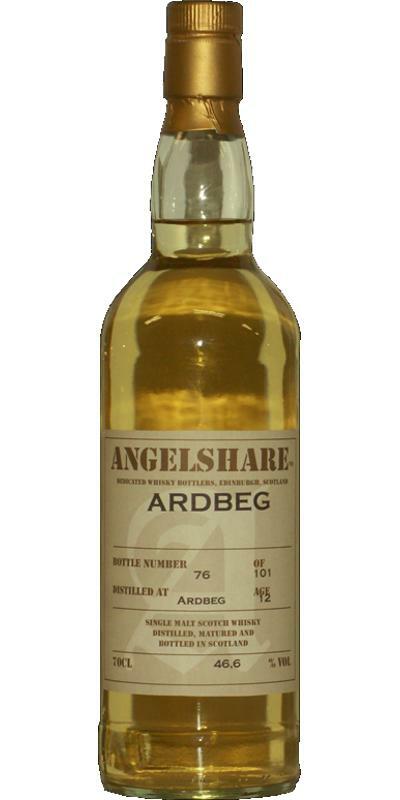 Ardbeg 17-year-old Angels' Share 17 40.0 % Vol. 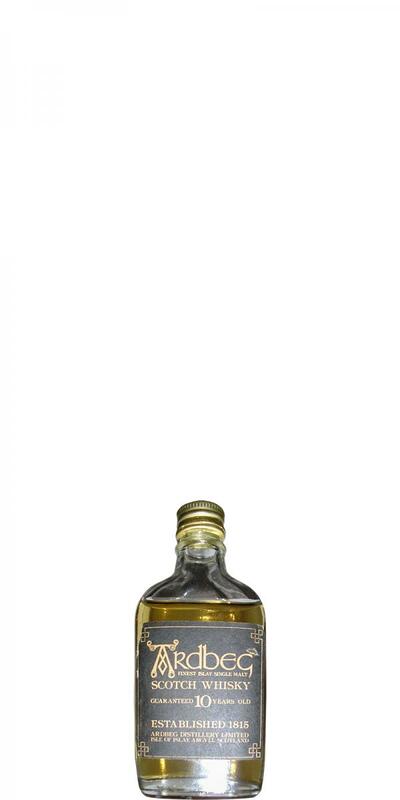 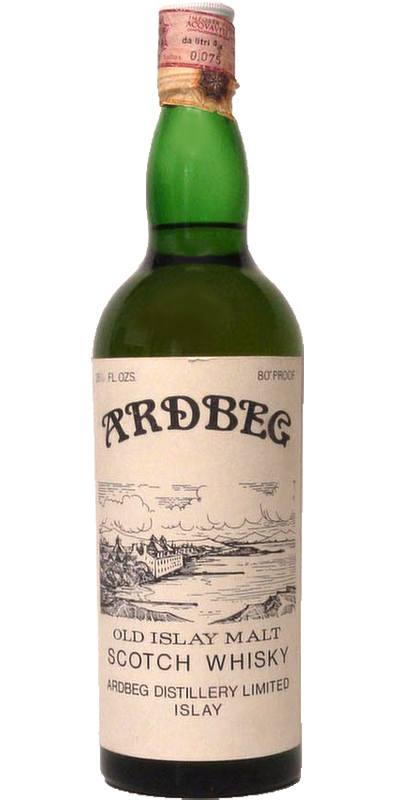 Ardbeg 1885 - FAKE BOTTLE WARNING! 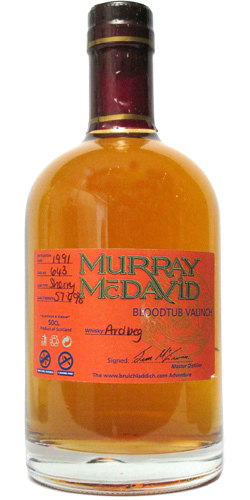 Alexander Mc. 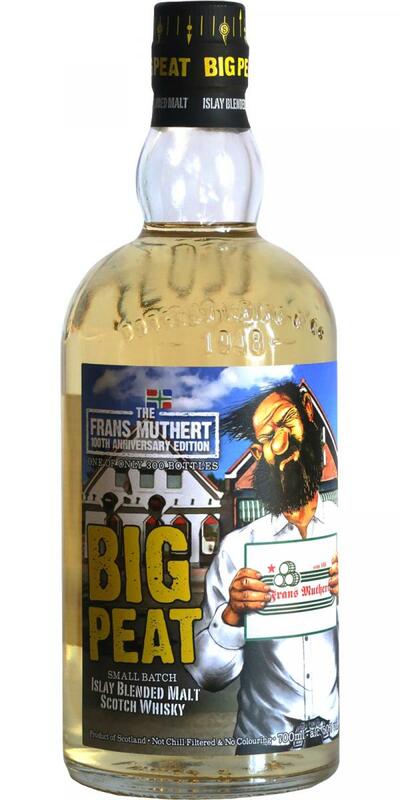 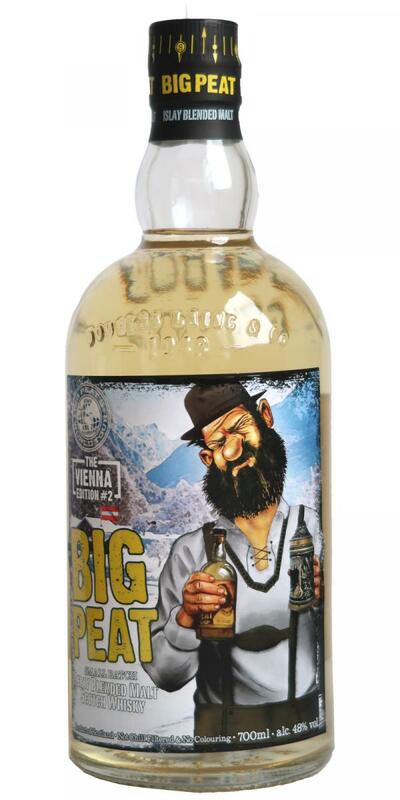 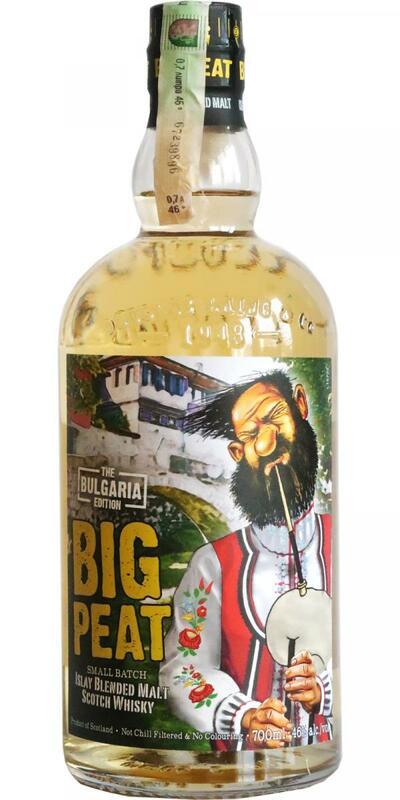 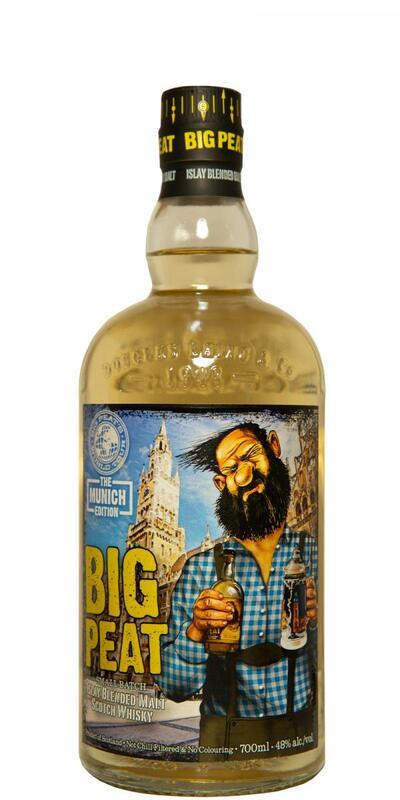 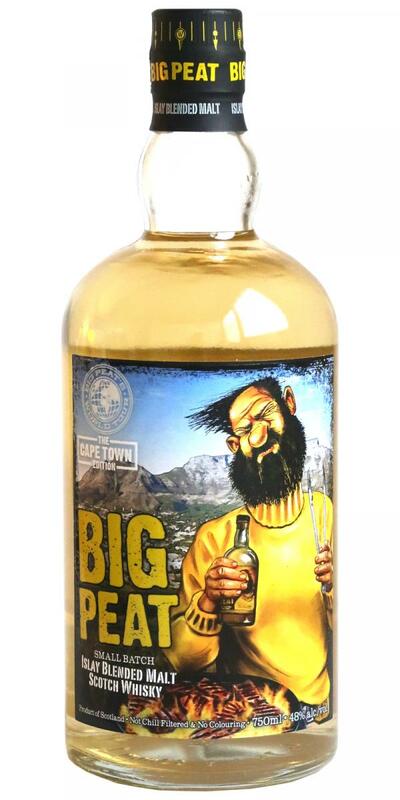 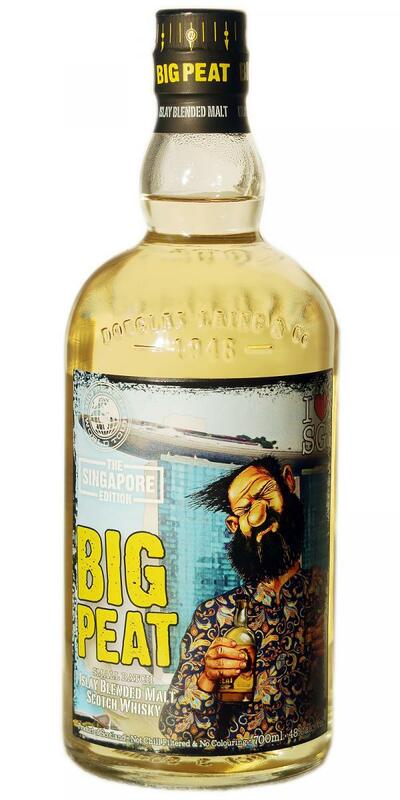 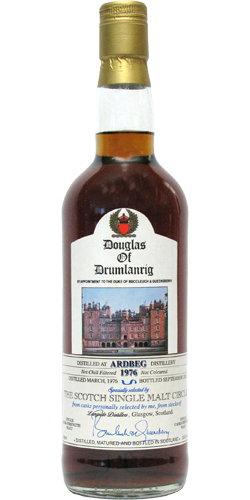 Dougall & Co. 10 48.6 % Vol. 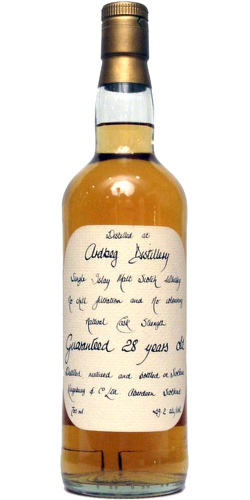 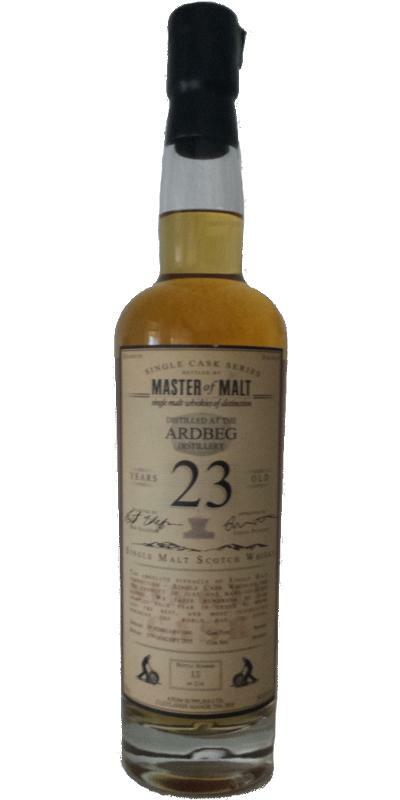 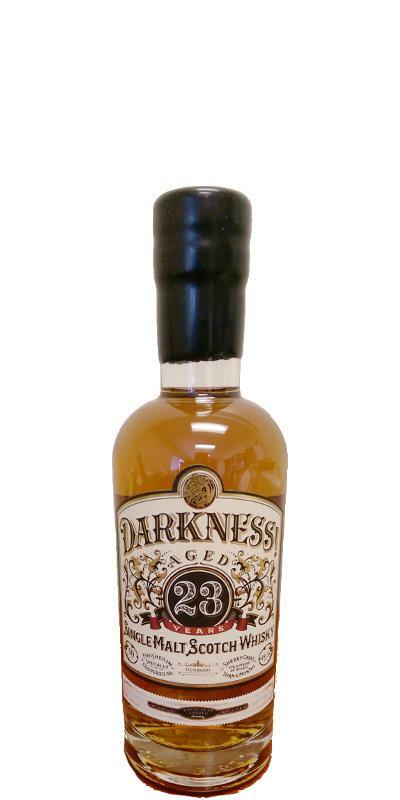 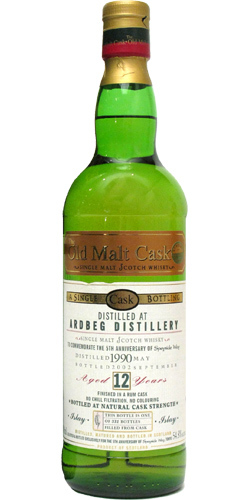 Ardbeg 25-year-old Guaranteed 25 43.0 % Vol. 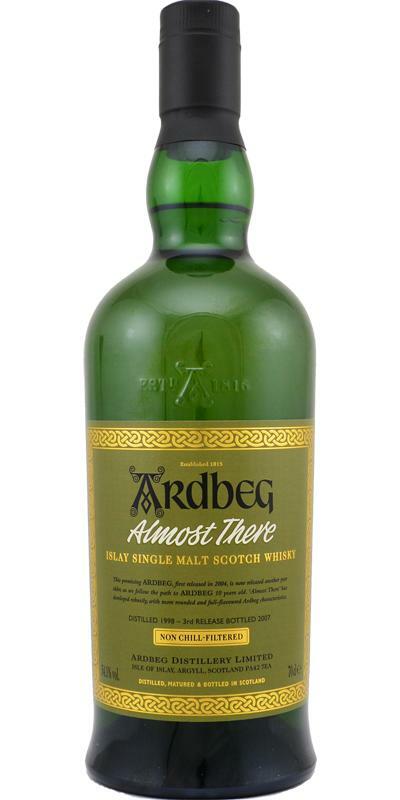 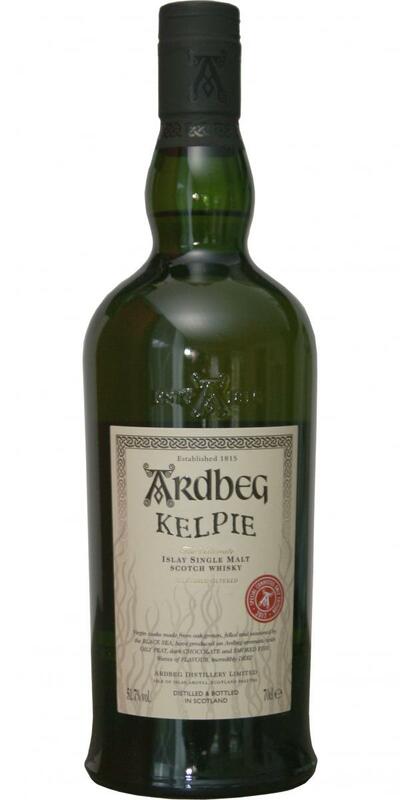 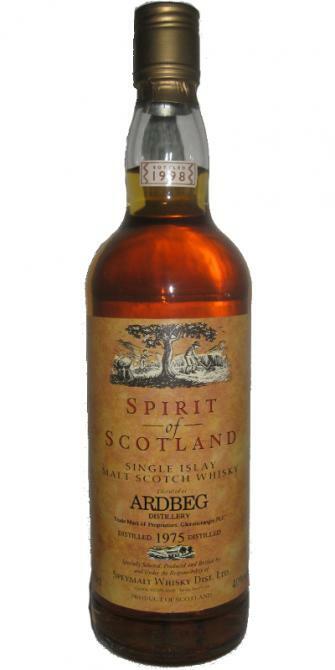 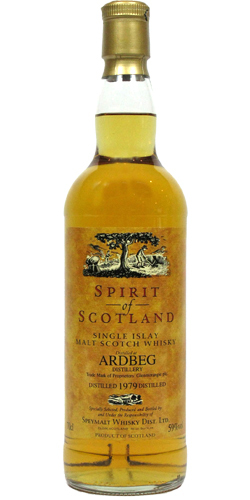 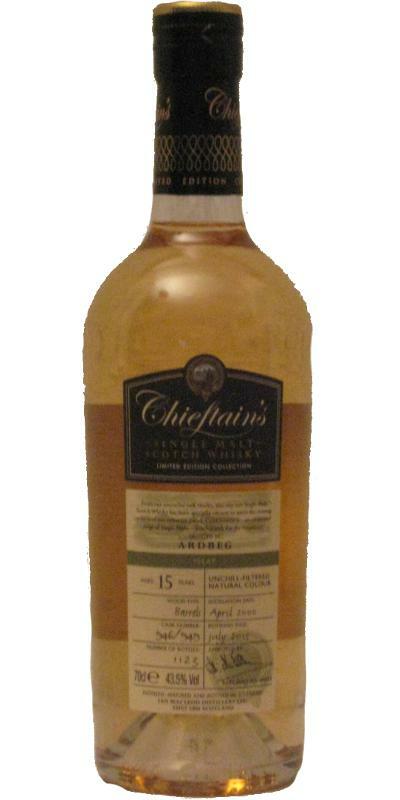 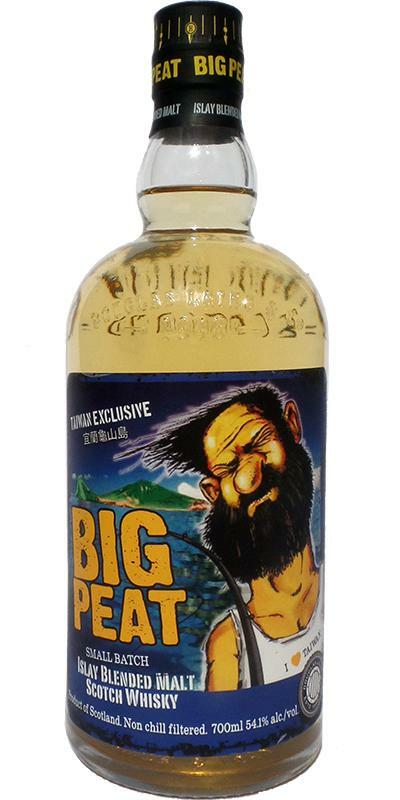 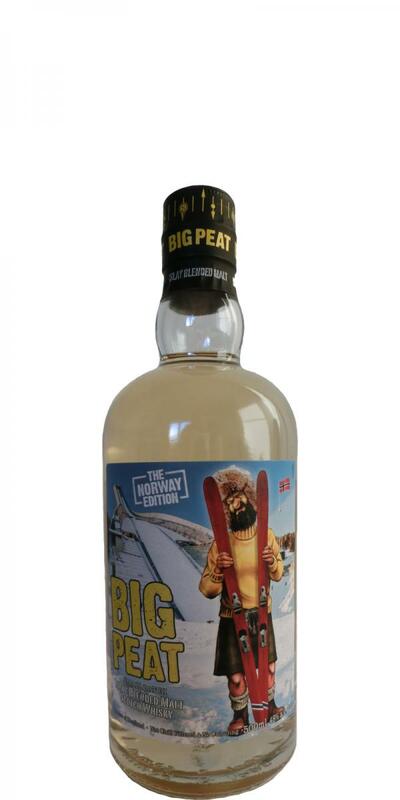 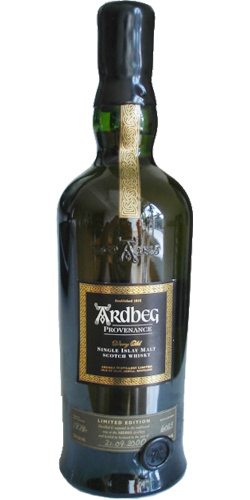 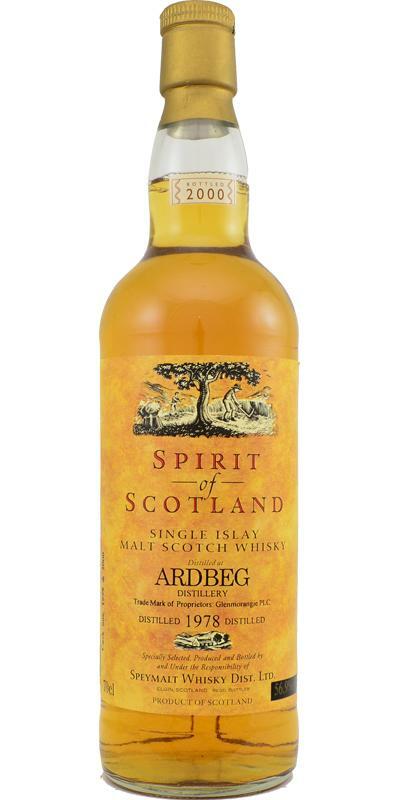 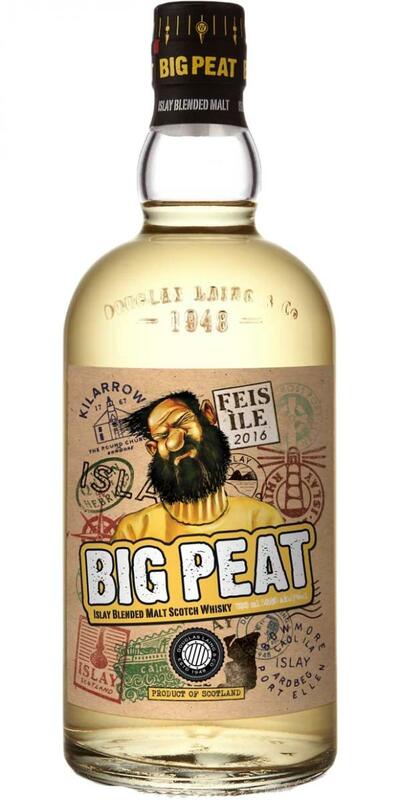 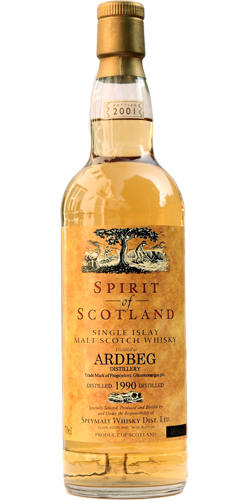 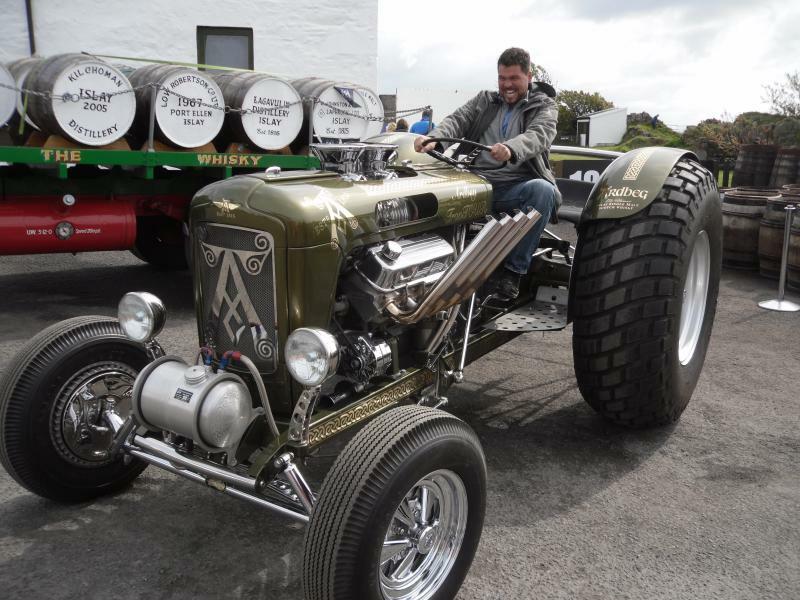 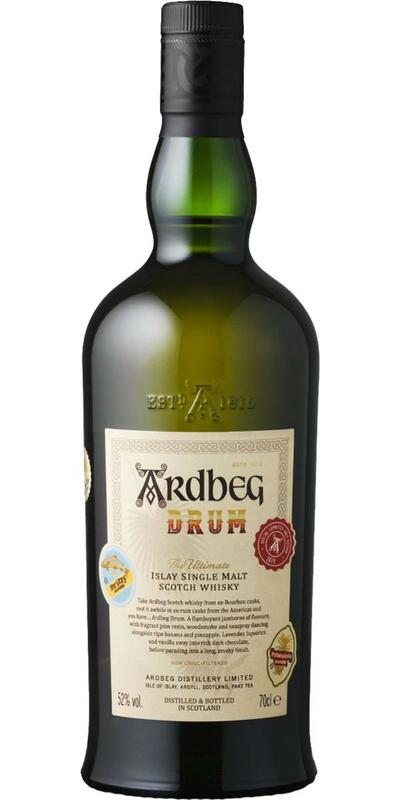 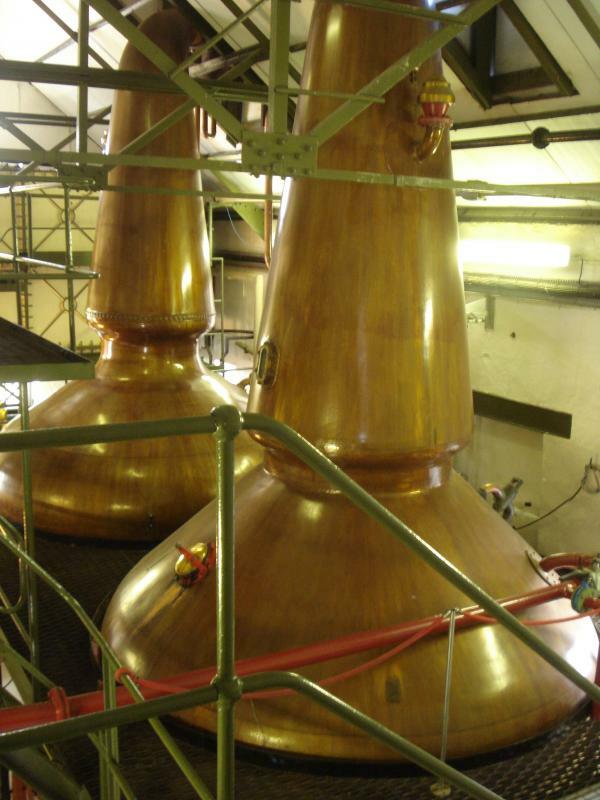 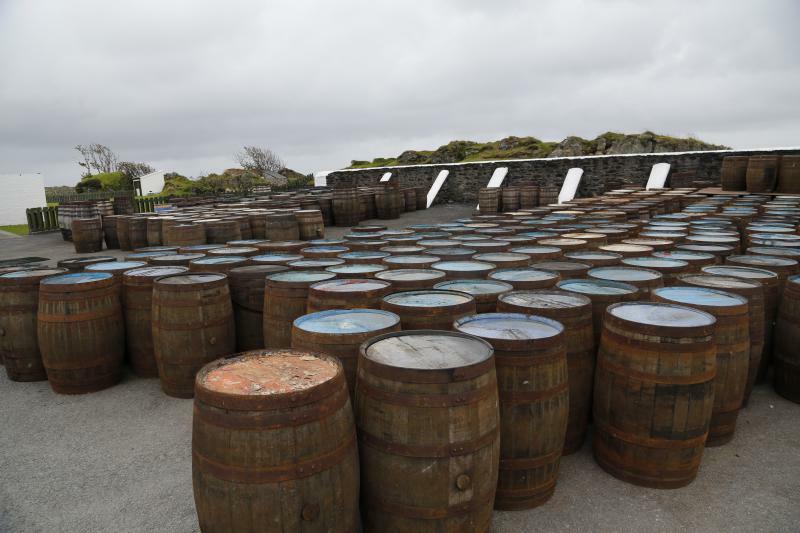 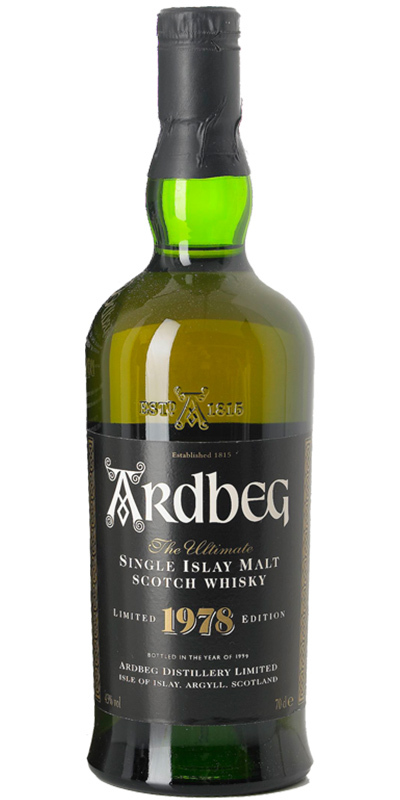 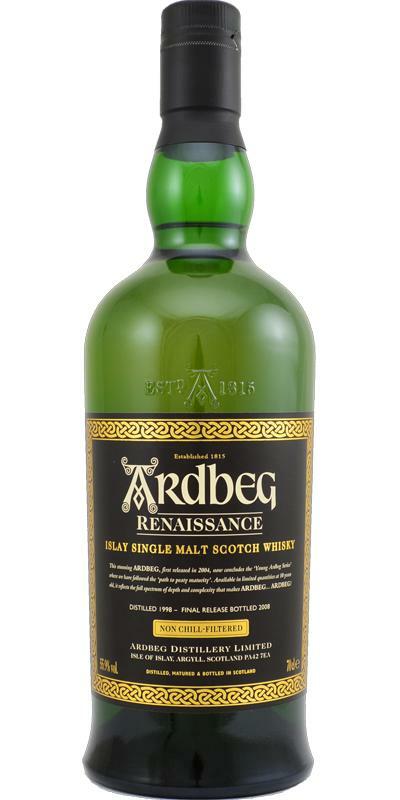 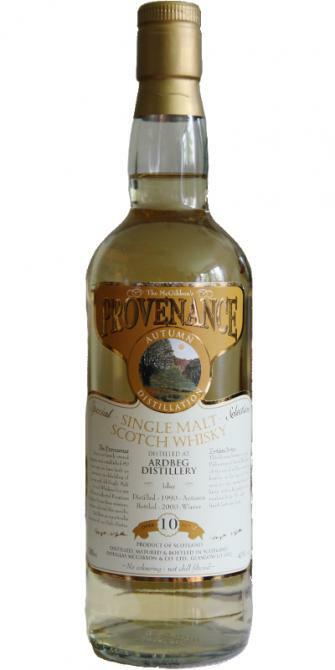 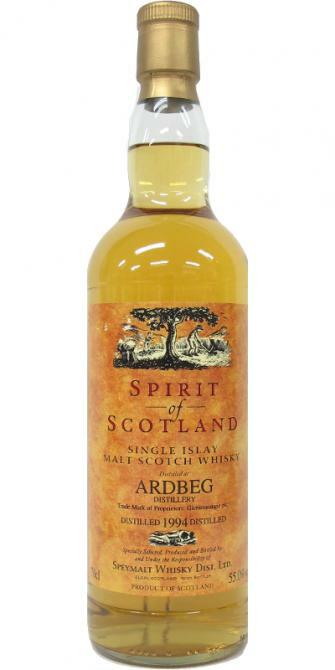 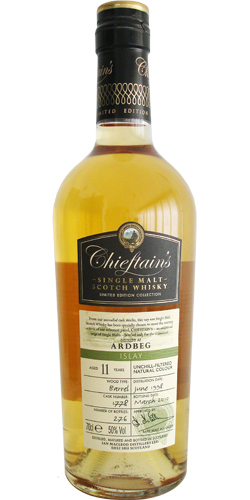 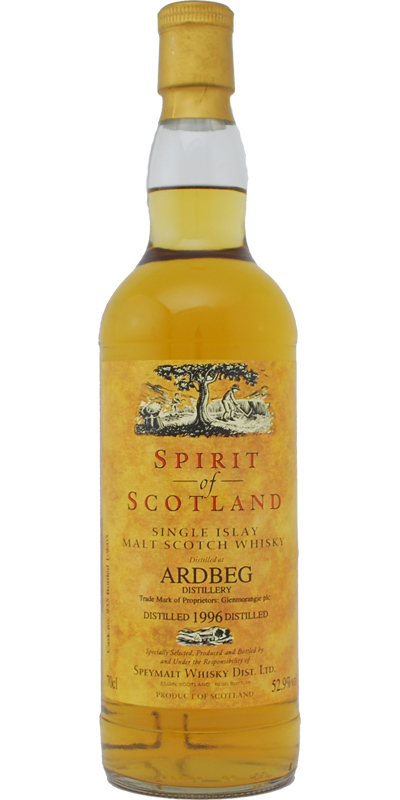 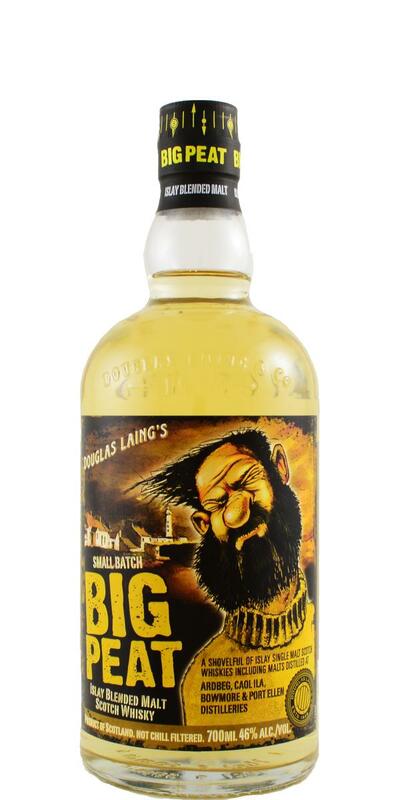 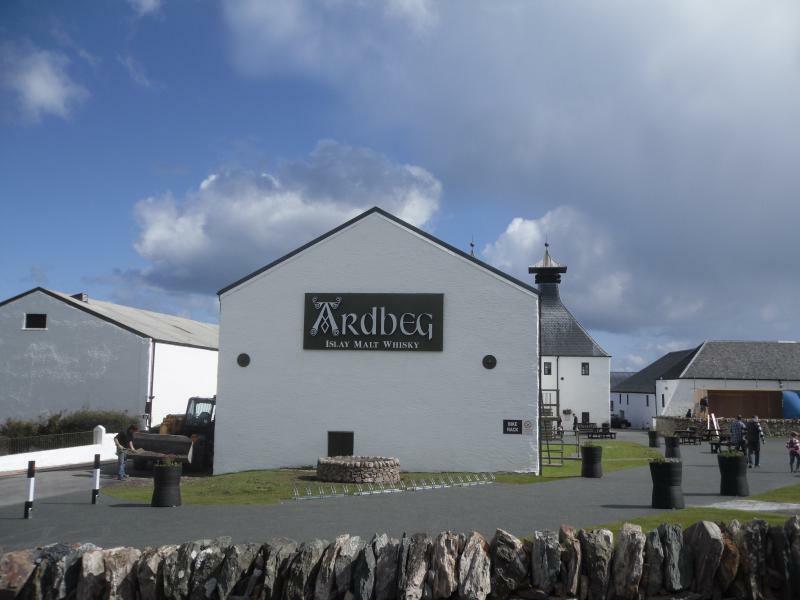 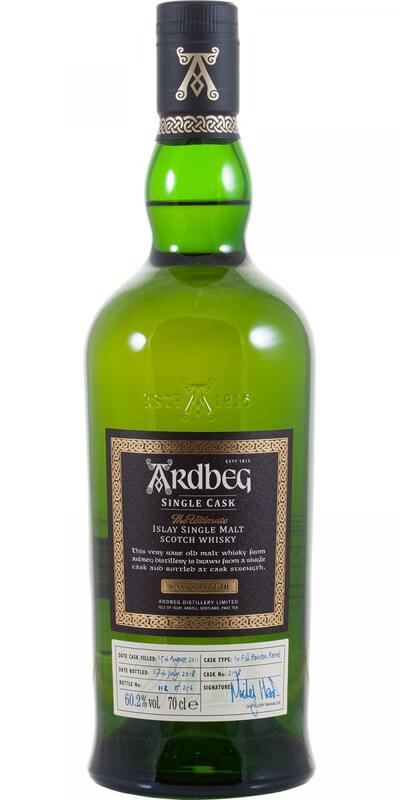 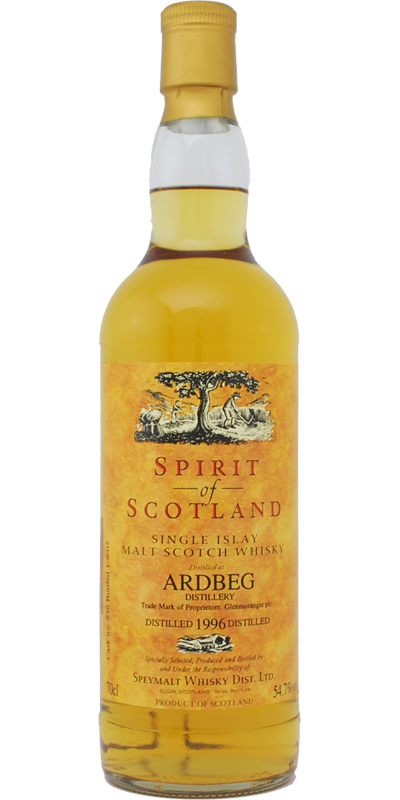 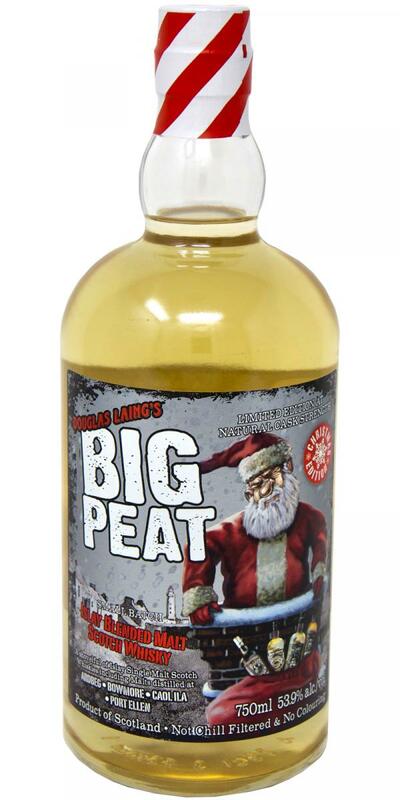 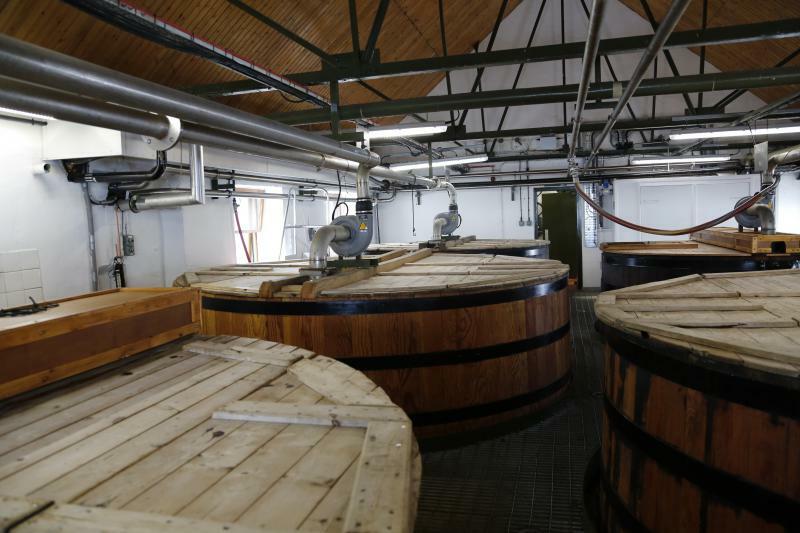 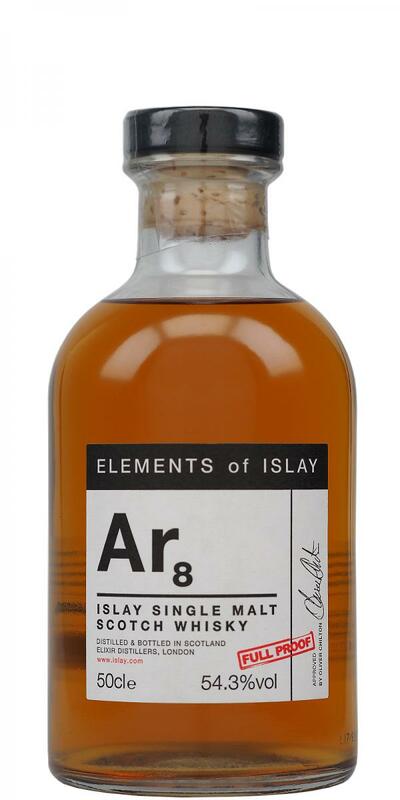 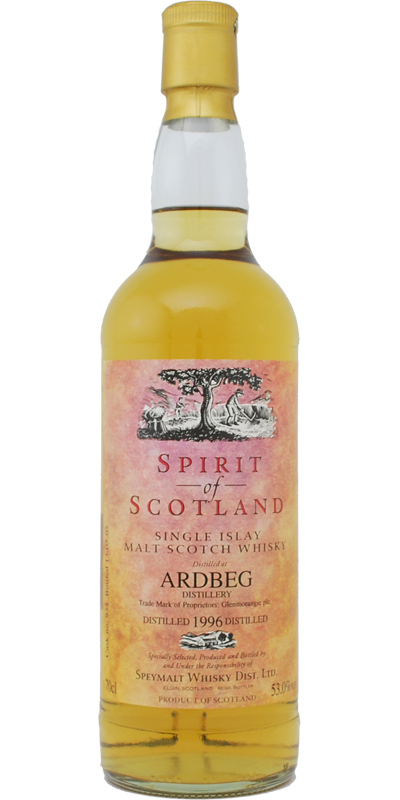 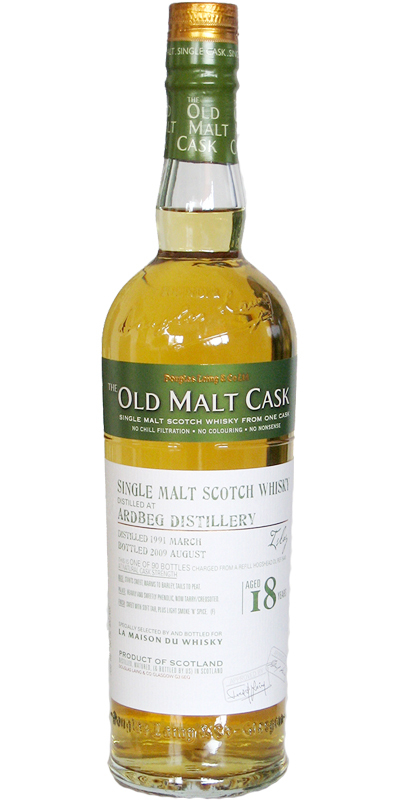 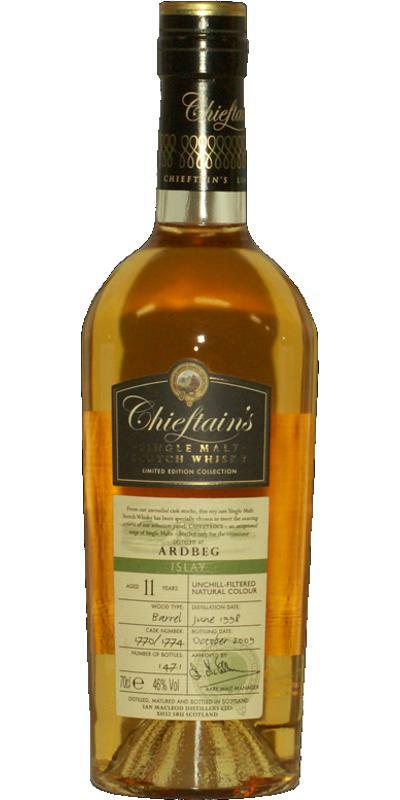 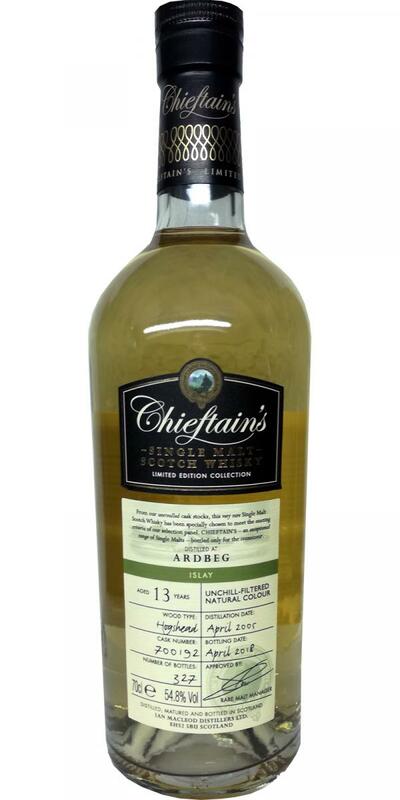 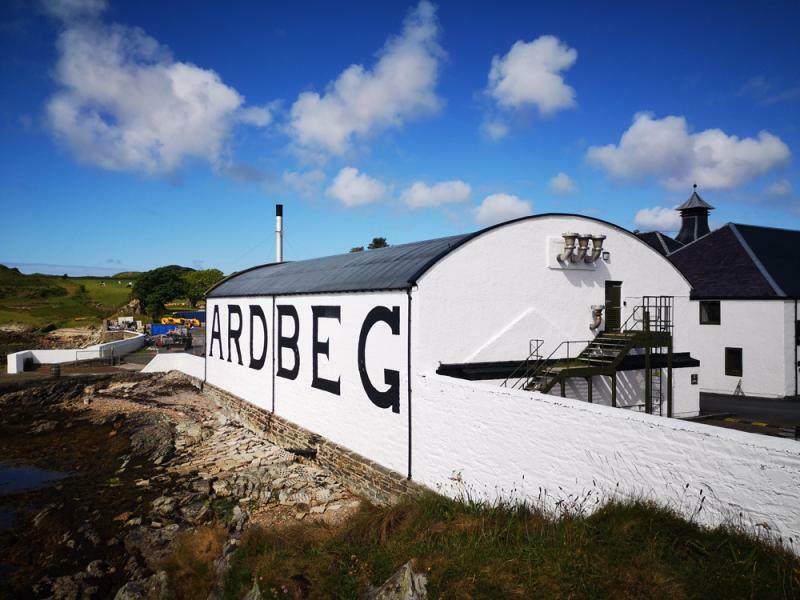 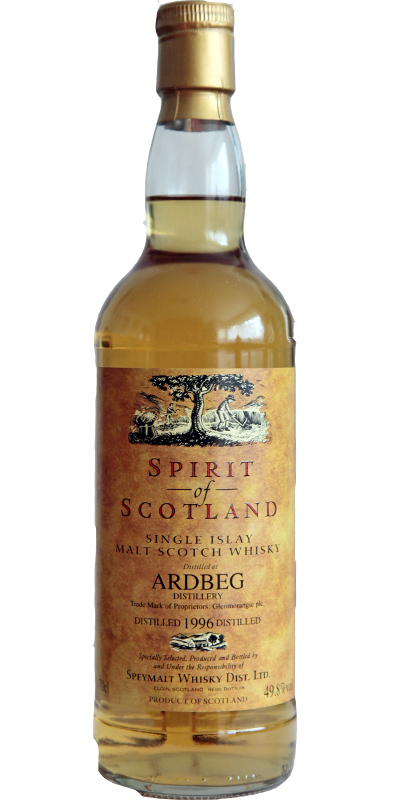 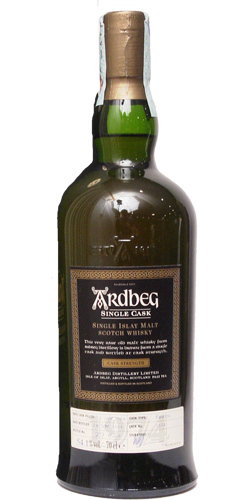 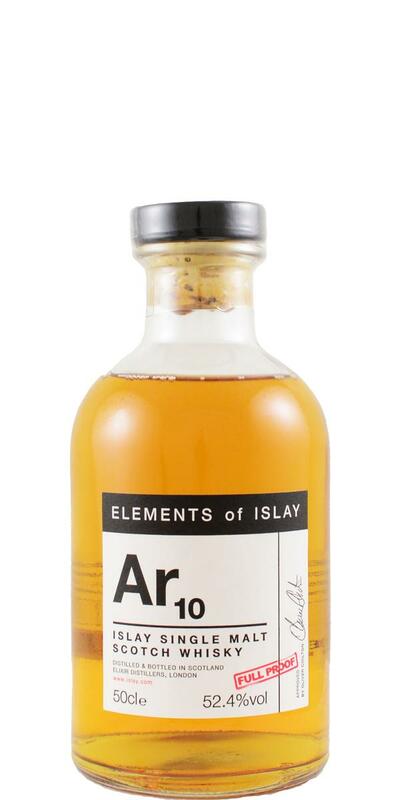 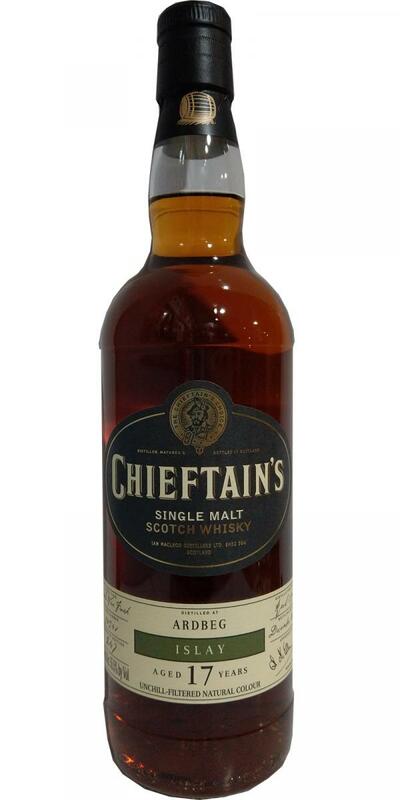 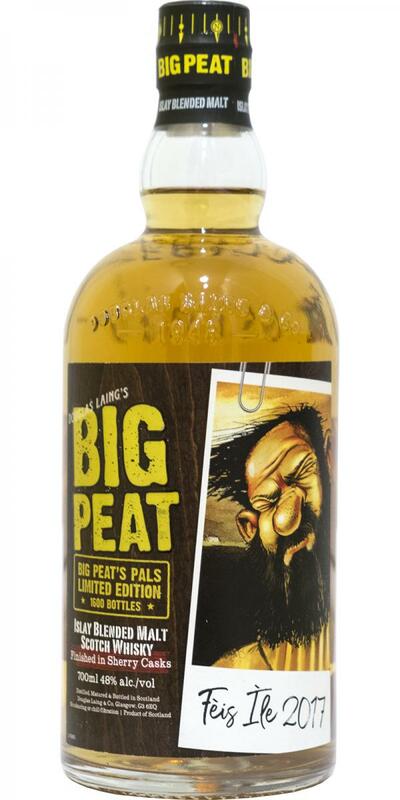 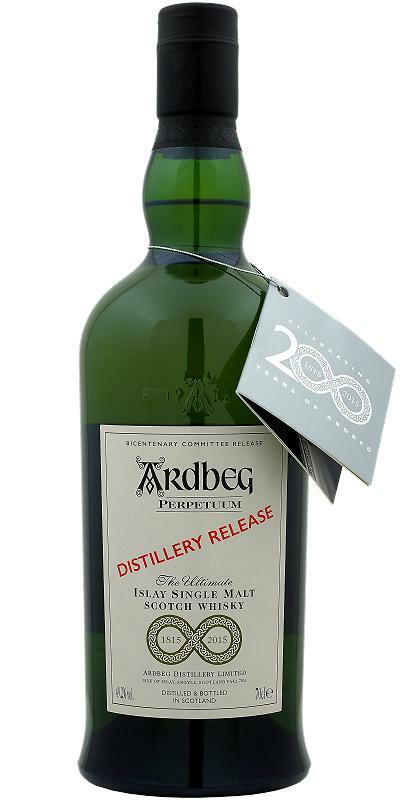 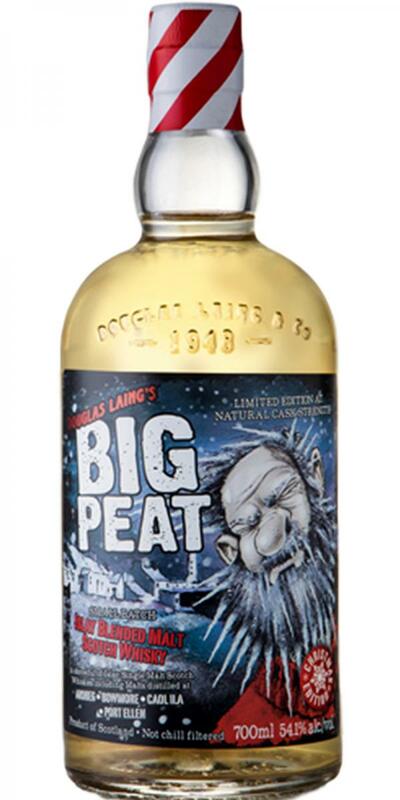 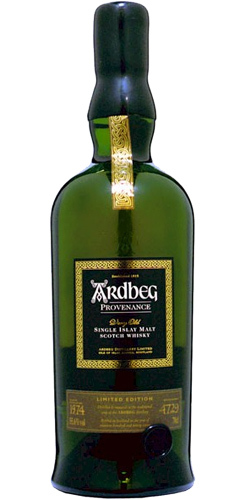 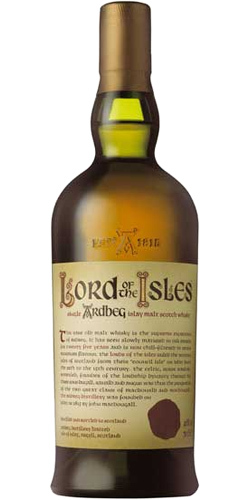 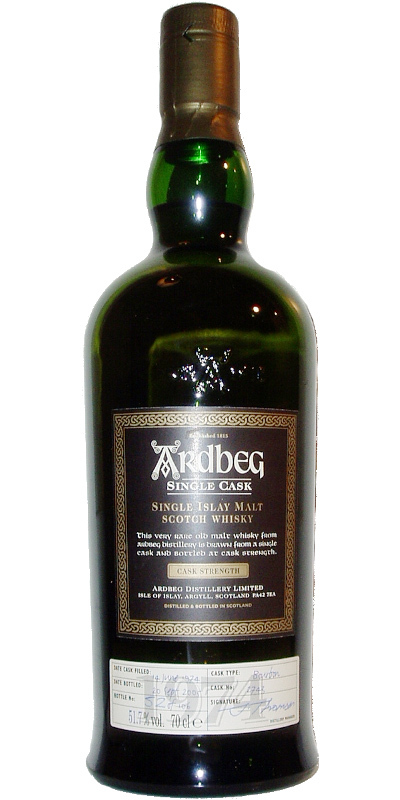 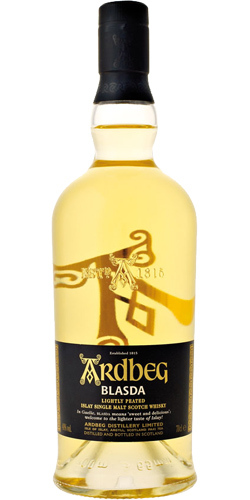 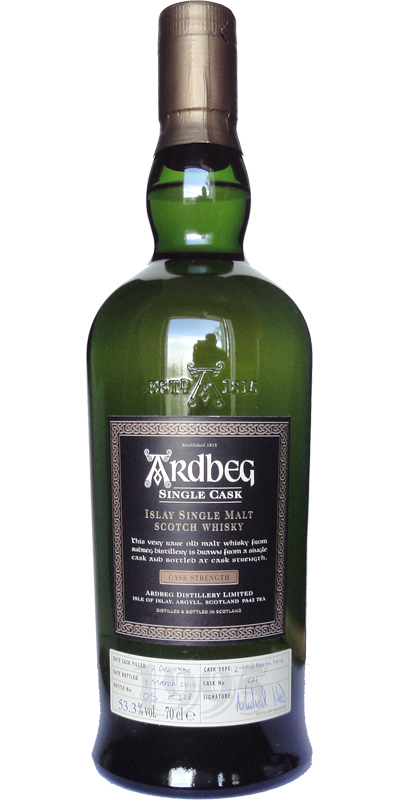 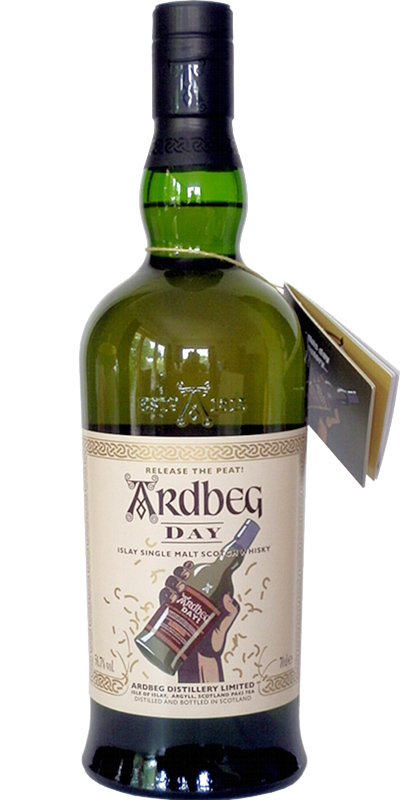 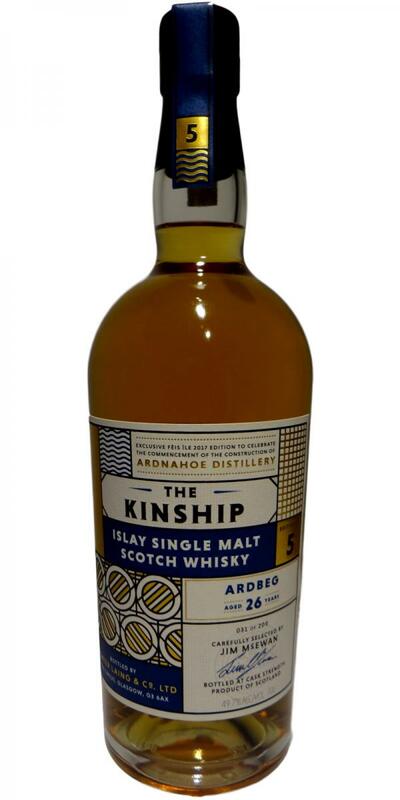 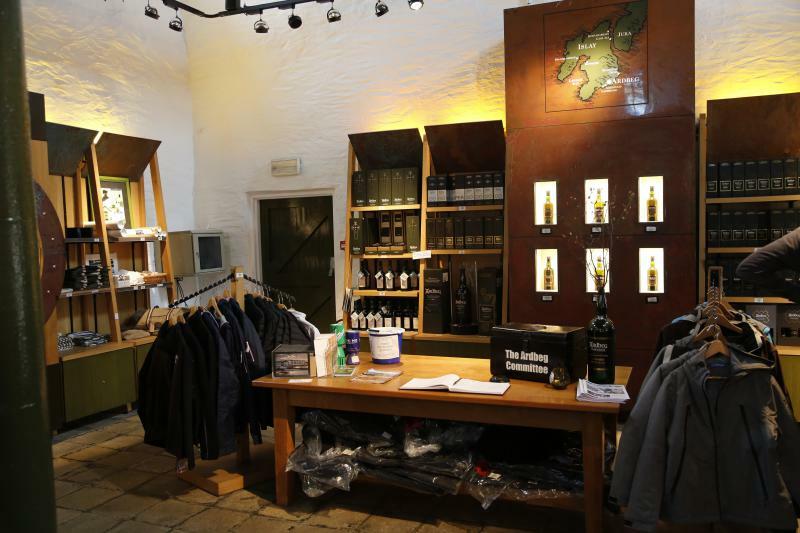 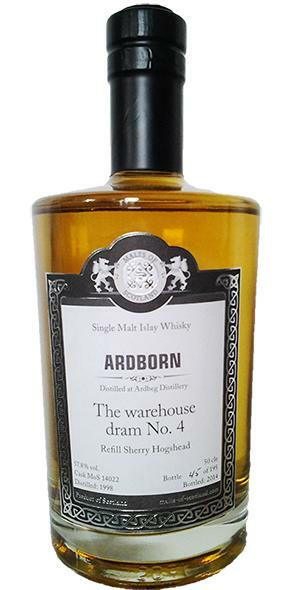 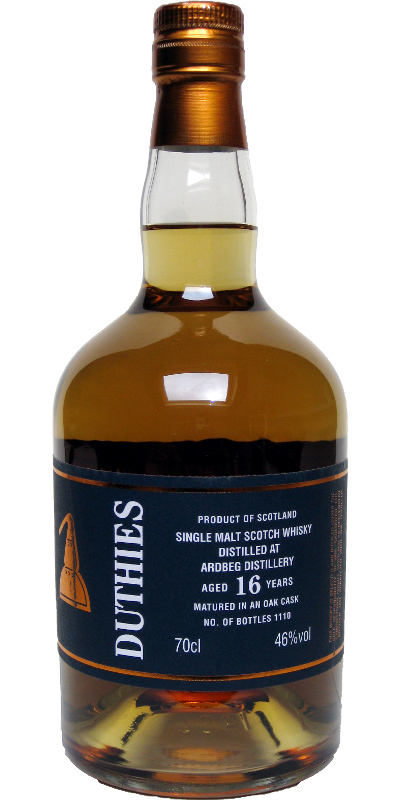 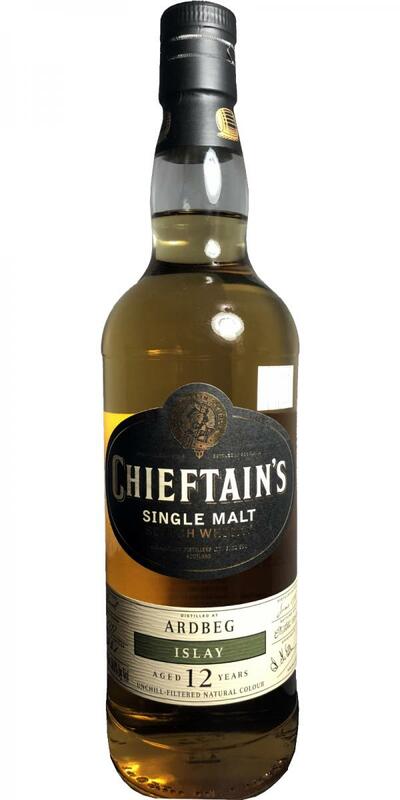 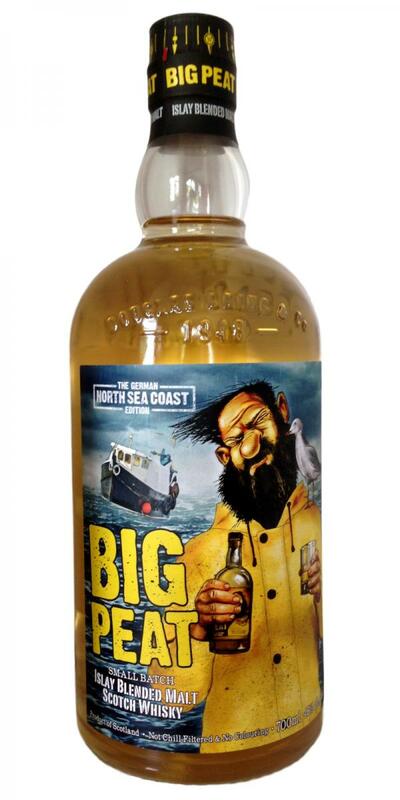 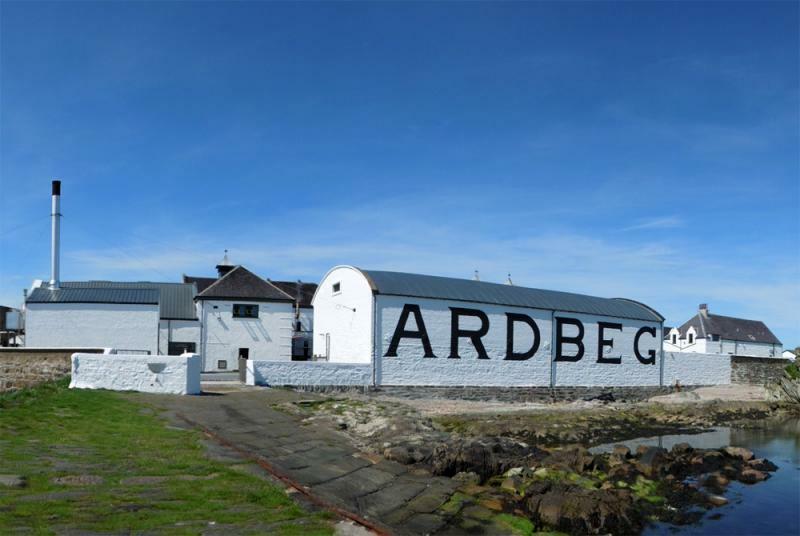 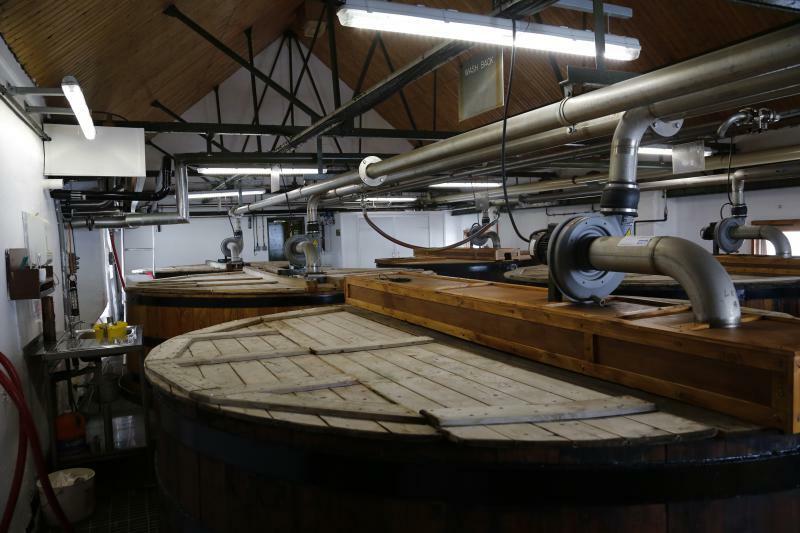 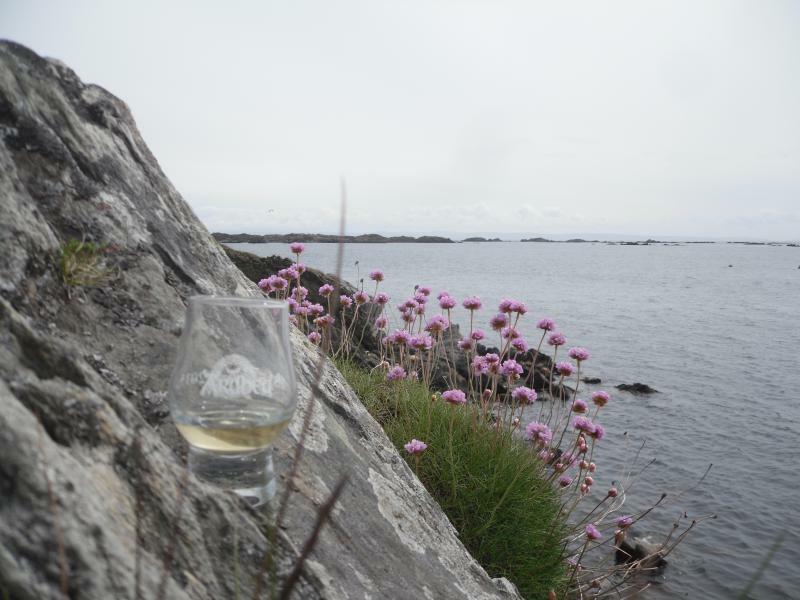 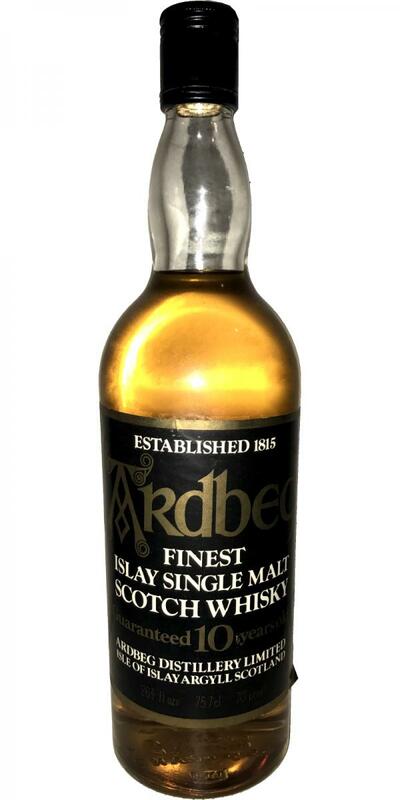 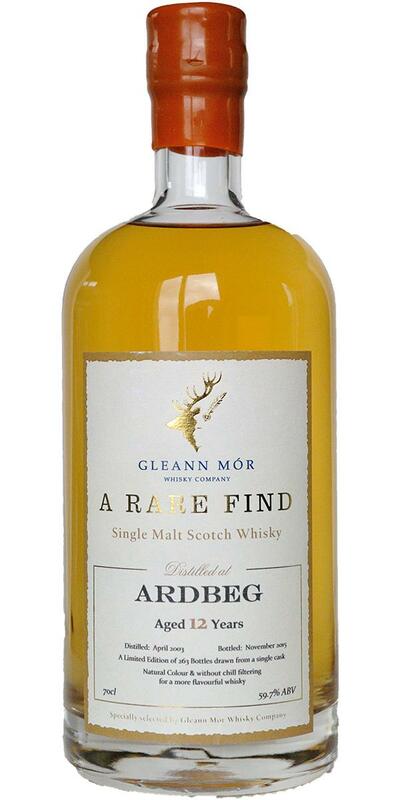 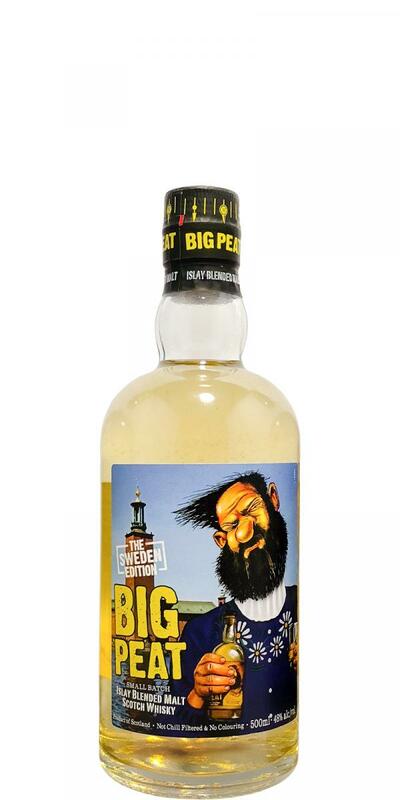 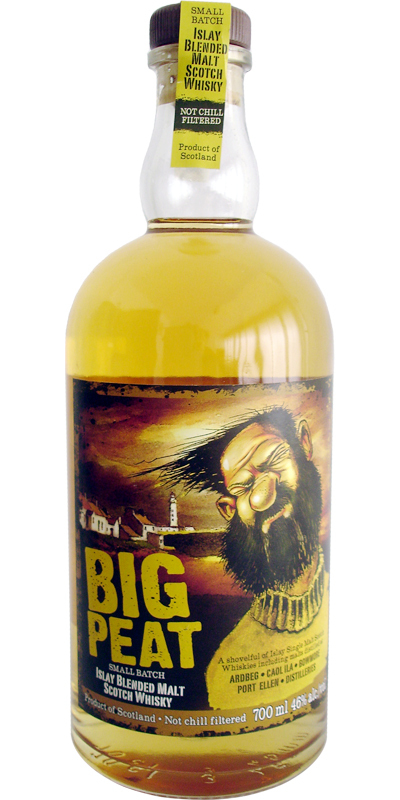 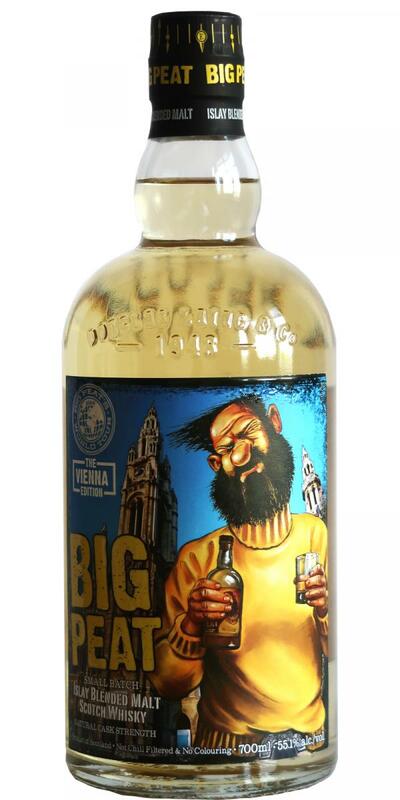 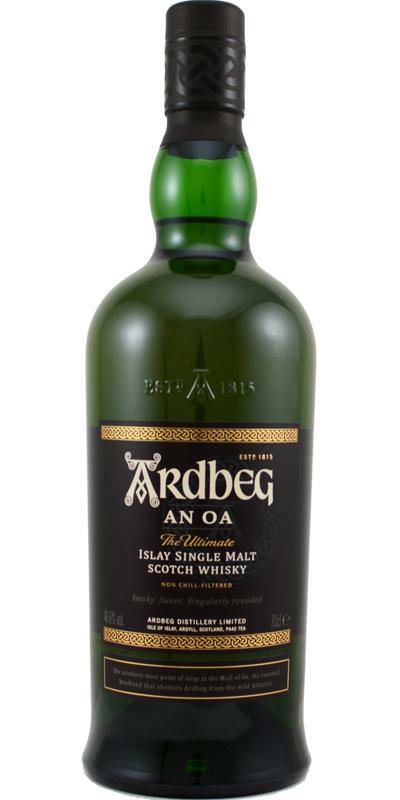 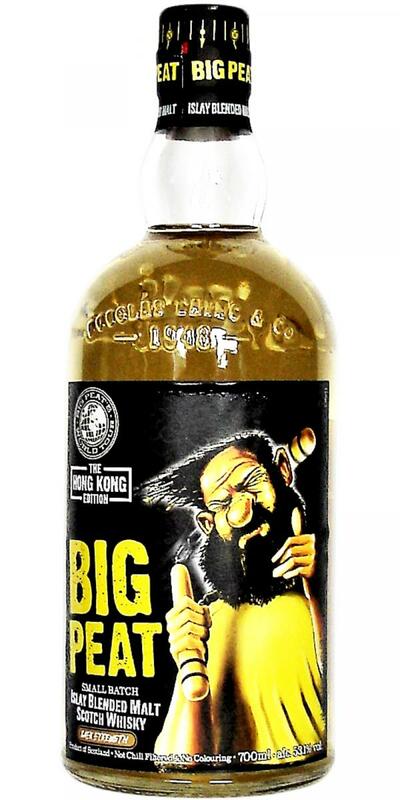 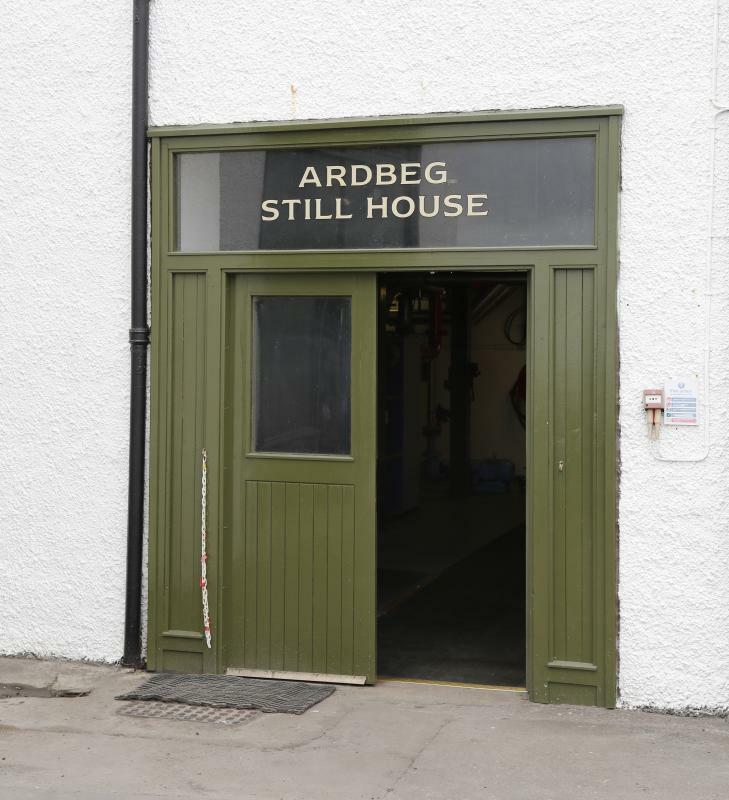 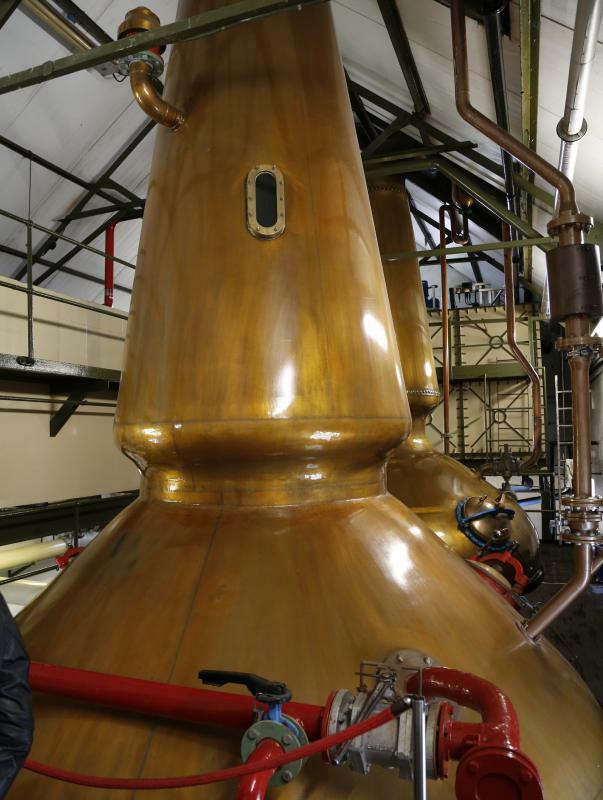 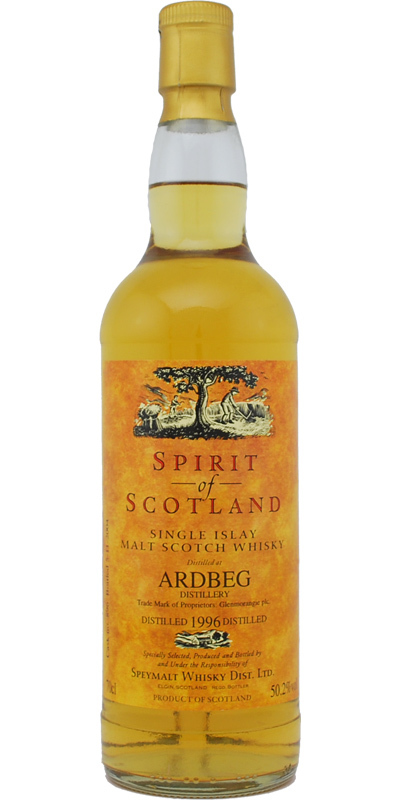 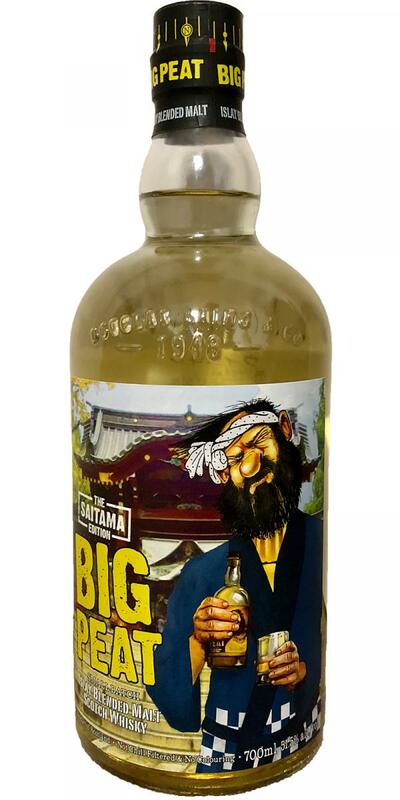 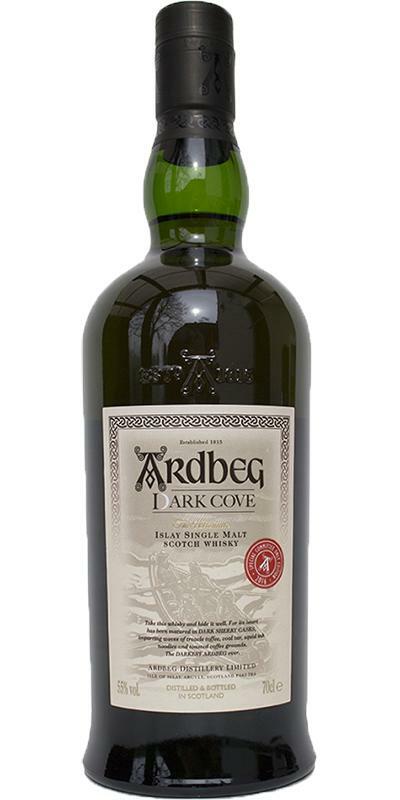 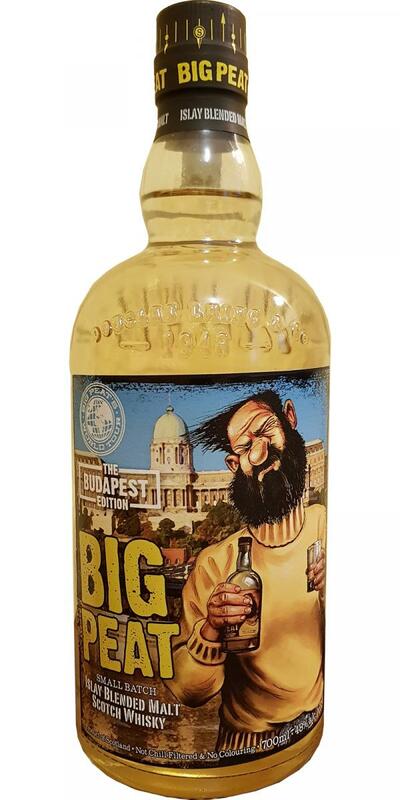 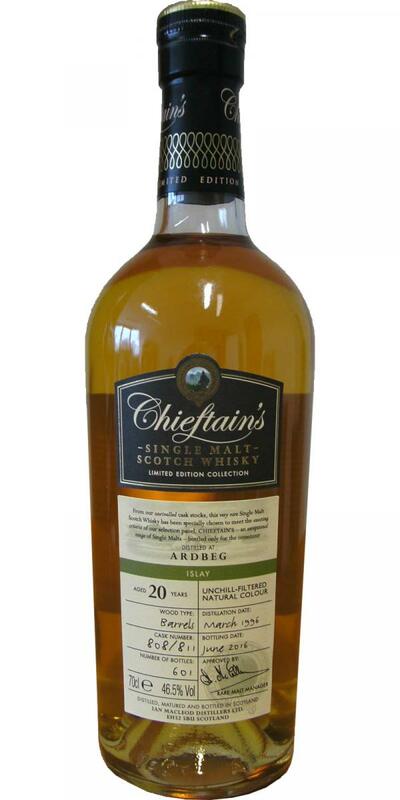 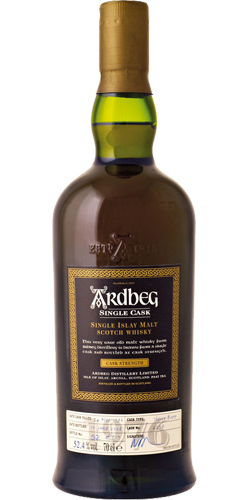 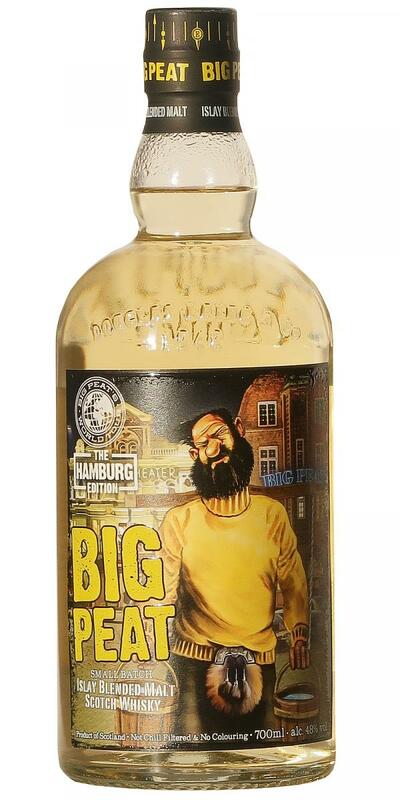 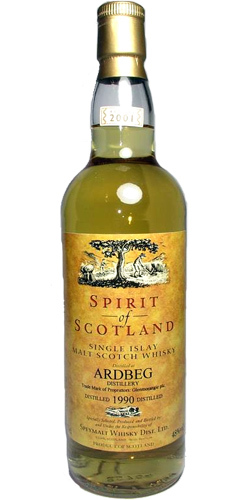 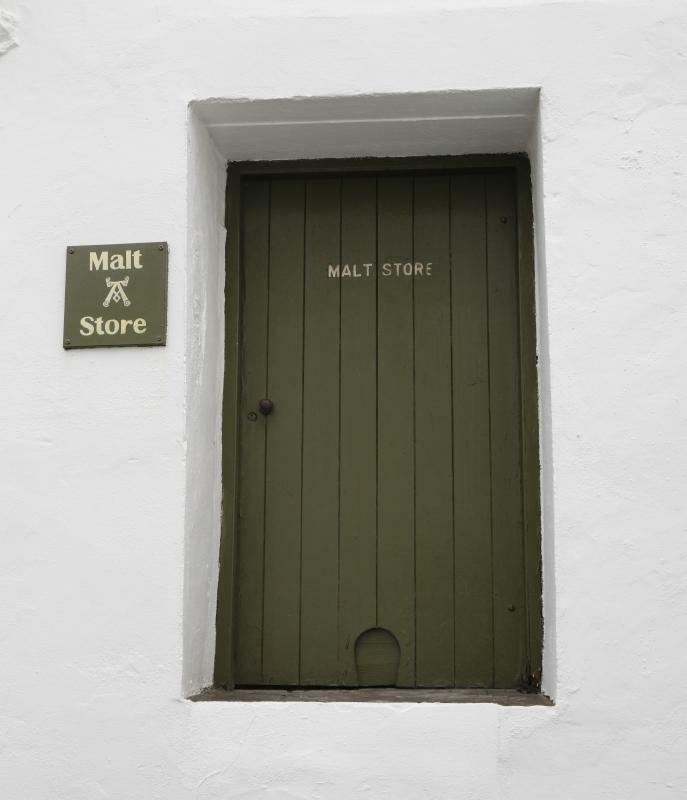 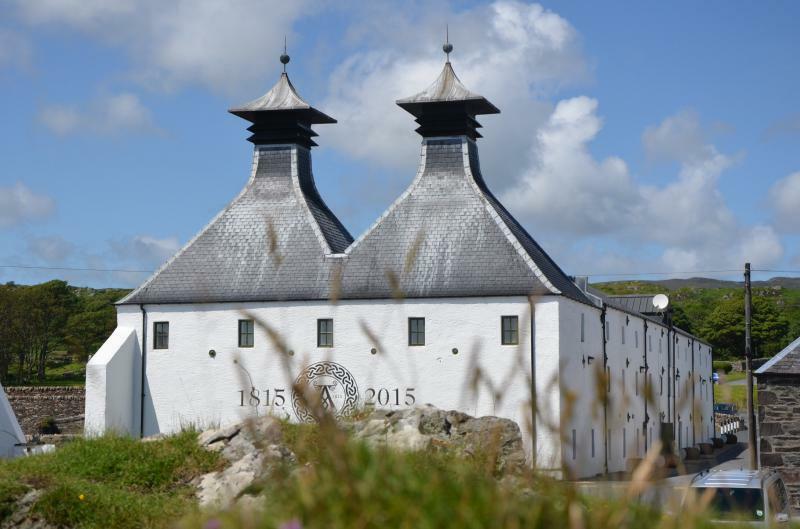 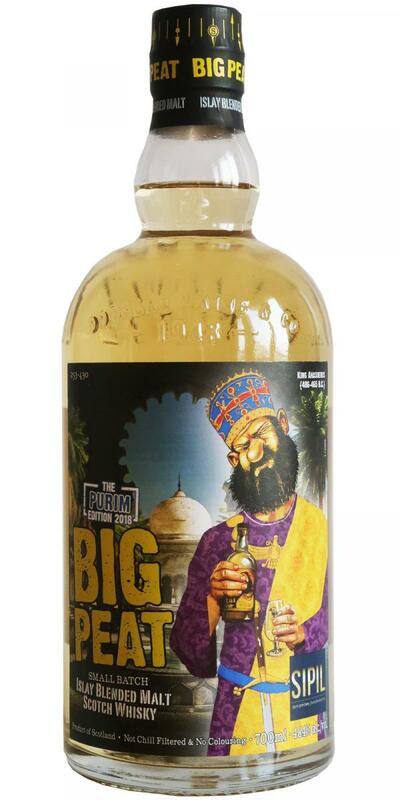 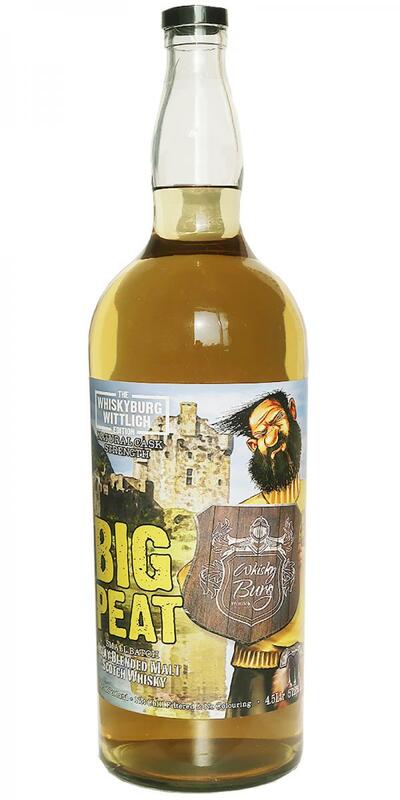 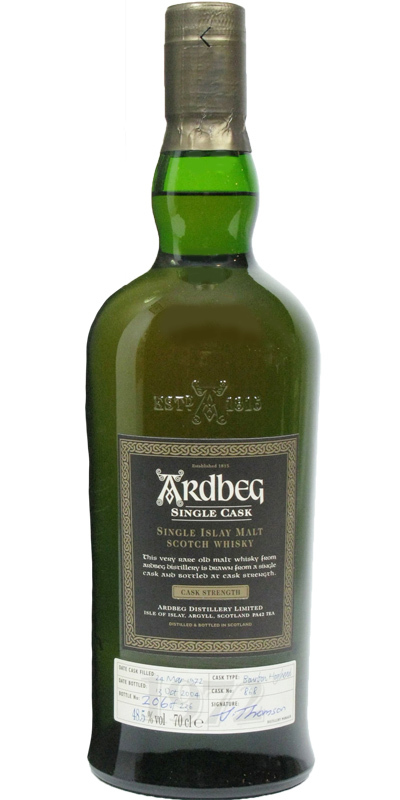 Ardbeg Fine Old Islay Whisky Specially selected & Fully matured - pure malt 0.0 % Vol. 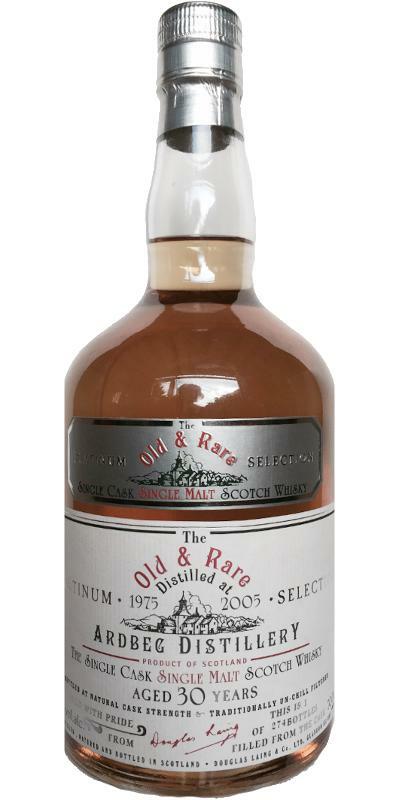 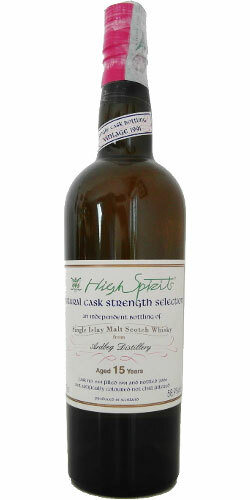 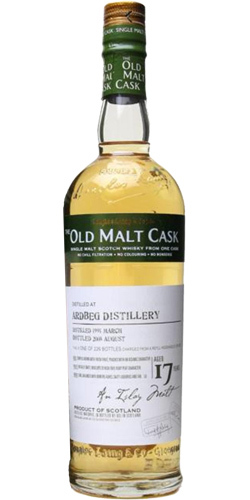 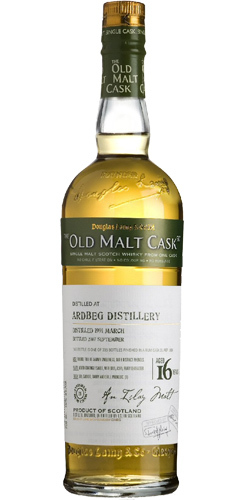 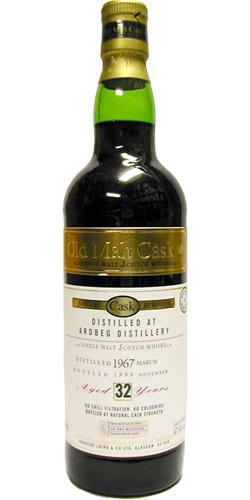 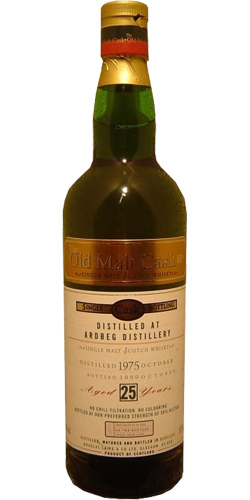 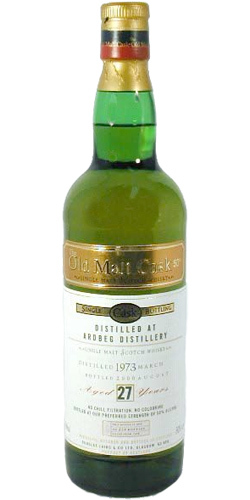 Ardbeg Old Islay Malt Special 46.0 % Vol. 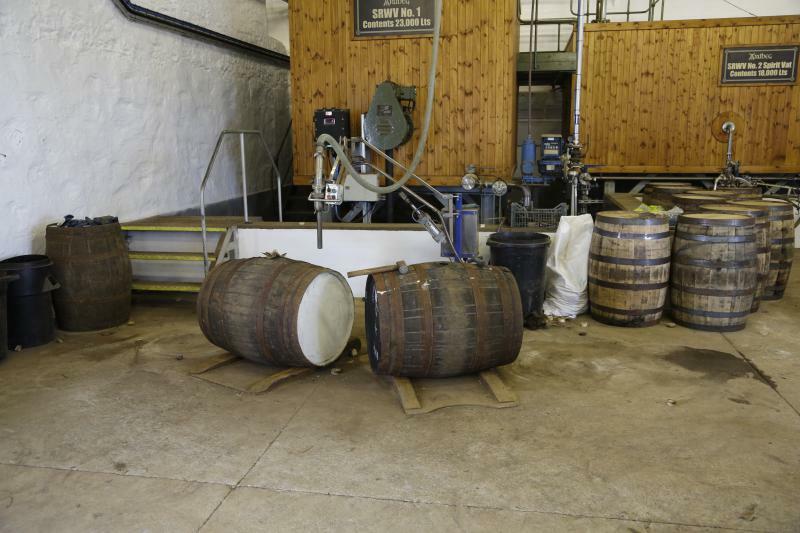 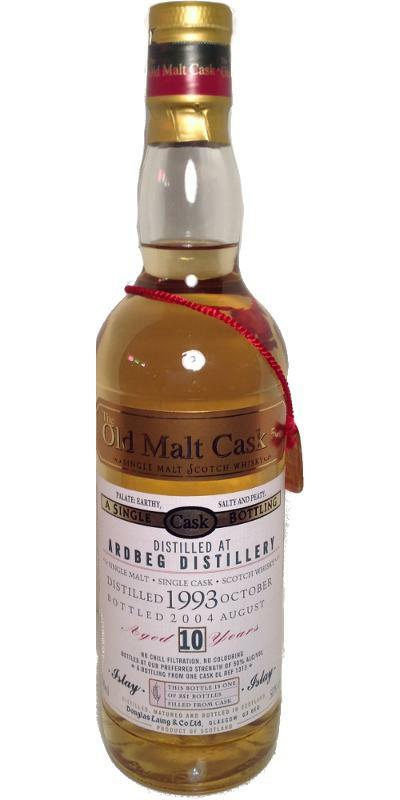 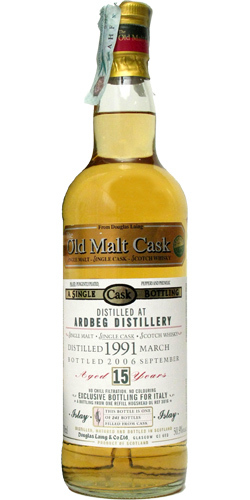 Ardbeg Old Islay Malt Old Islay Malt 10 46.0 % Vol. 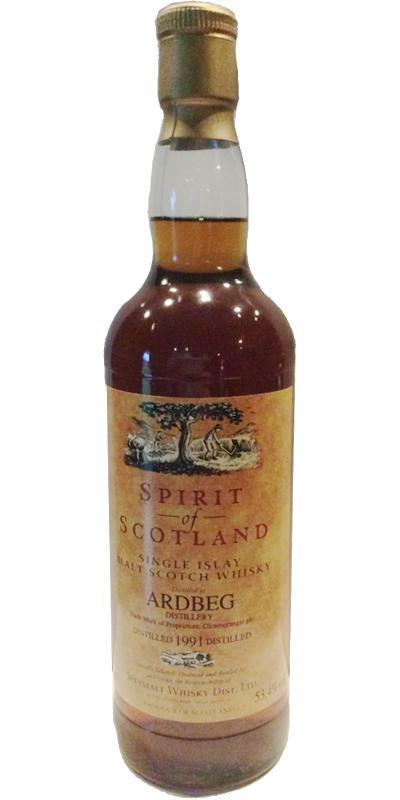 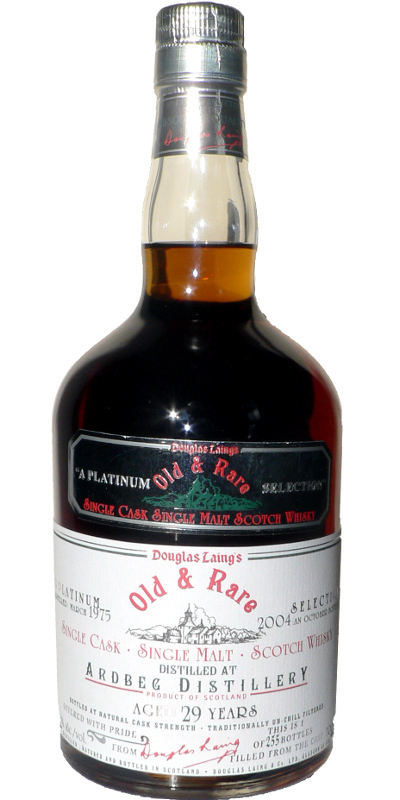 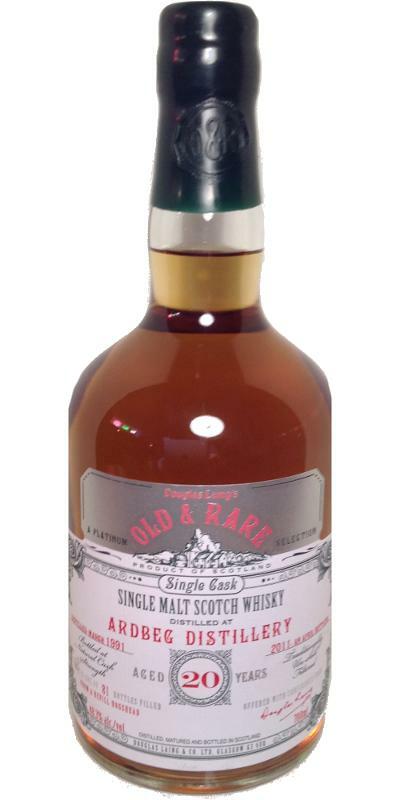 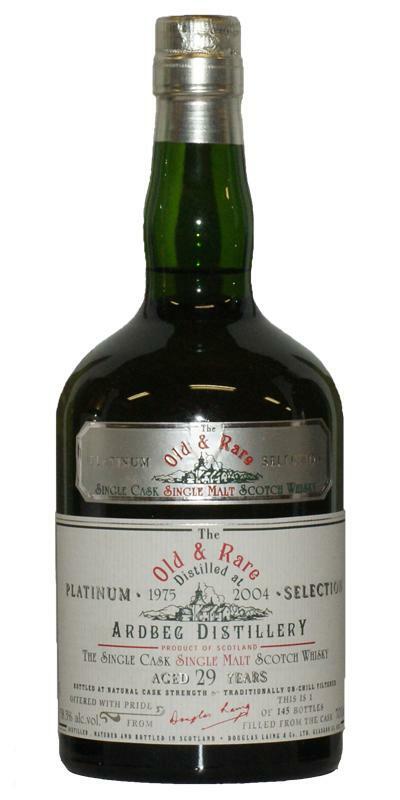 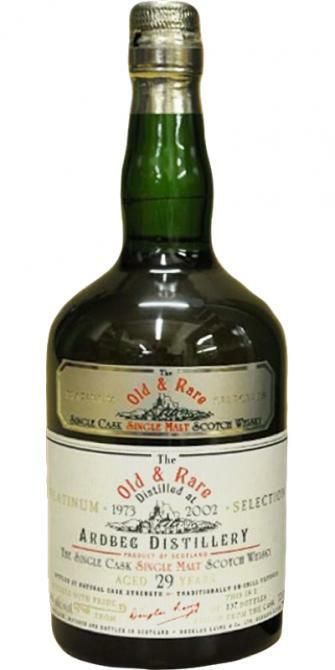 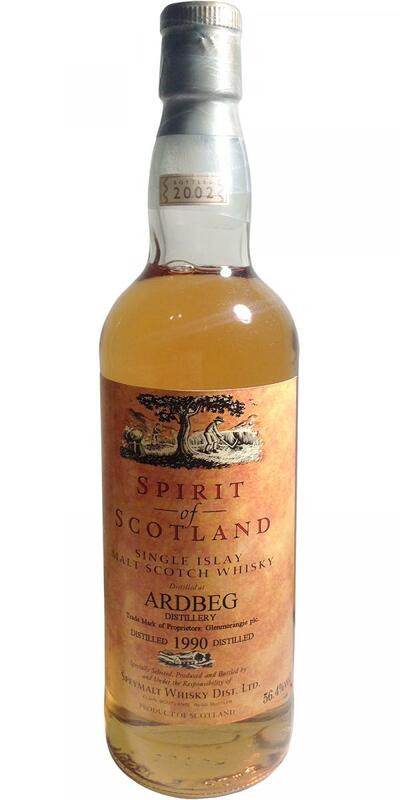 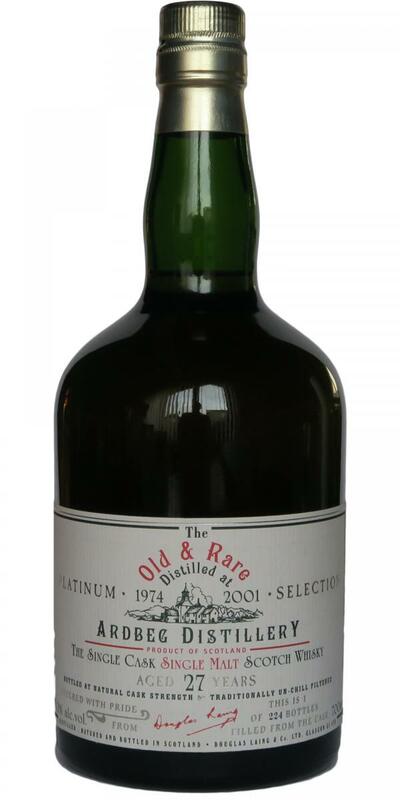 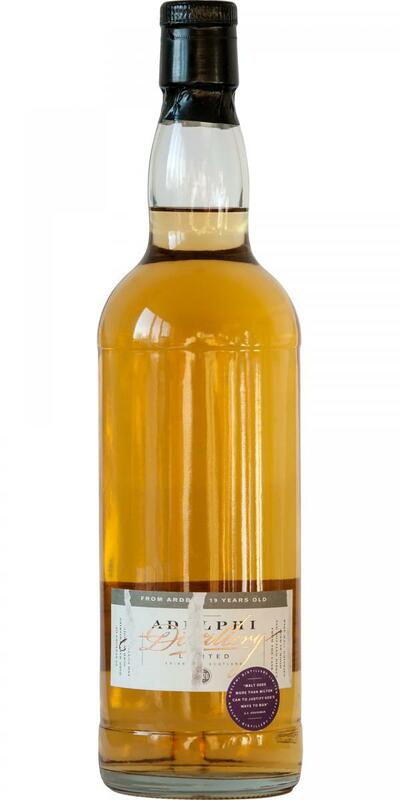 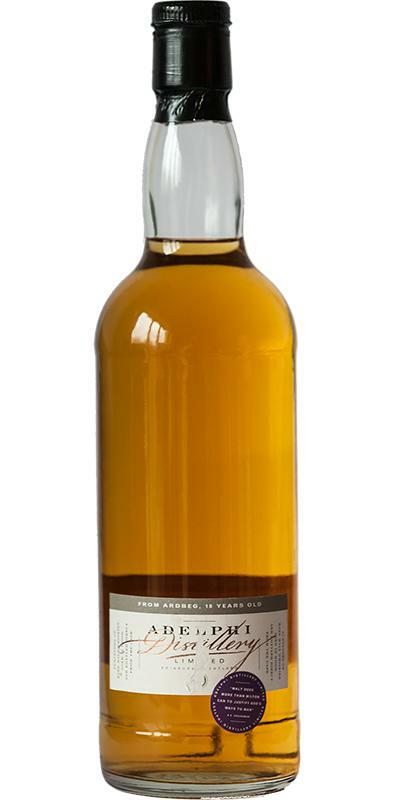 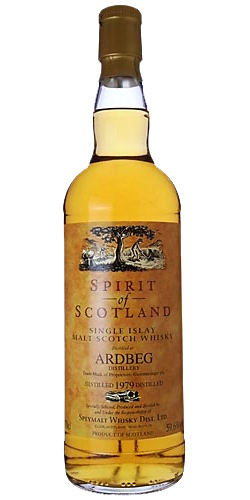 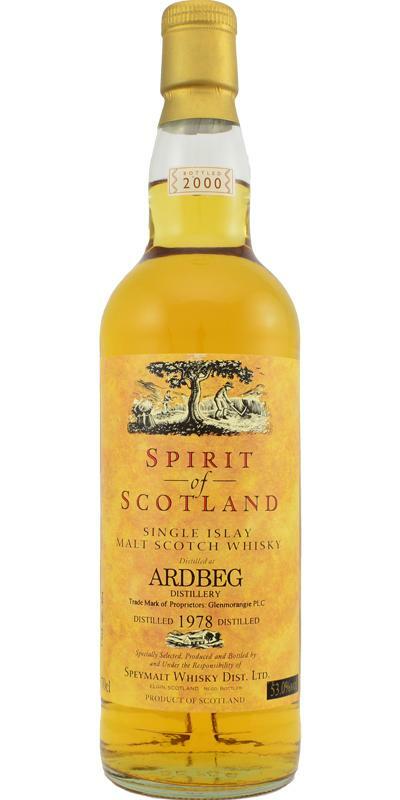 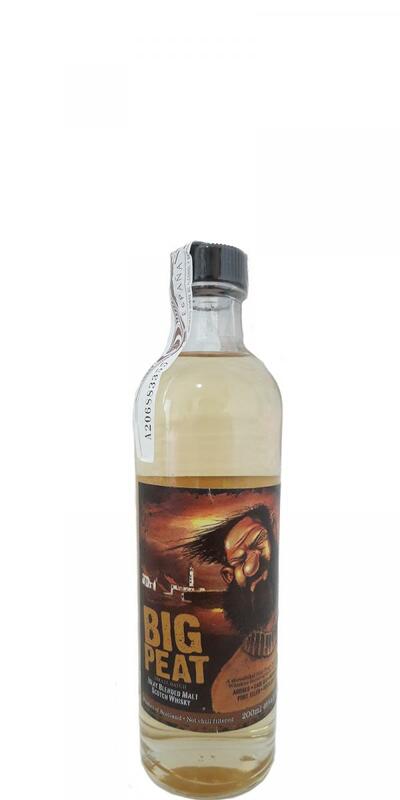 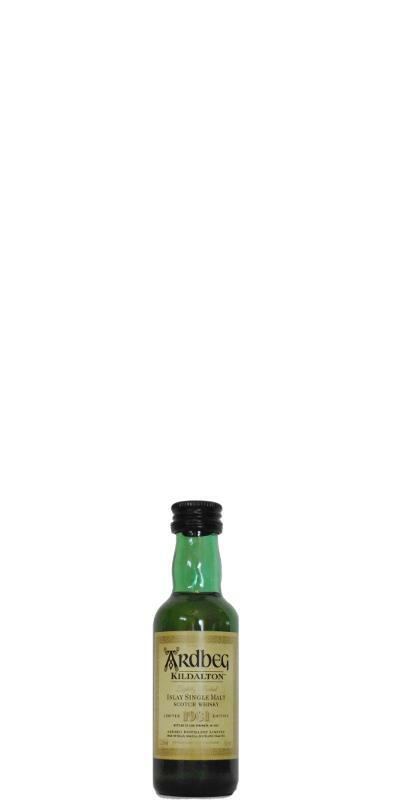 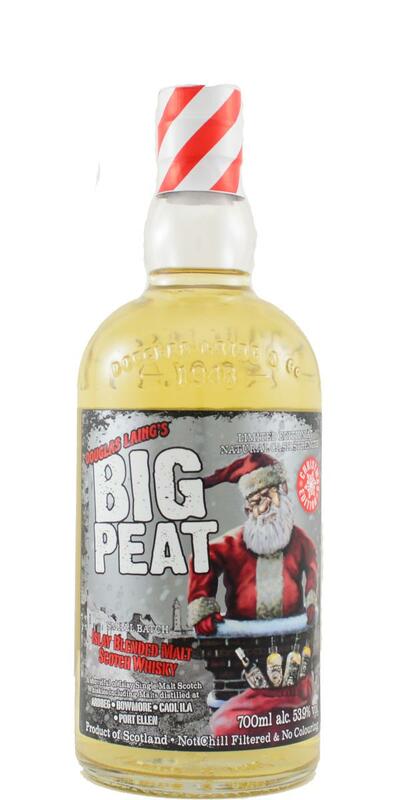 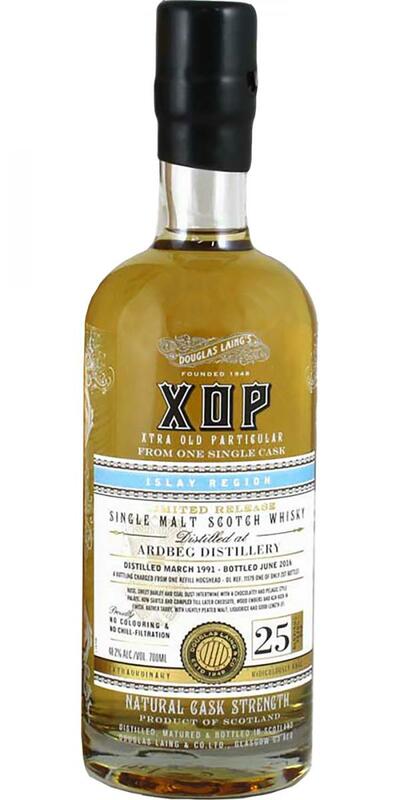 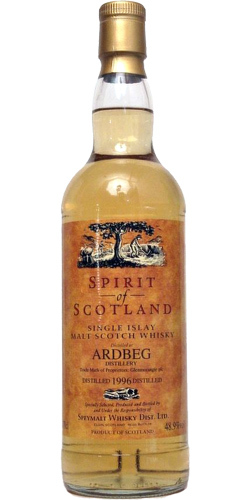 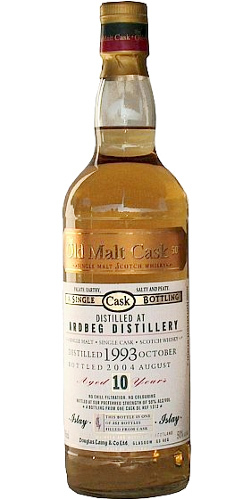 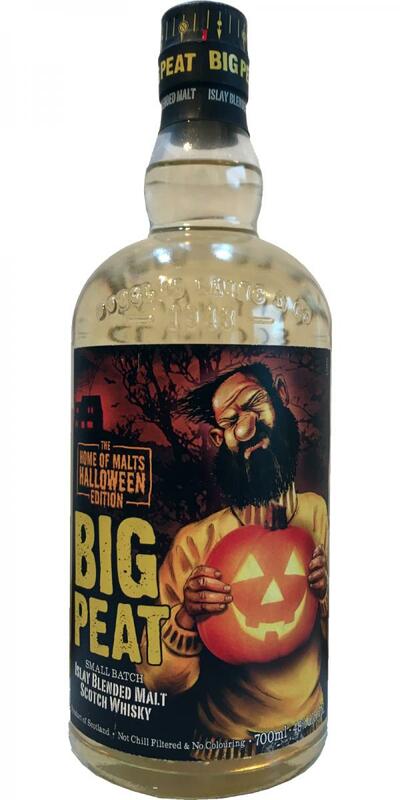 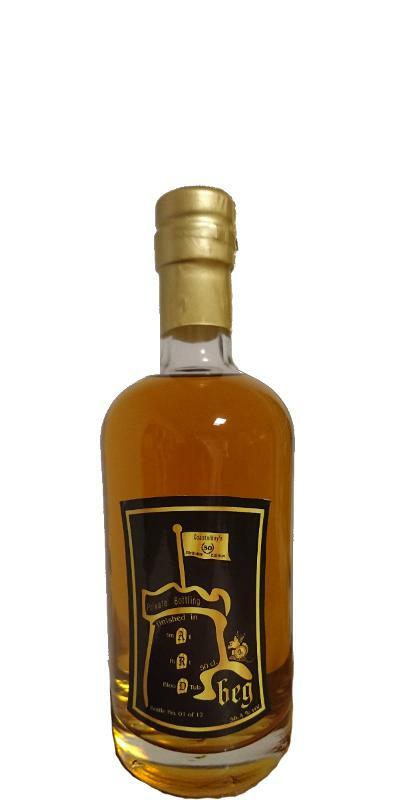 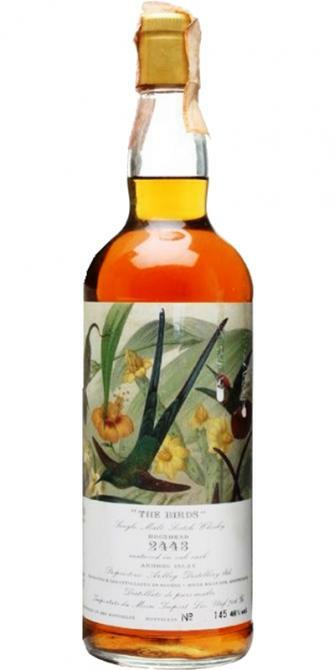 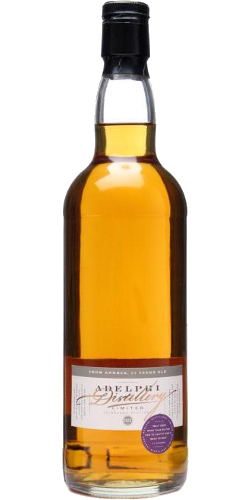 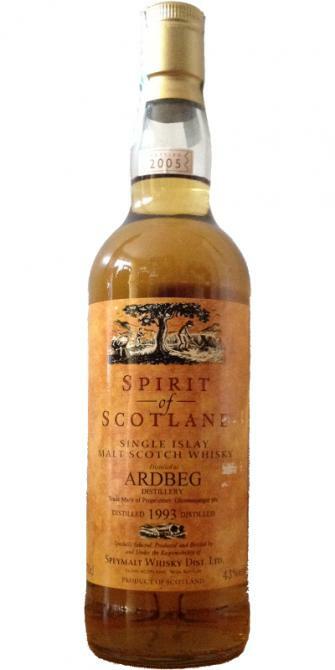 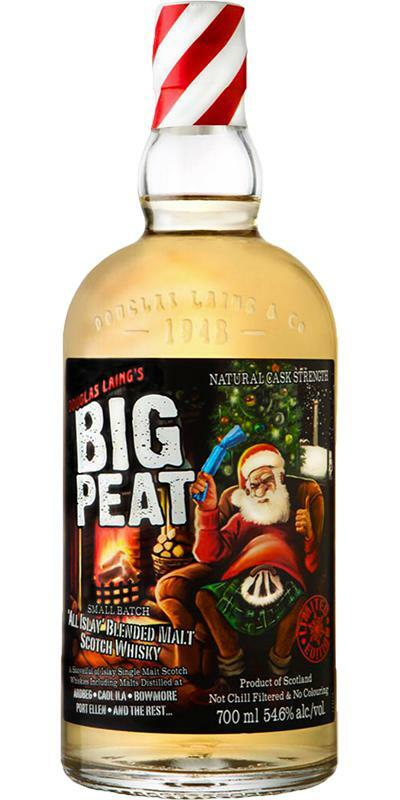 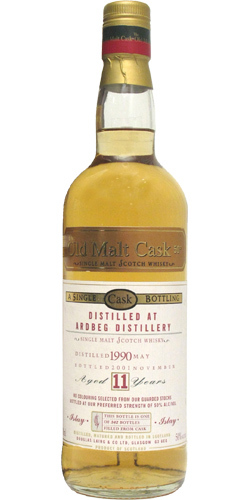 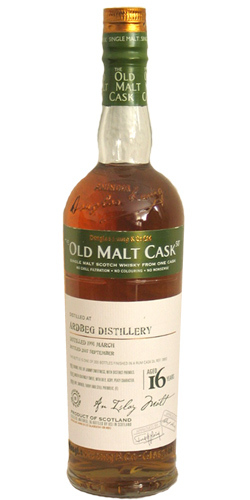 Ardbeg Old Islay Malt Special Liqueur 43.0 % Vol. 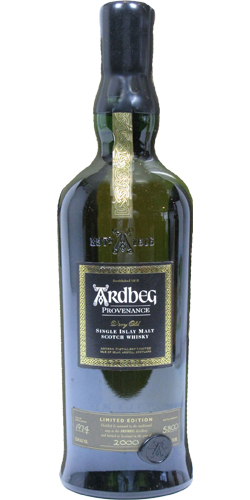 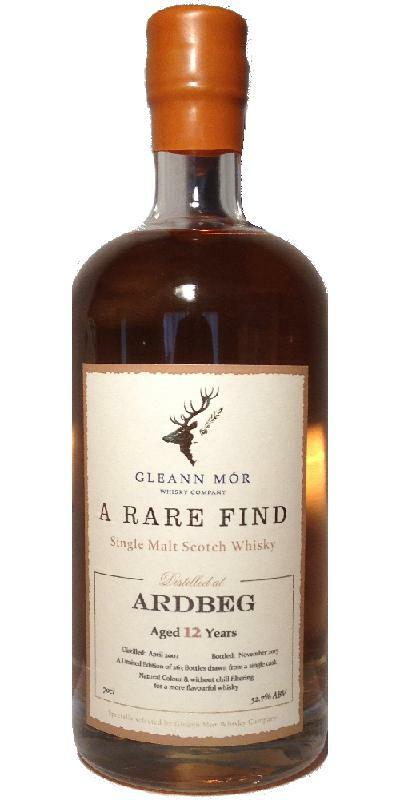 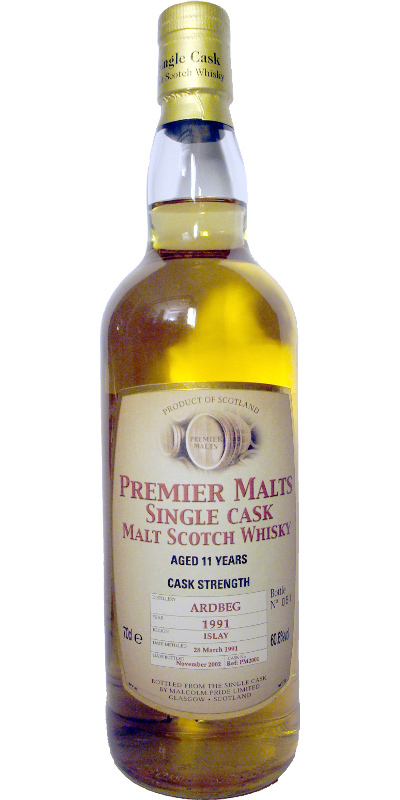 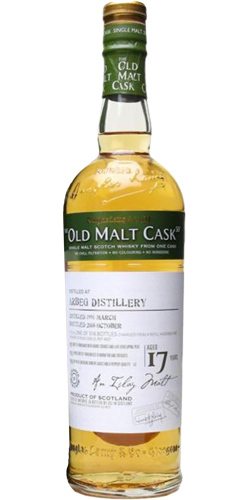 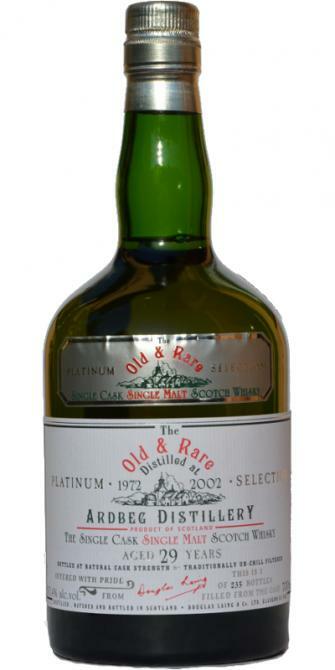 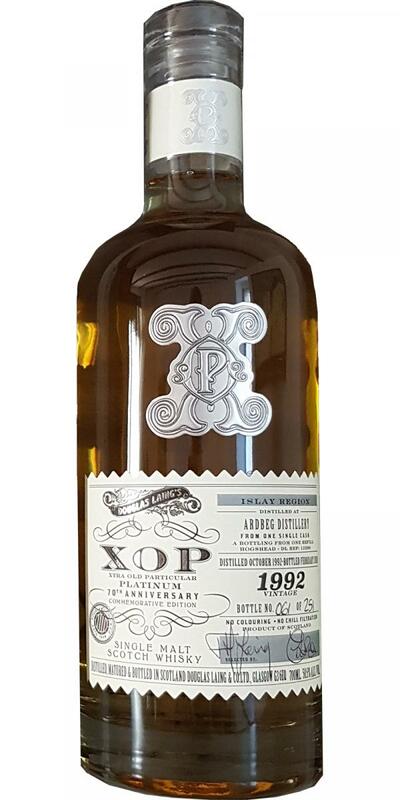 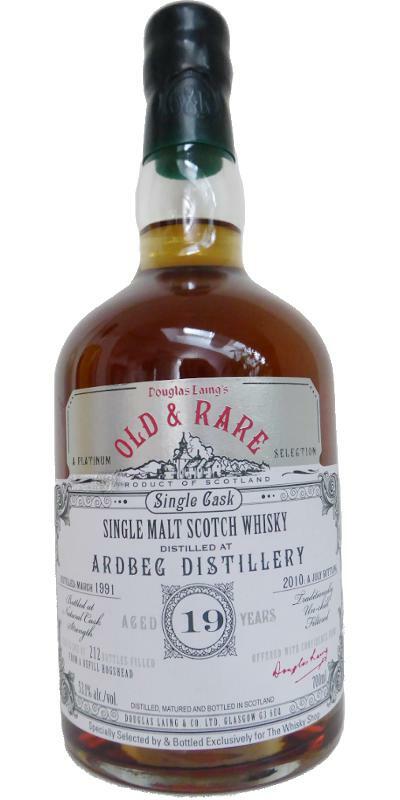 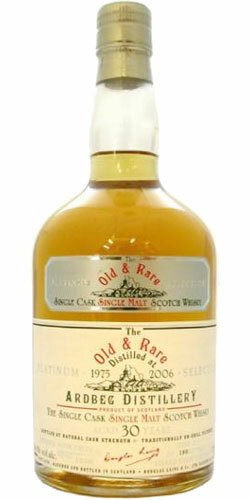 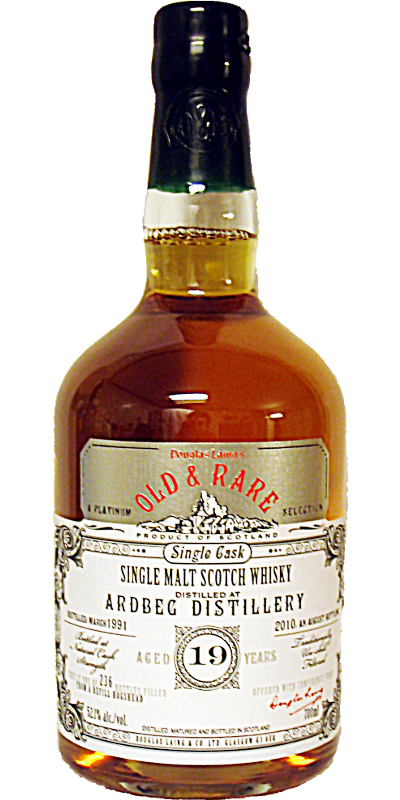 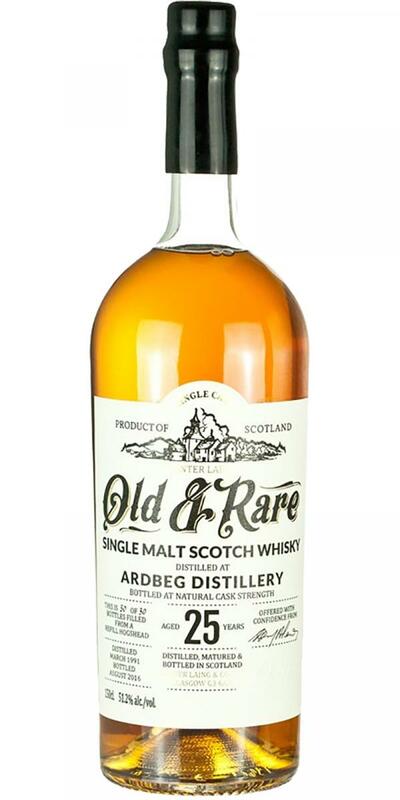 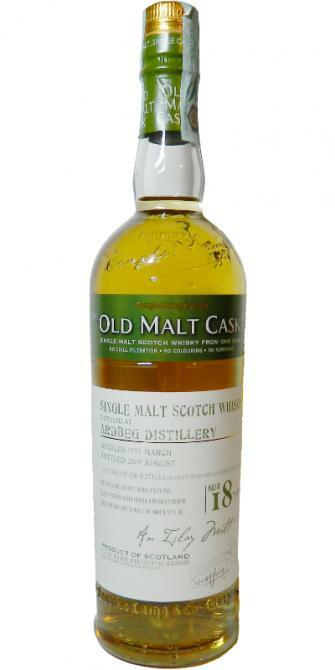 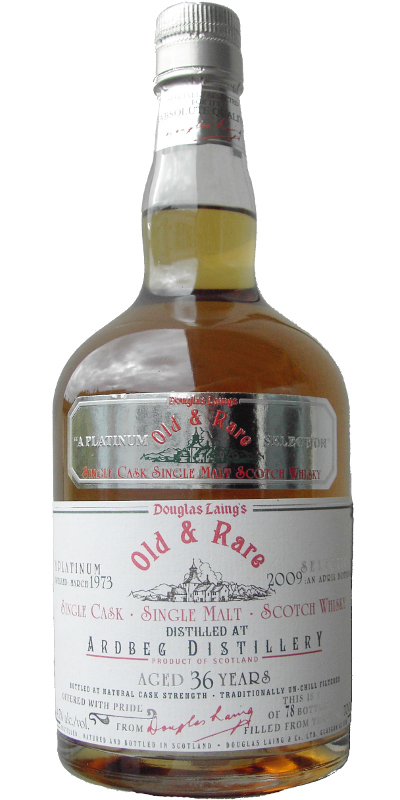 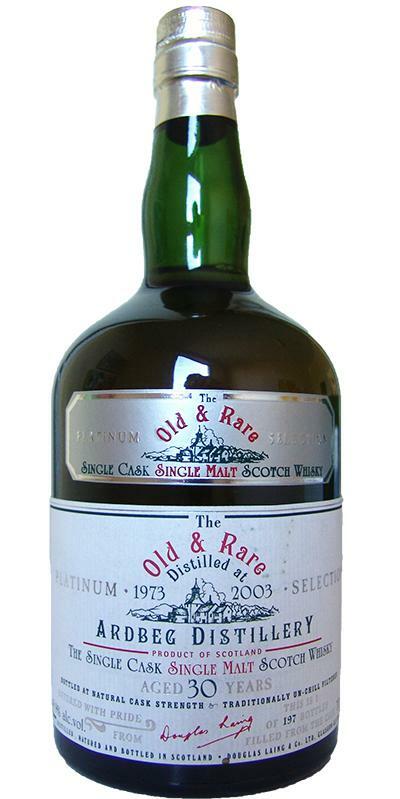 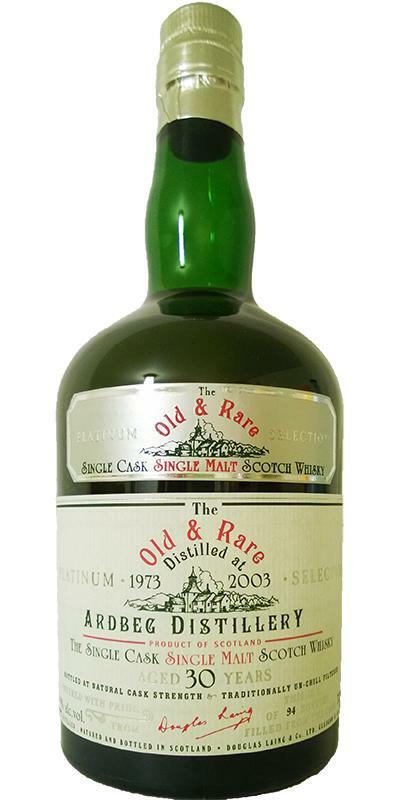 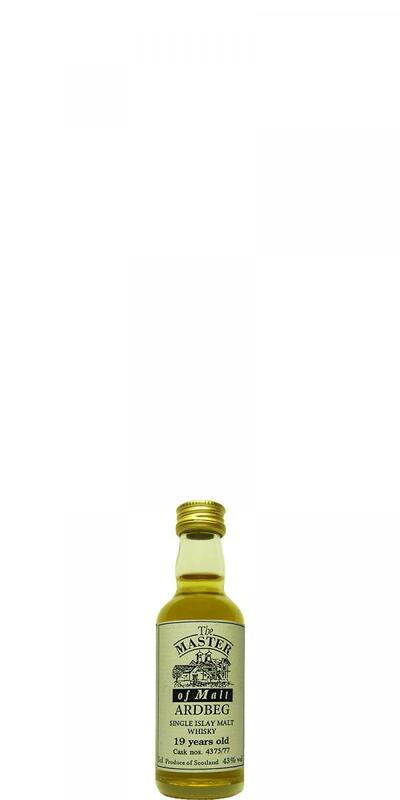 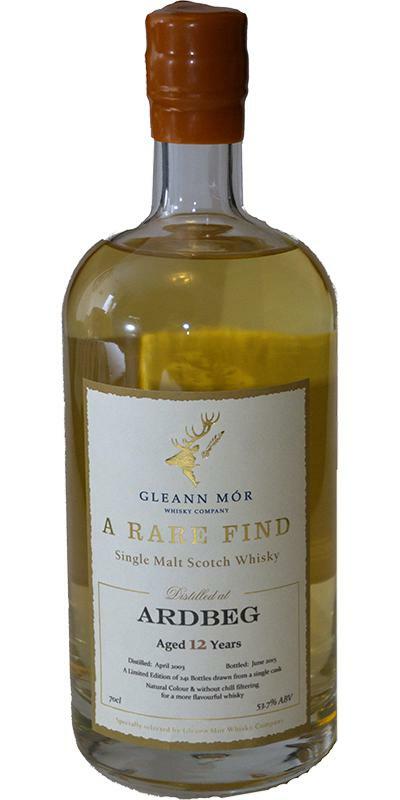 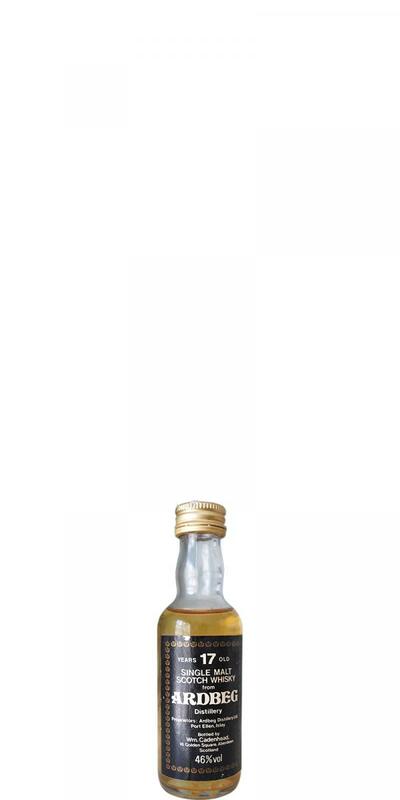 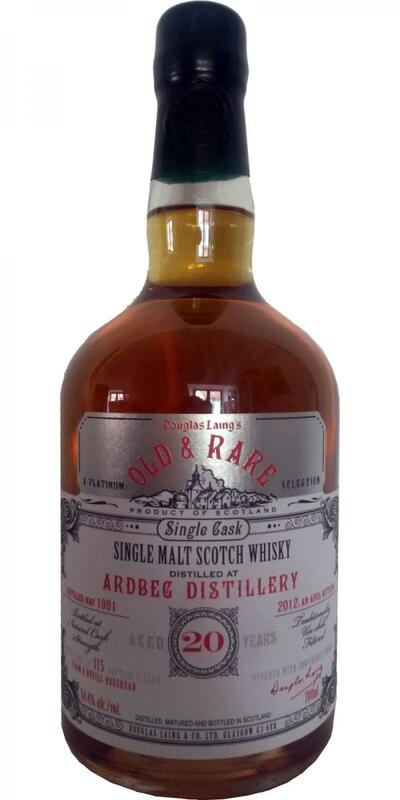 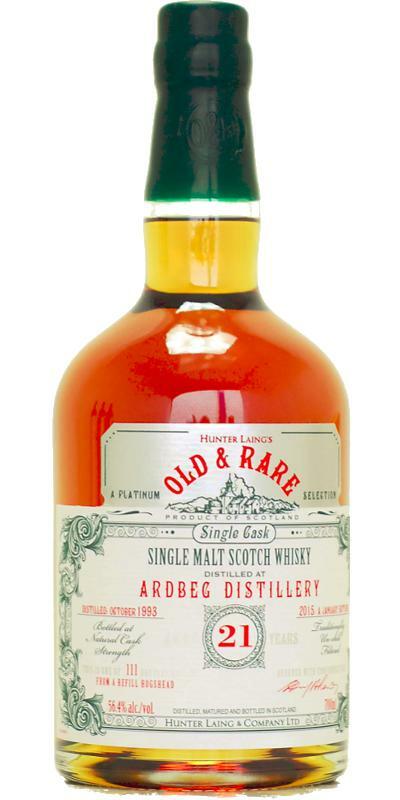 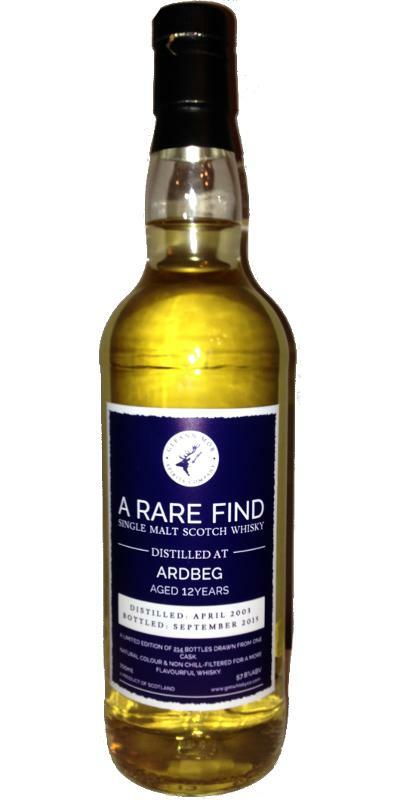 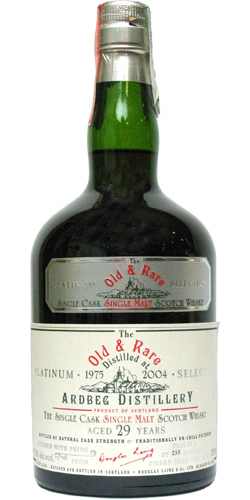 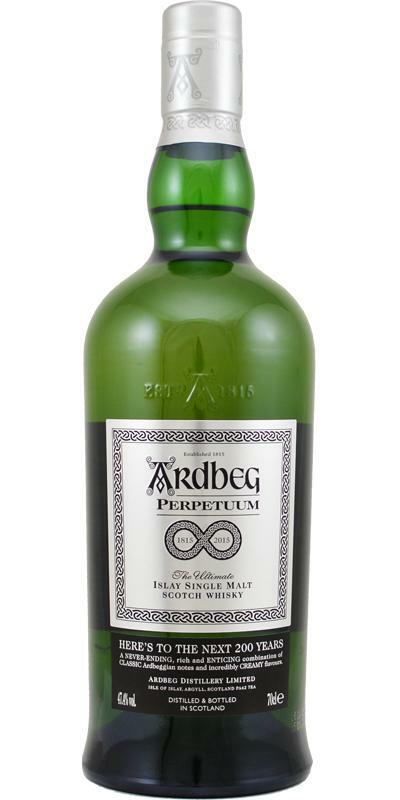 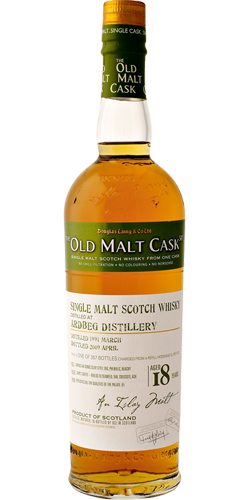 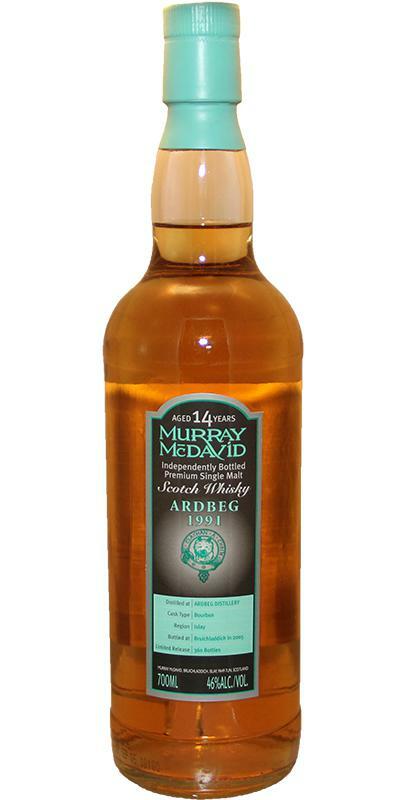 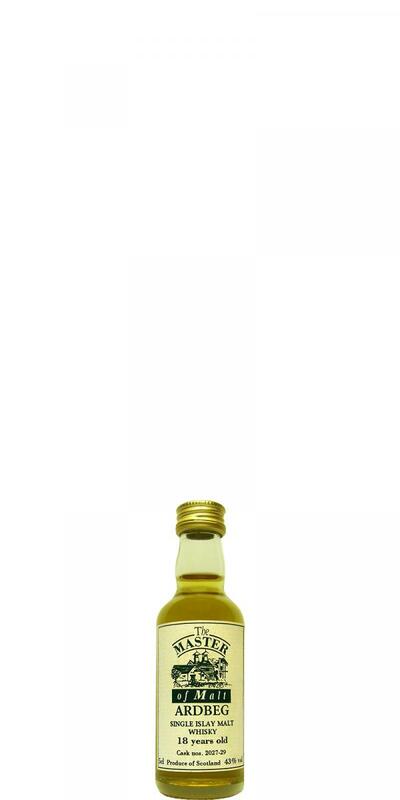 Ardbeg Old Islay Whisky Pure Malt 0.0 % Vol. 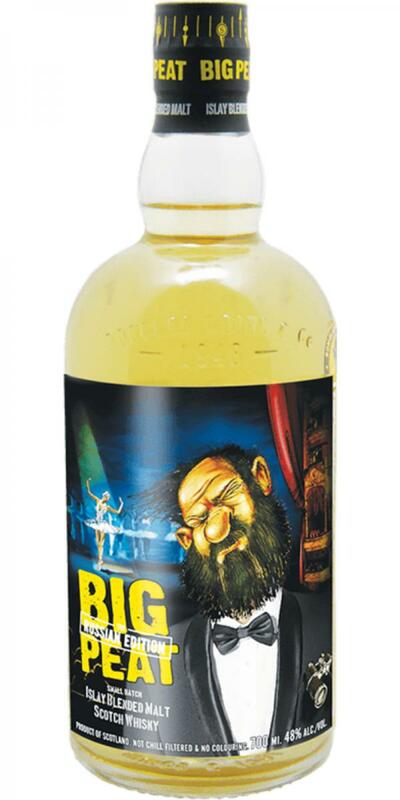 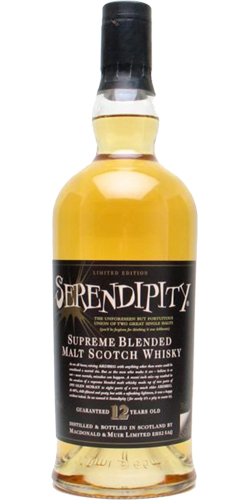 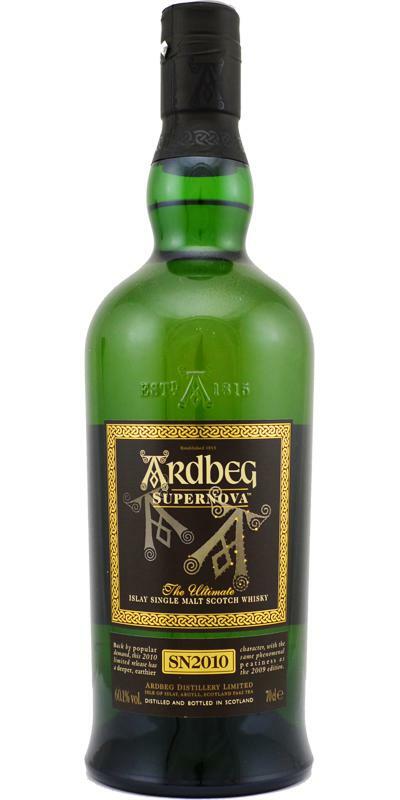 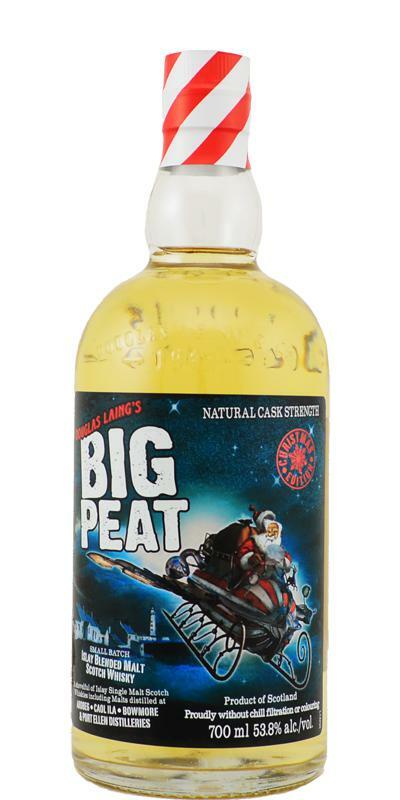 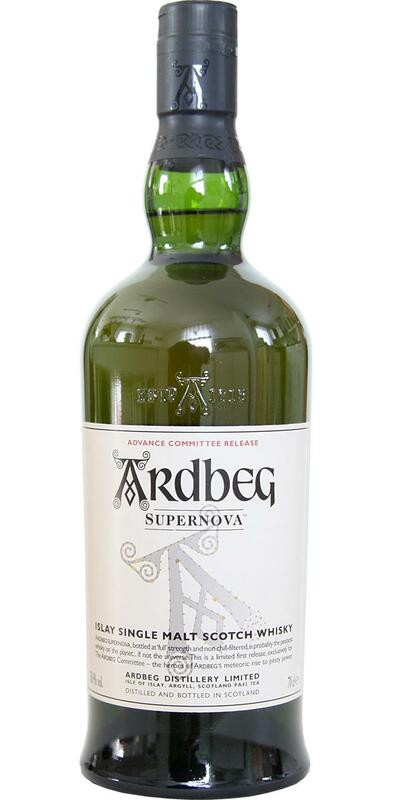 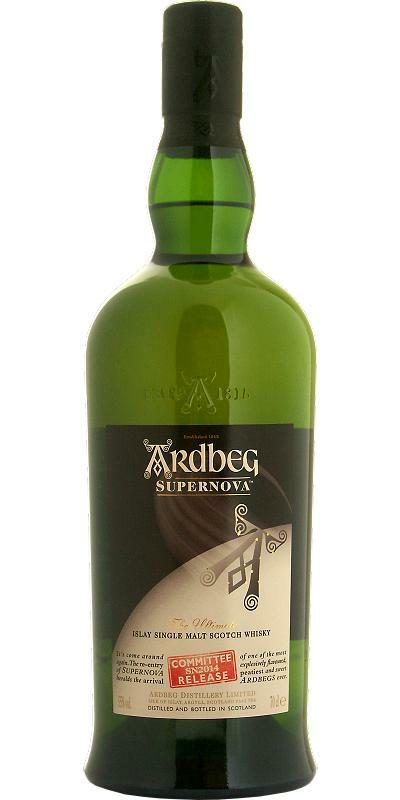 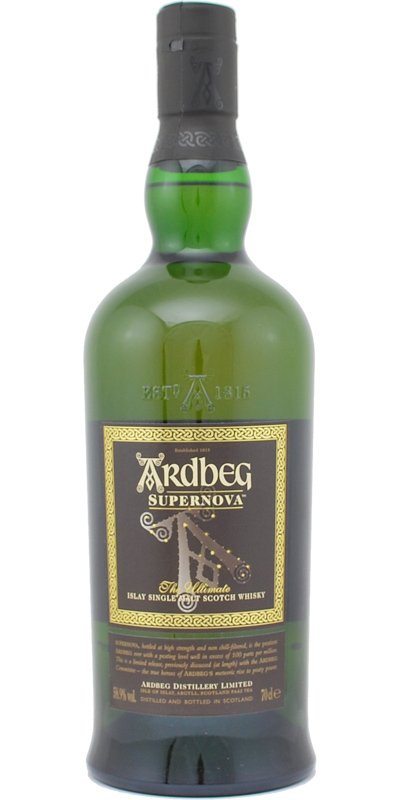 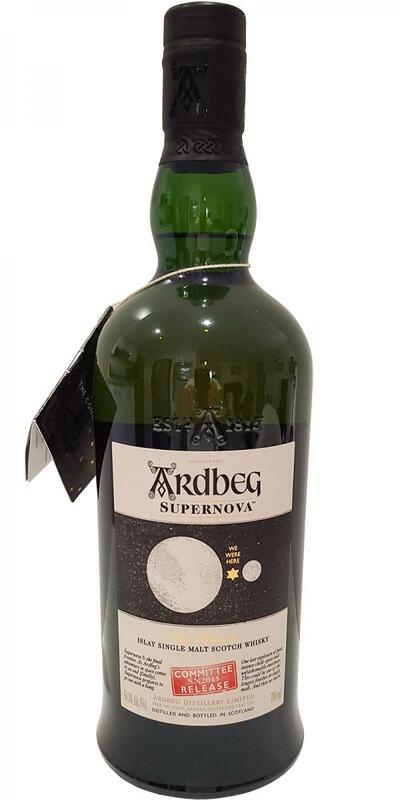 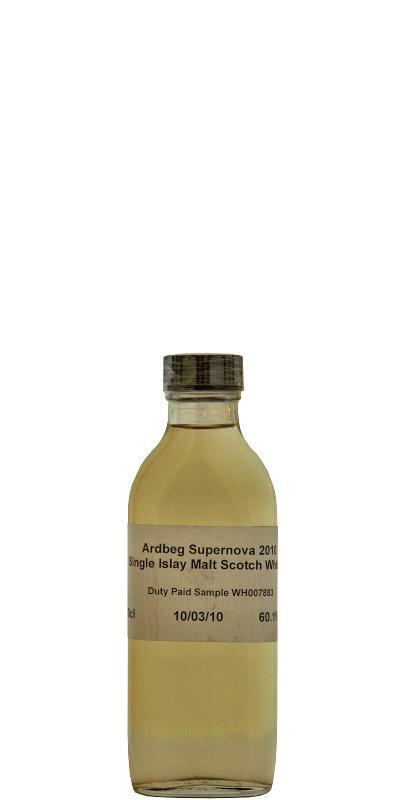 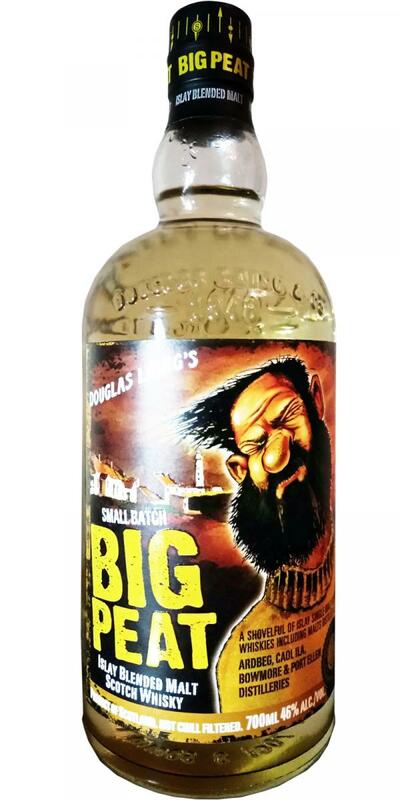 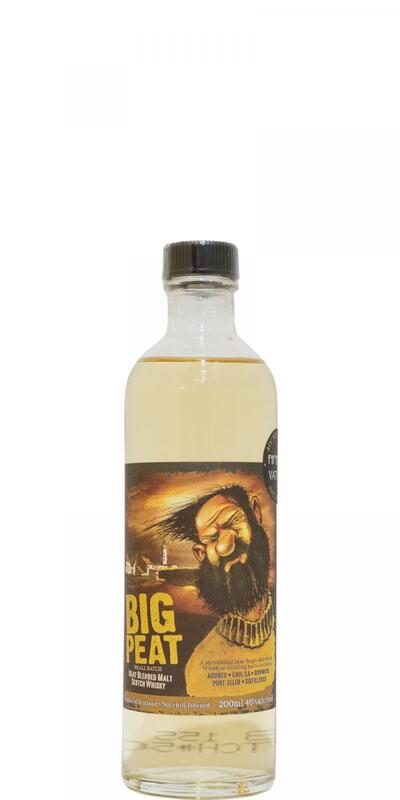 Ardbeg Supernova SN 2014 55.0 % Vol. 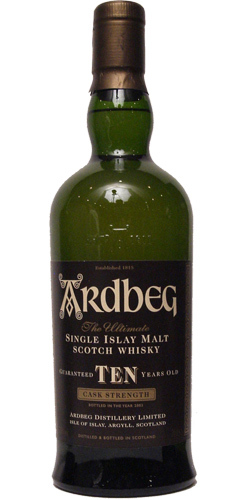 Ardbeg TEN 10 0.0 % Vol. 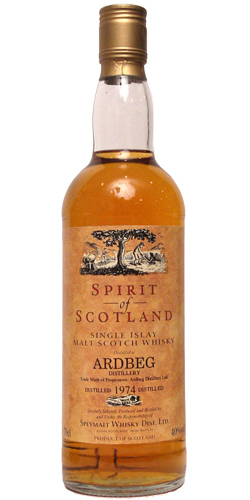 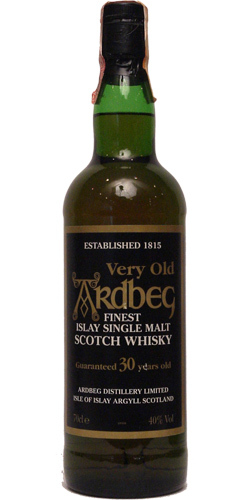 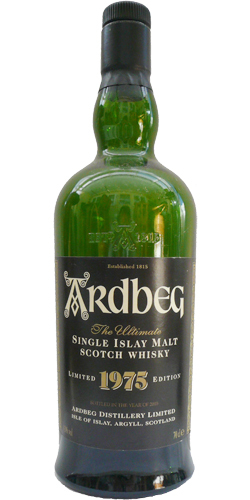 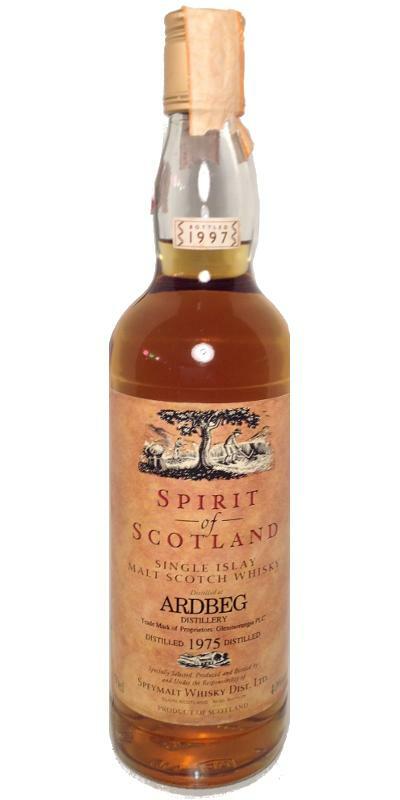 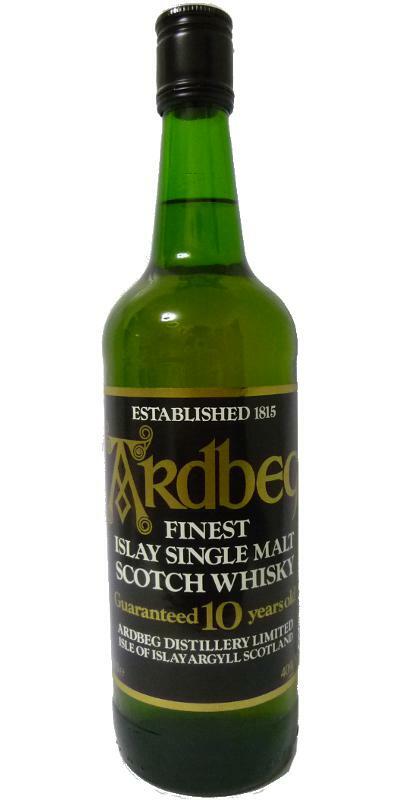 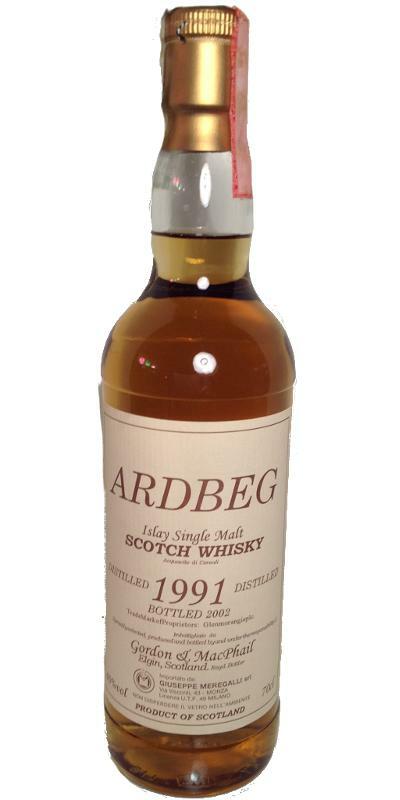 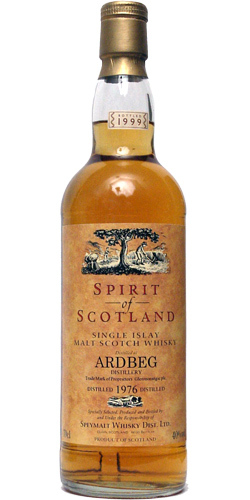 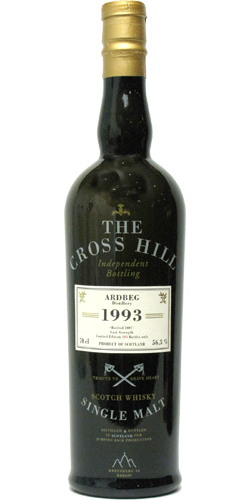 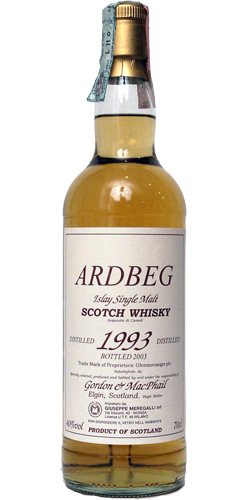 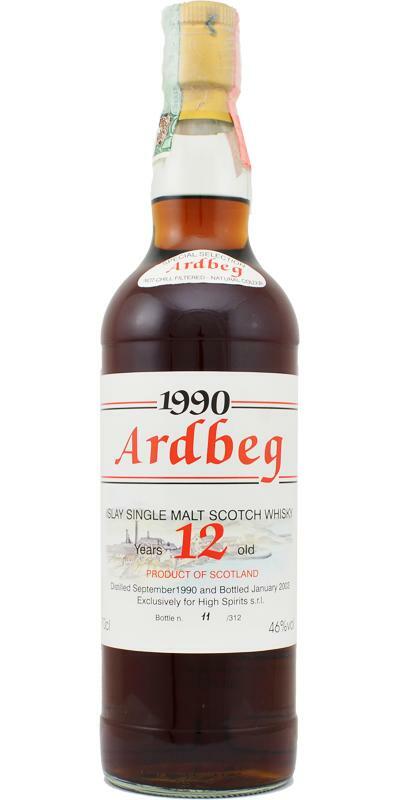 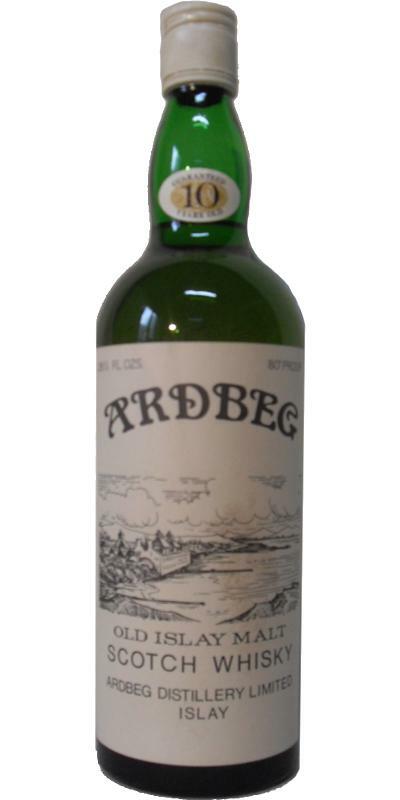 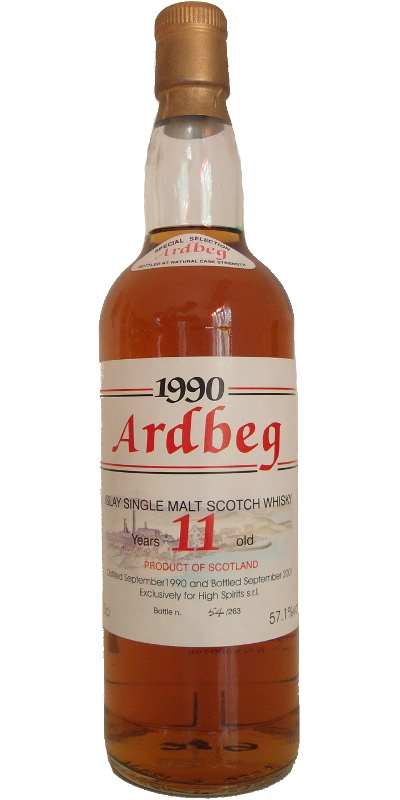 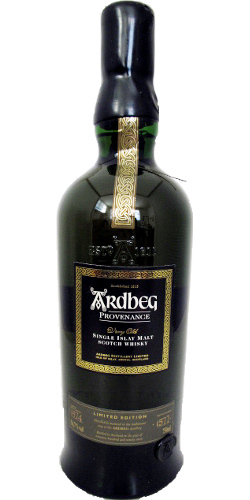 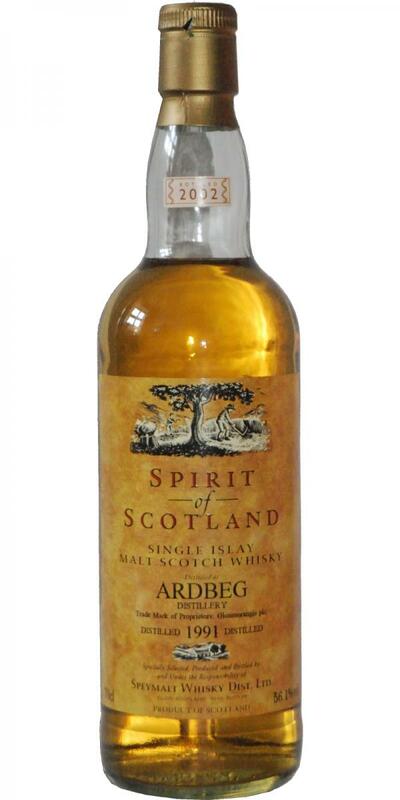 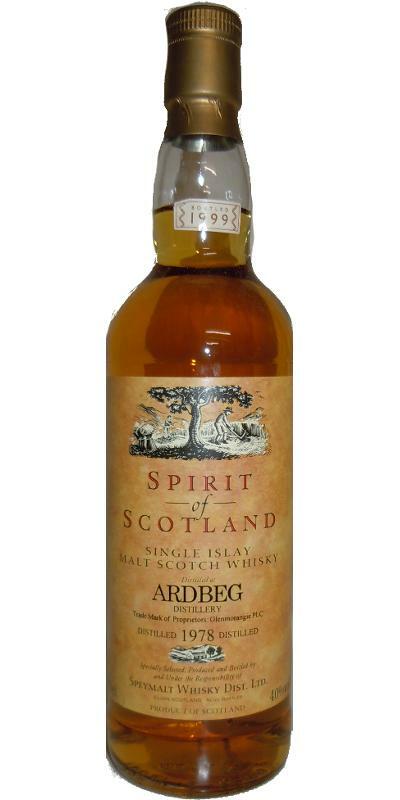 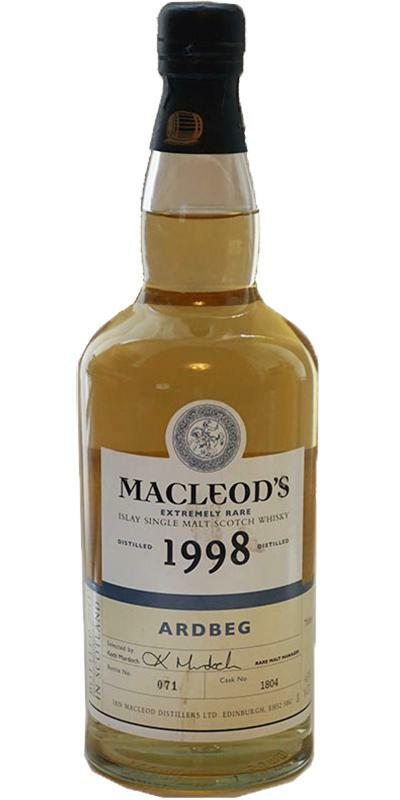 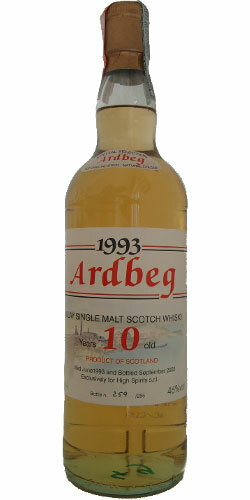 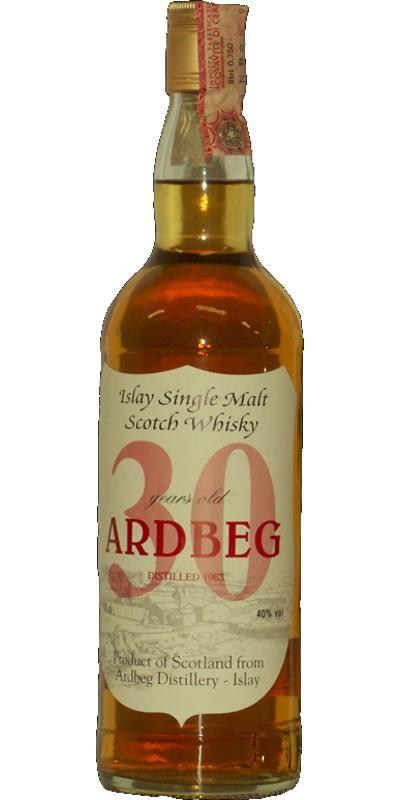 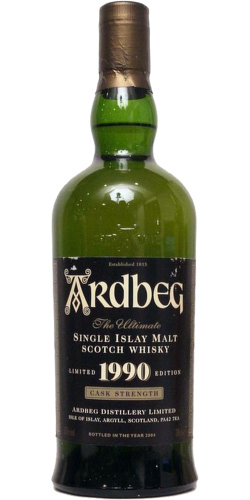 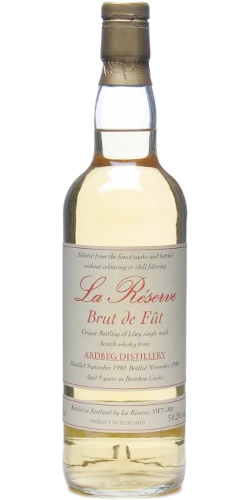 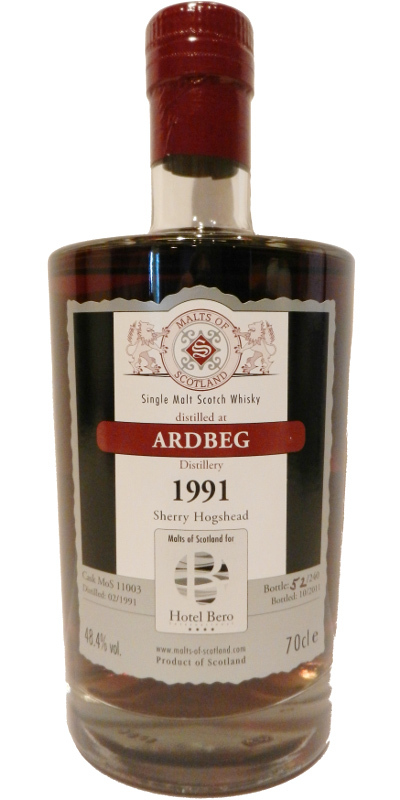 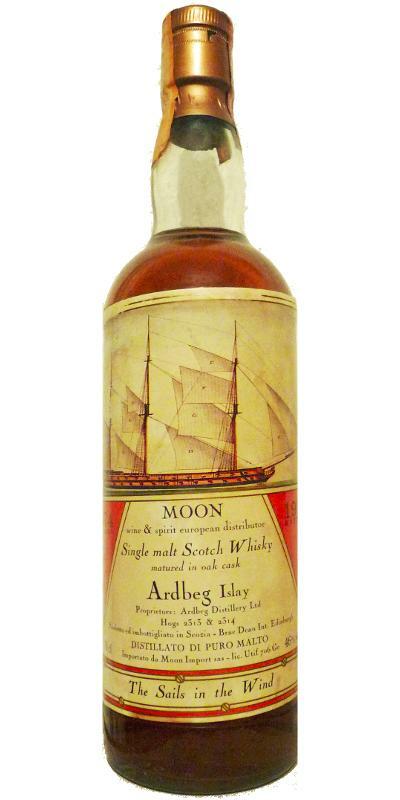 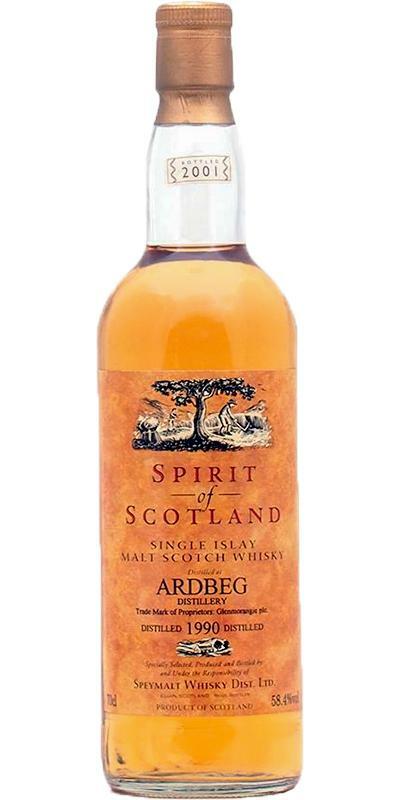 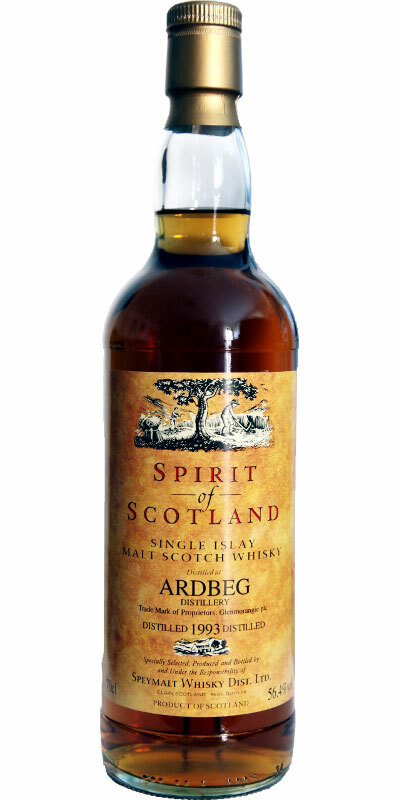 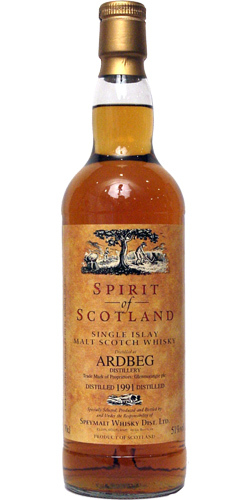 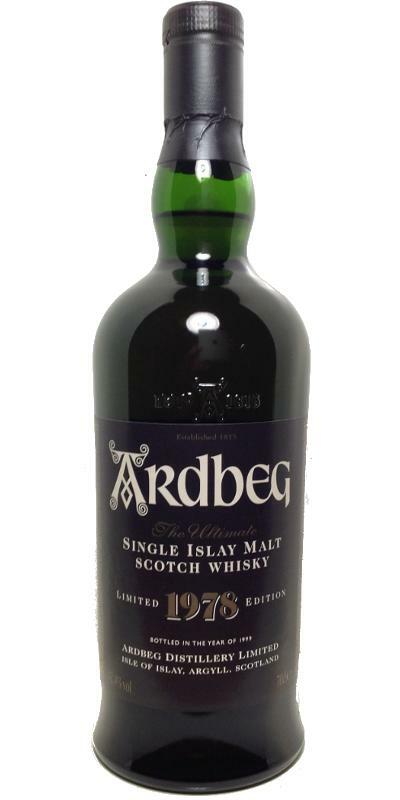 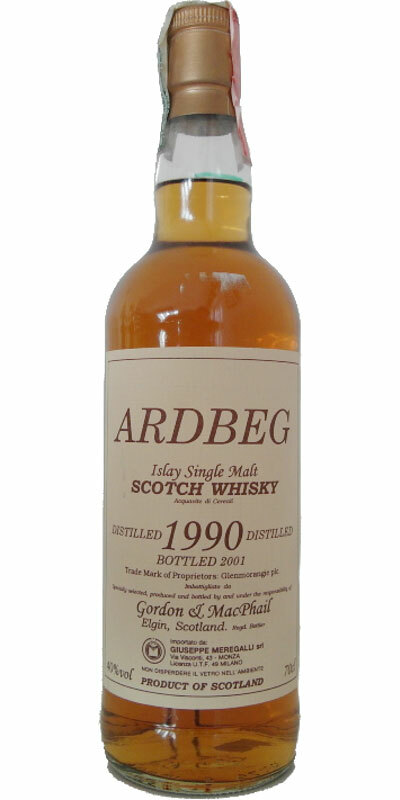 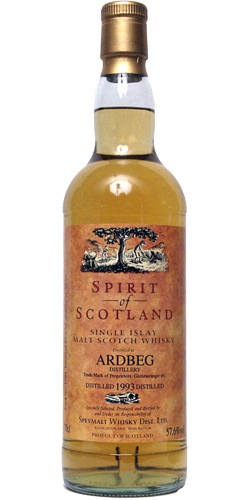 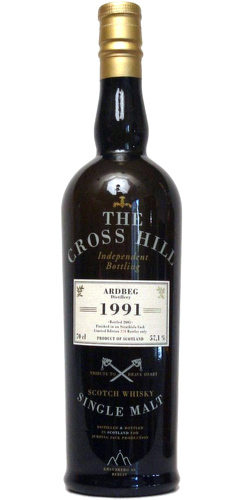 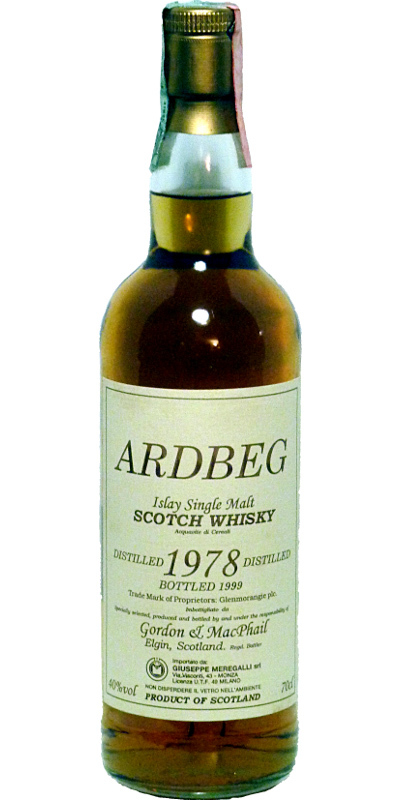 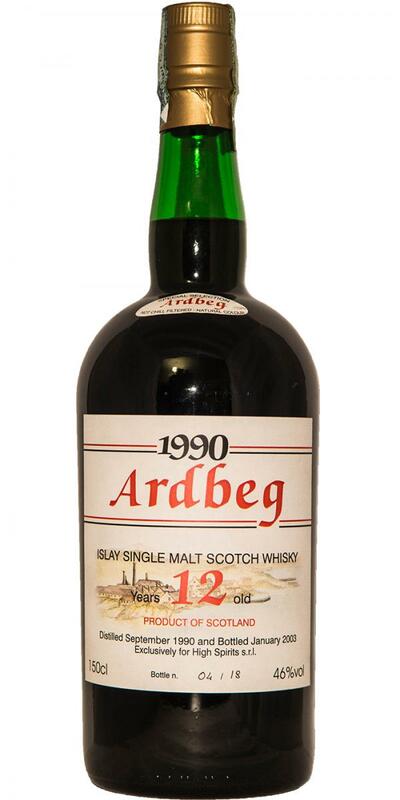 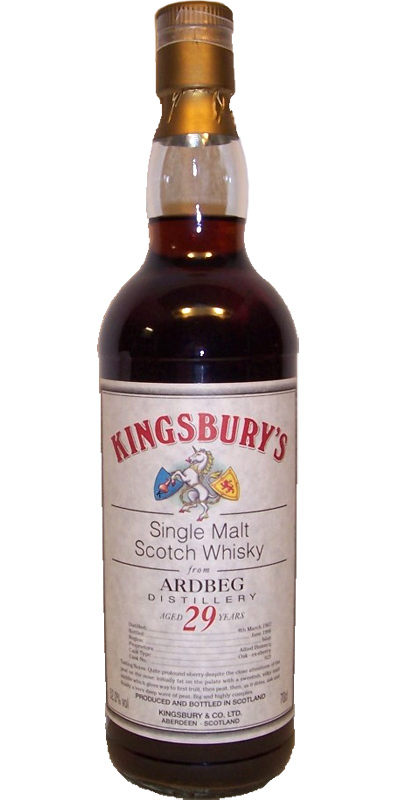 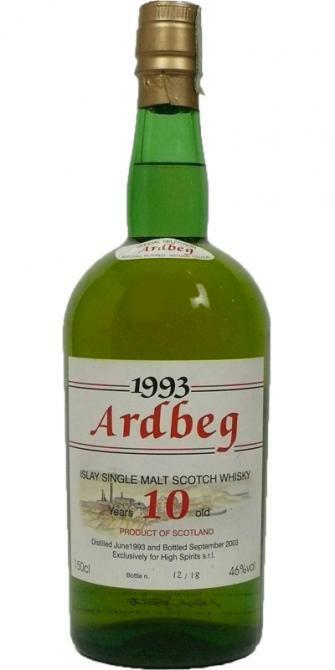 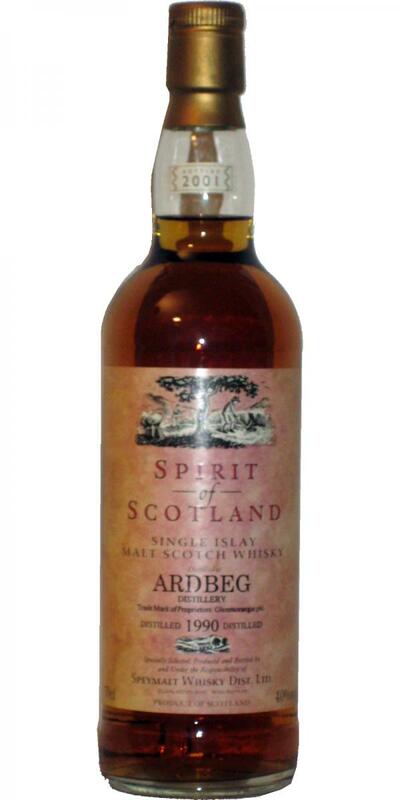 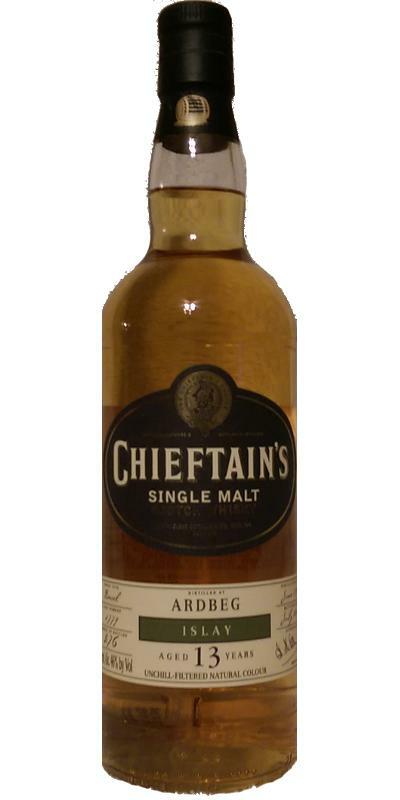 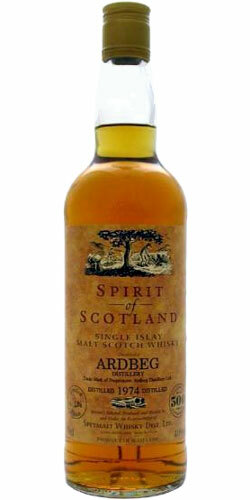 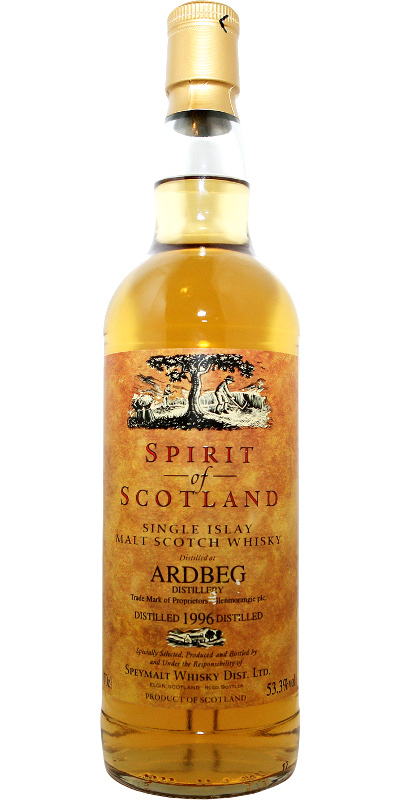 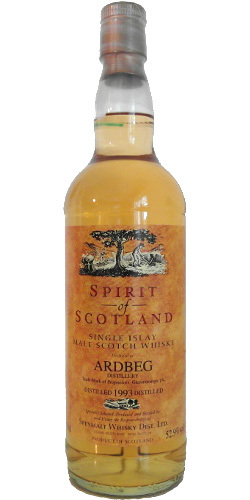 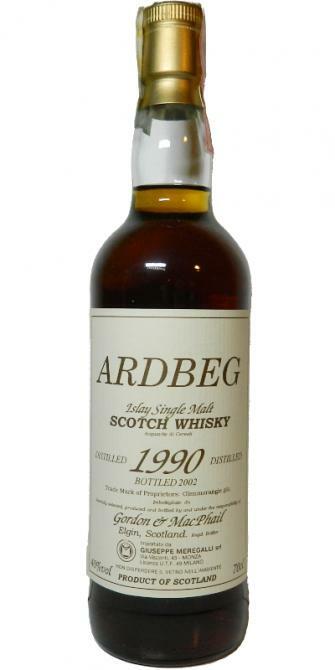 Ardbeg 1992 As 10 46.6 % Vol. 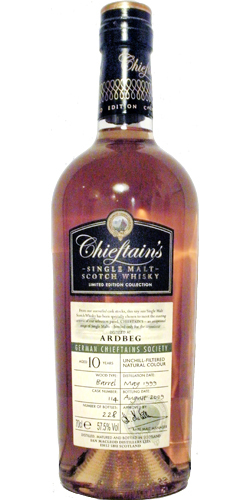 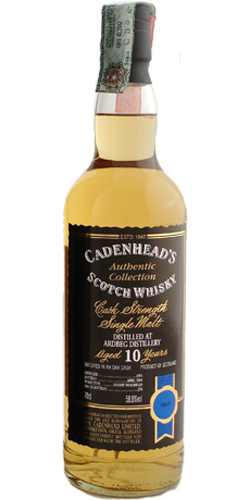 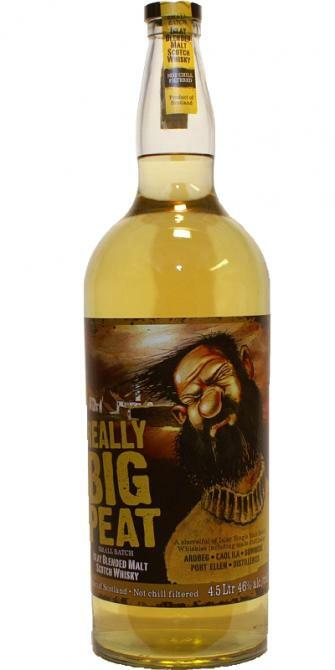 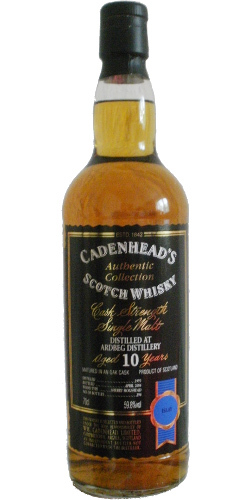 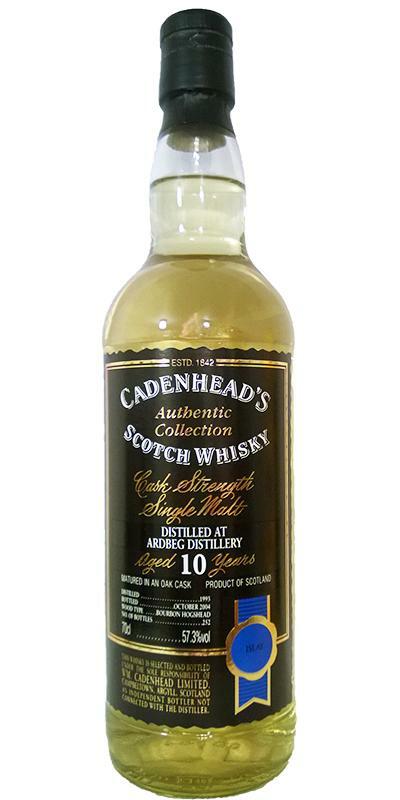 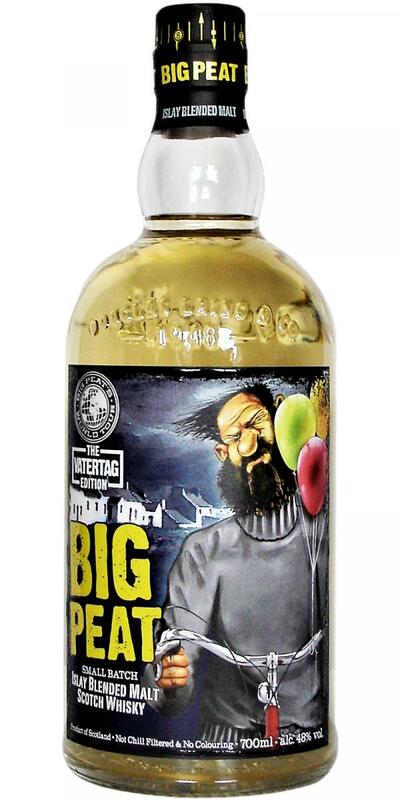 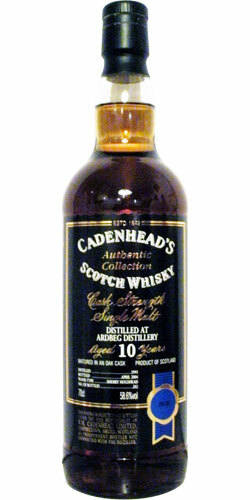 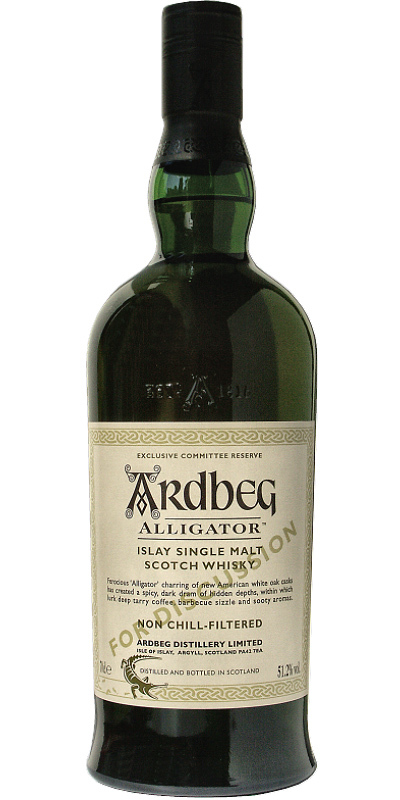 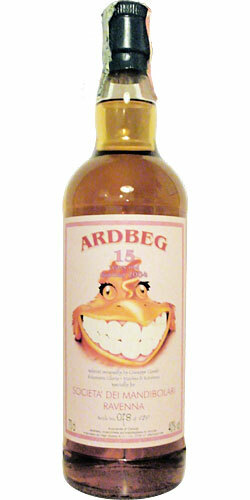 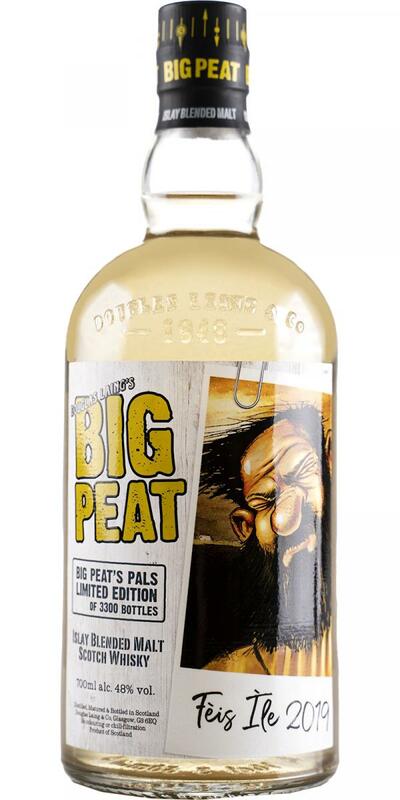 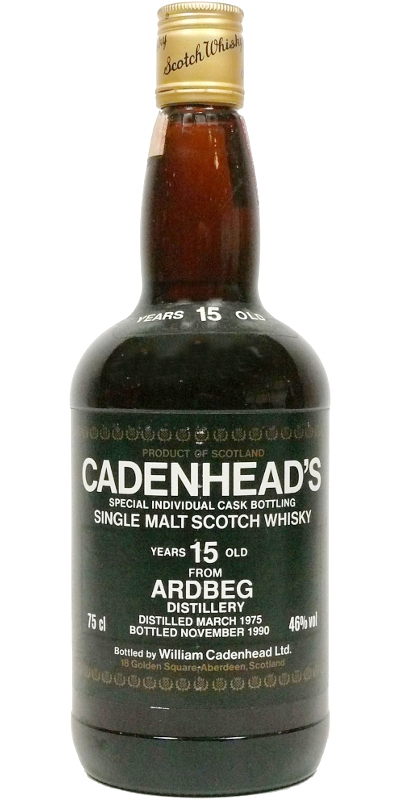 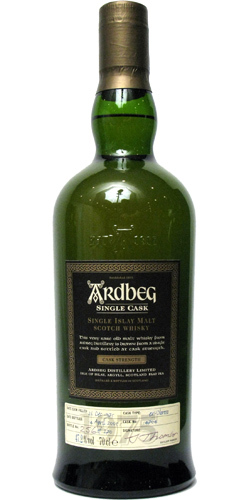 Ardbeg 10-year-old CA Dumpy Bottle 10 45.7 % Vol. 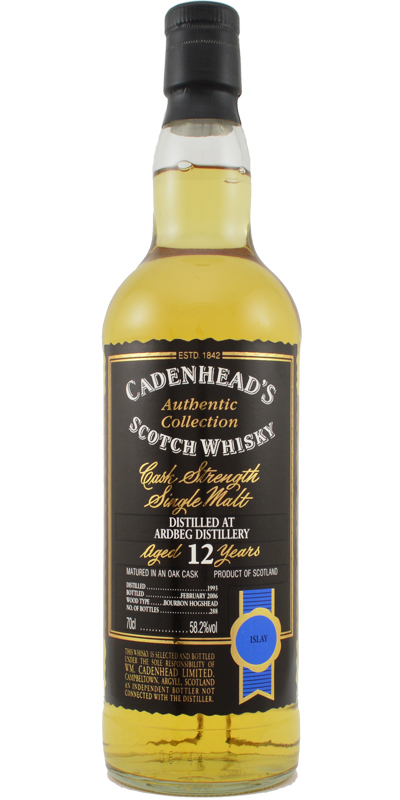 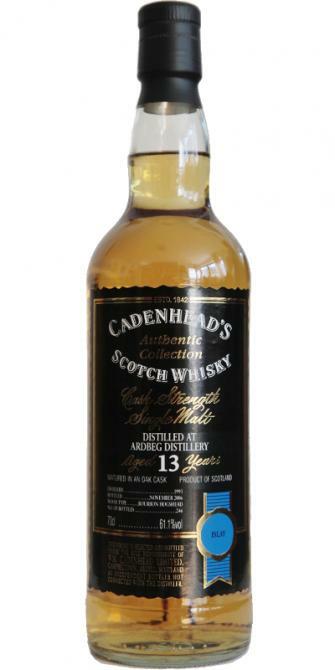 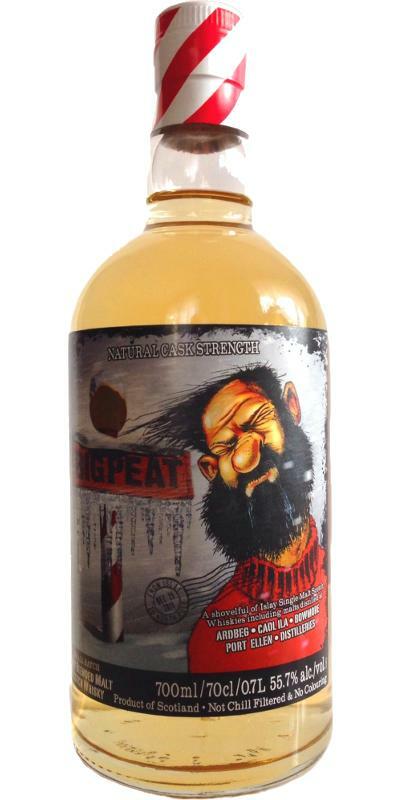 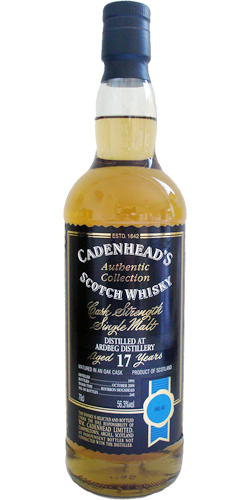 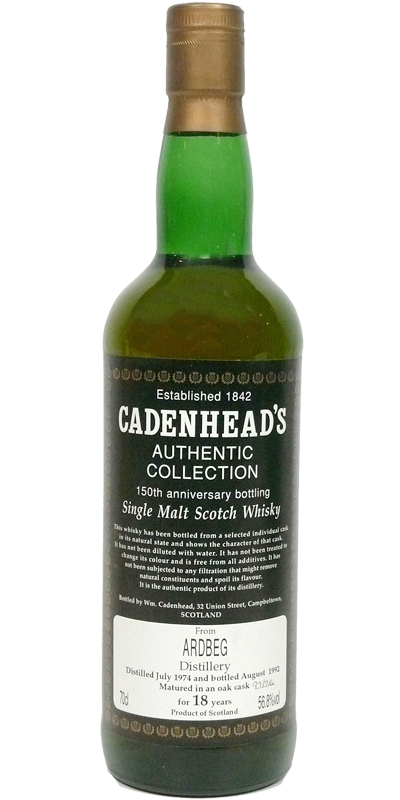 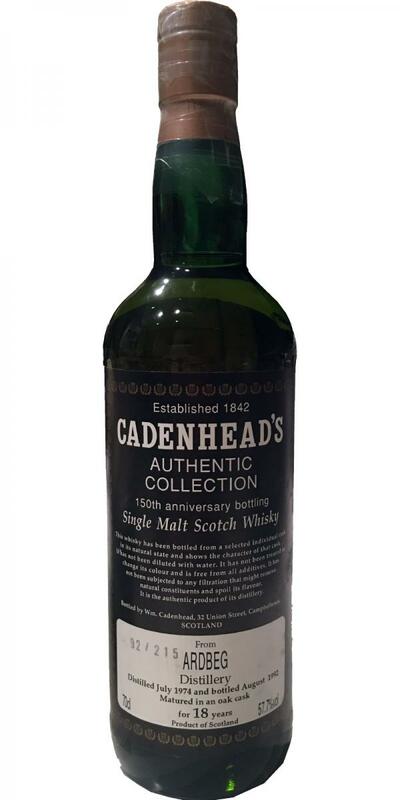 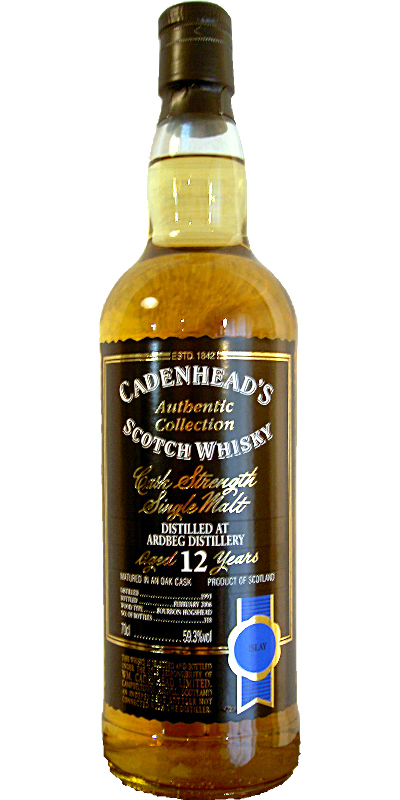 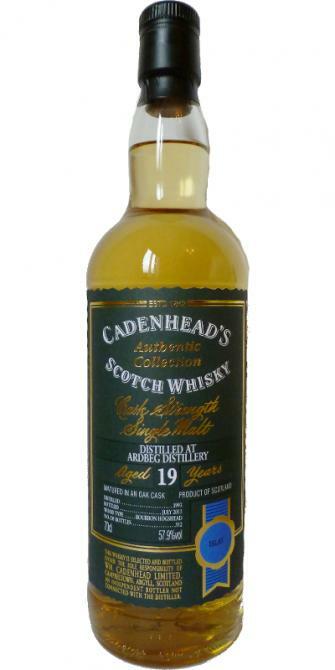 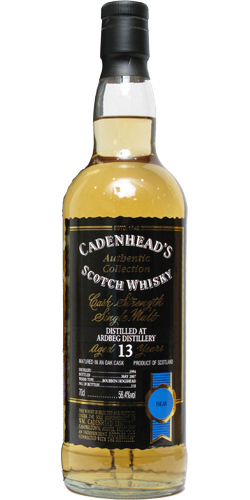 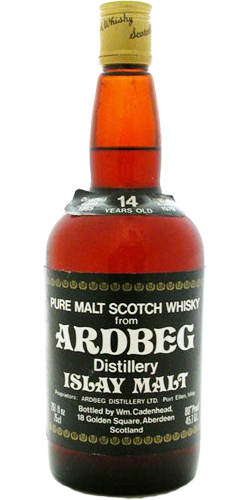 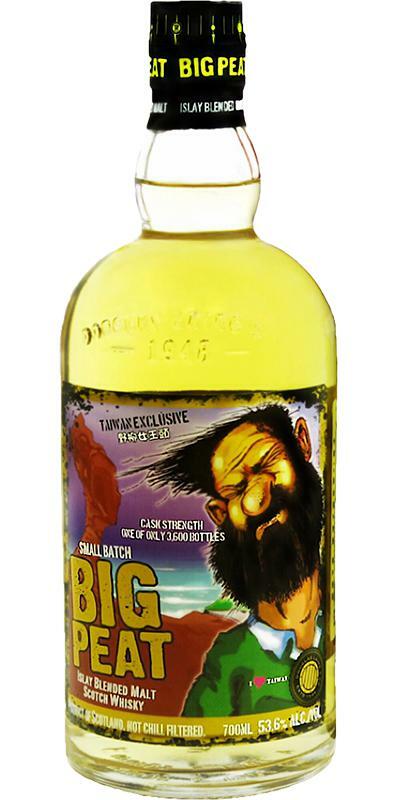 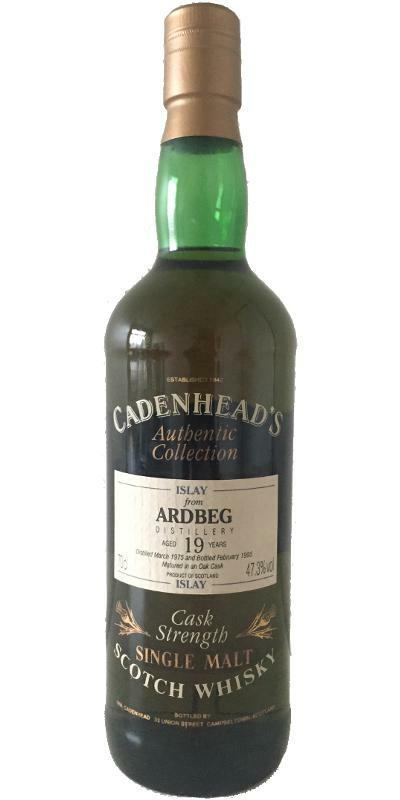 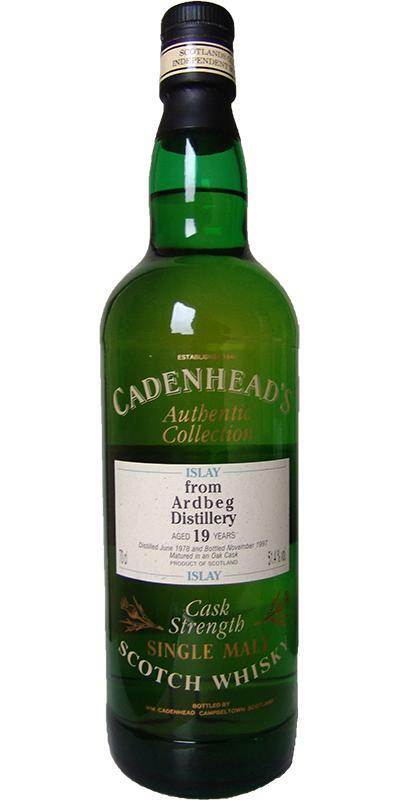 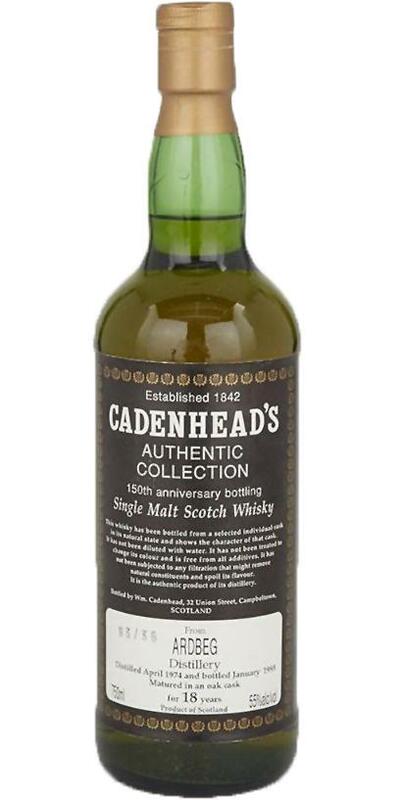 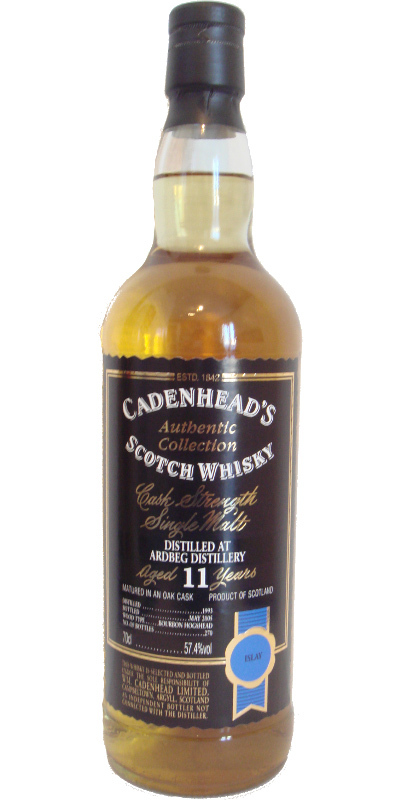 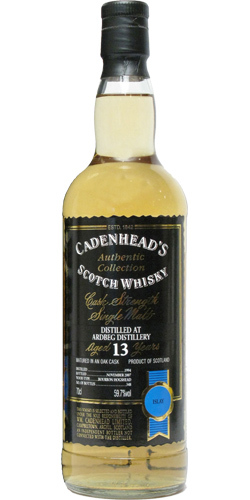 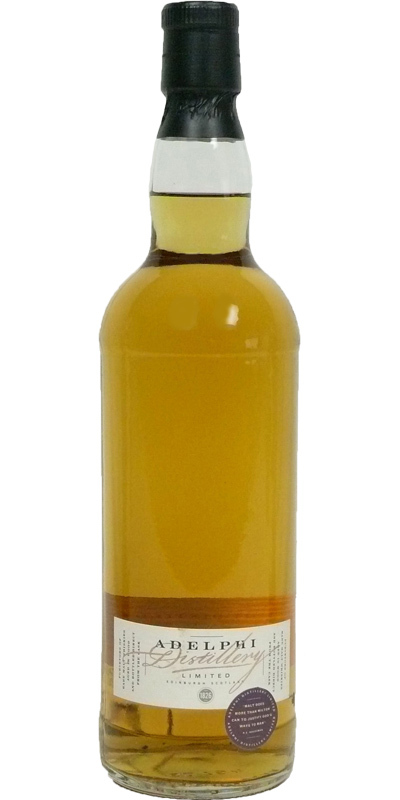 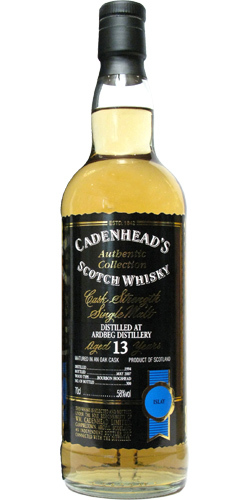 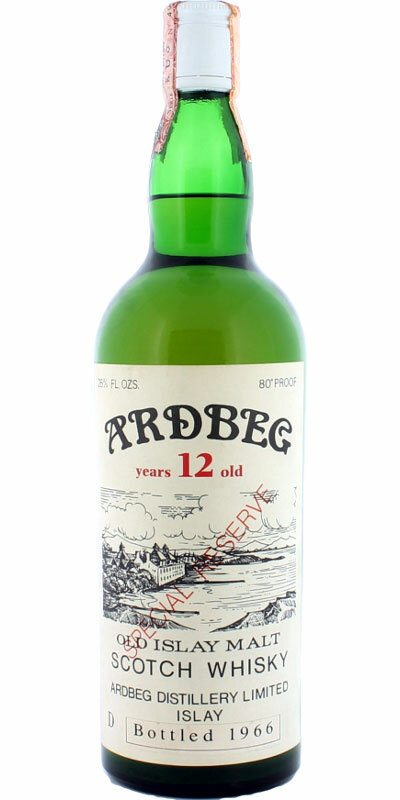 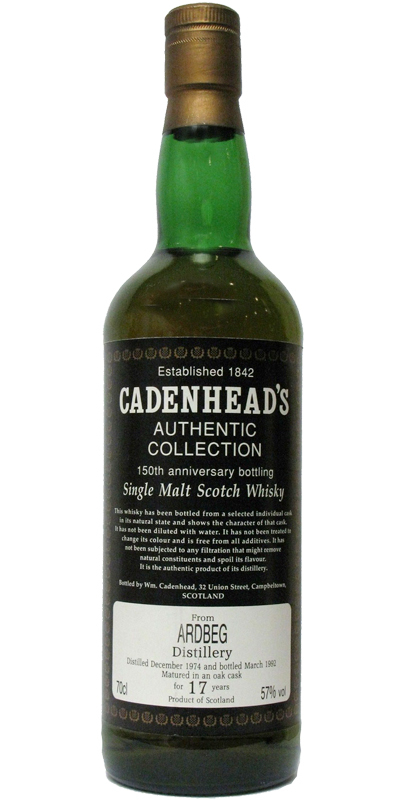 Ardbeg 12-year-old CA Dumpy Bottle 12 46.0 % Vol. 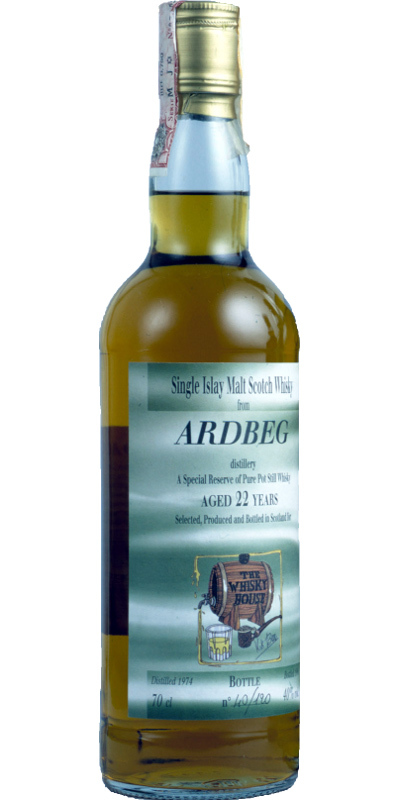 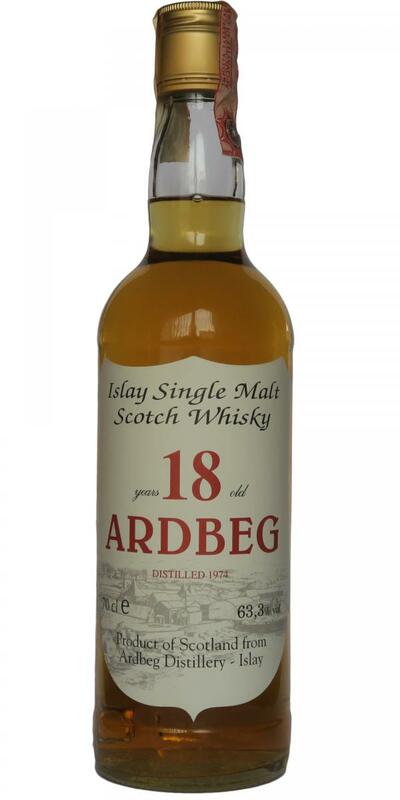 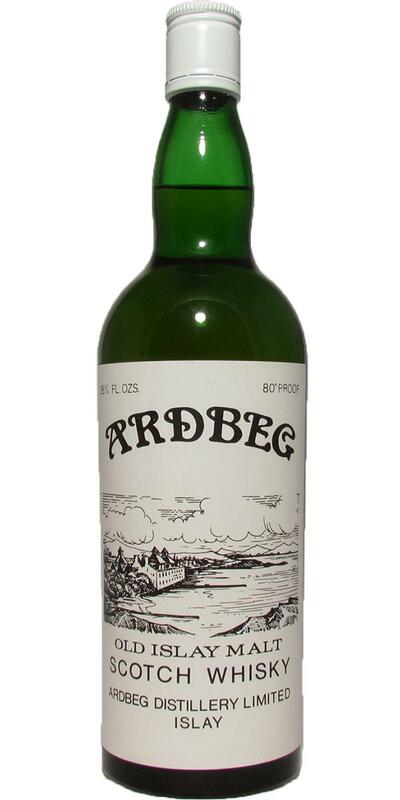 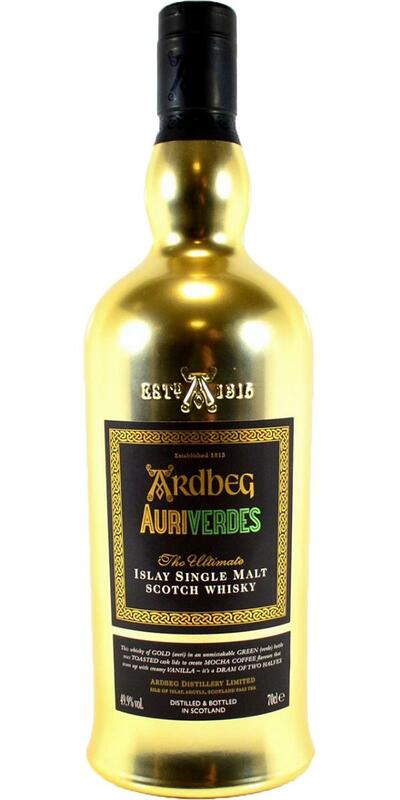 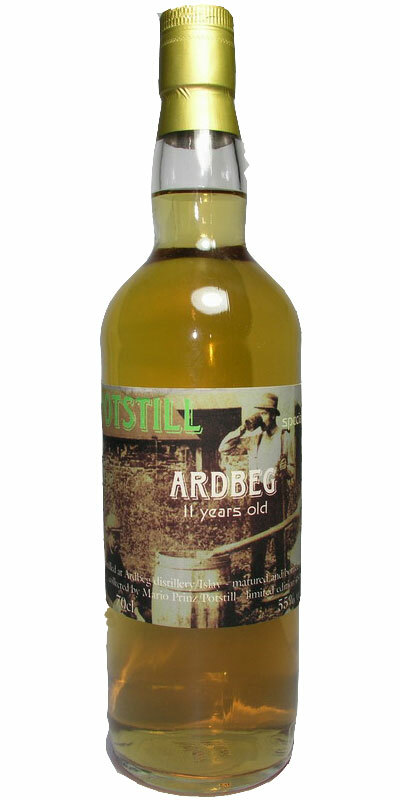 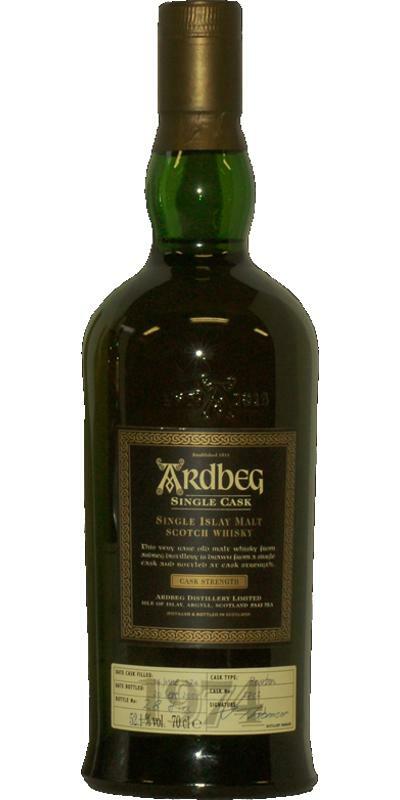 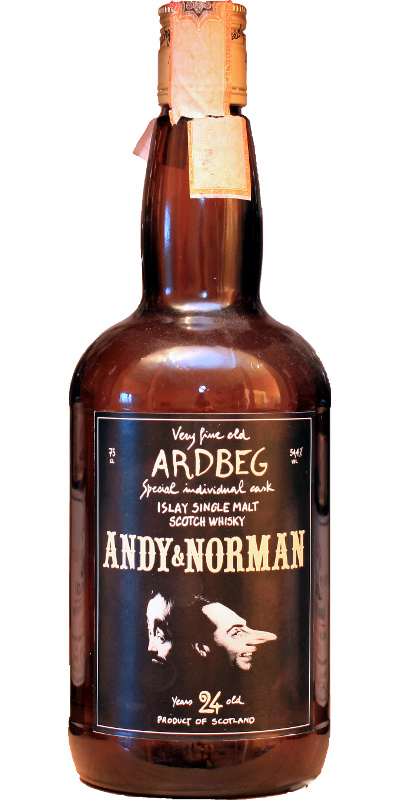 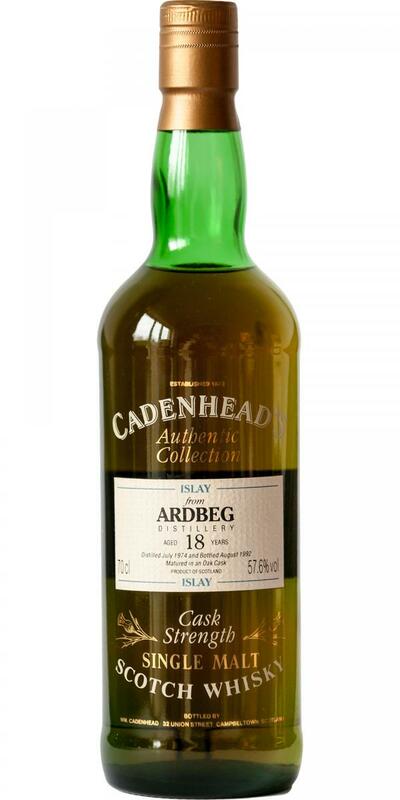 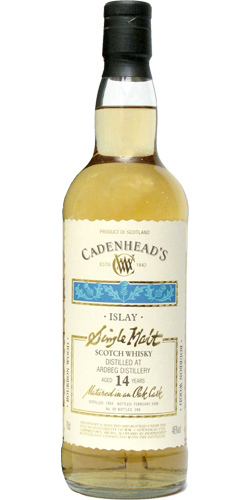 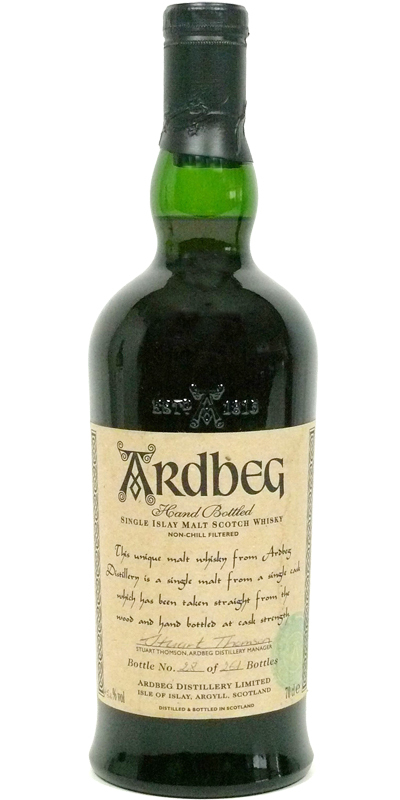 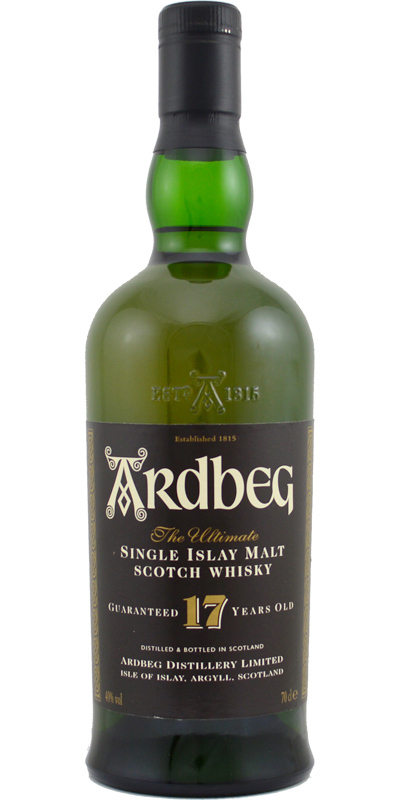 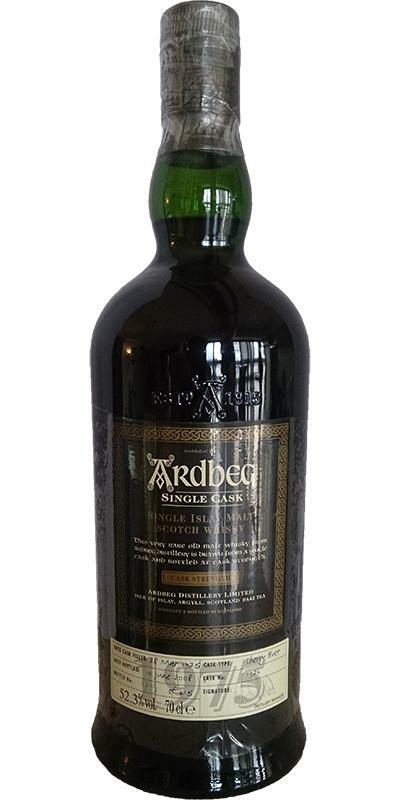 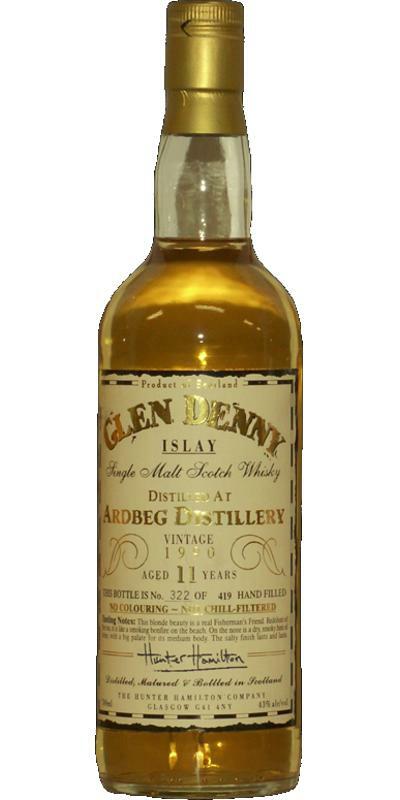 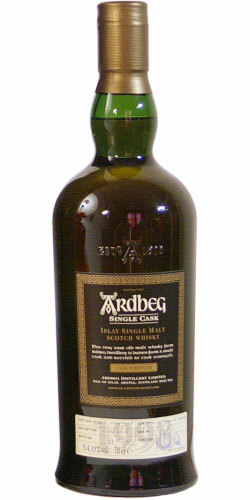 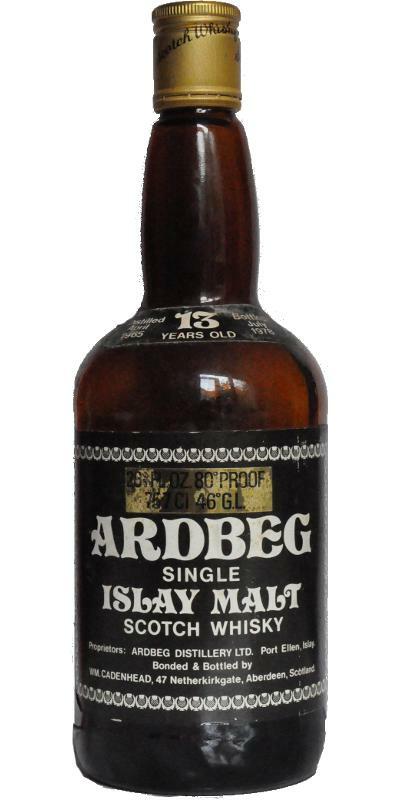 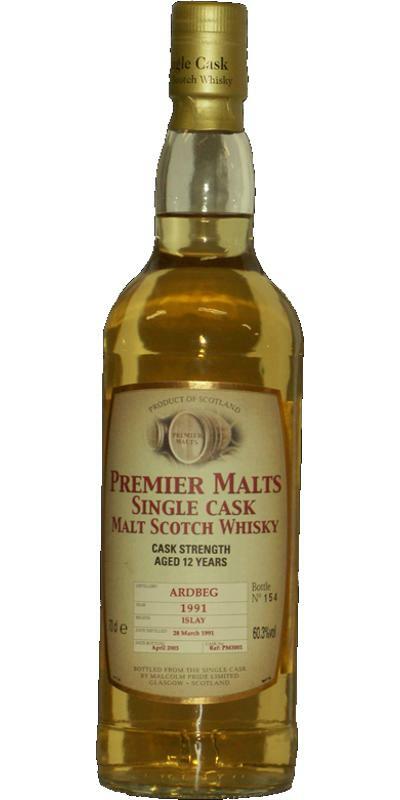 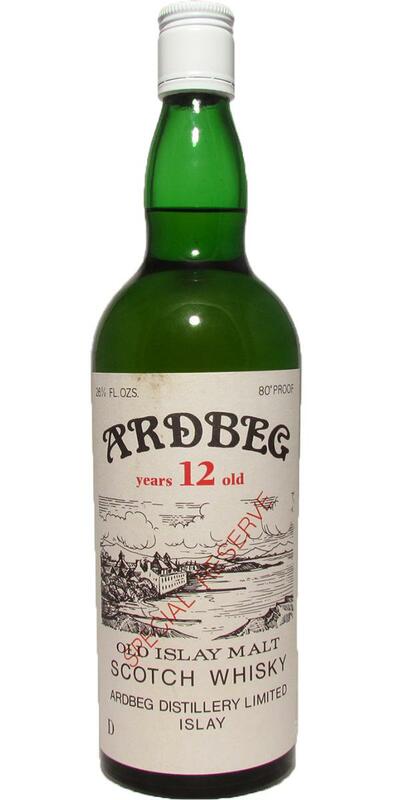 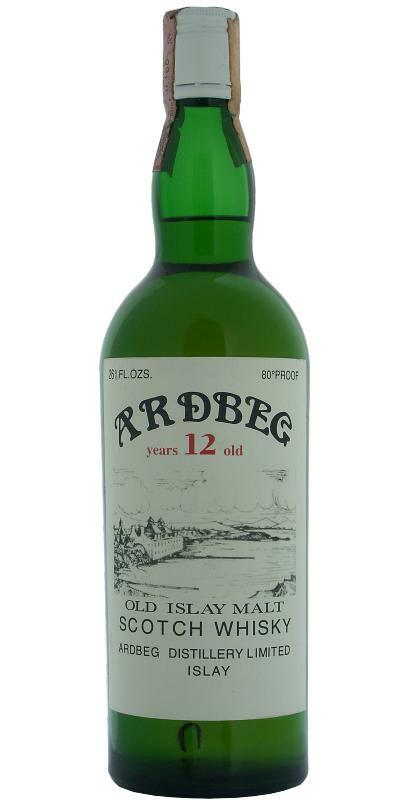 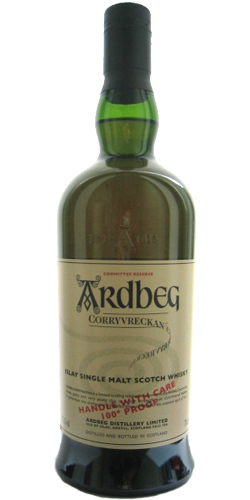 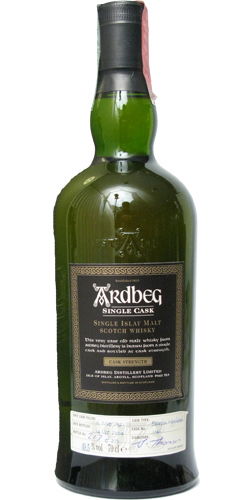 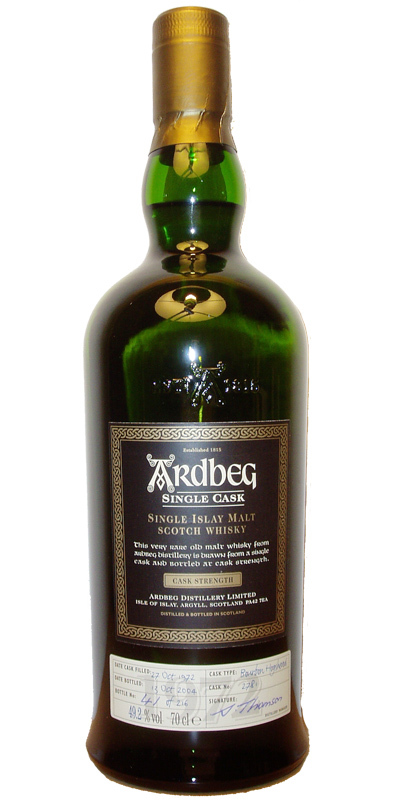 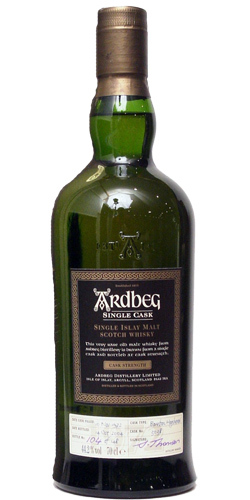 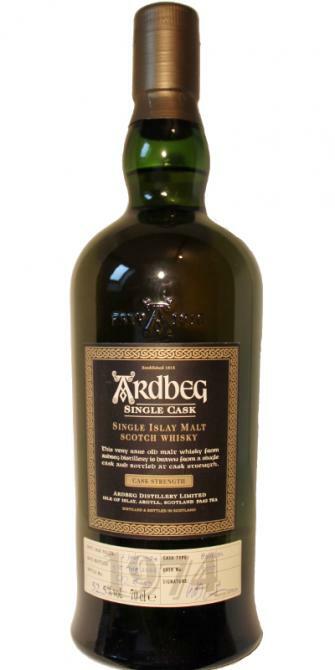 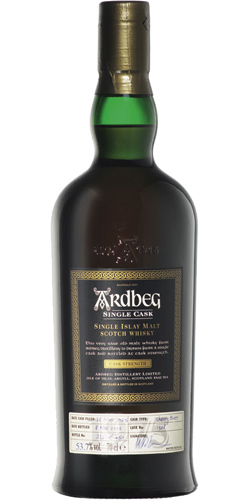 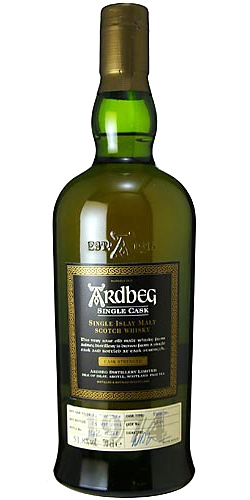 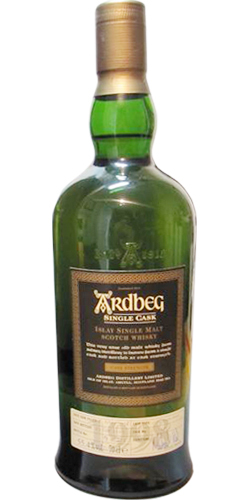 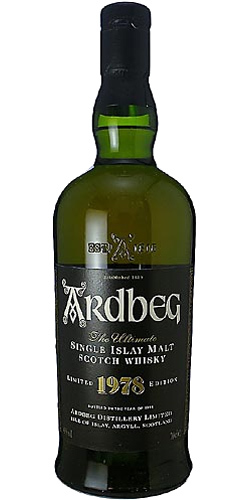 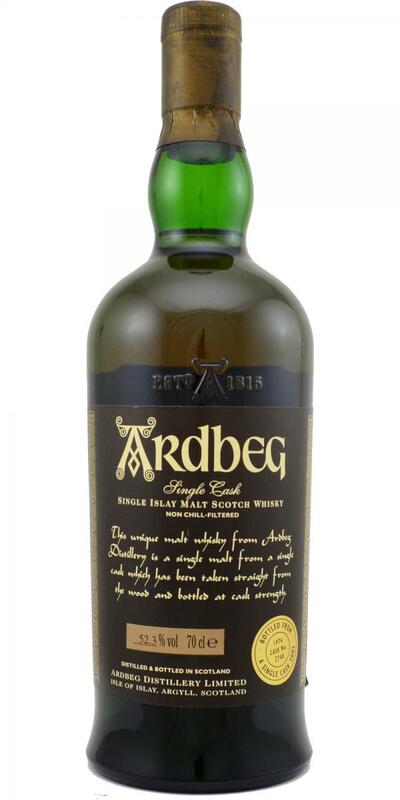 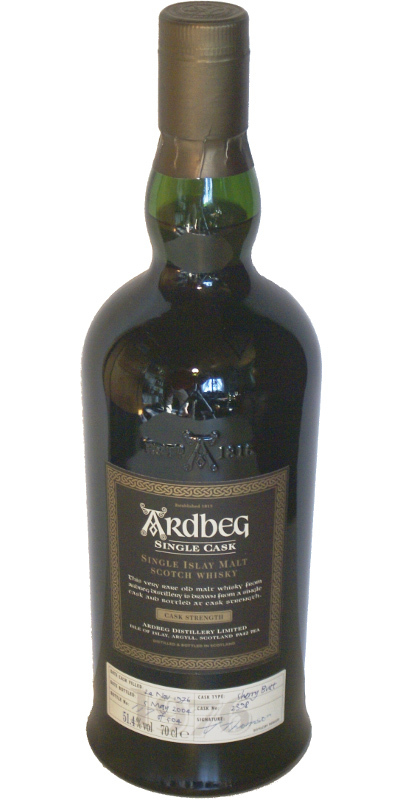 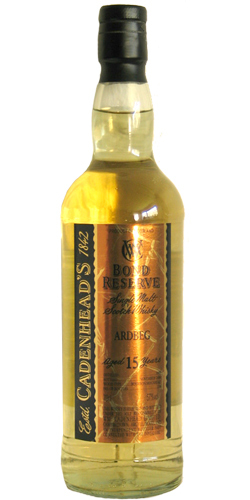 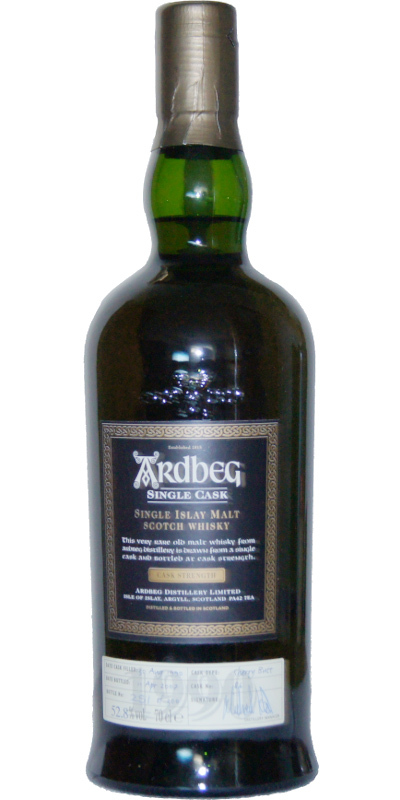 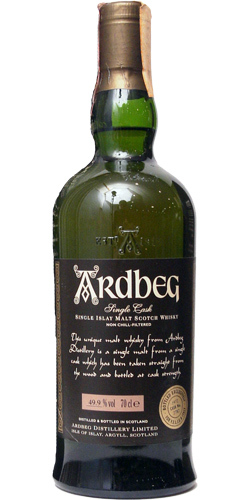 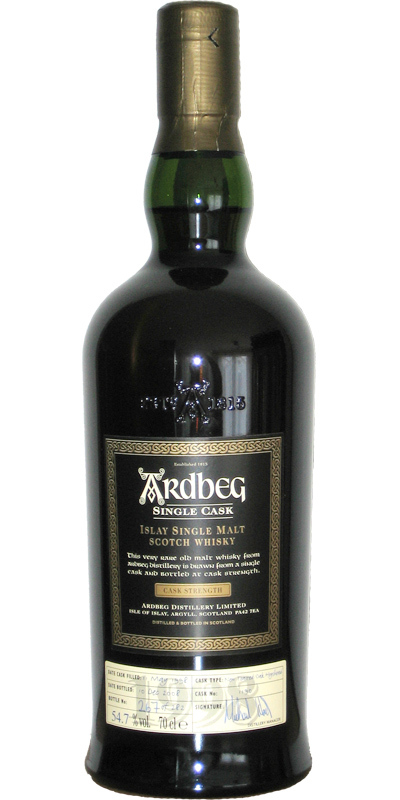 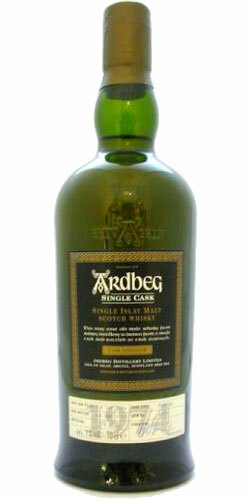 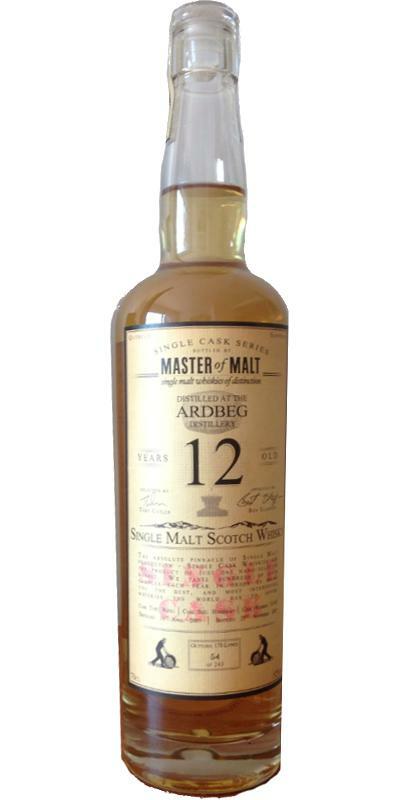 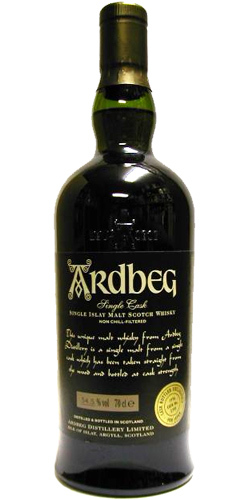 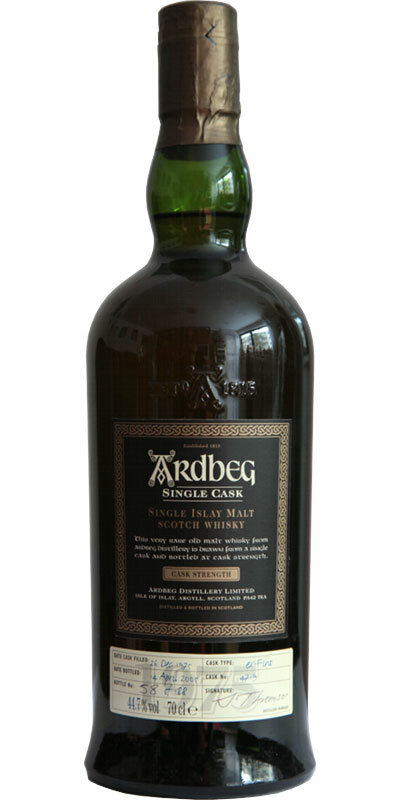 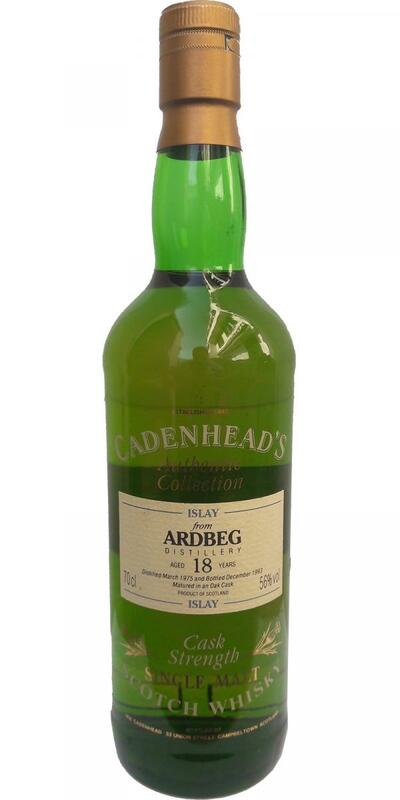 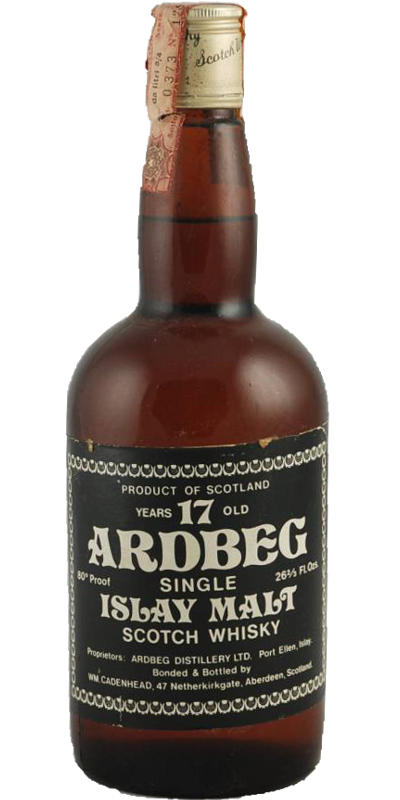 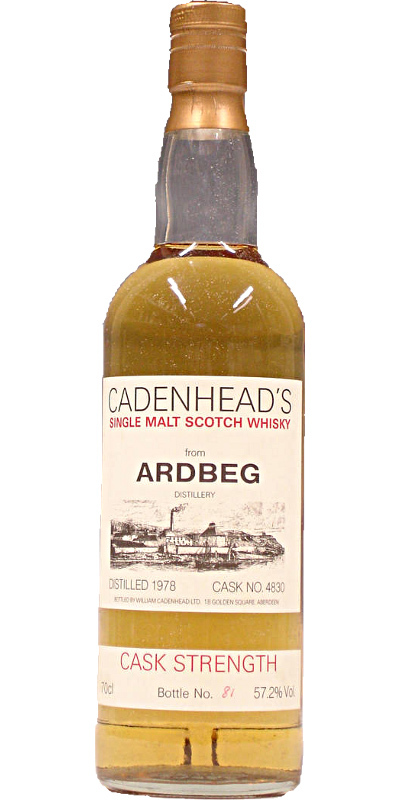 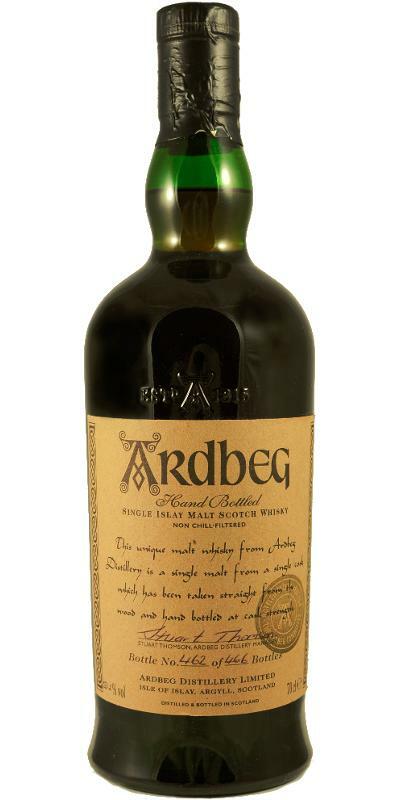 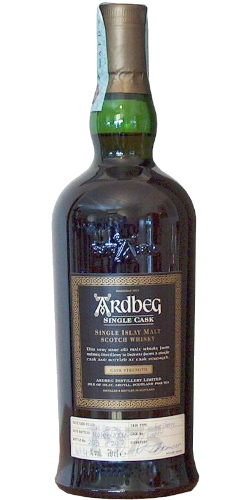 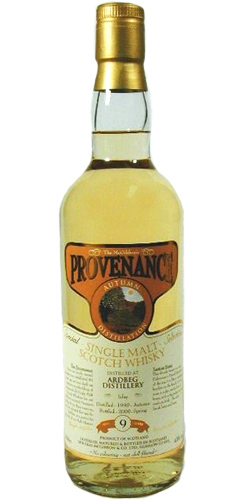 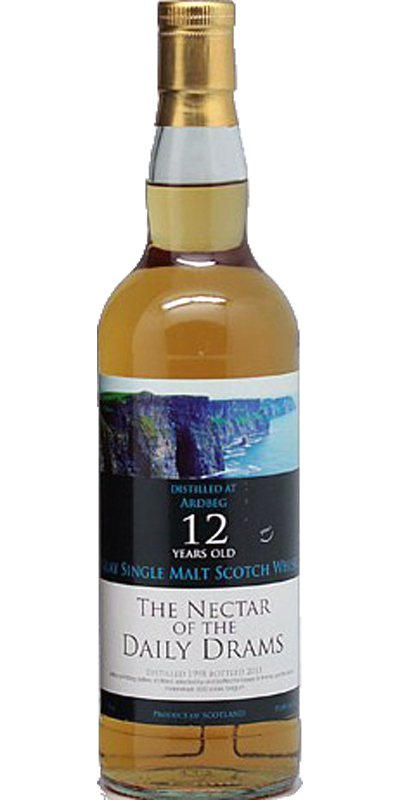 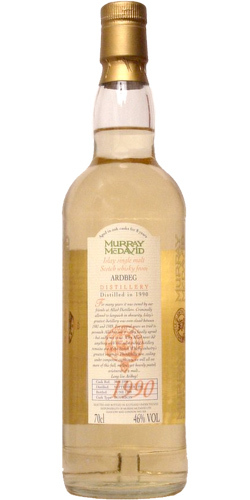 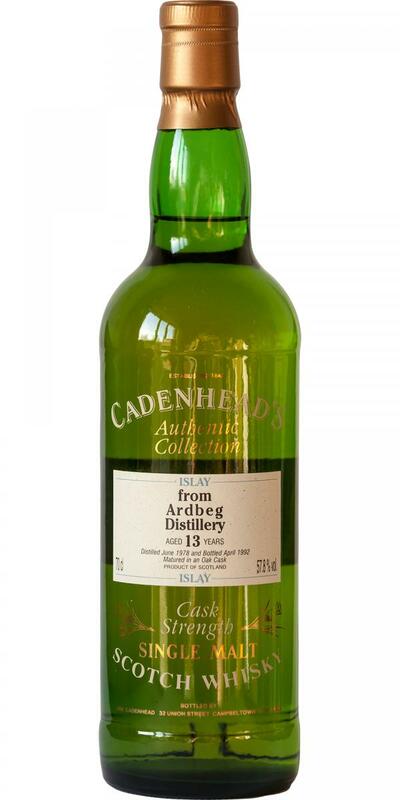 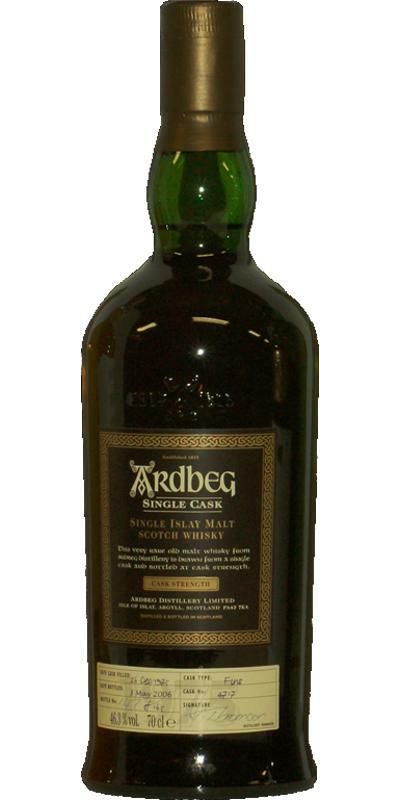 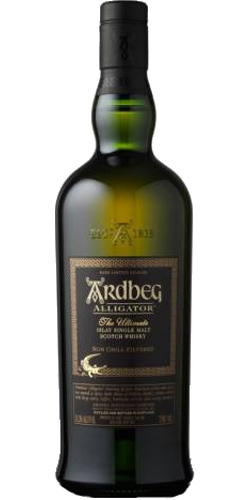 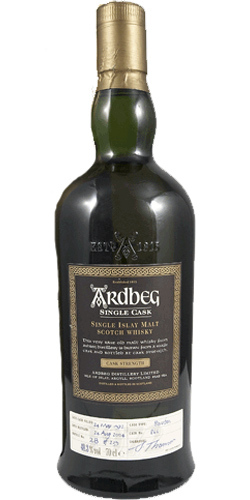 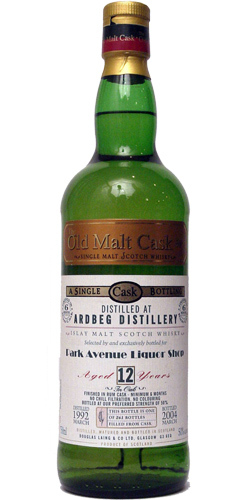 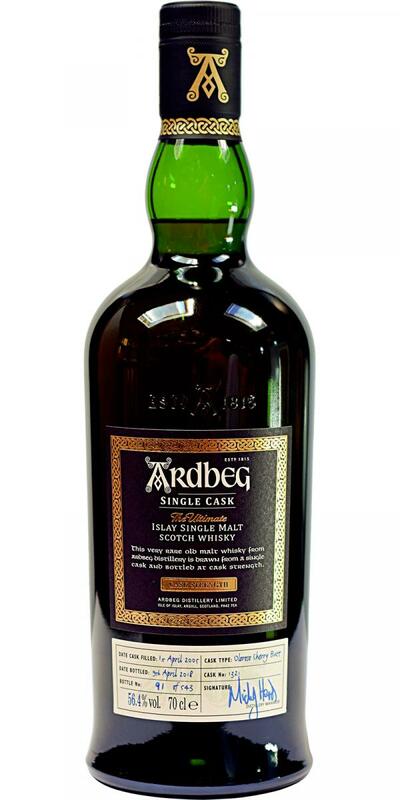 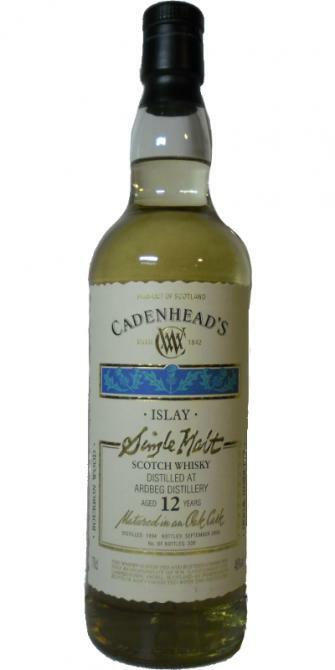 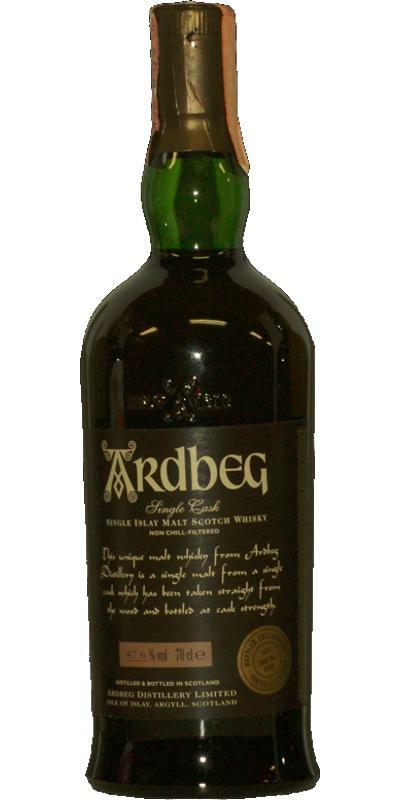 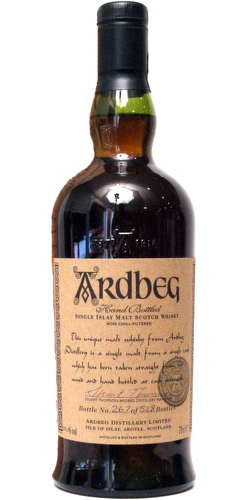 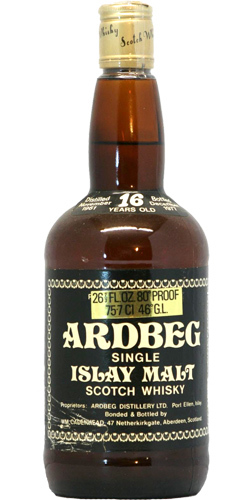 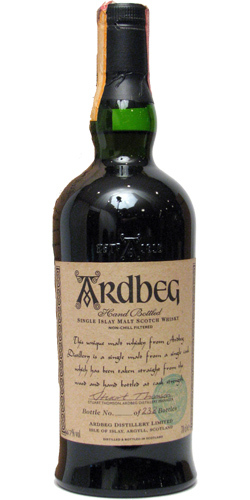 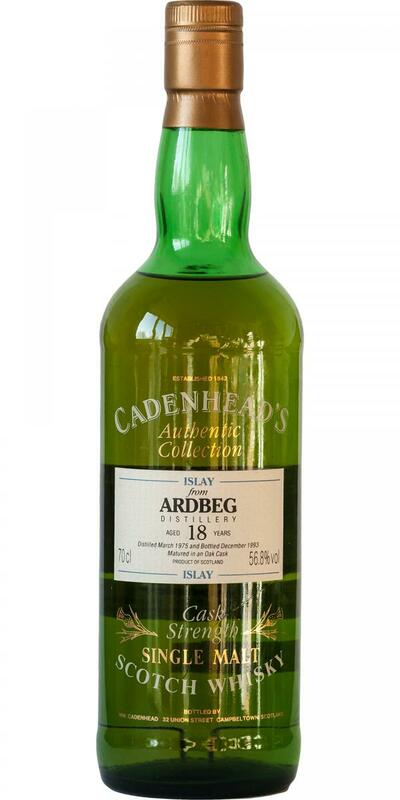 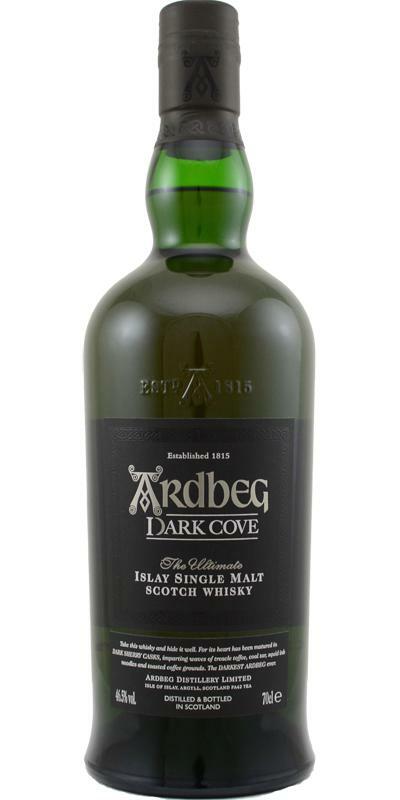 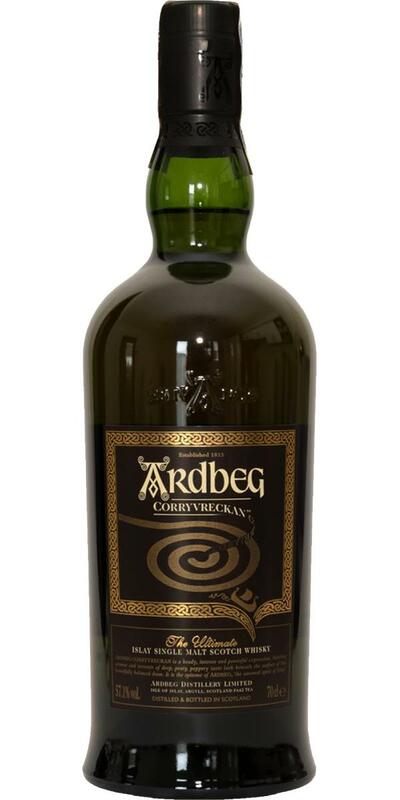 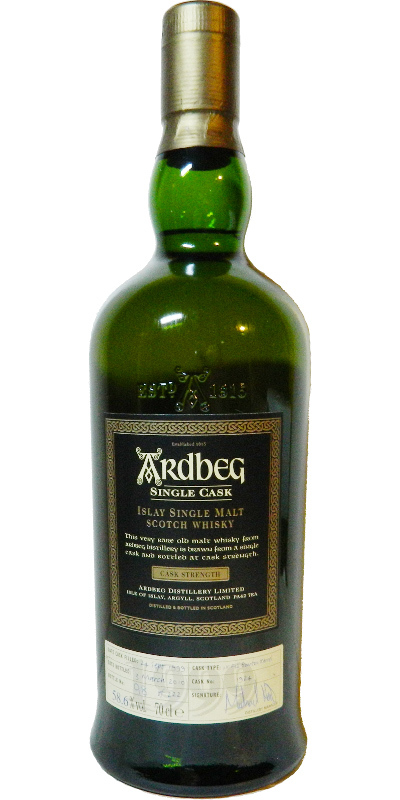 Ardbeg 12-year-old CA Dumpy Bottle 12 45.7 % Vol. 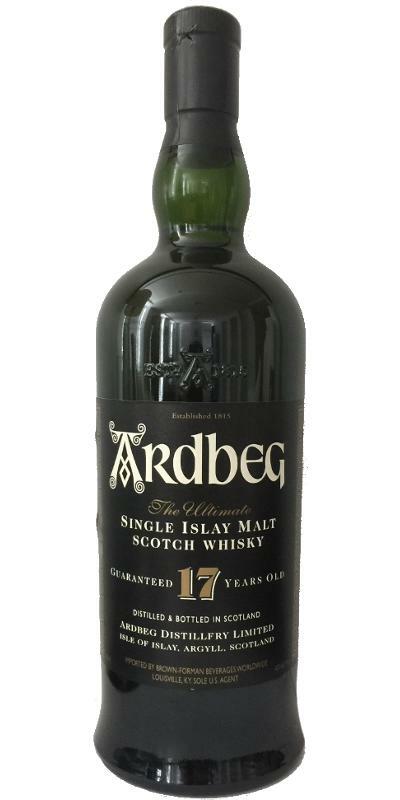 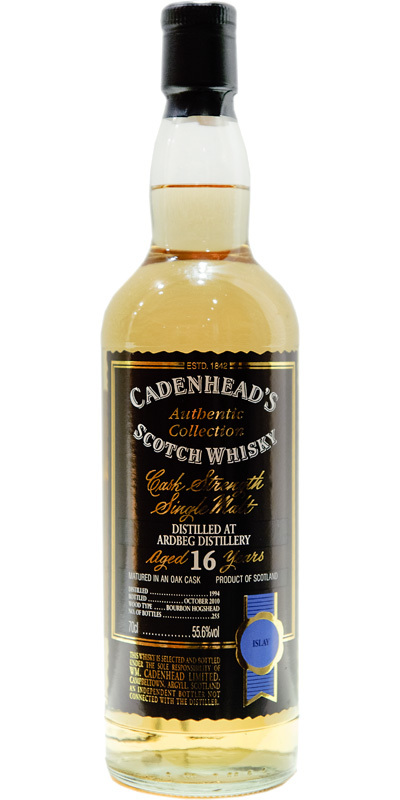 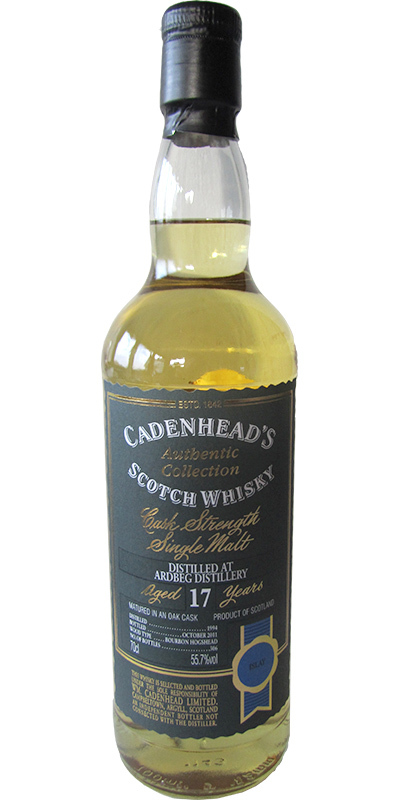 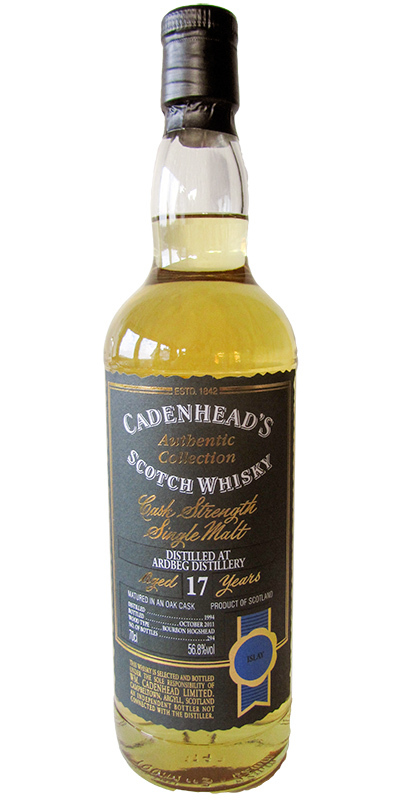 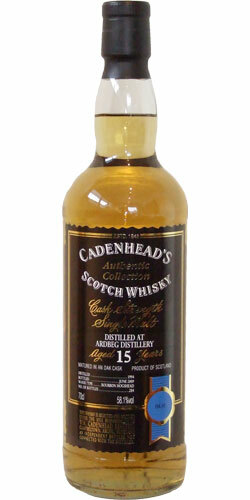 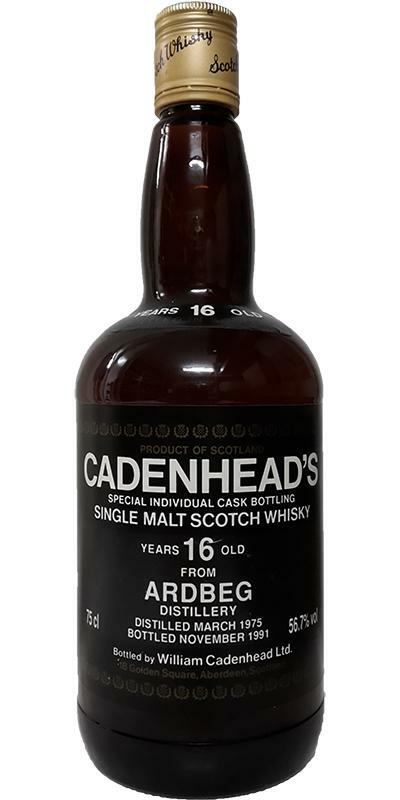 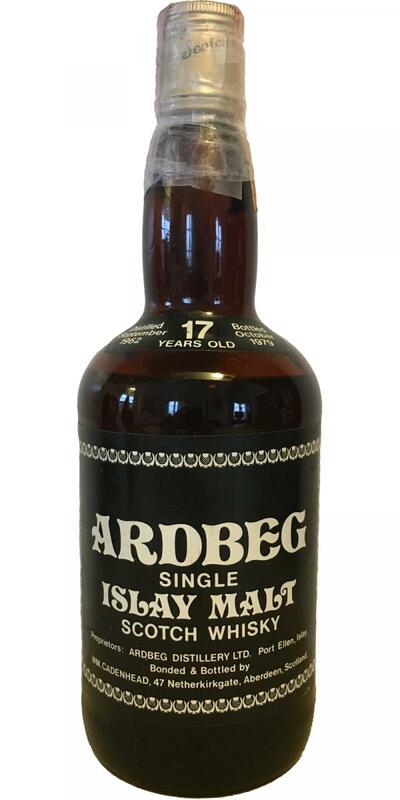 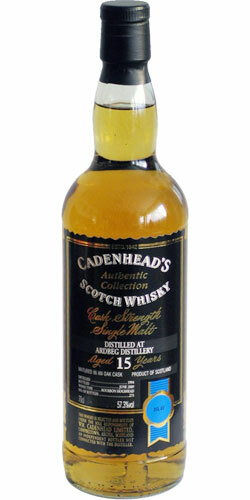 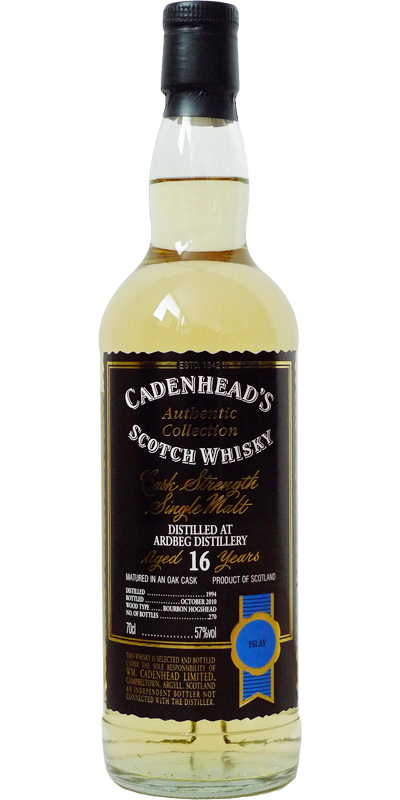 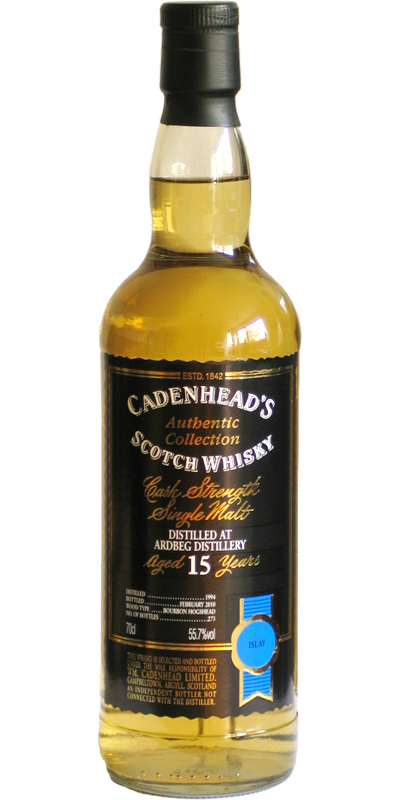 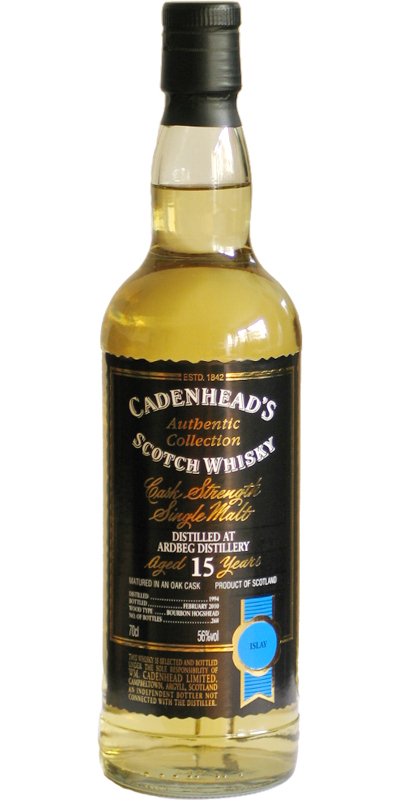 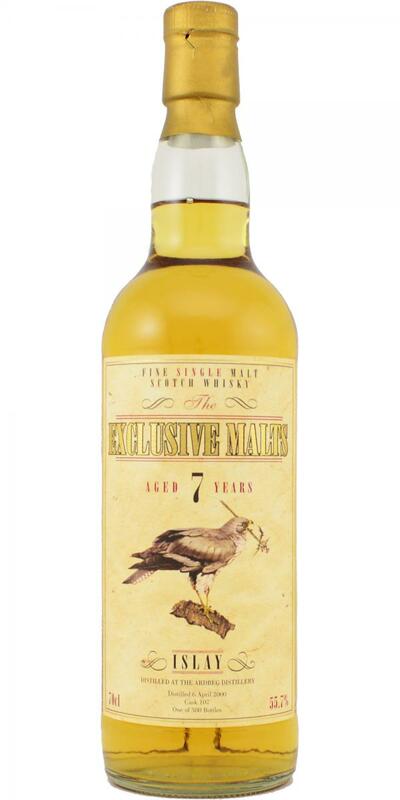 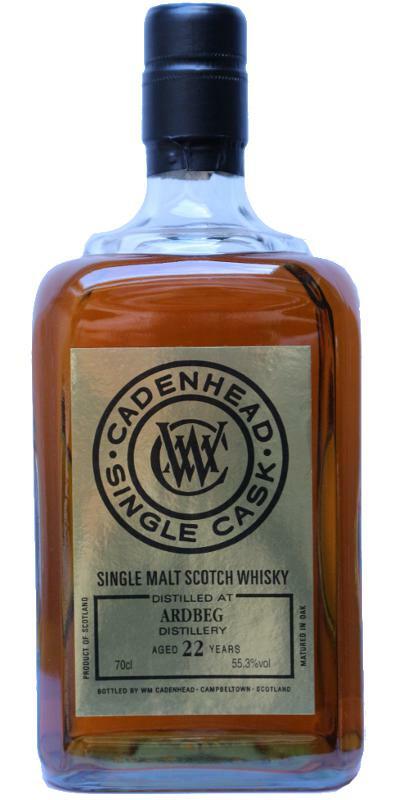 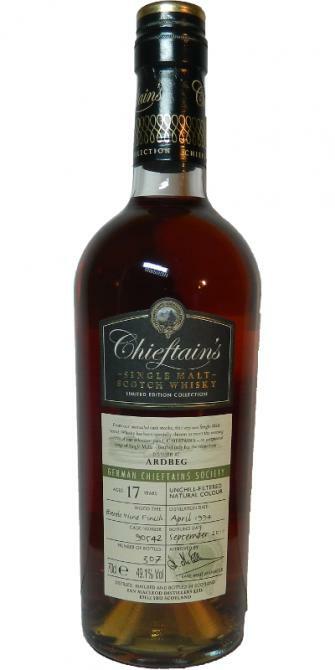 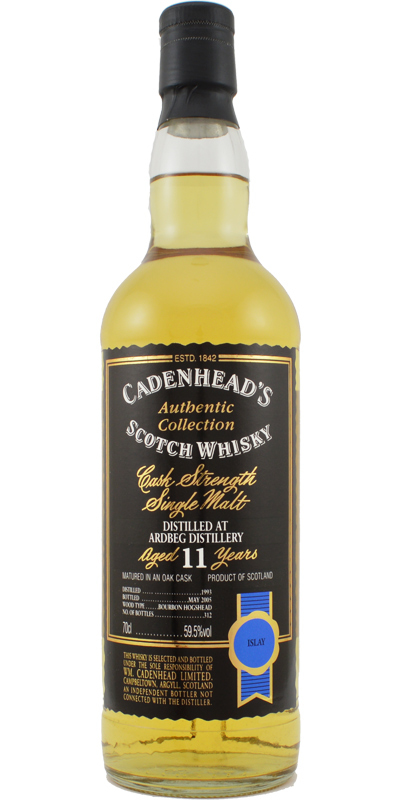 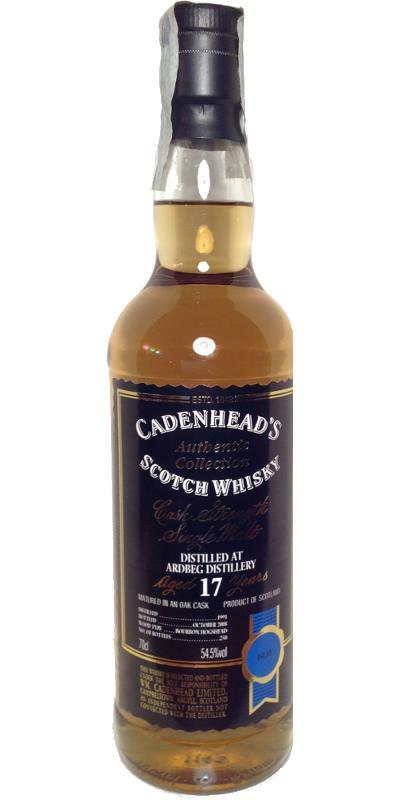 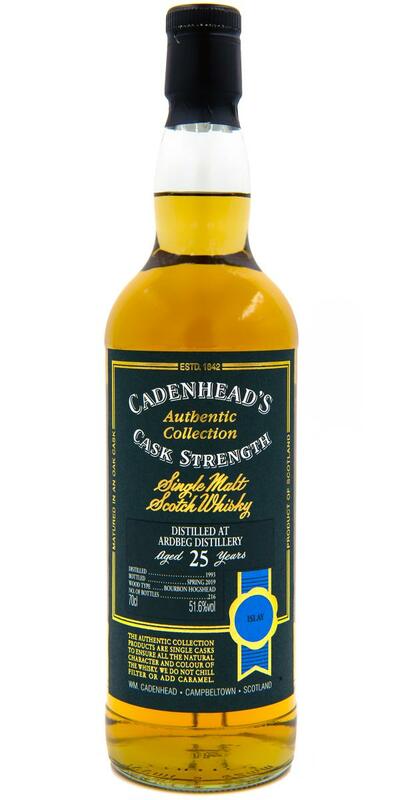 Ardbeg 17 Year Old CA Black Label 17 46.0 % Vol. 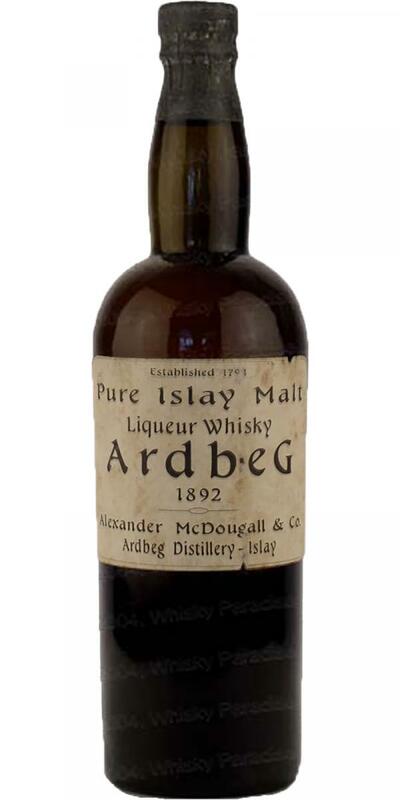 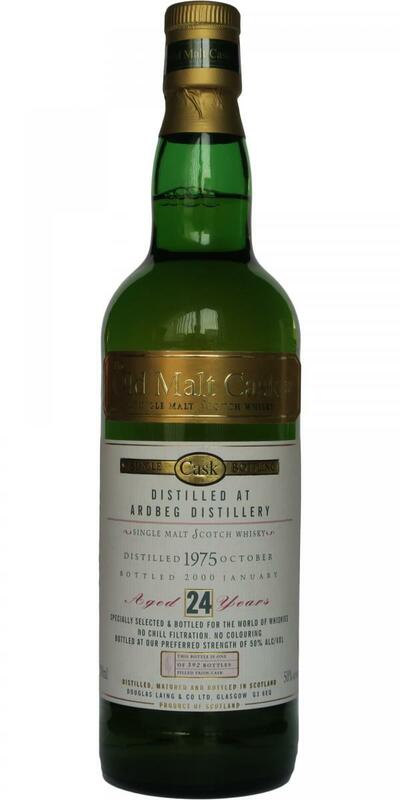 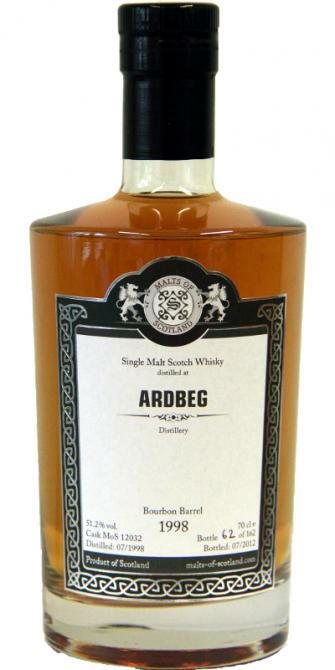 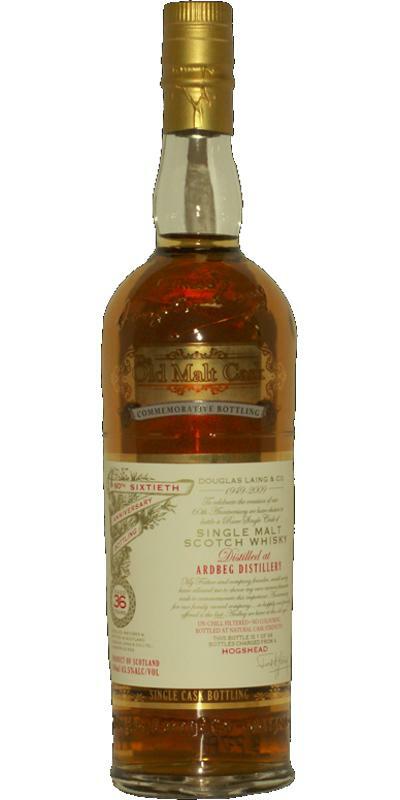 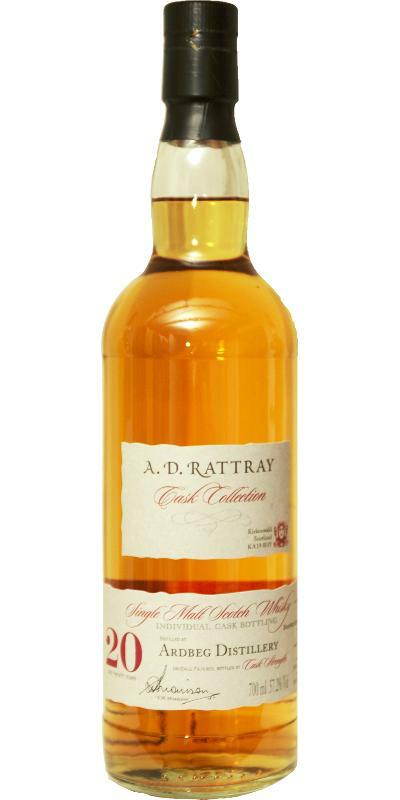 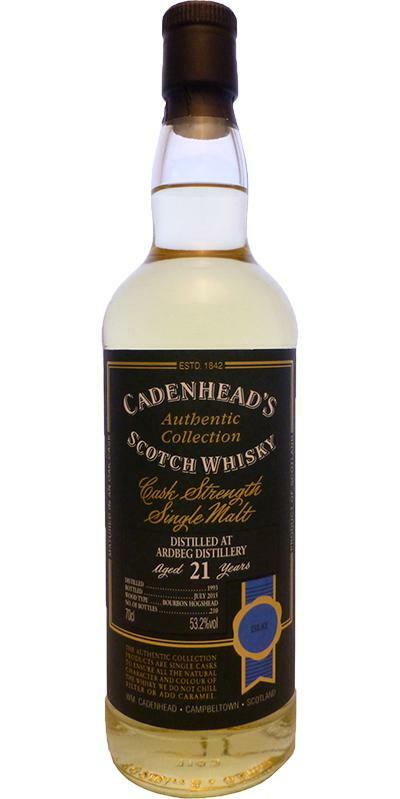 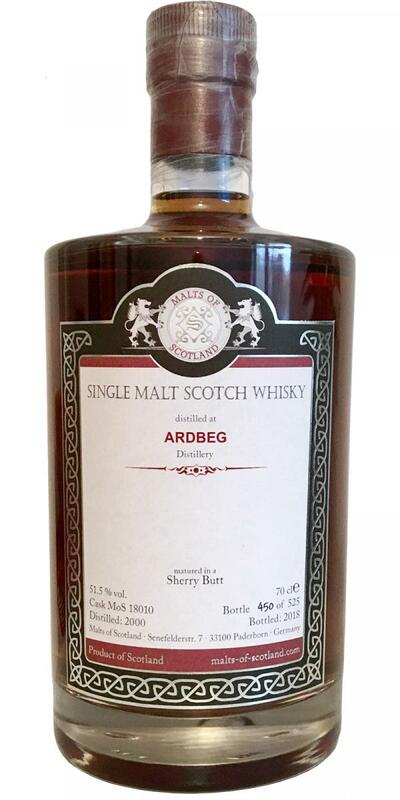 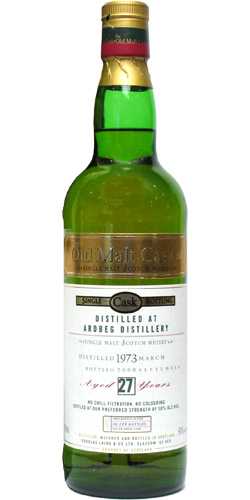 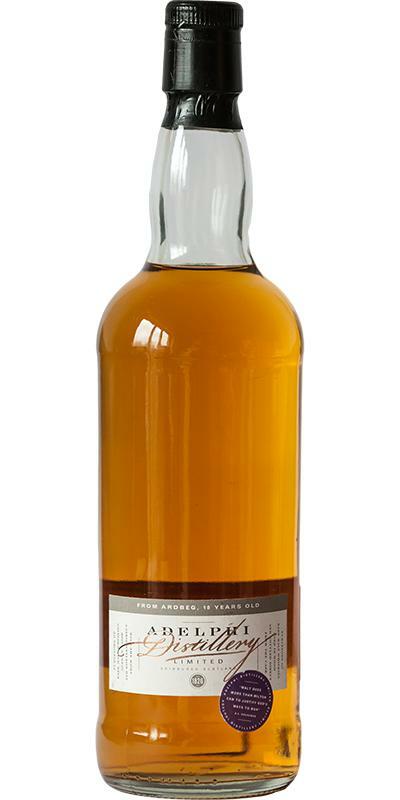 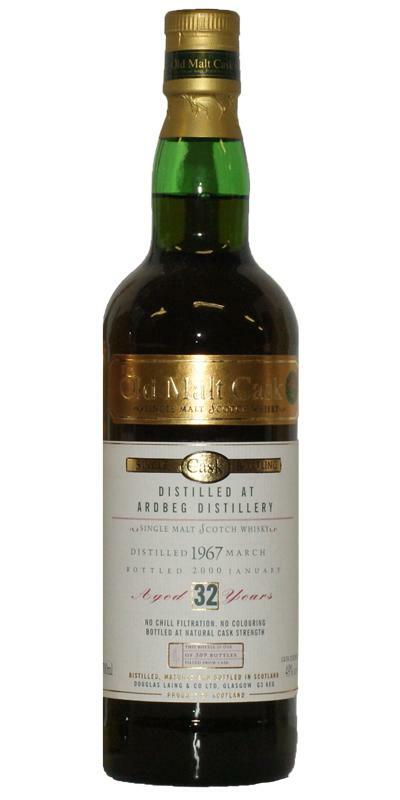 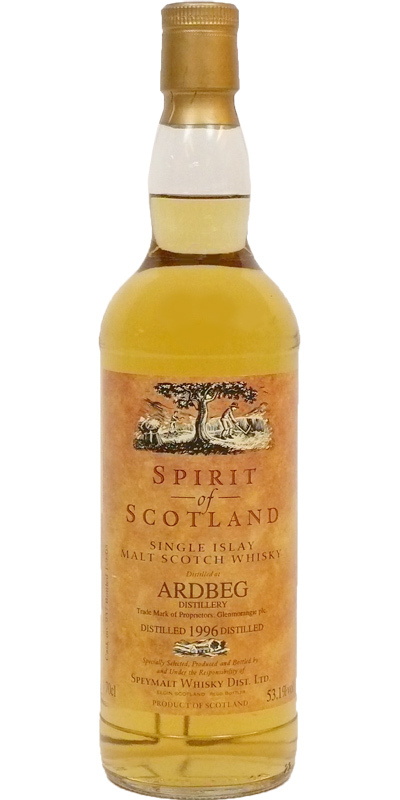 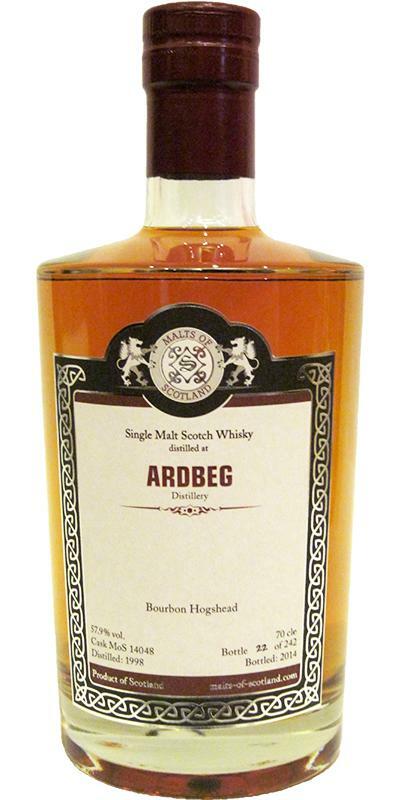 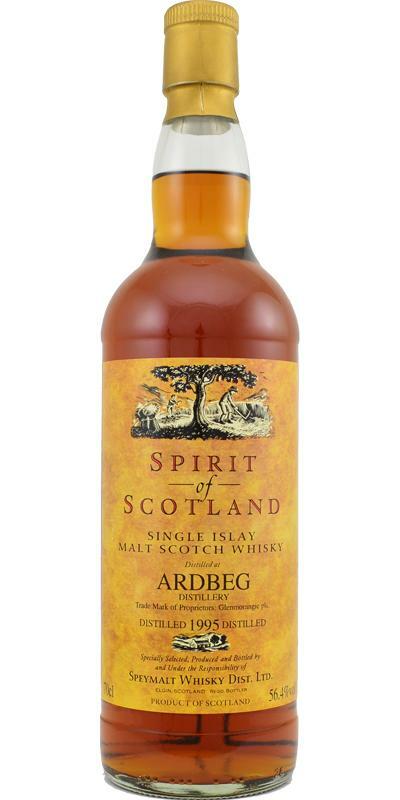 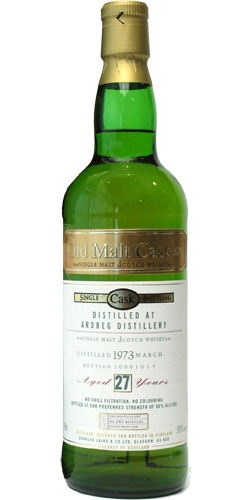 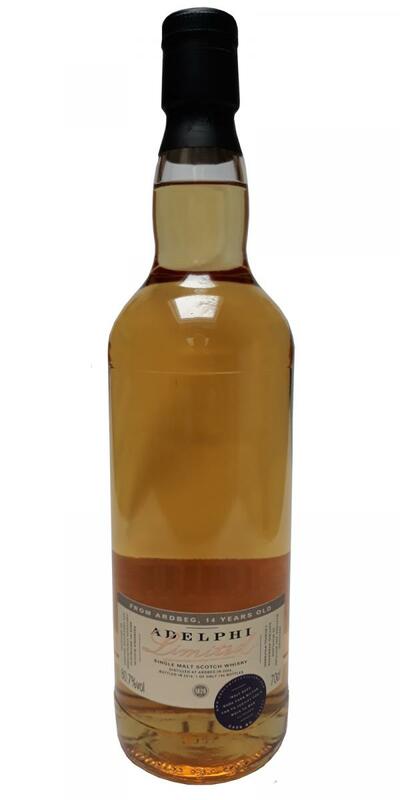 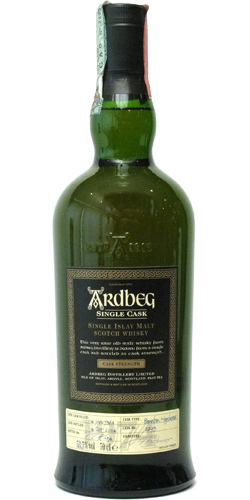 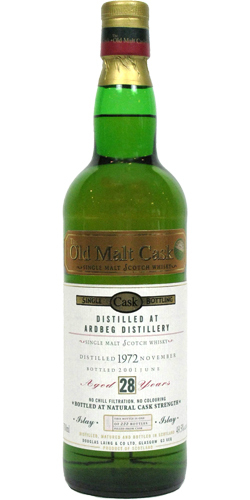 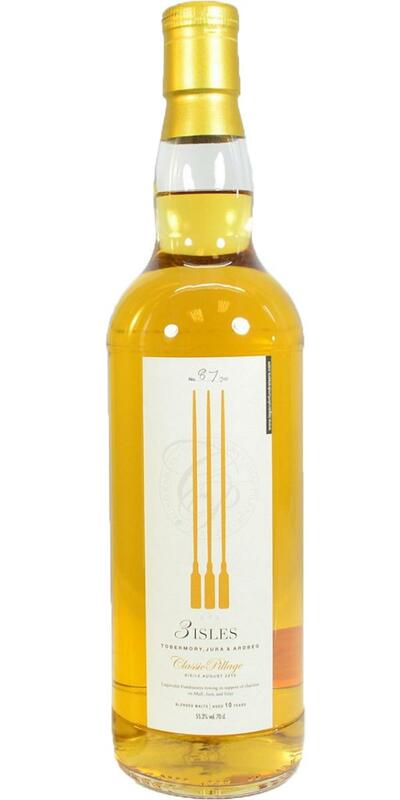 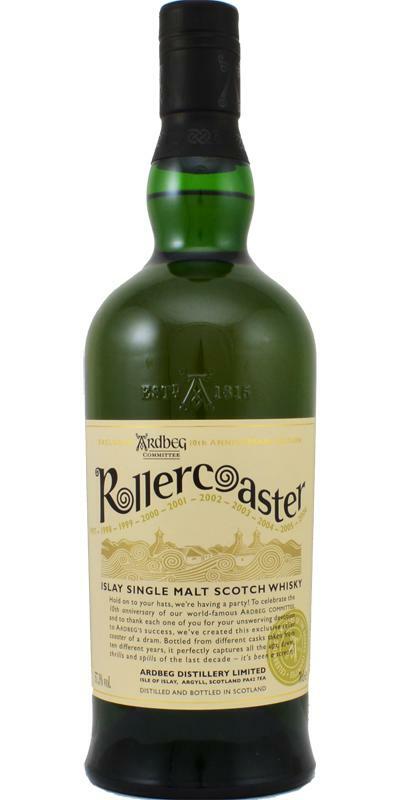 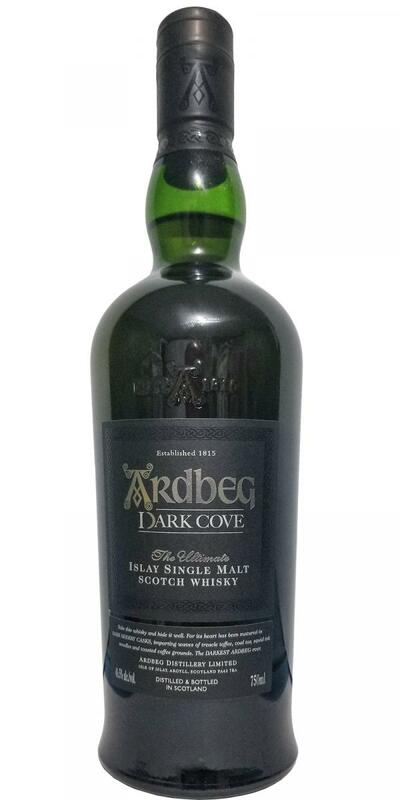 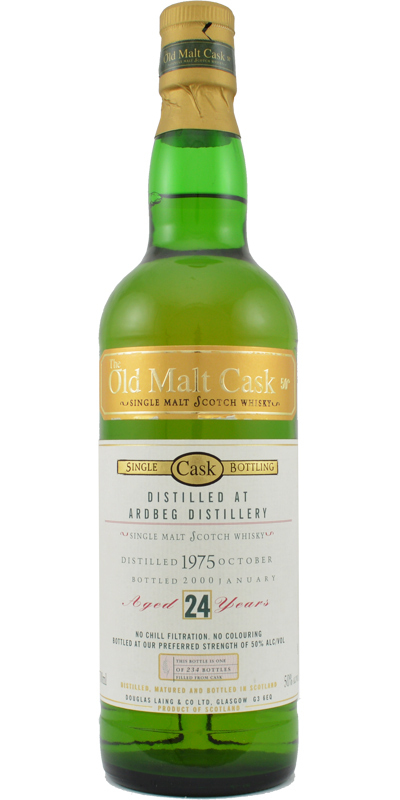 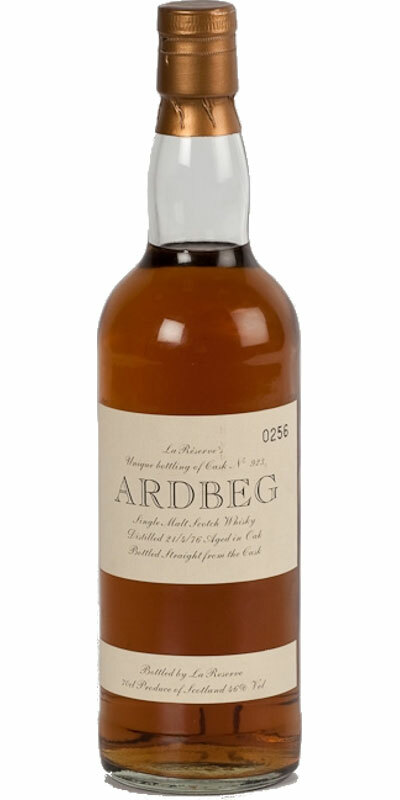 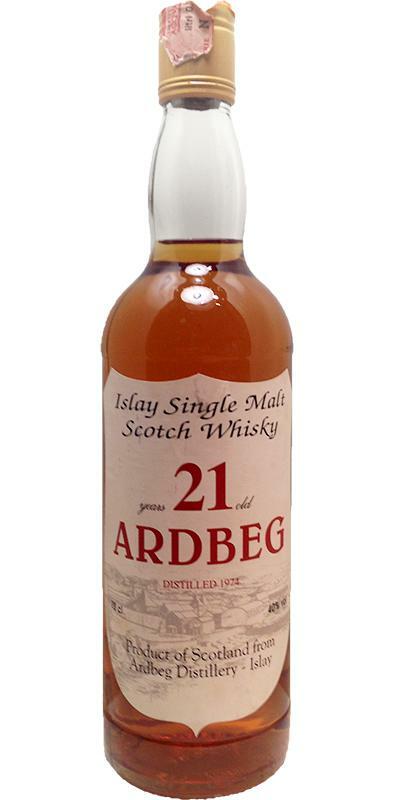 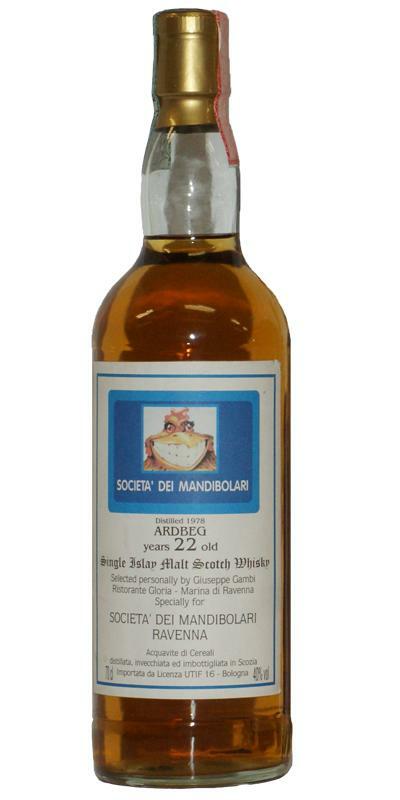 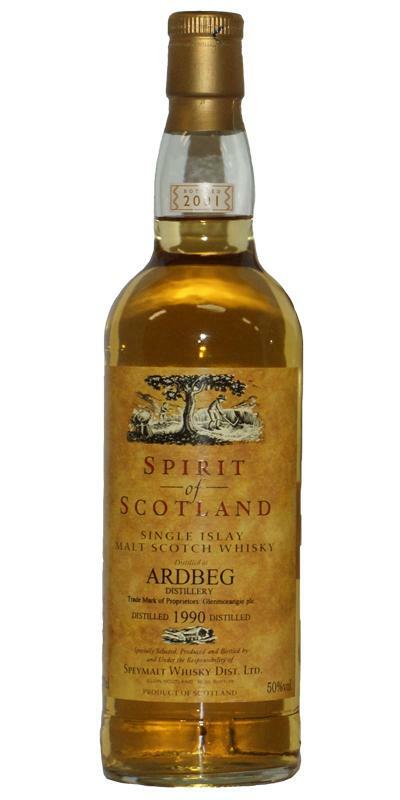 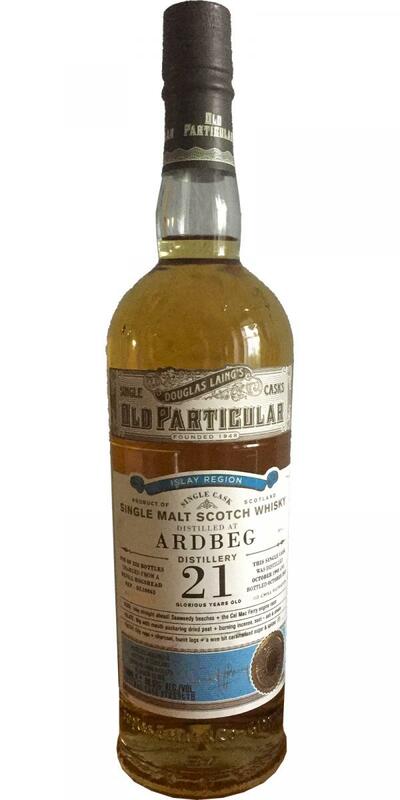 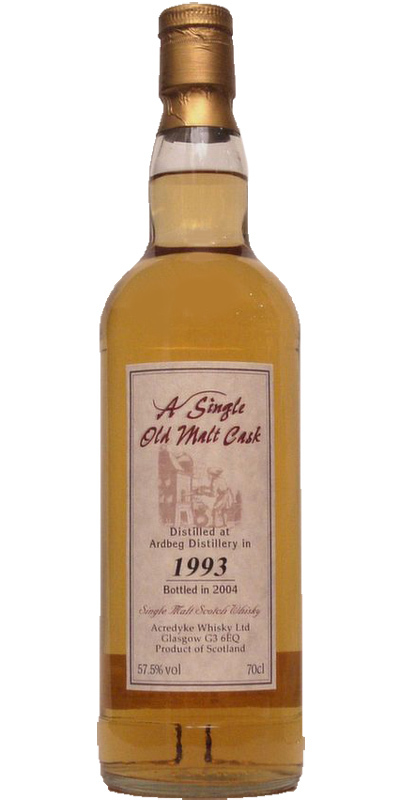 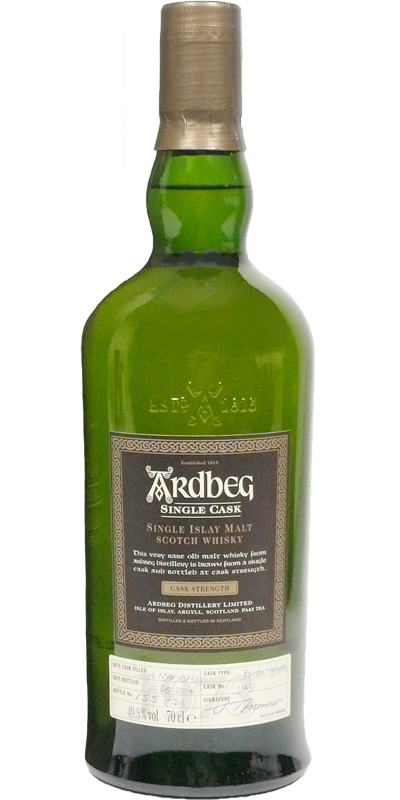 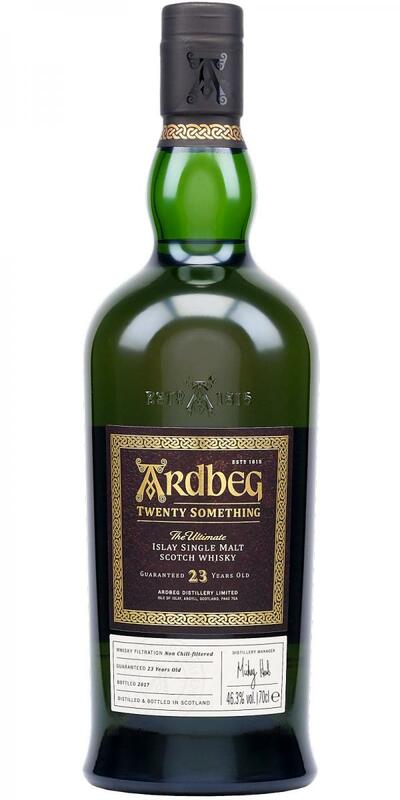 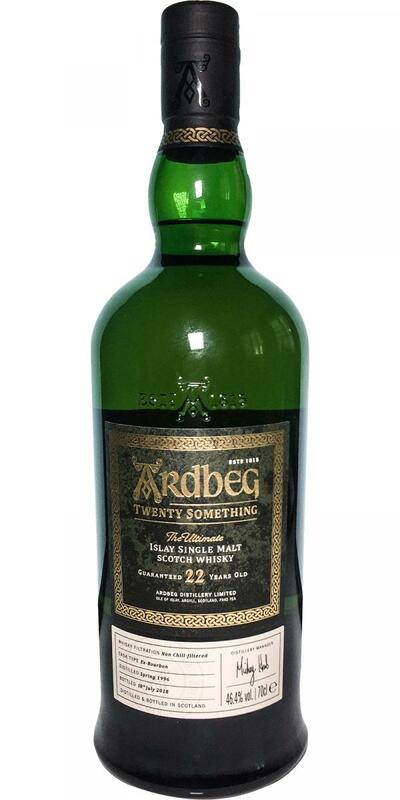 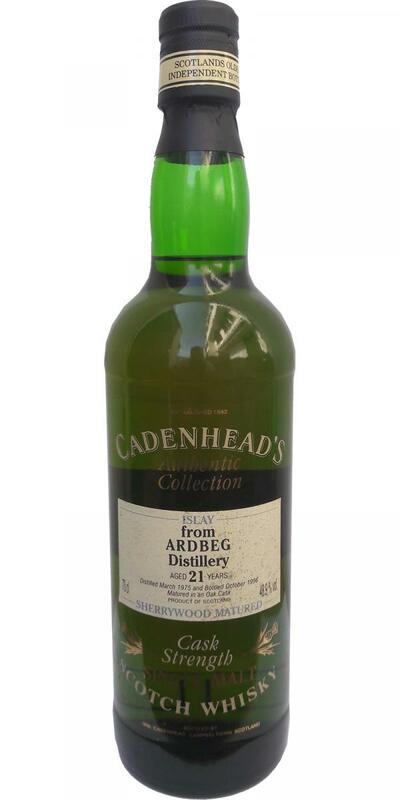 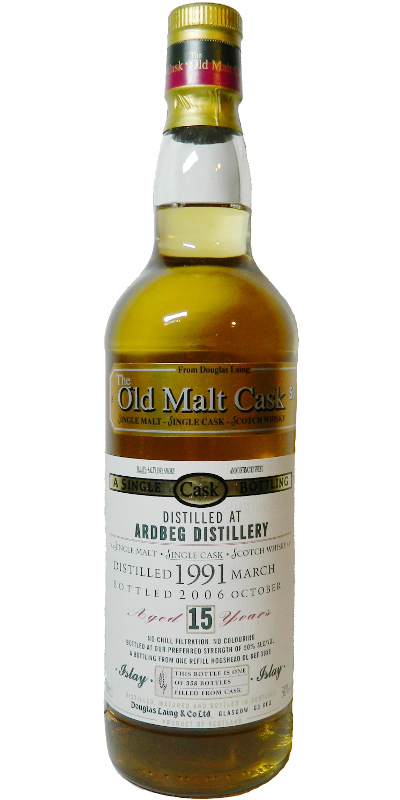 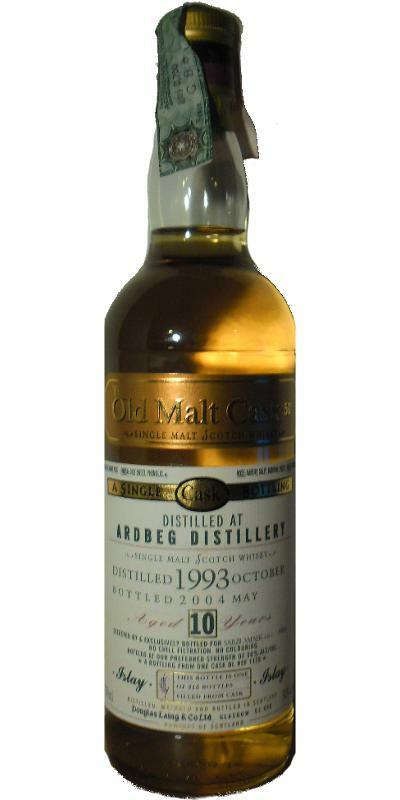 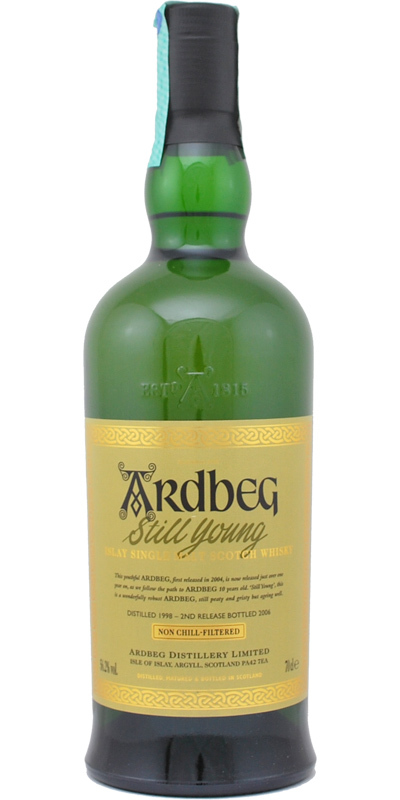 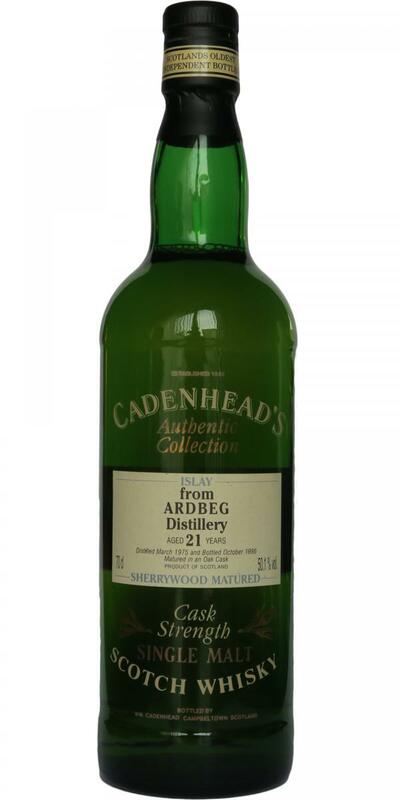 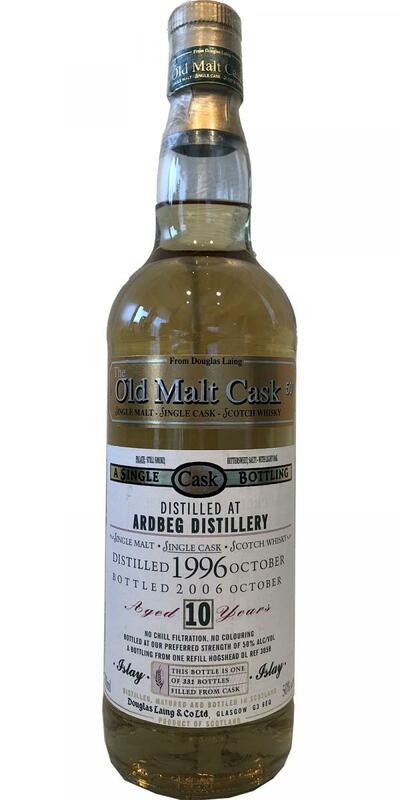 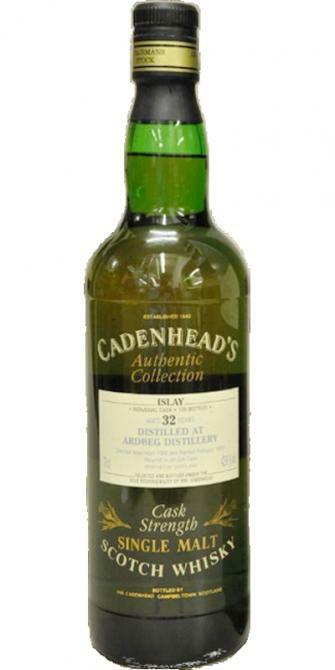 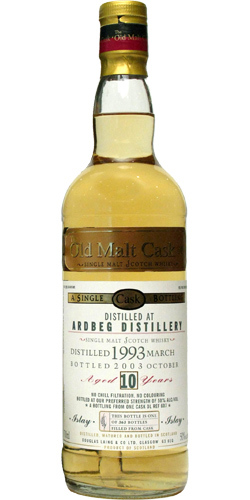 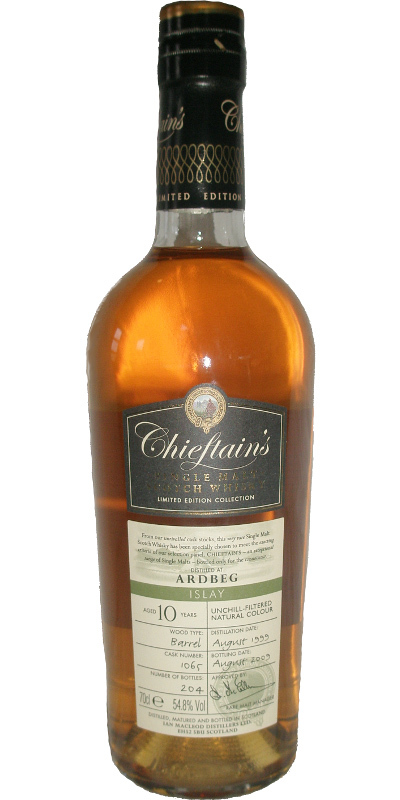 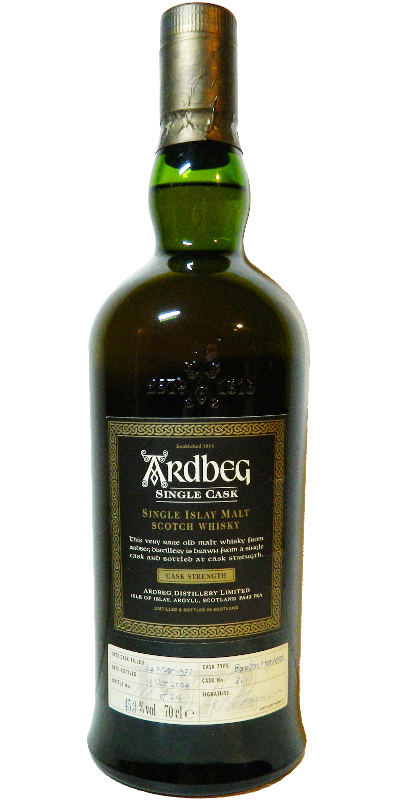 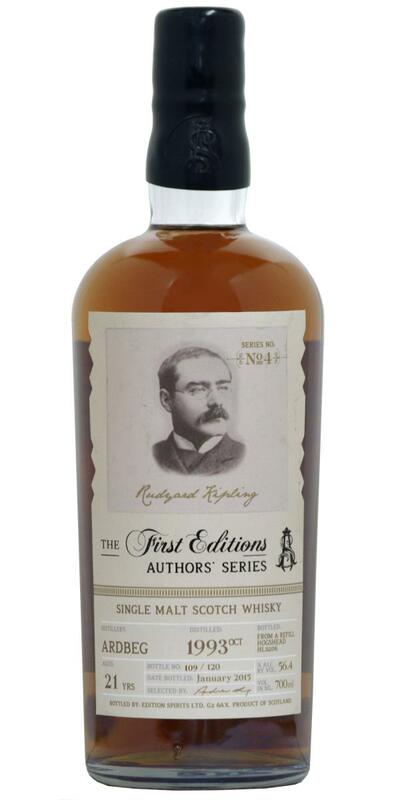 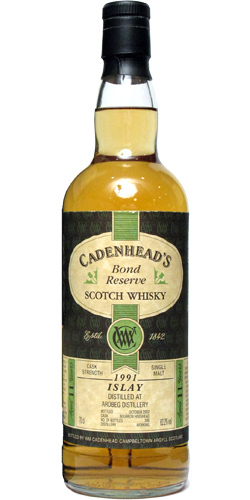 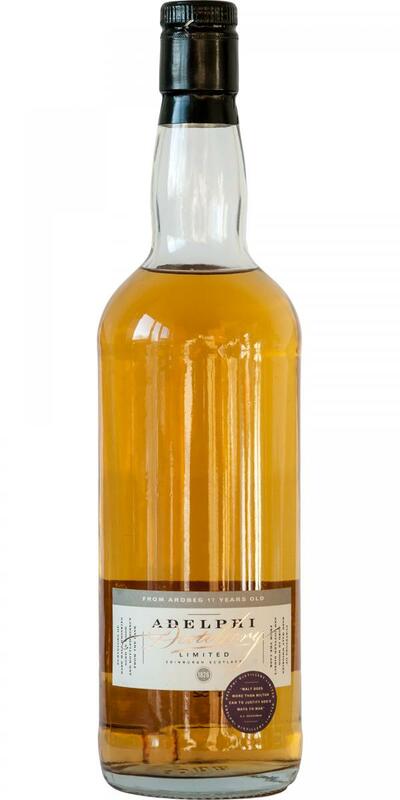 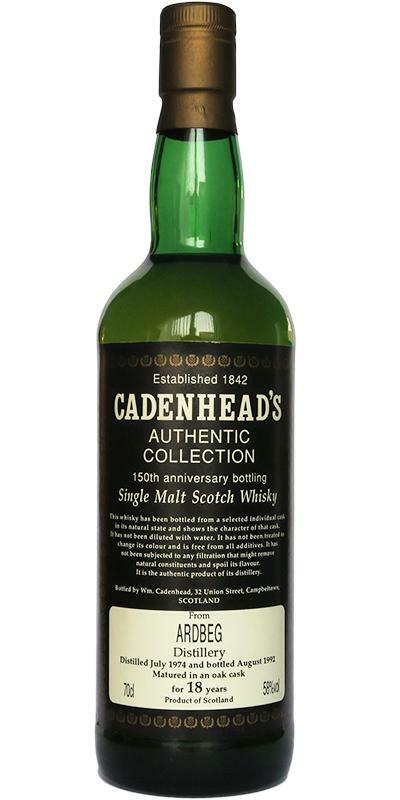 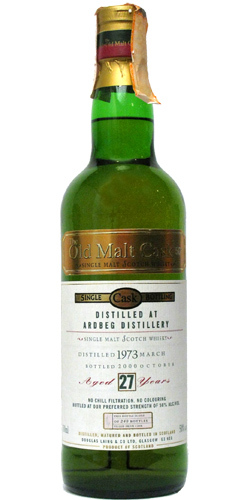 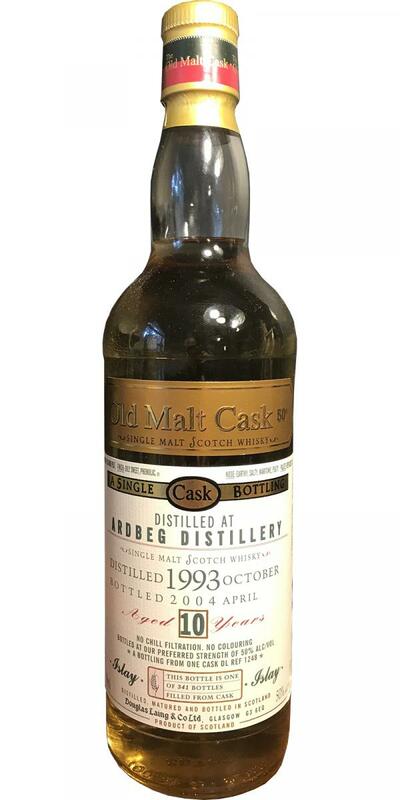 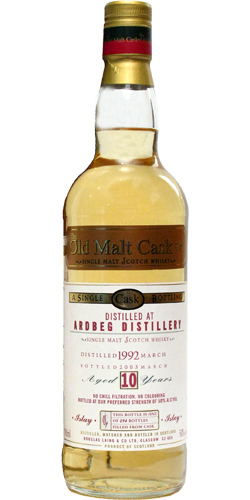 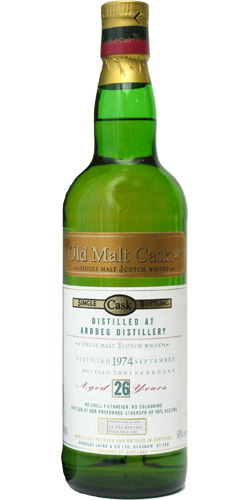 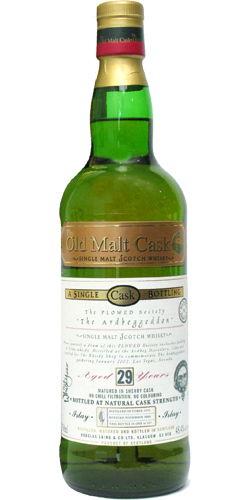 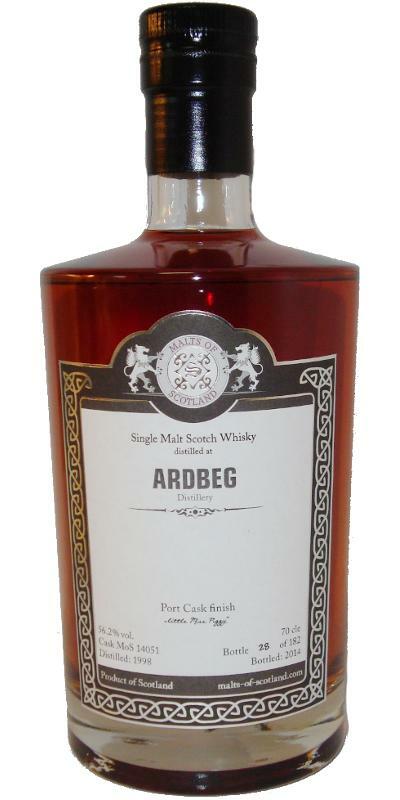 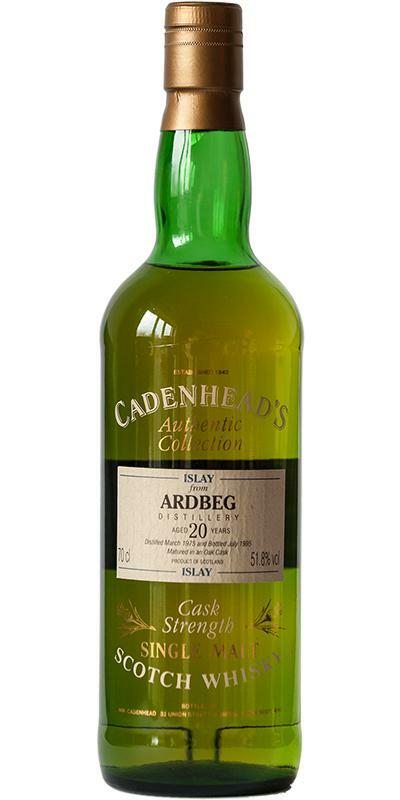 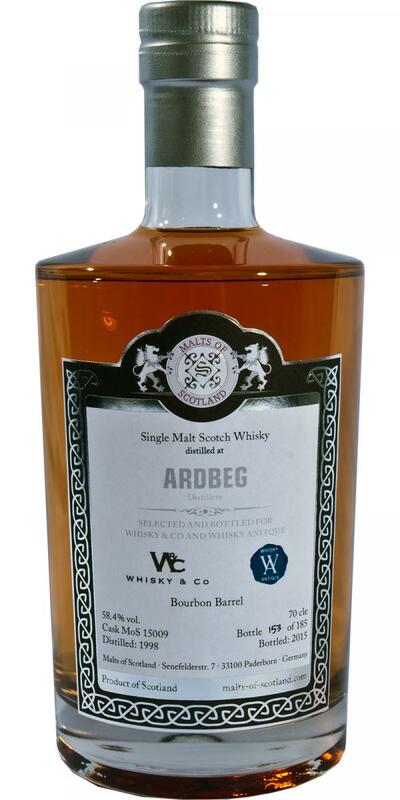 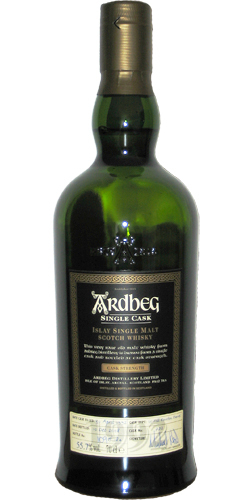 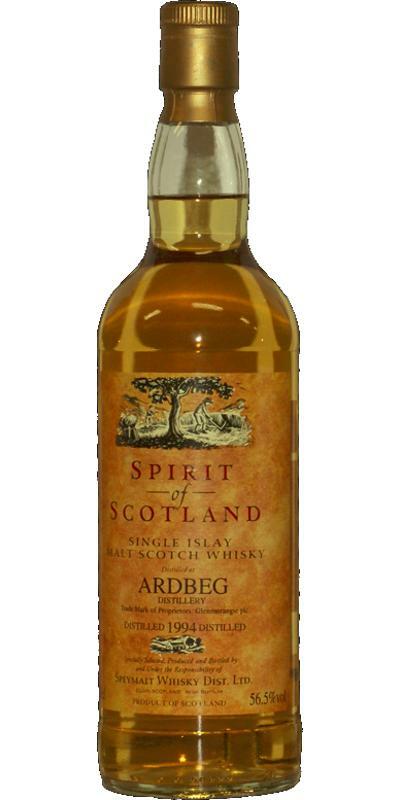 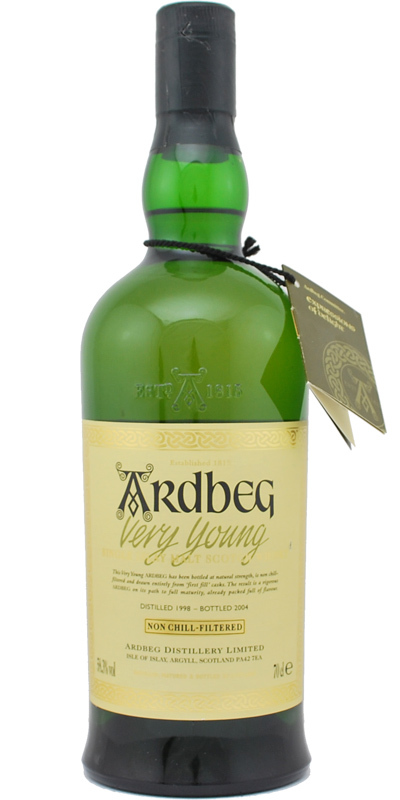 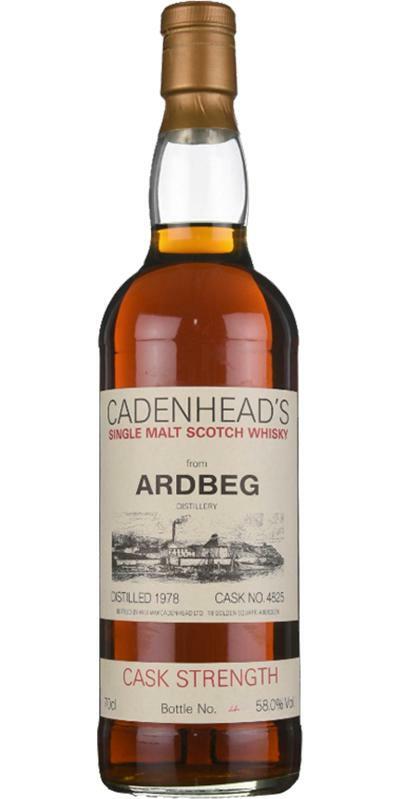 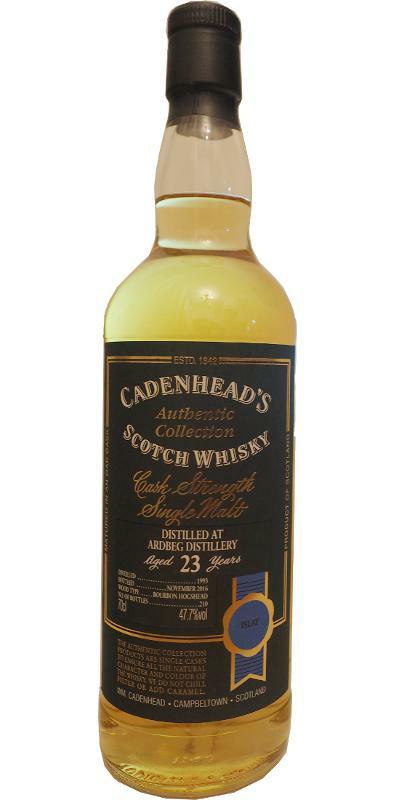 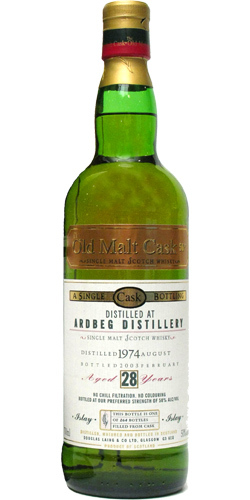 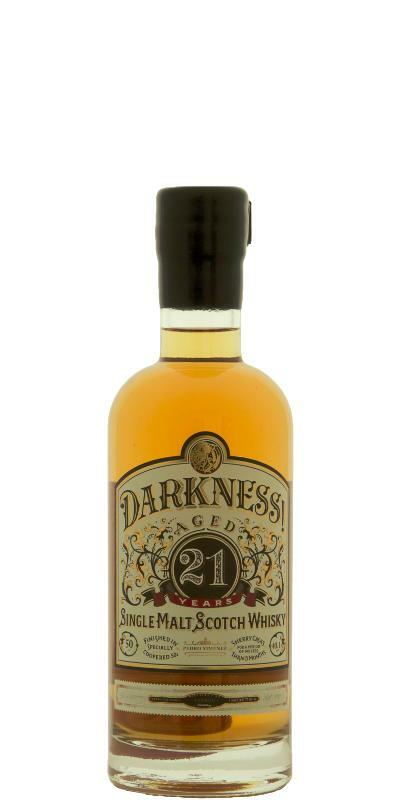 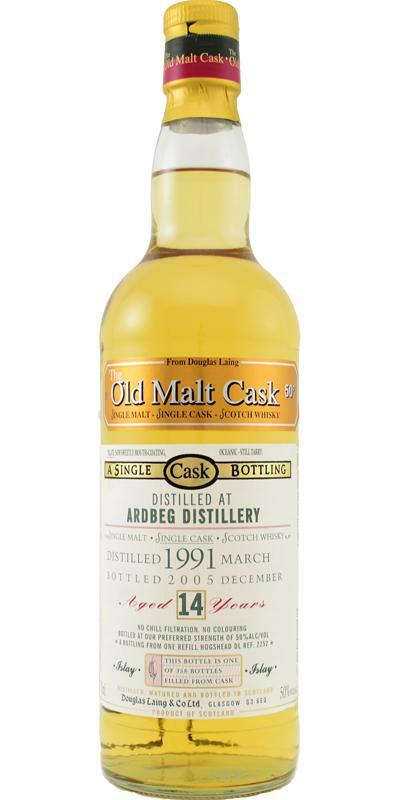 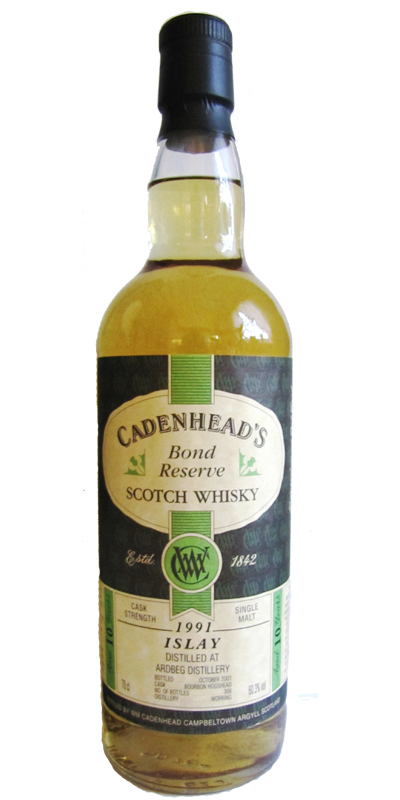 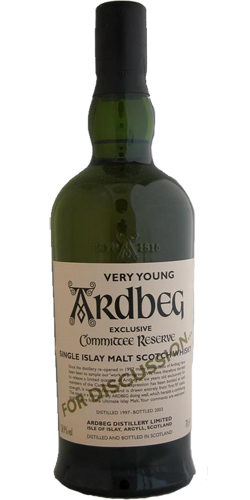 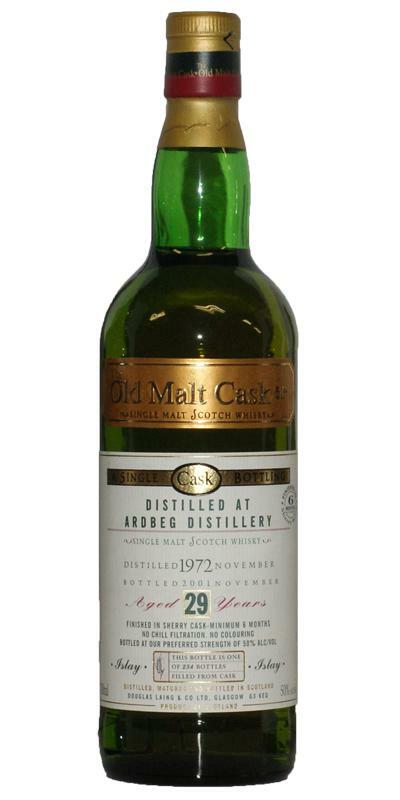 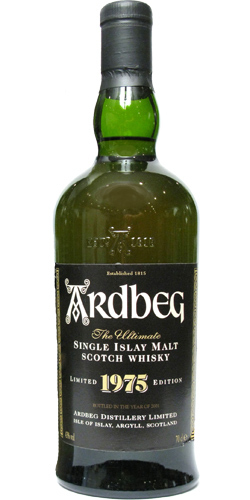 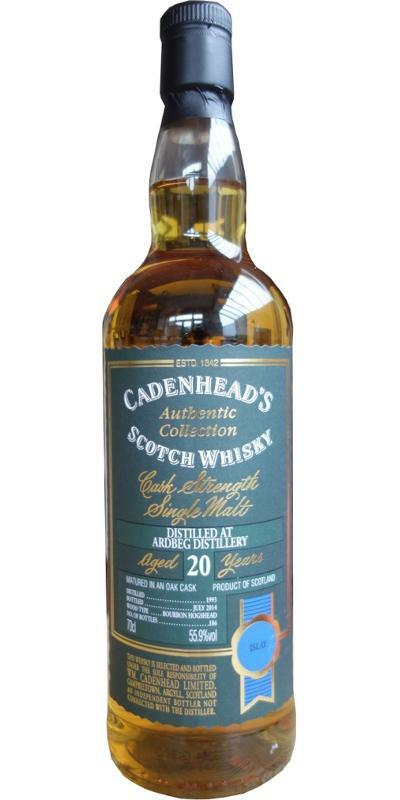 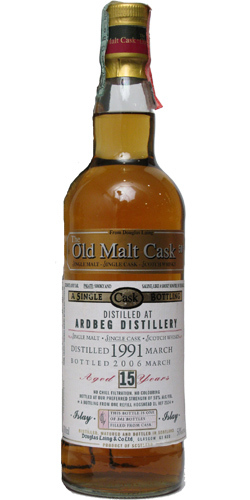 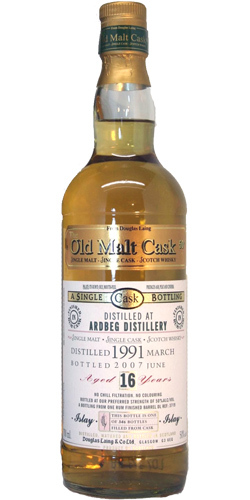 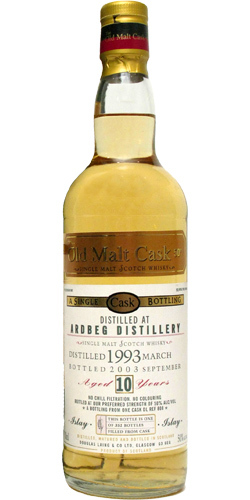 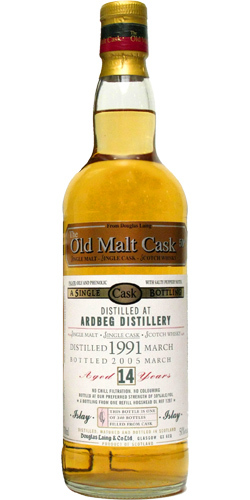 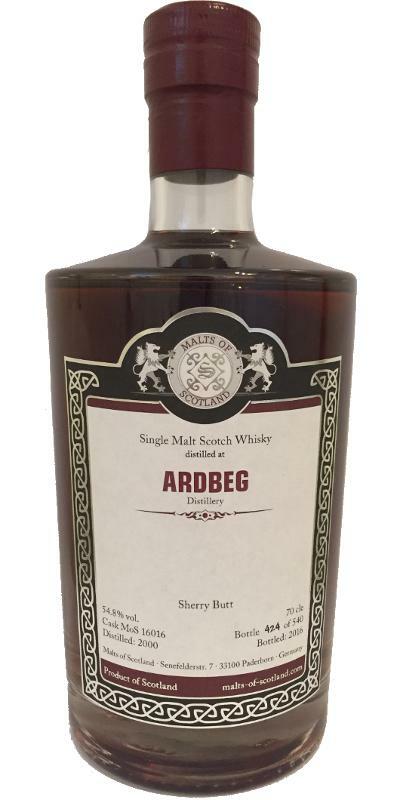 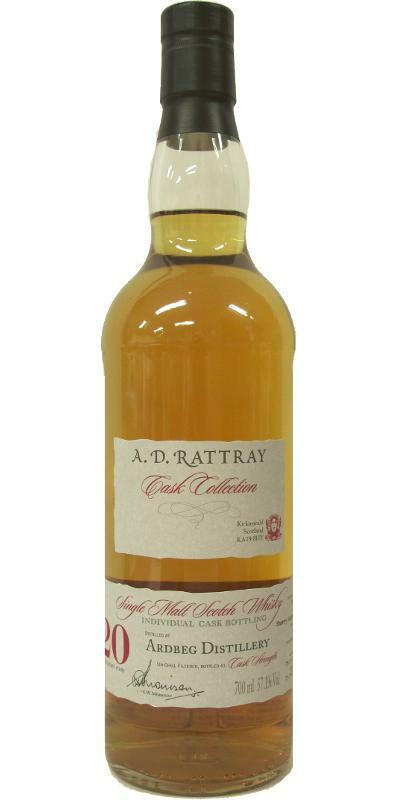 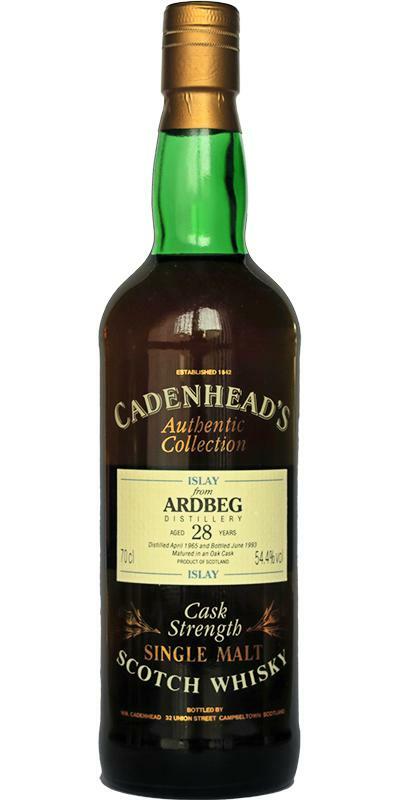 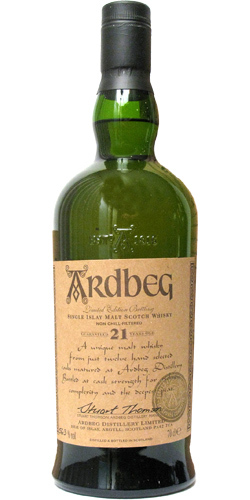 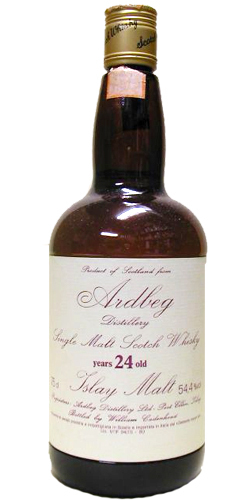 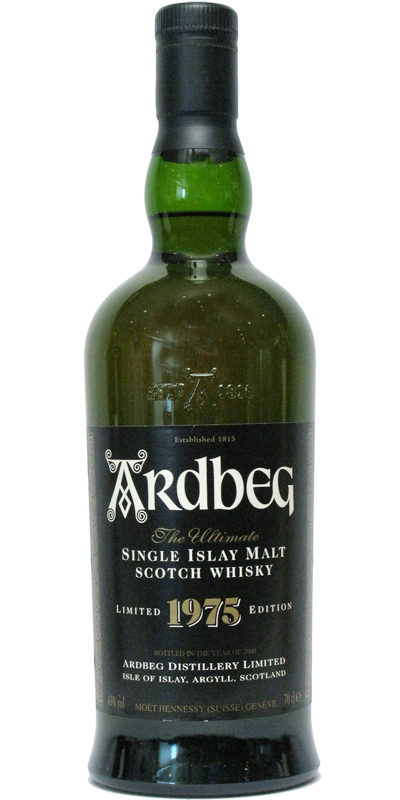 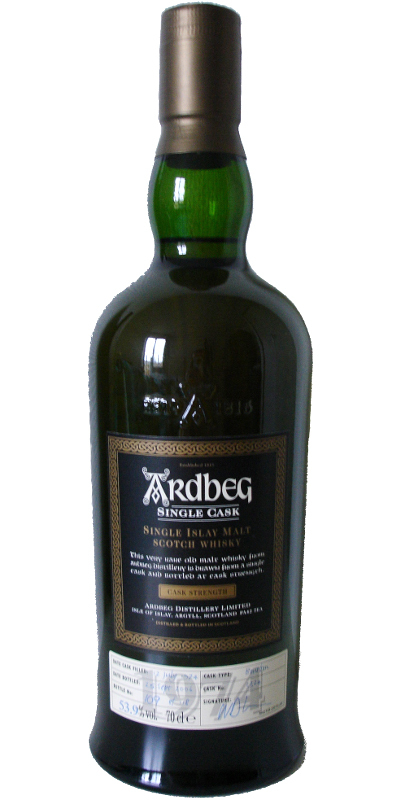 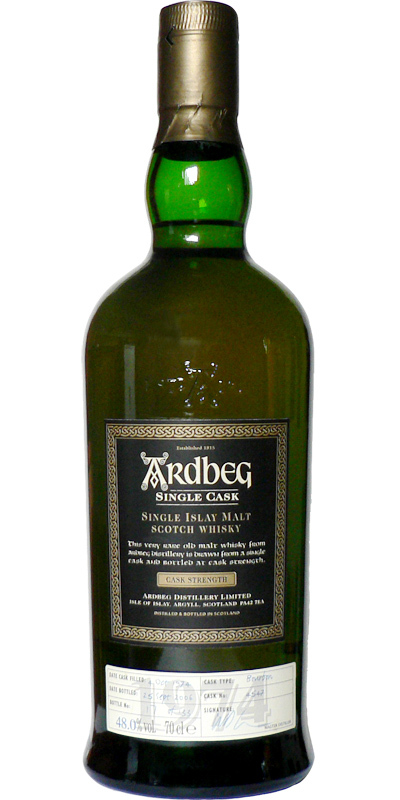 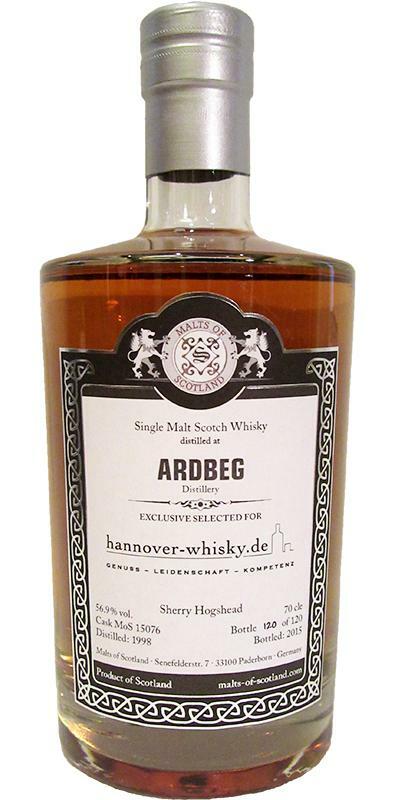 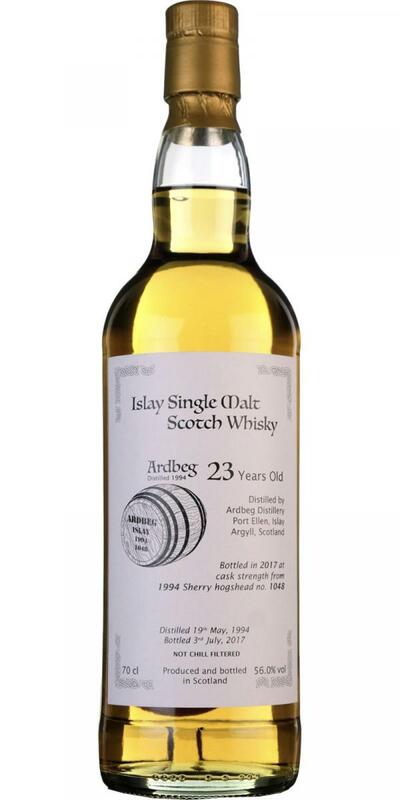 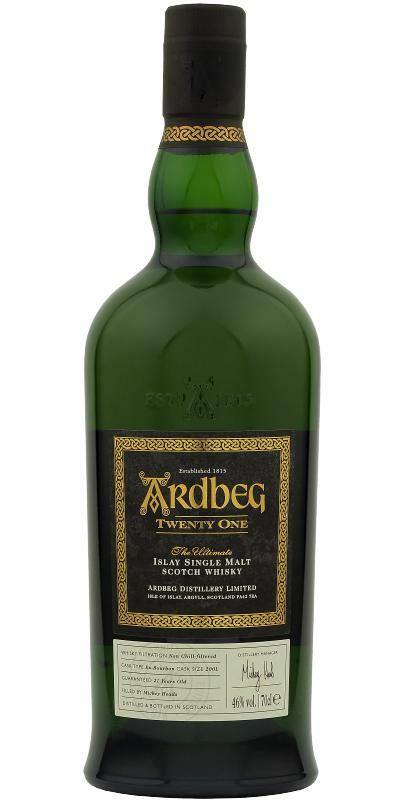 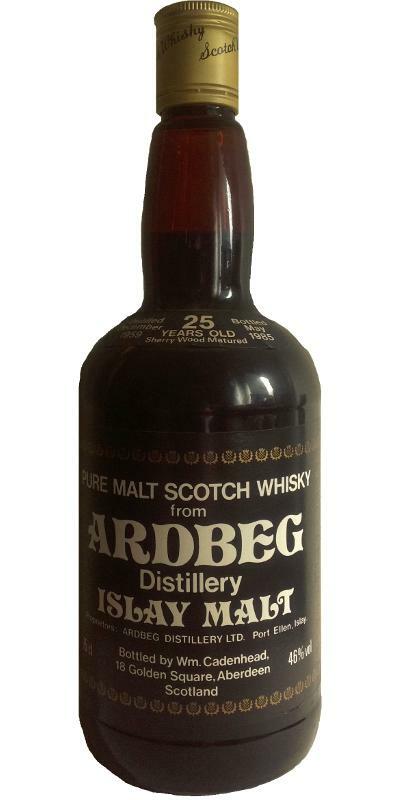 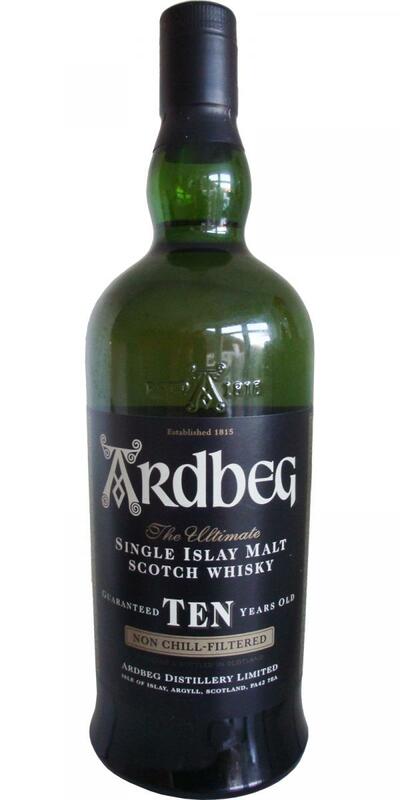 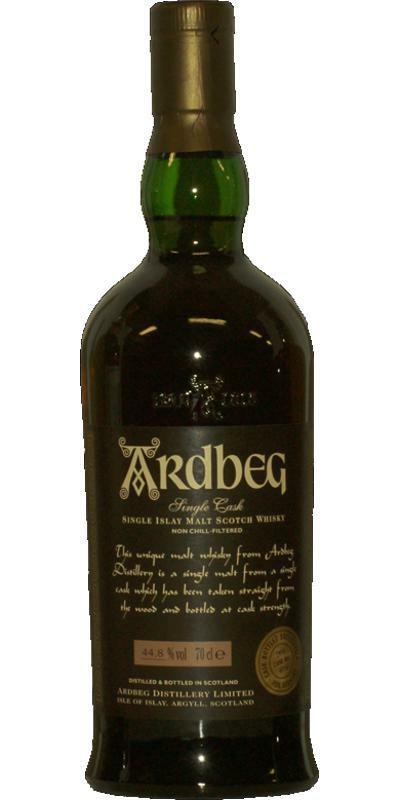 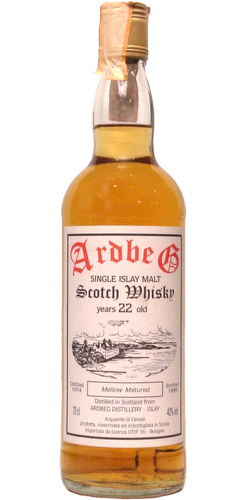 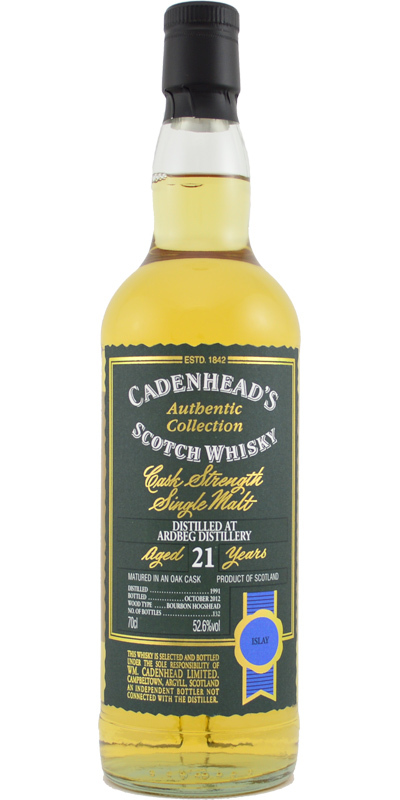 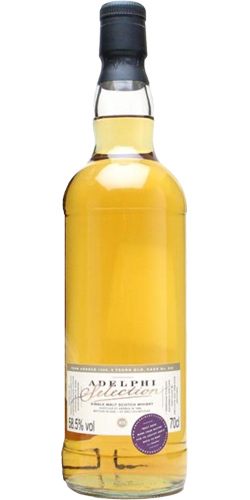 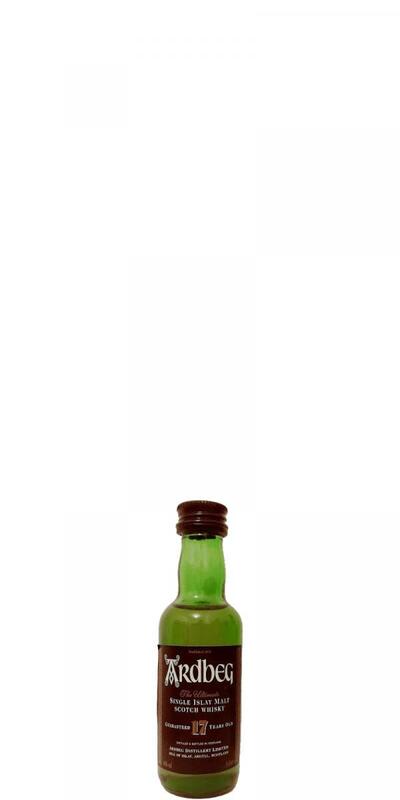 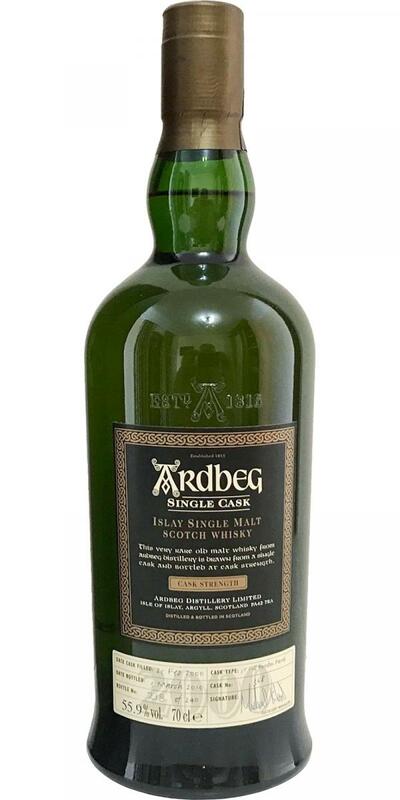 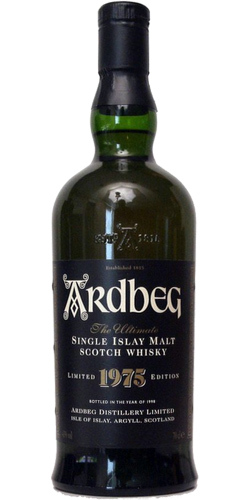 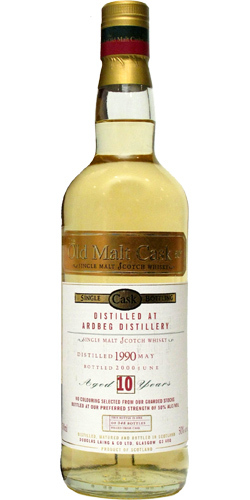 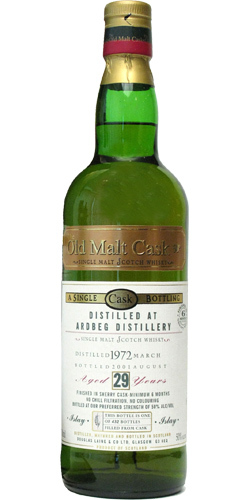 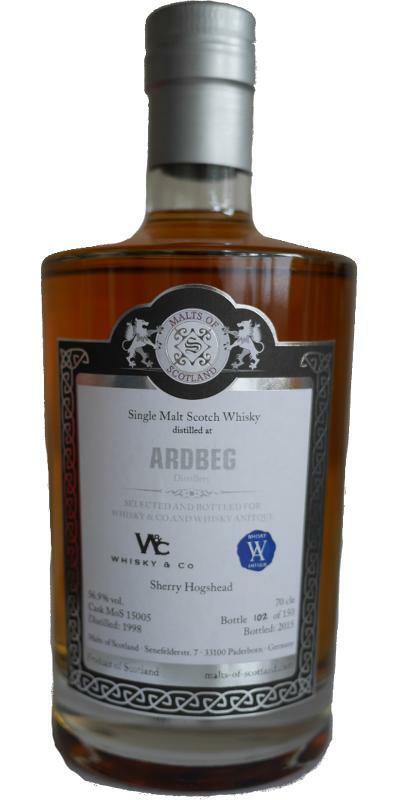 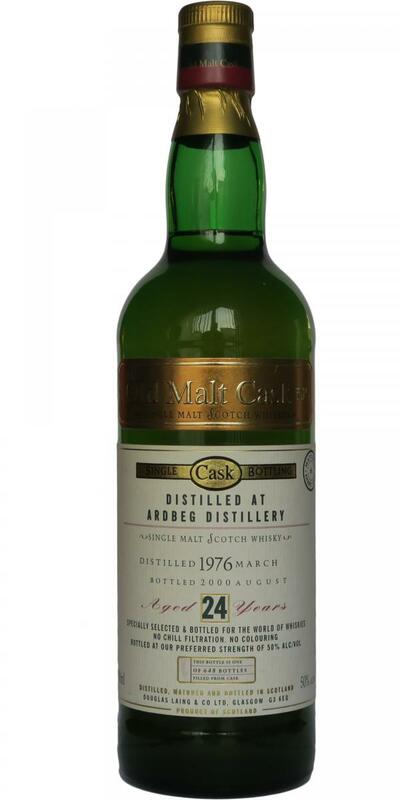 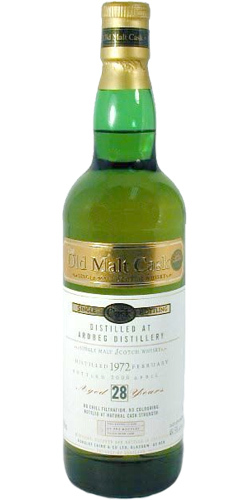 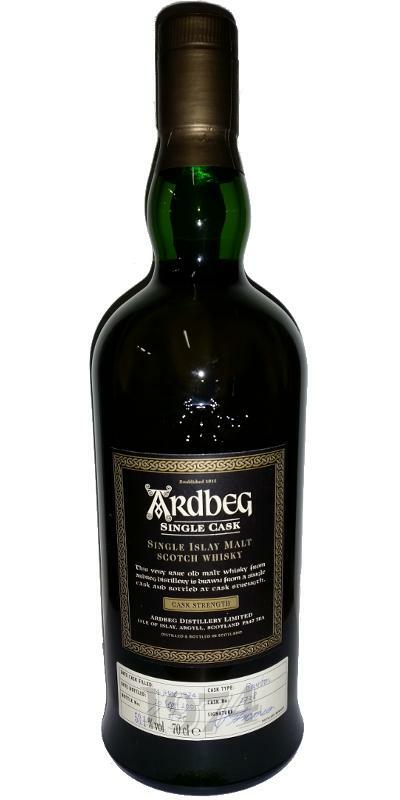 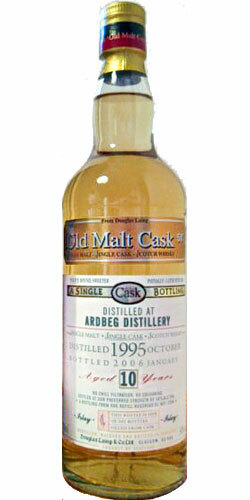 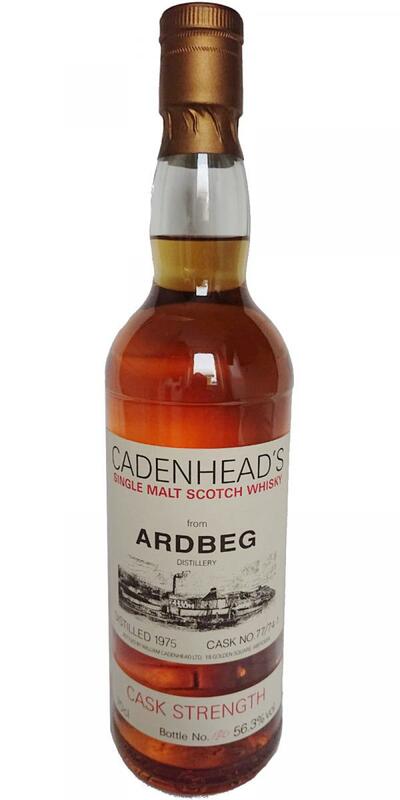 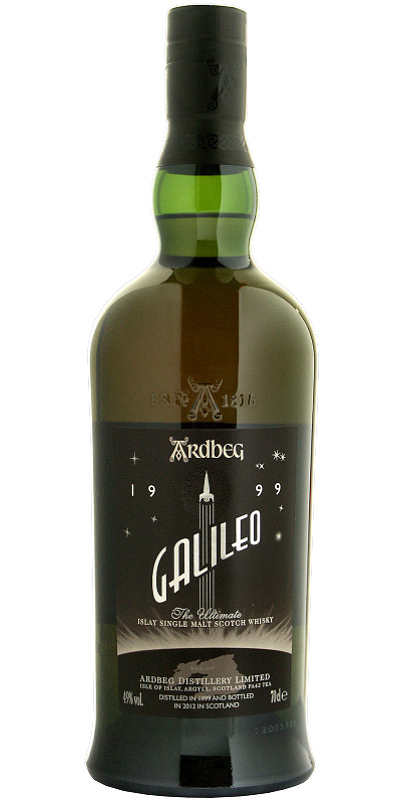 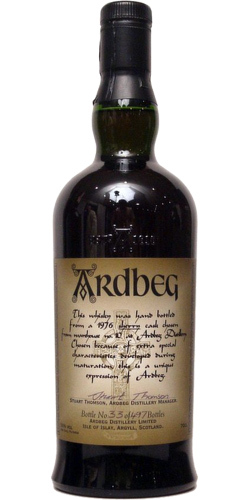 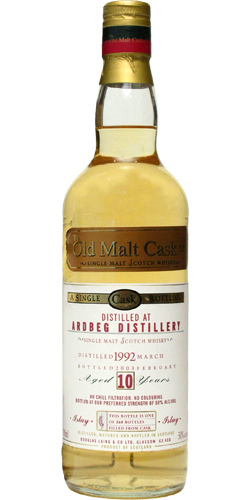 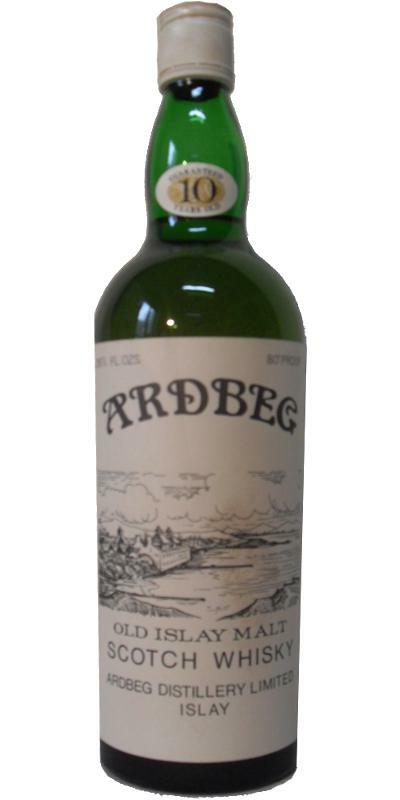 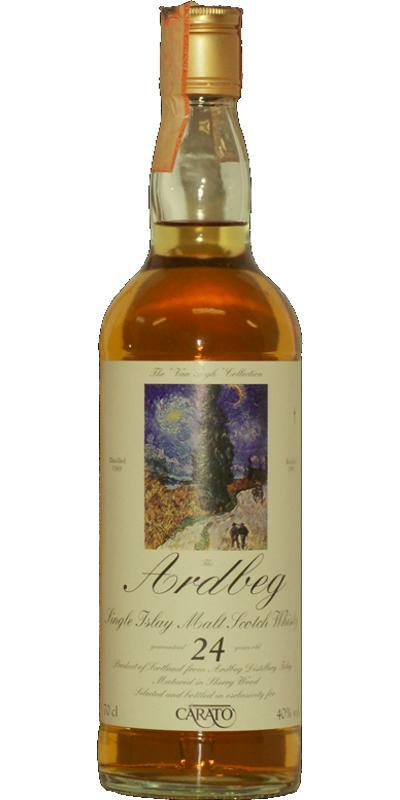 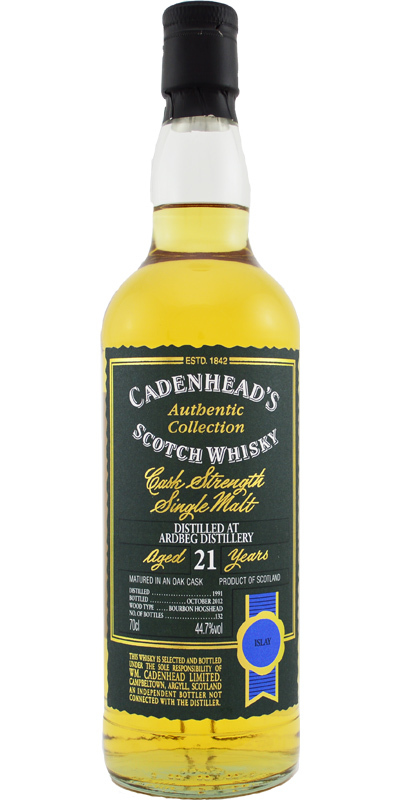 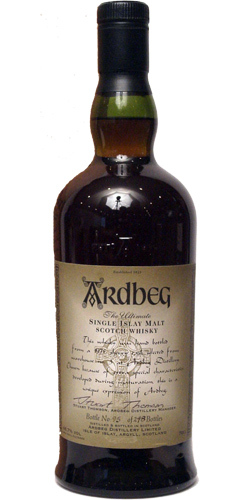 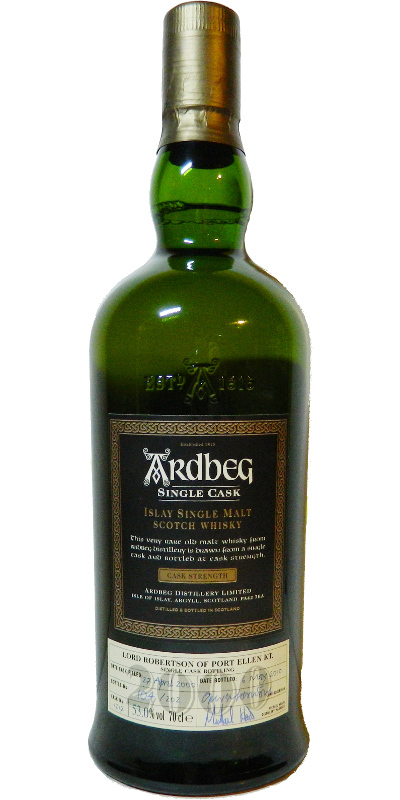 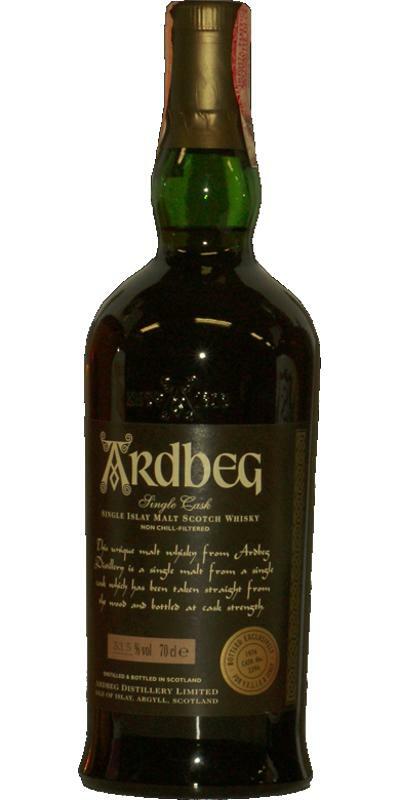 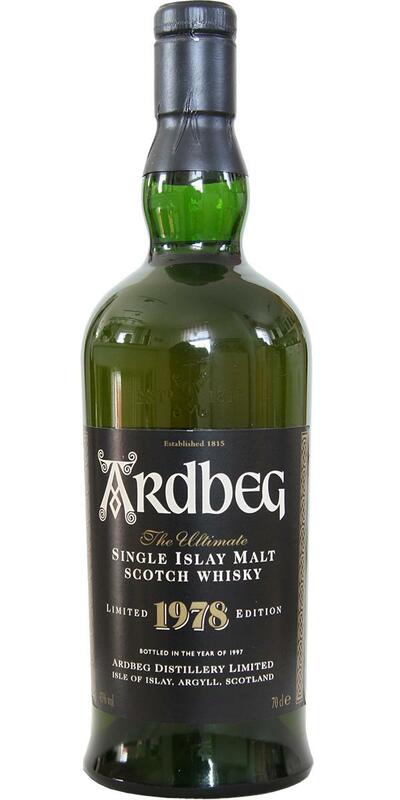 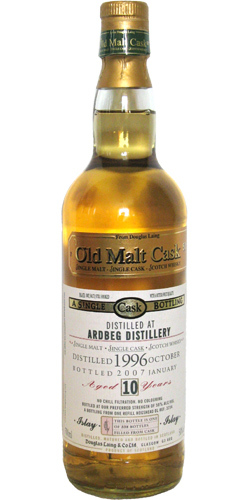 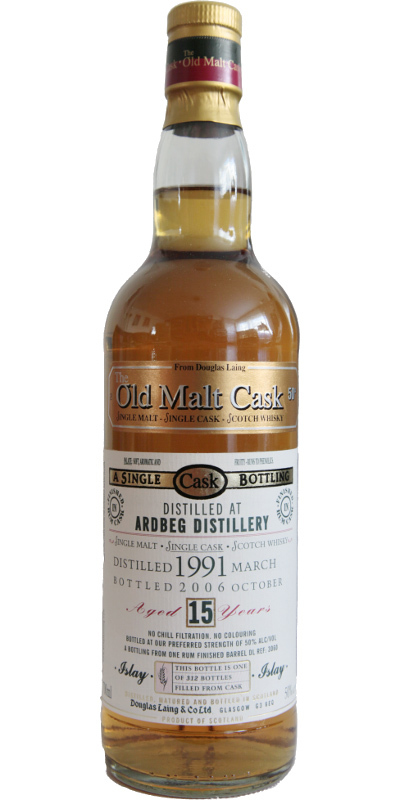 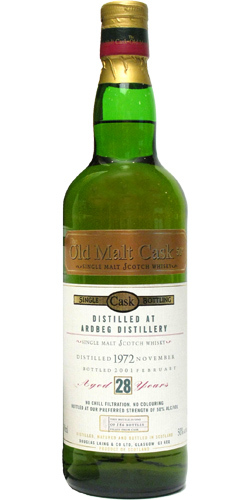 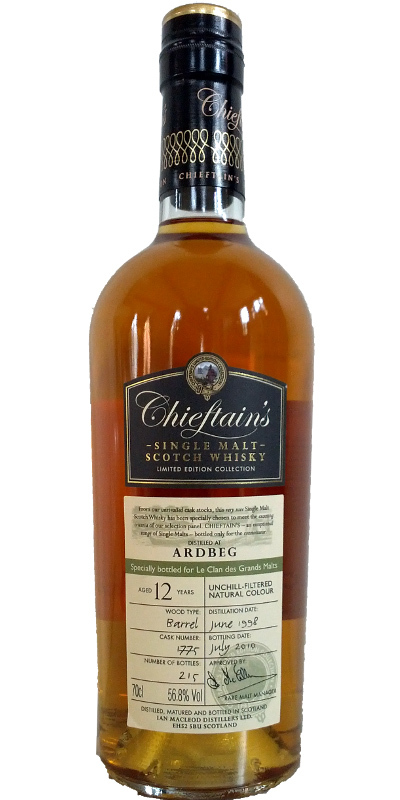 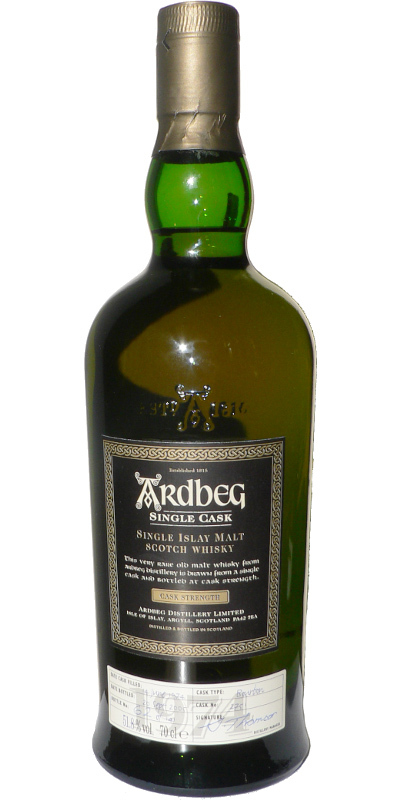 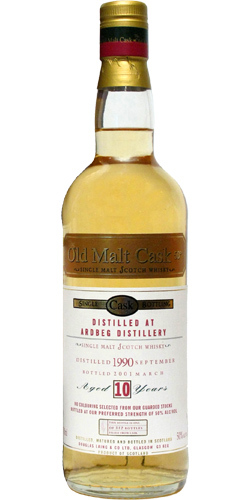 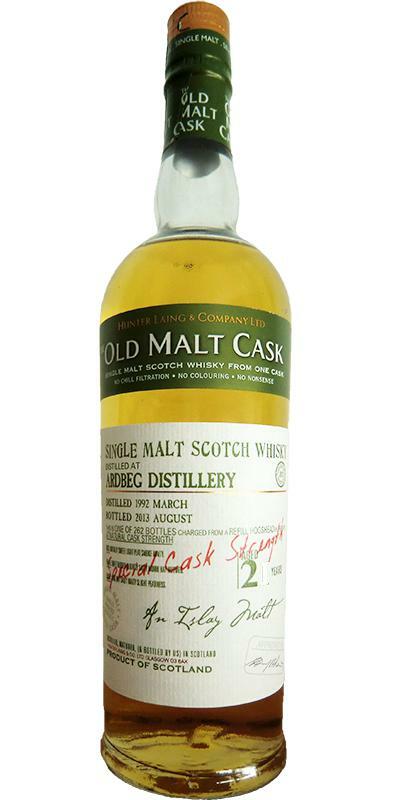 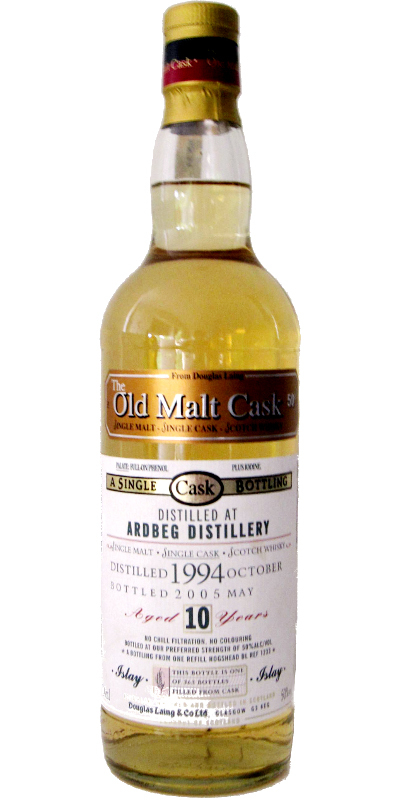 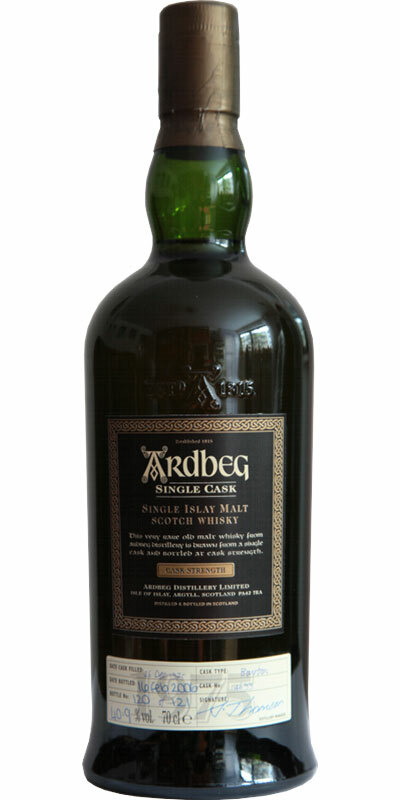 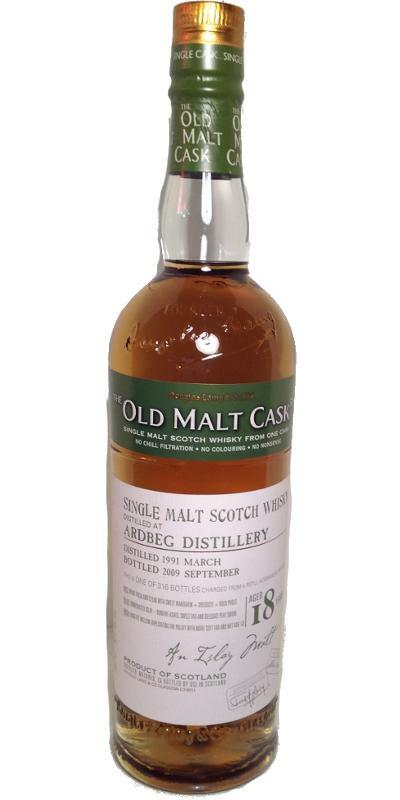 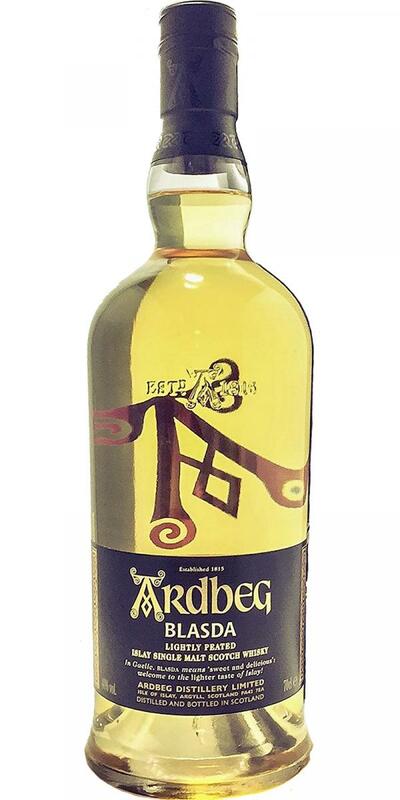 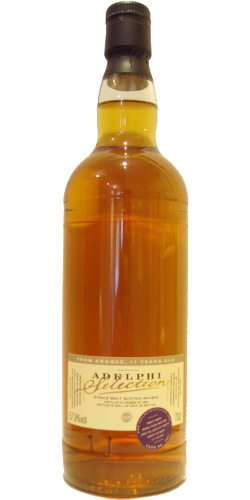 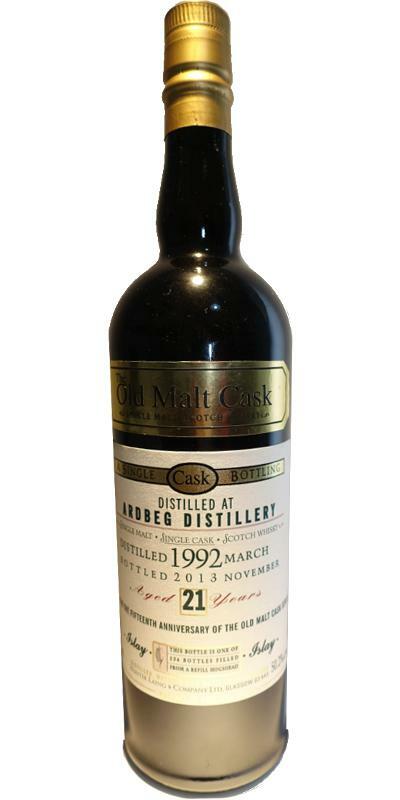 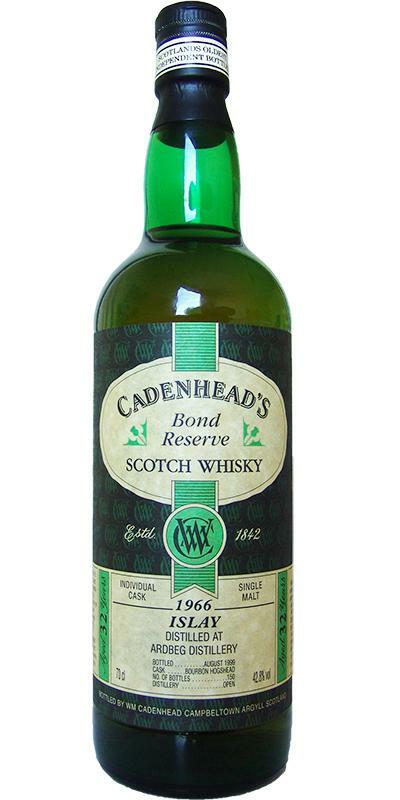 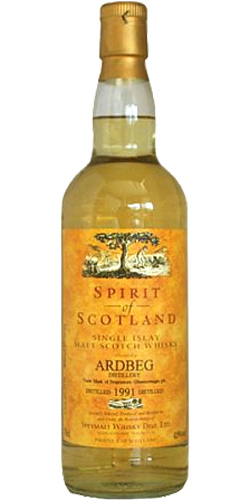 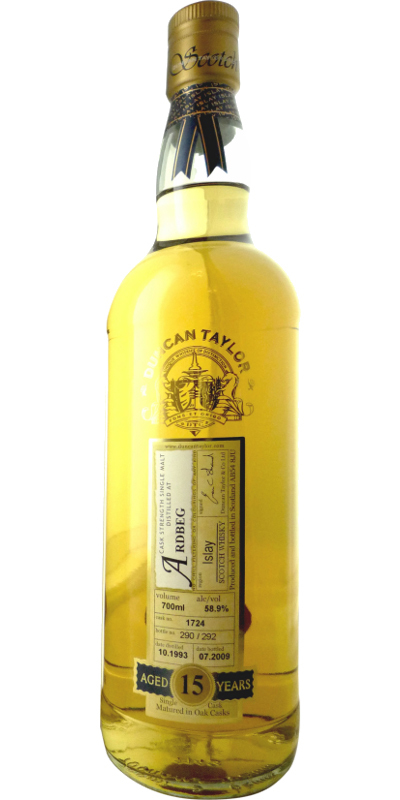 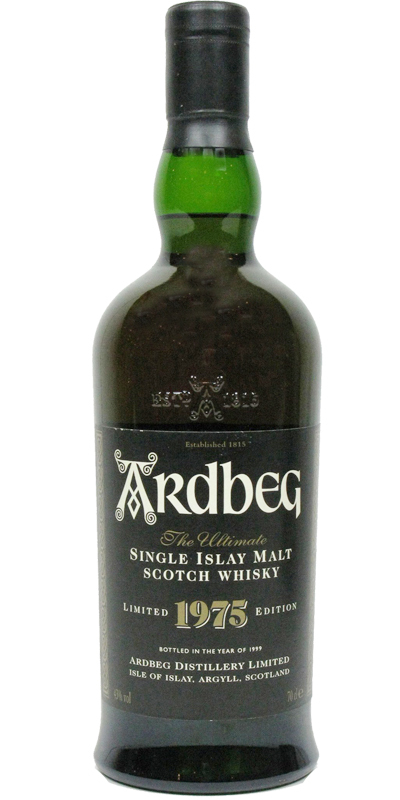 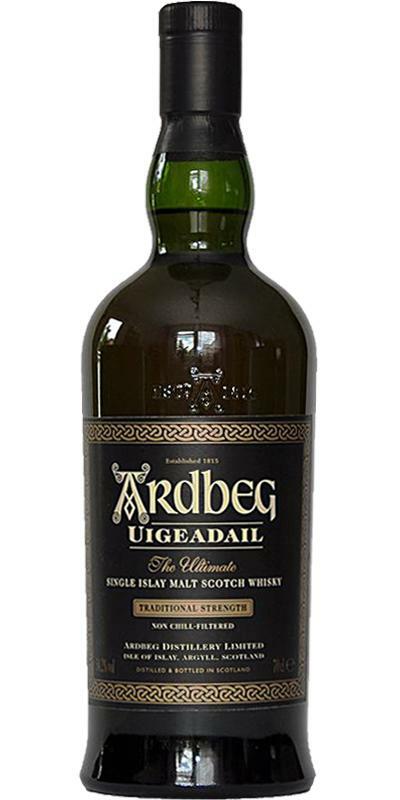 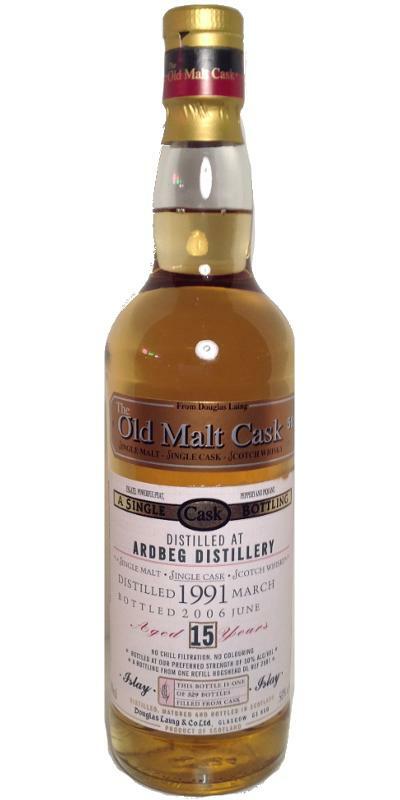 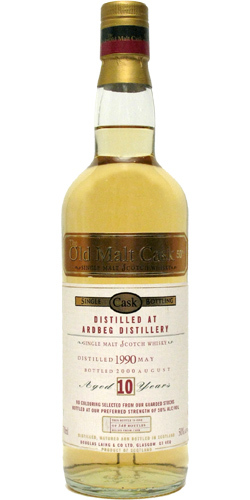 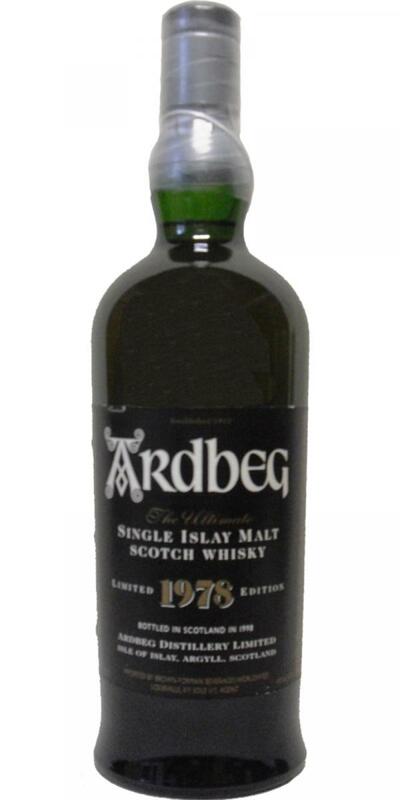 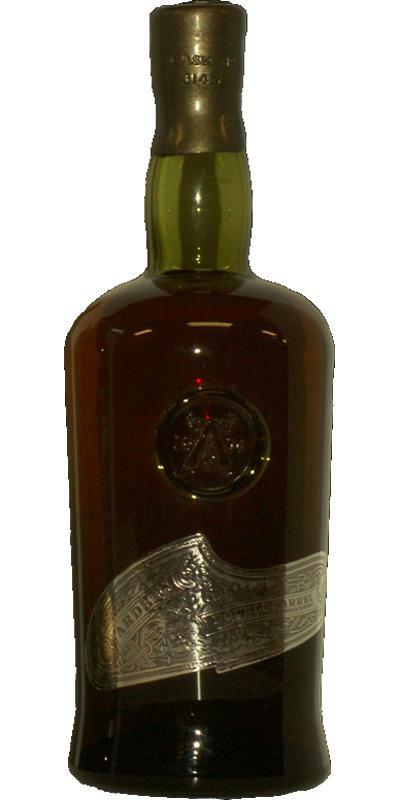 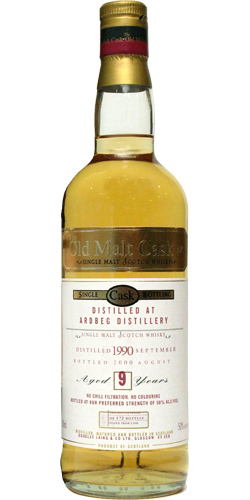 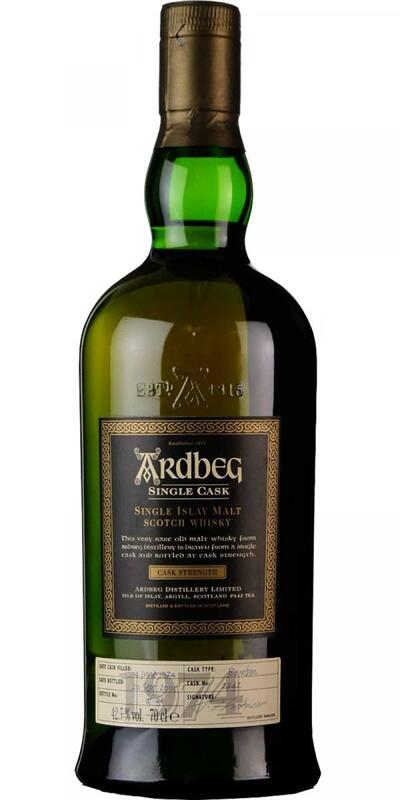 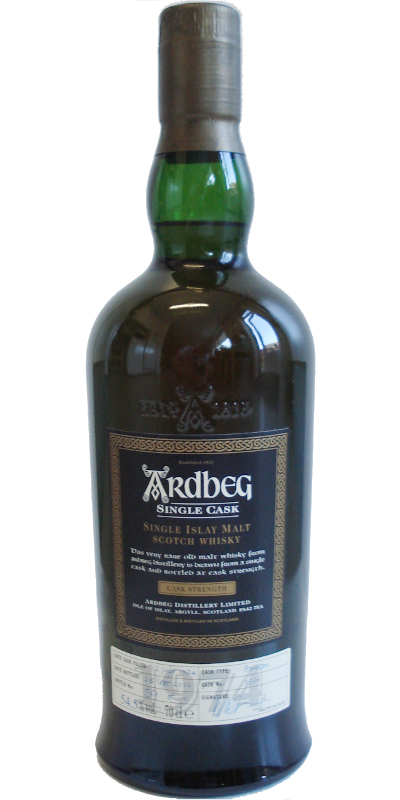 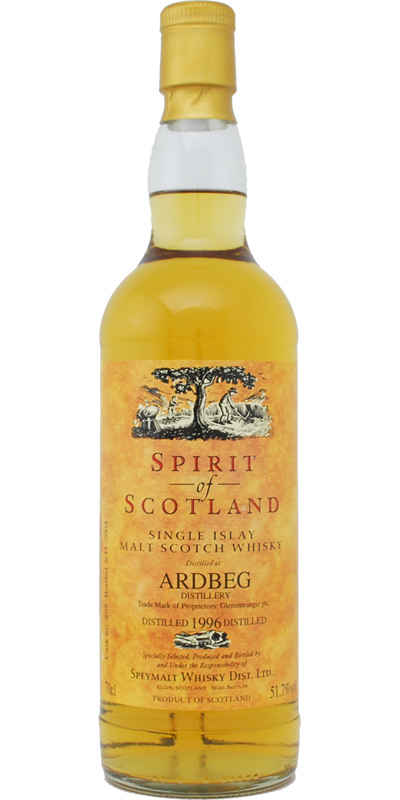 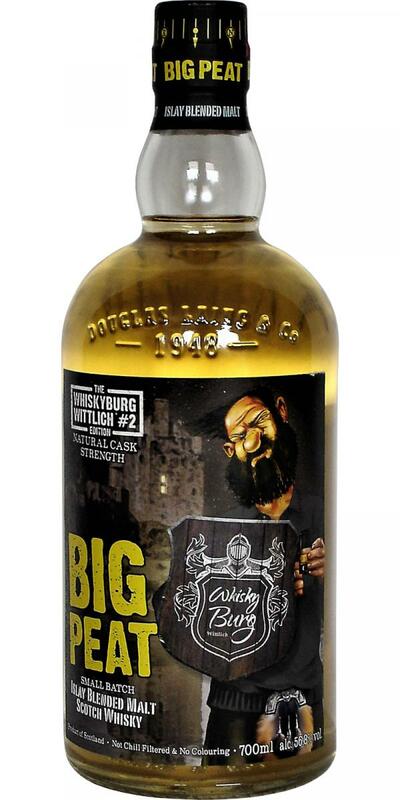 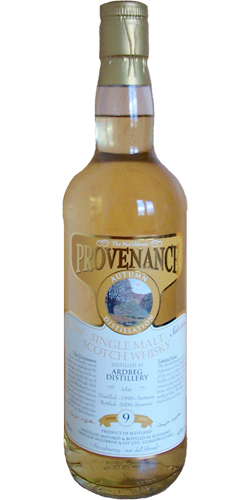 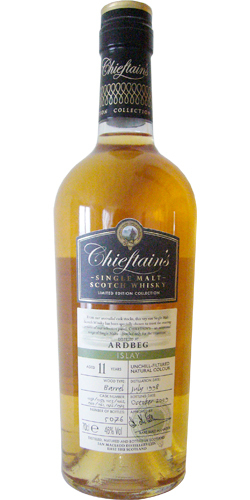 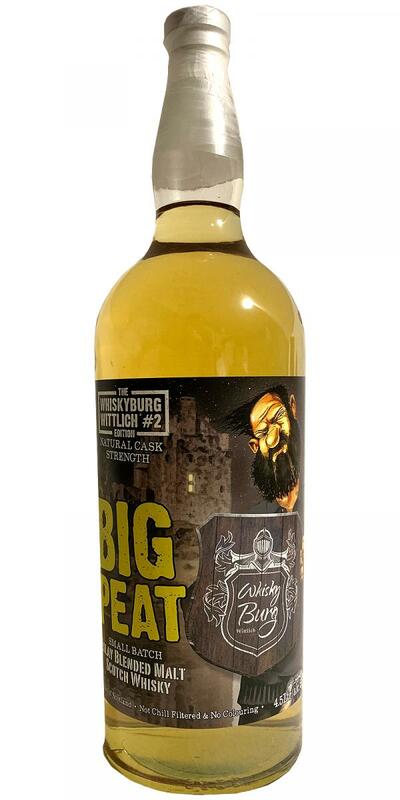 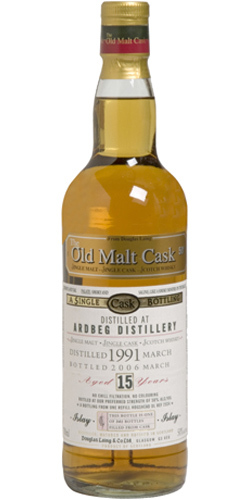 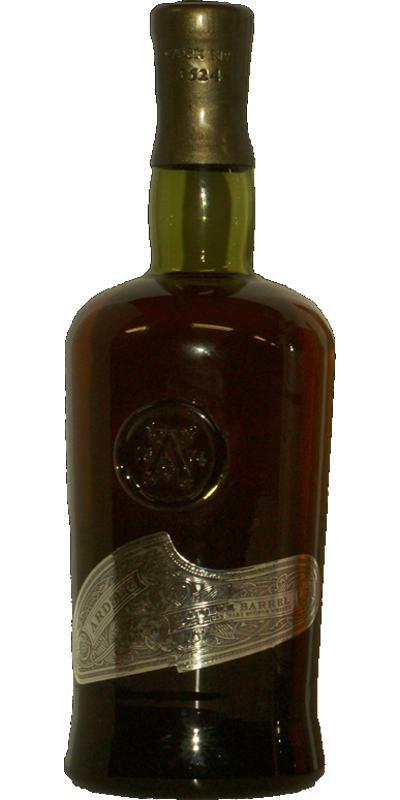 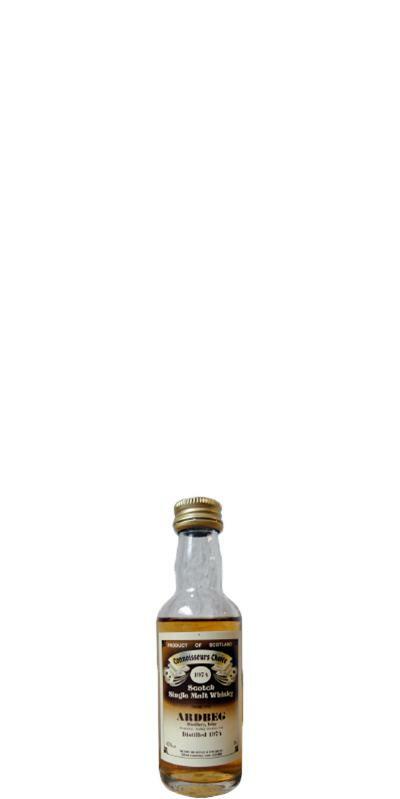 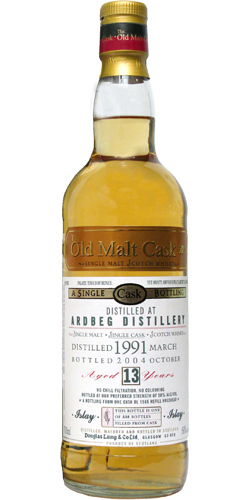 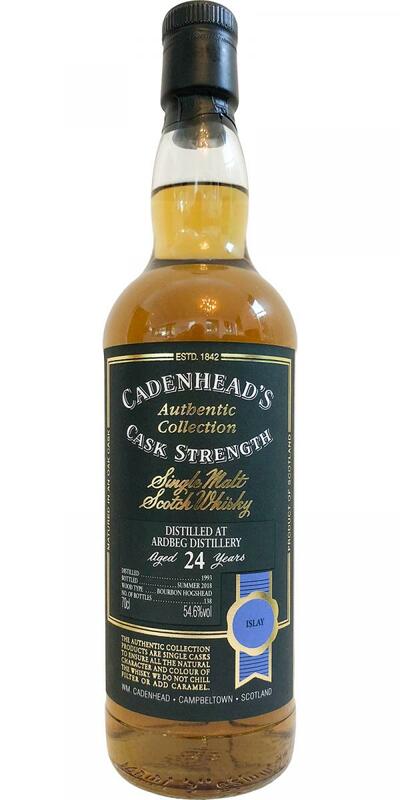 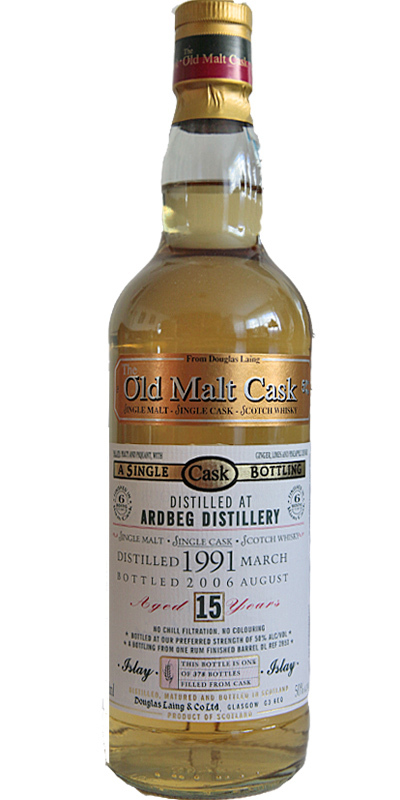 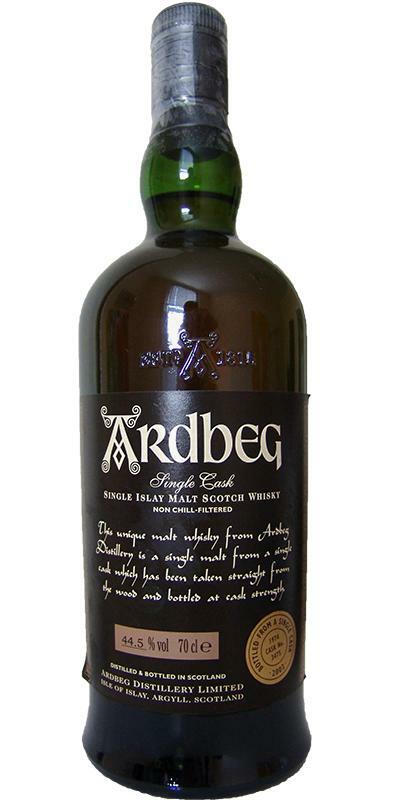 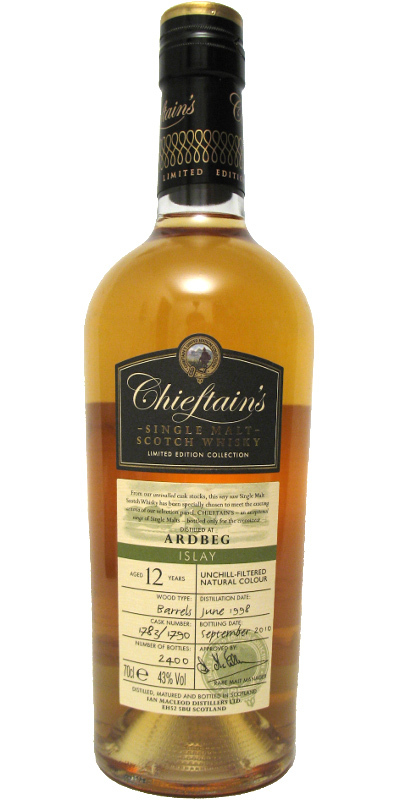 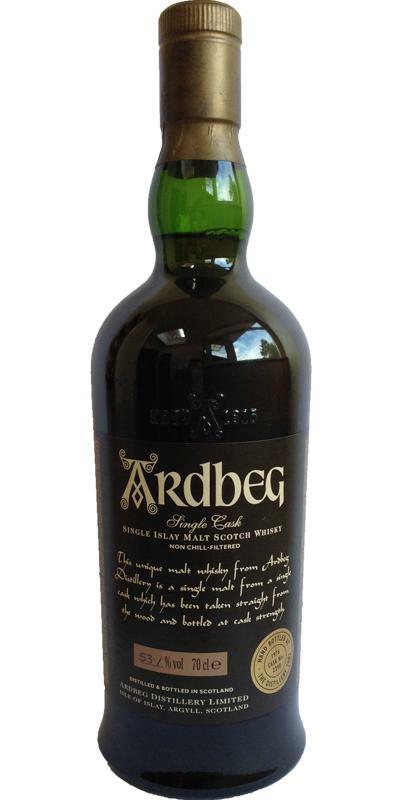 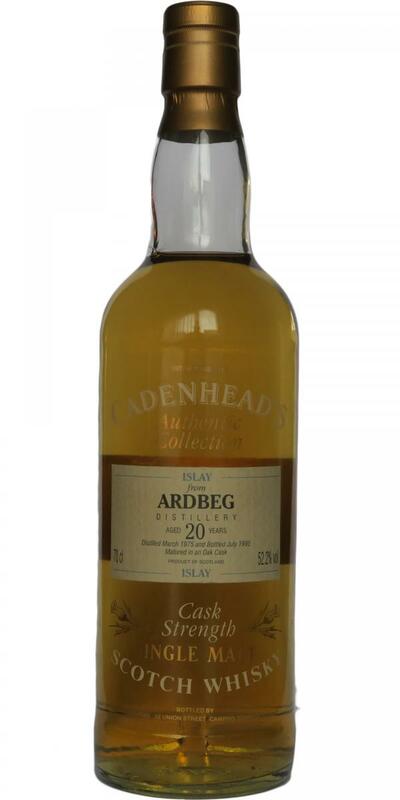 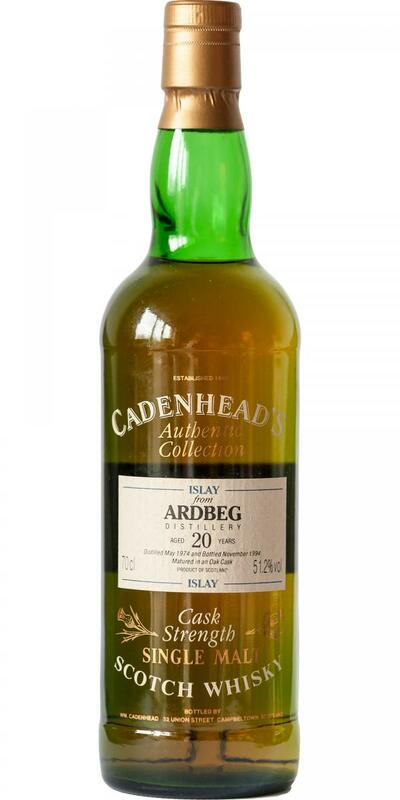 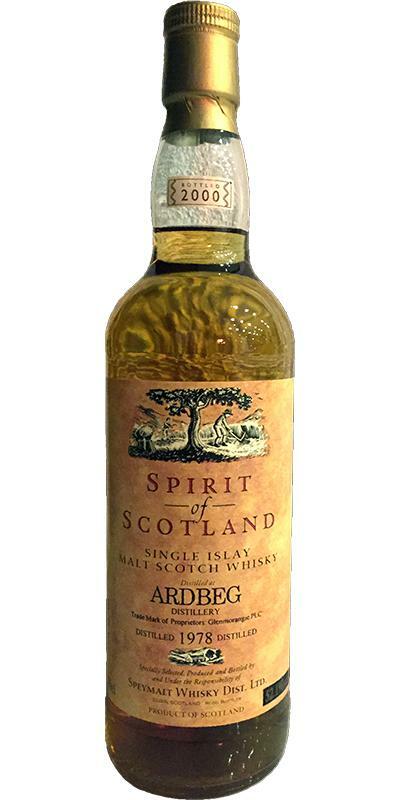 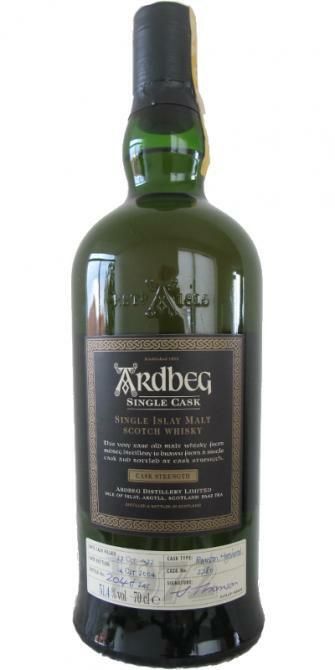 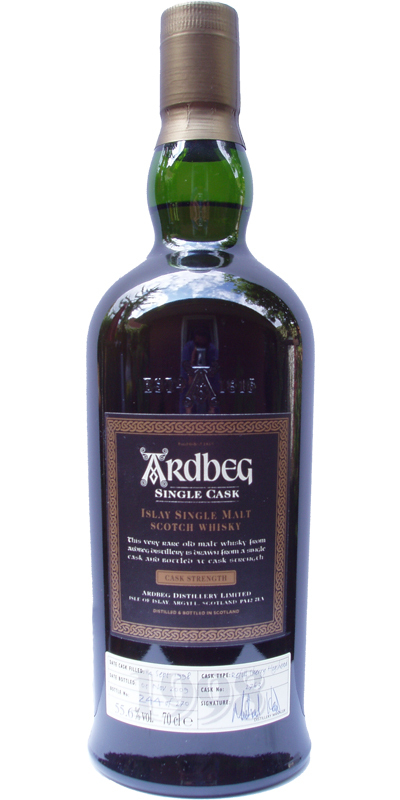 Ardbeg 21-year-old CA Original Collection 21 43.6 % Vol. 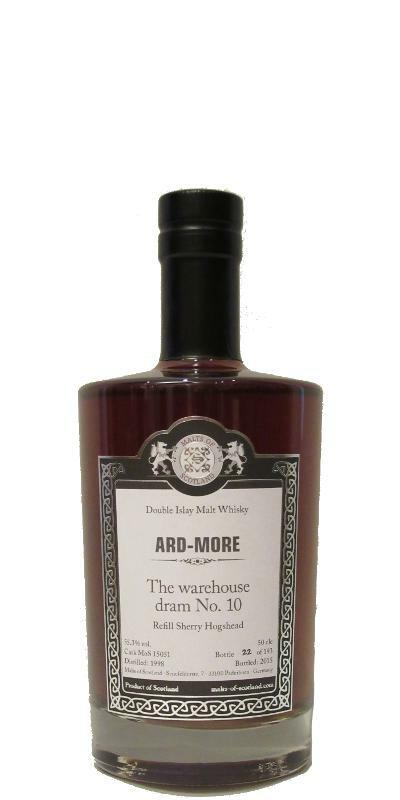 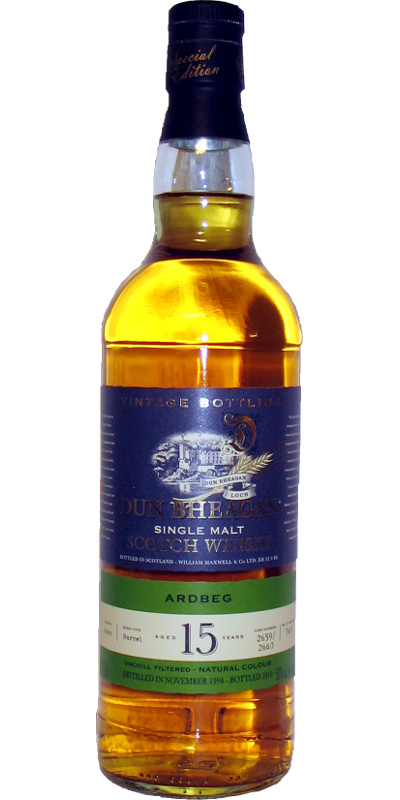 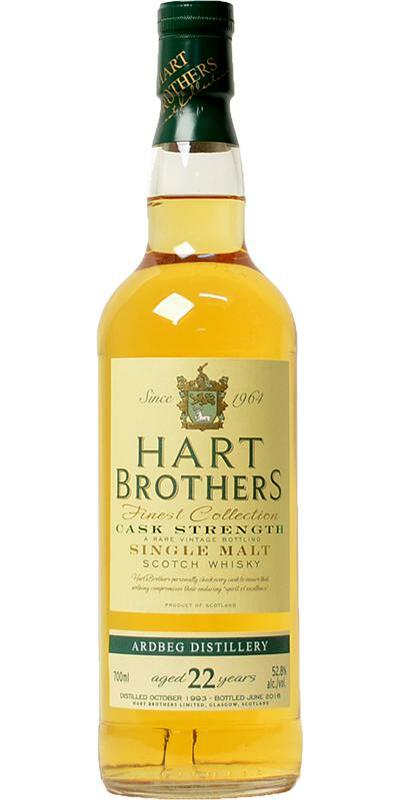 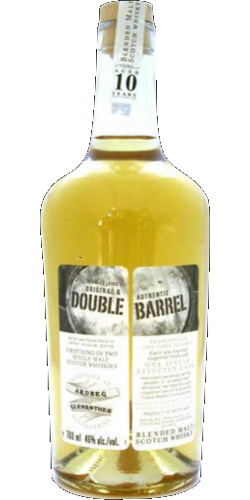 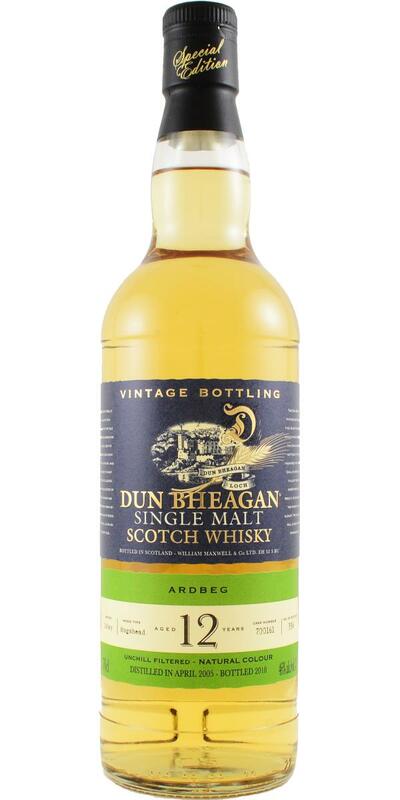 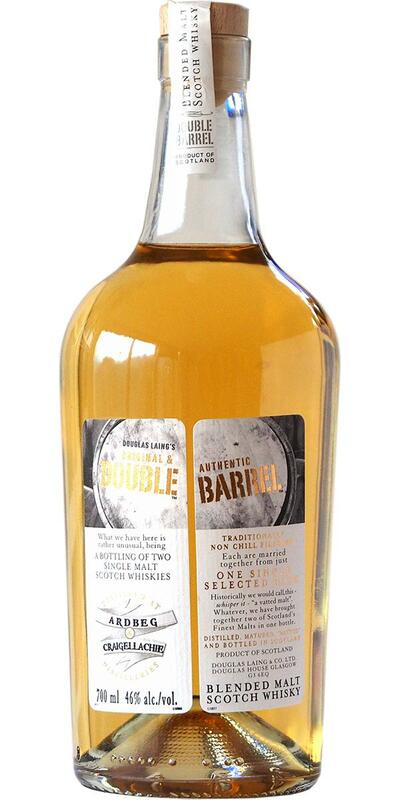 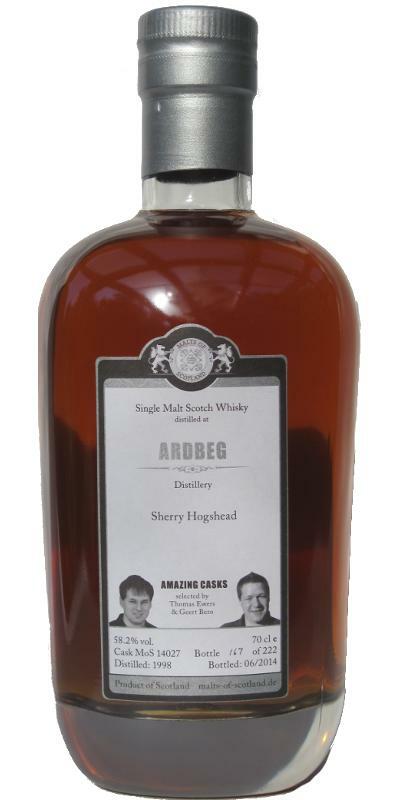 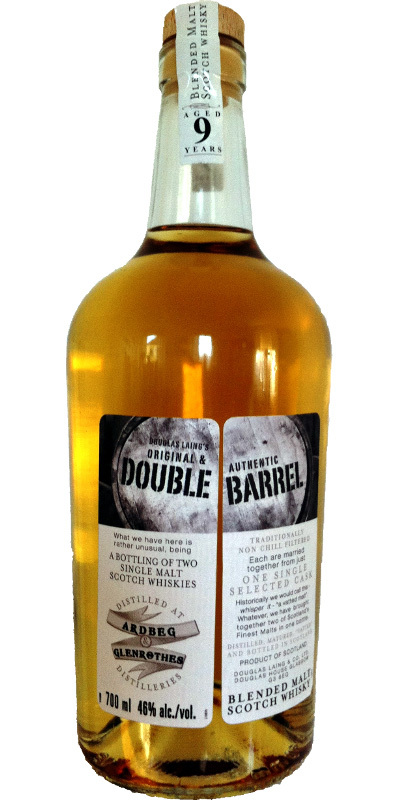 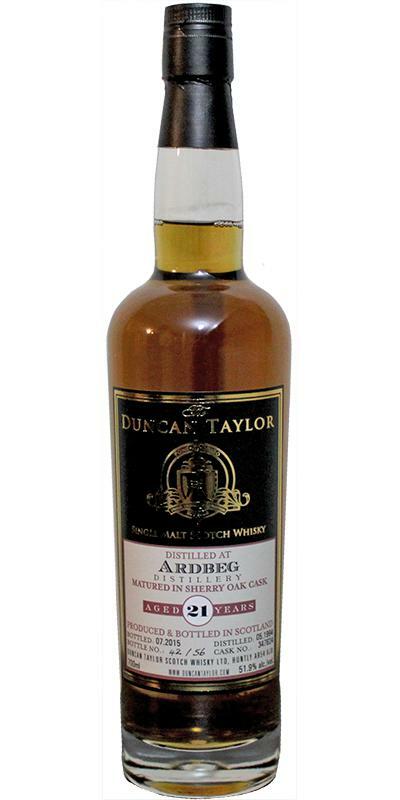 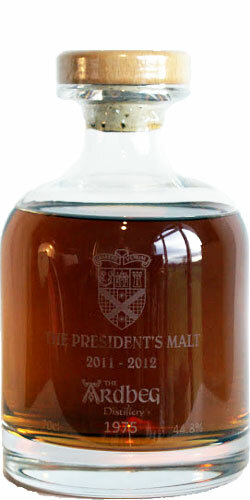 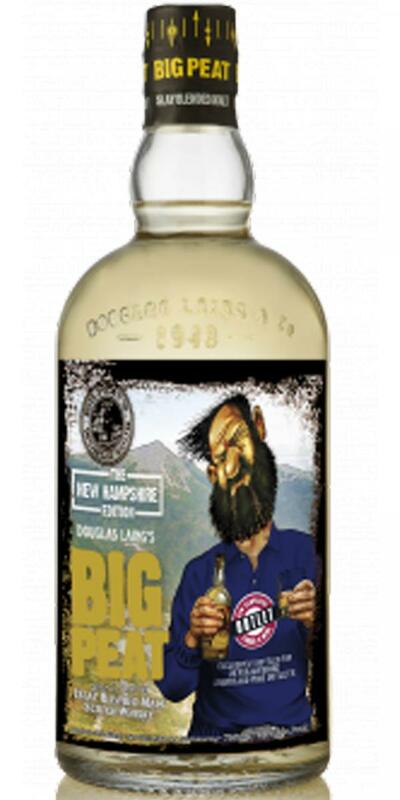 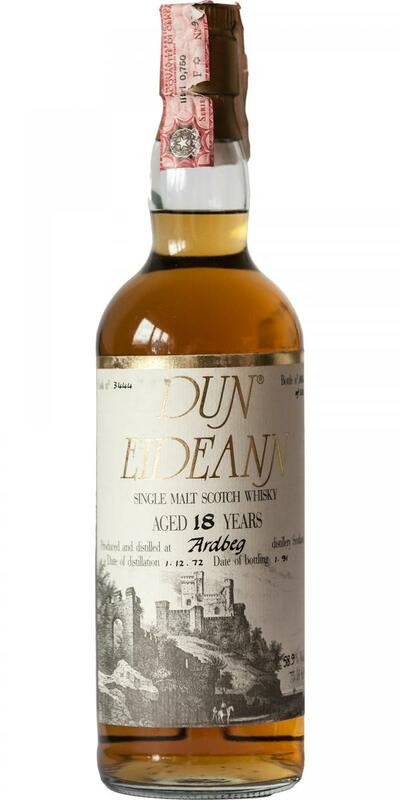 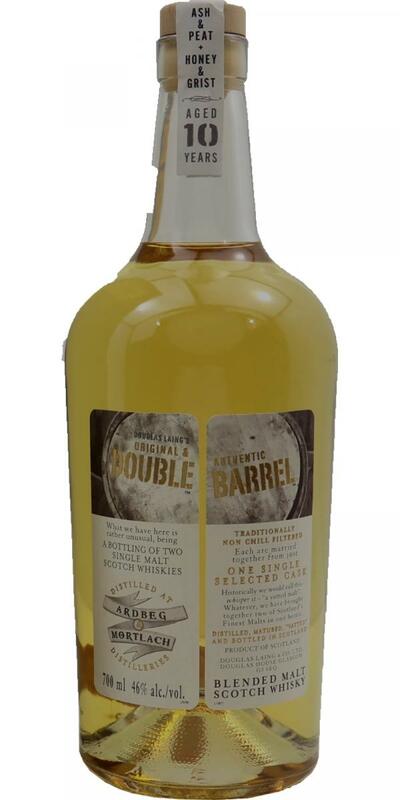 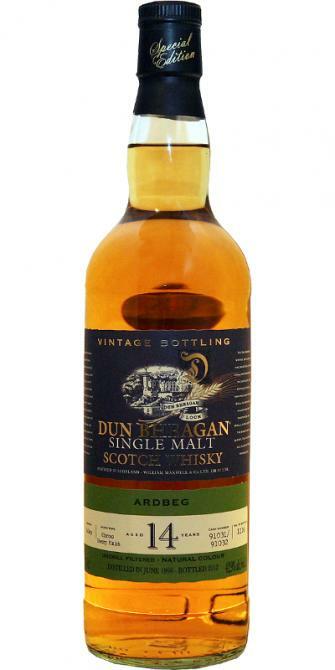 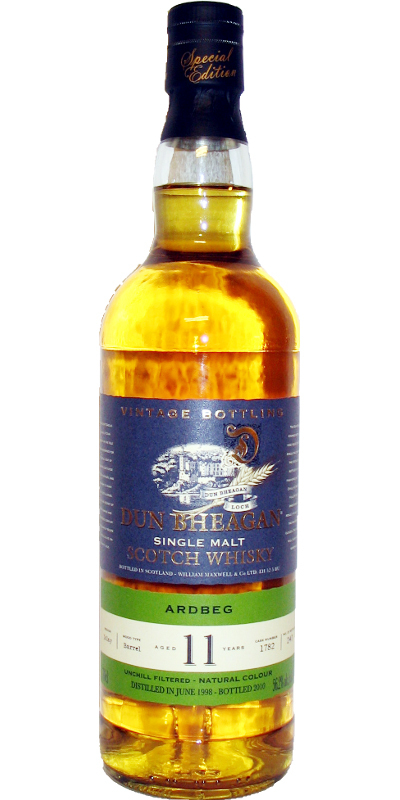 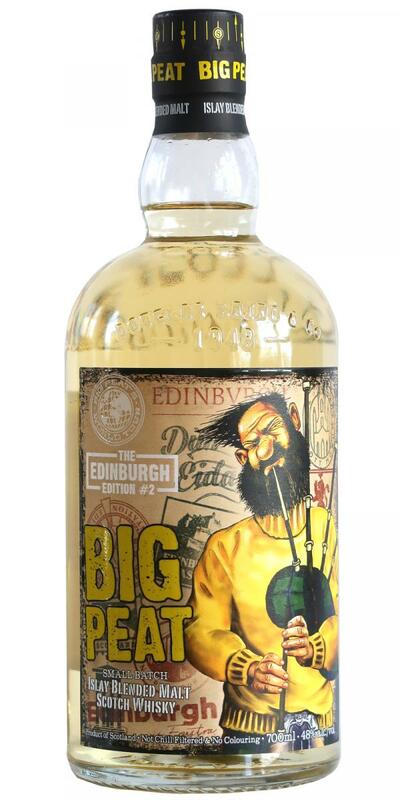 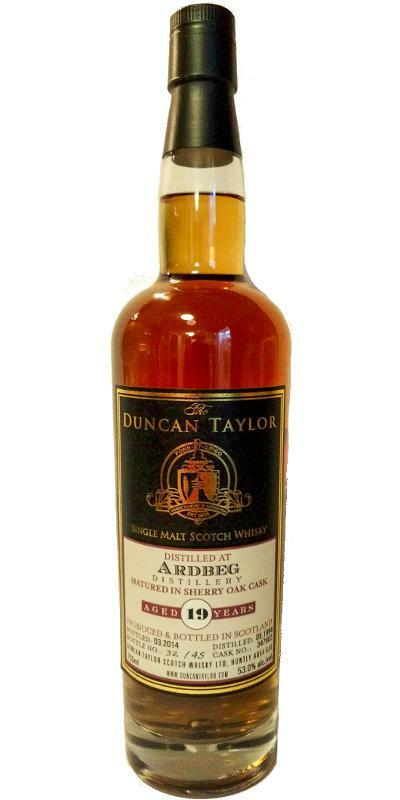 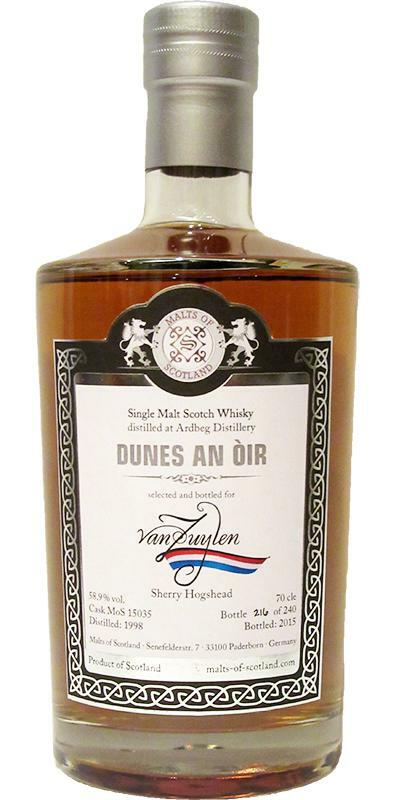 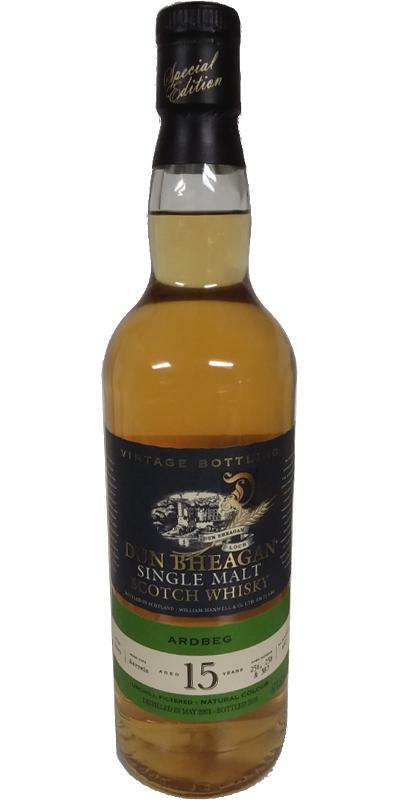 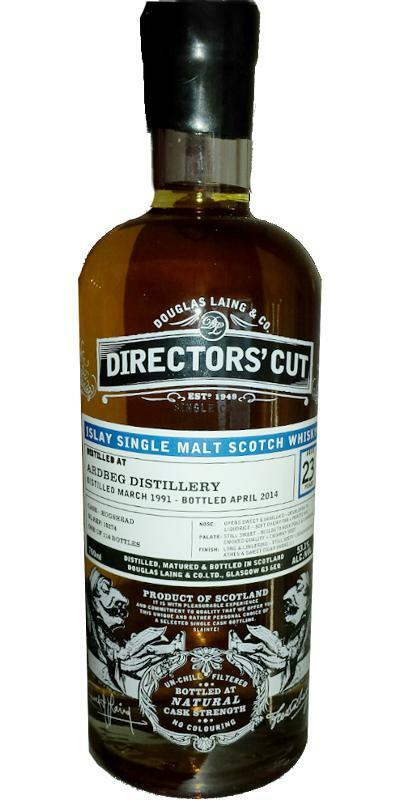 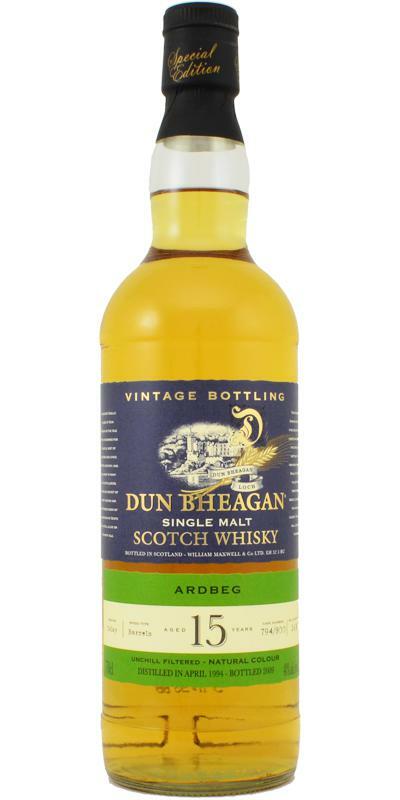 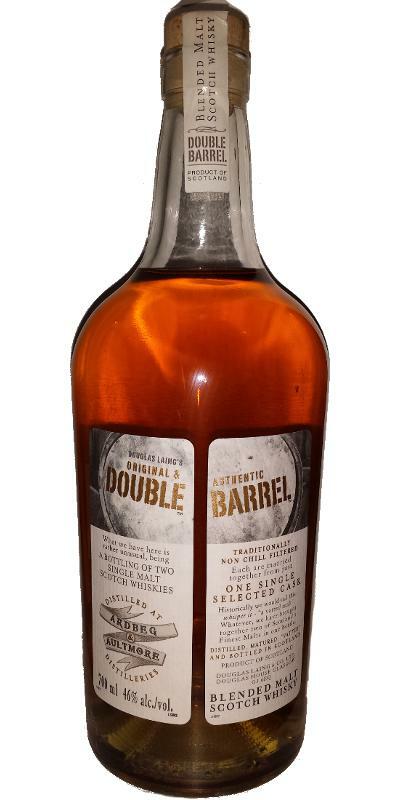 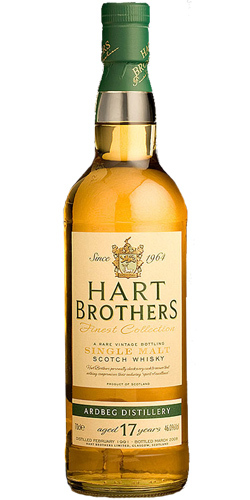 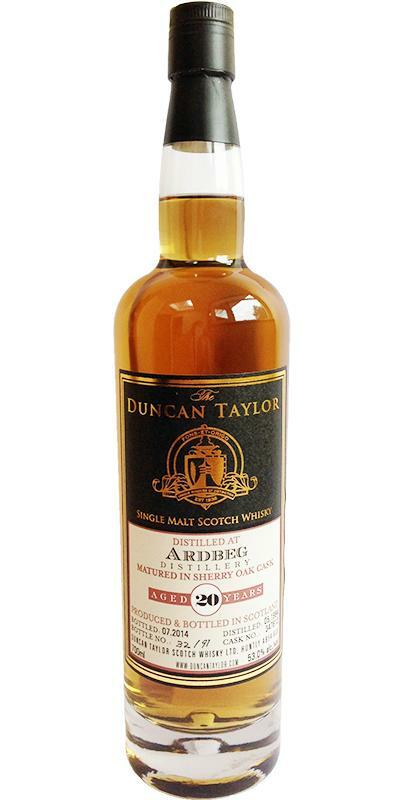 Ardbeg 09-year-old D&M Aficionados' Club 09 53.3 % Vol. 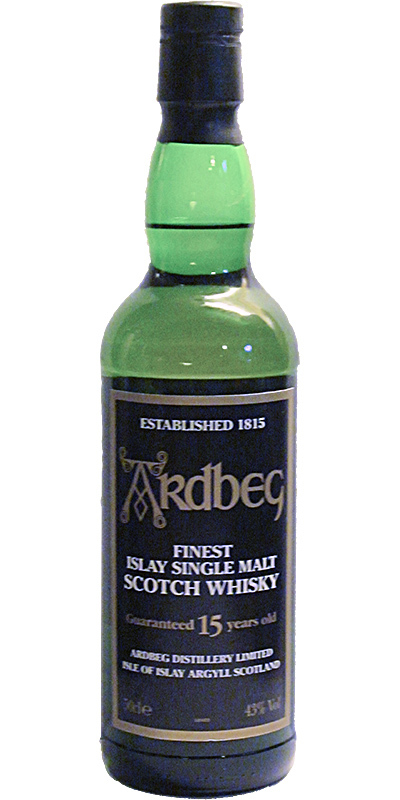 Ardbeg 24-year-old 24 50.0 % Vol. 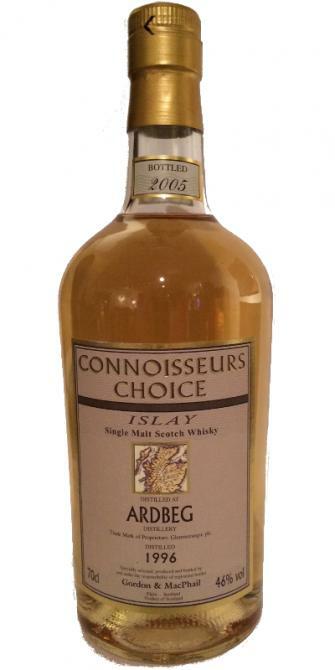 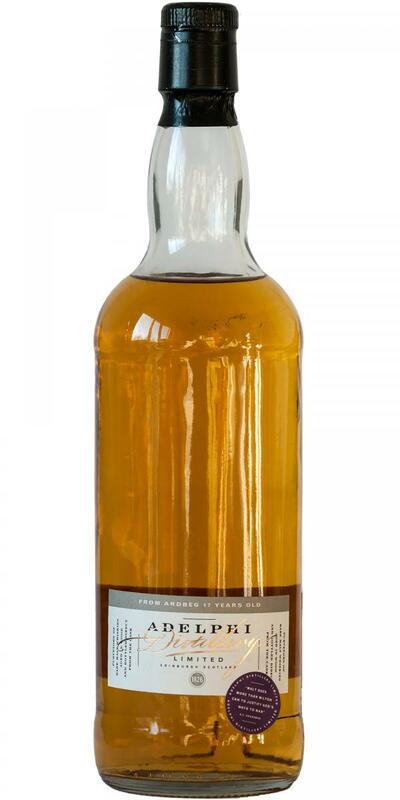 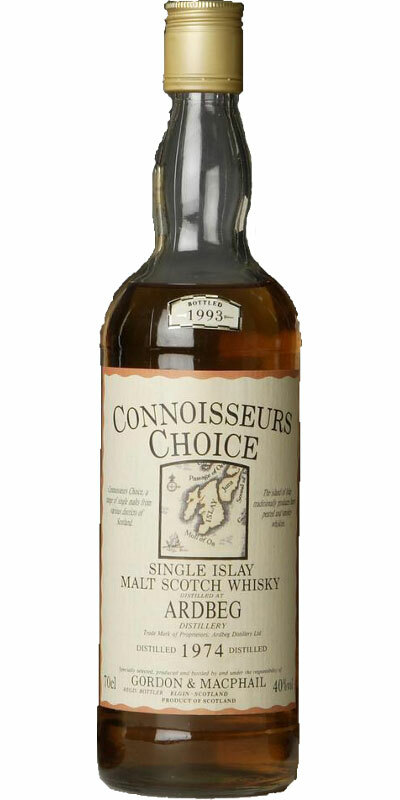 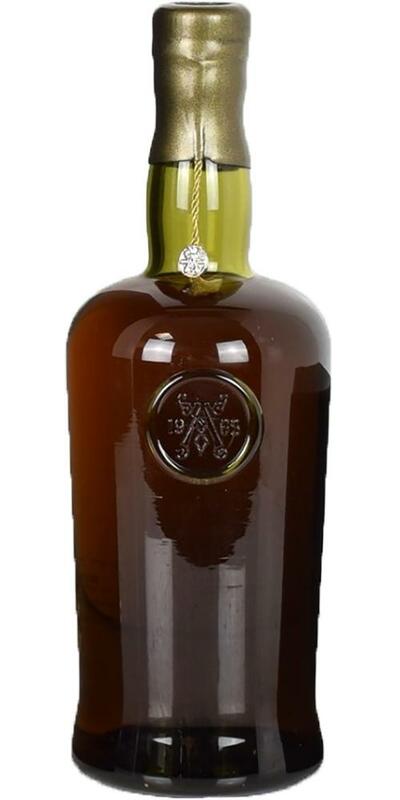 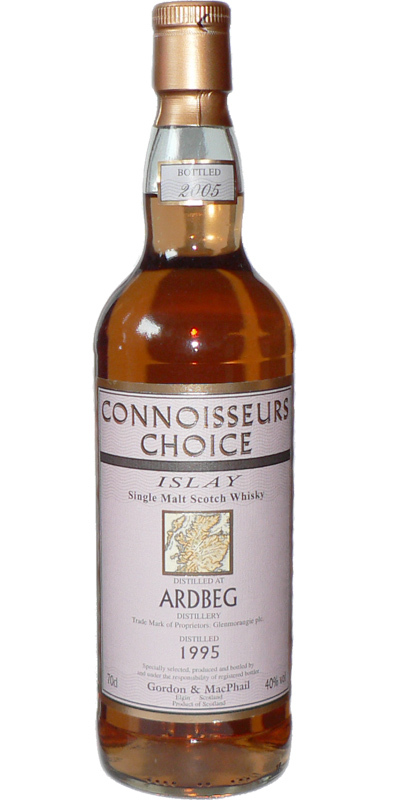 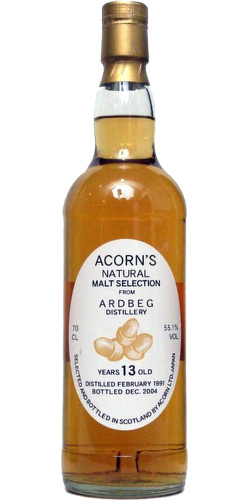 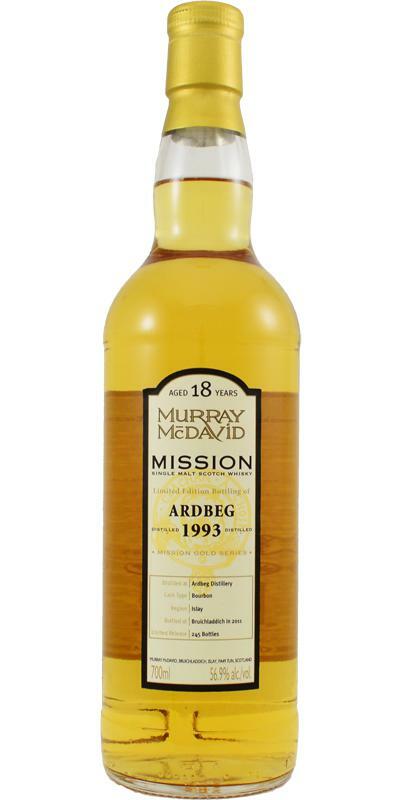 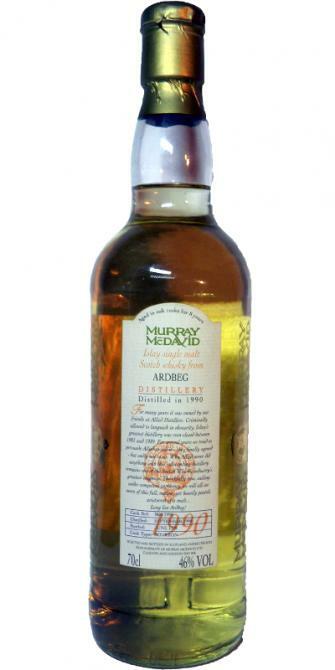 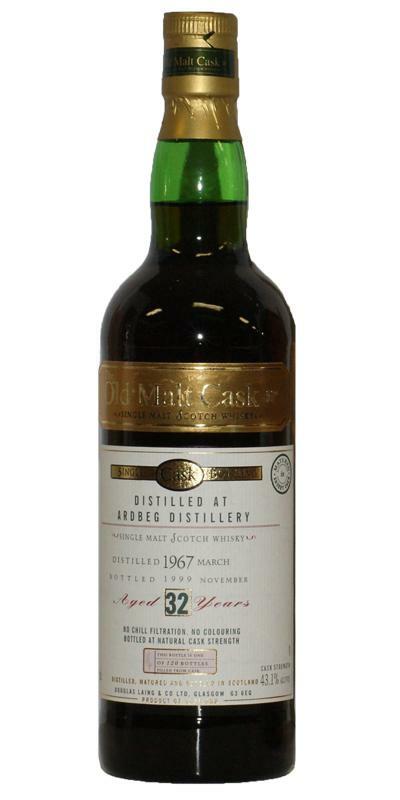 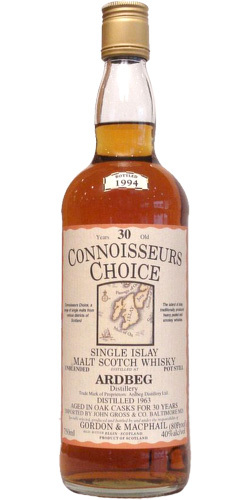 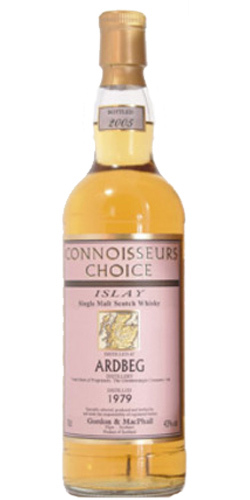 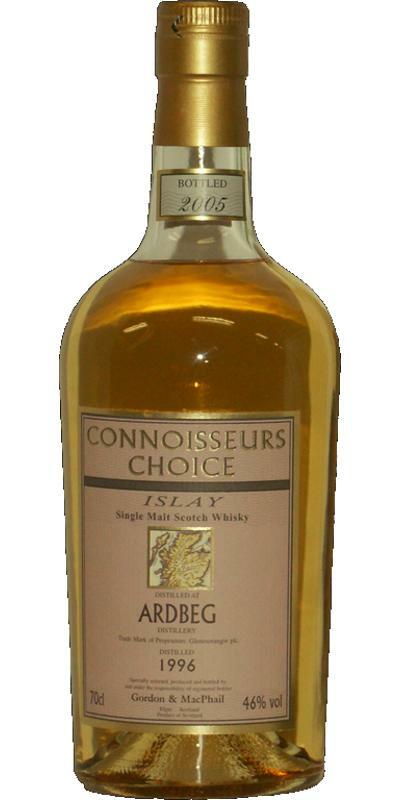 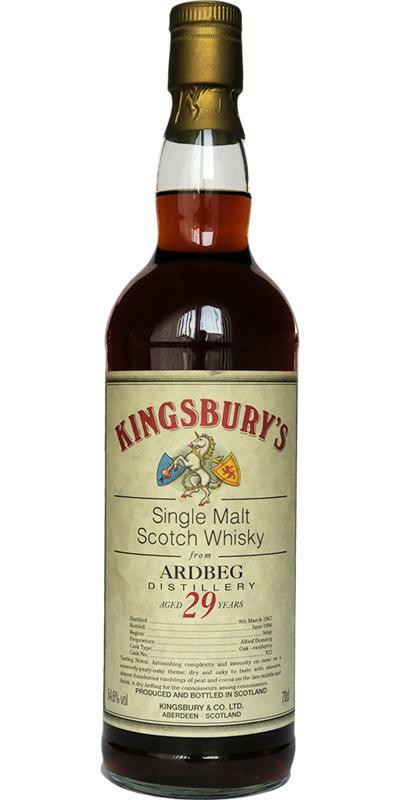 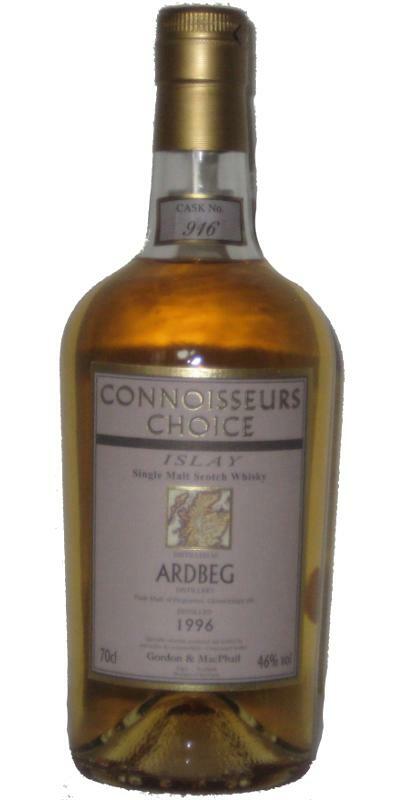 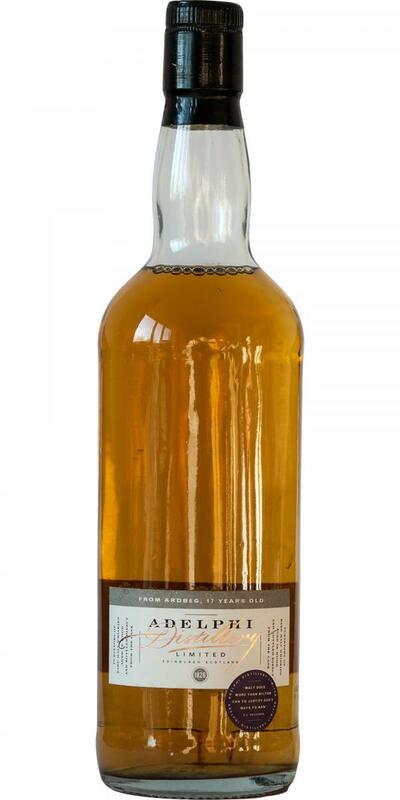 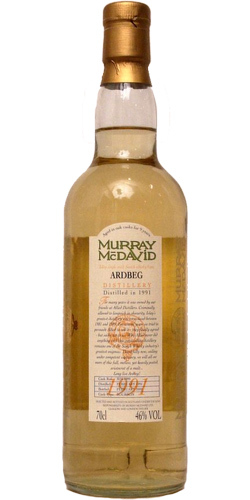 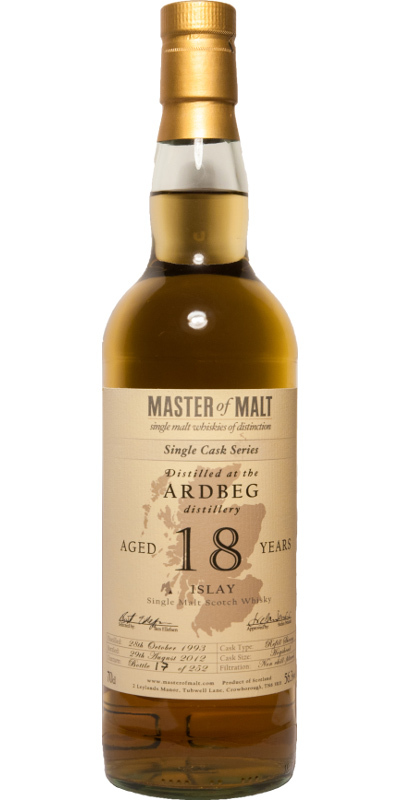 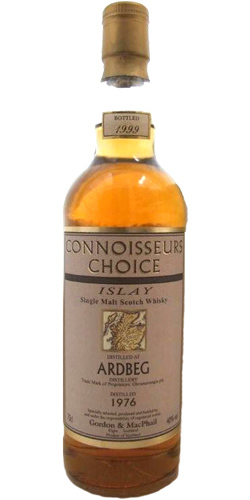 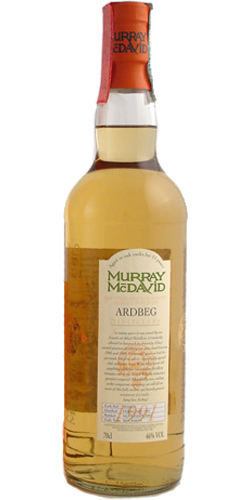 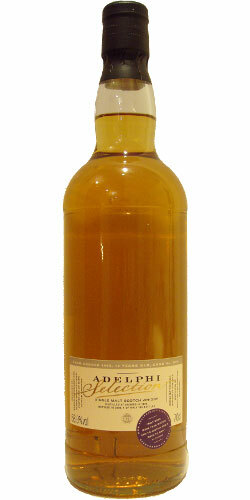 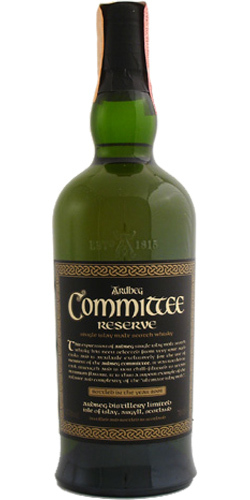 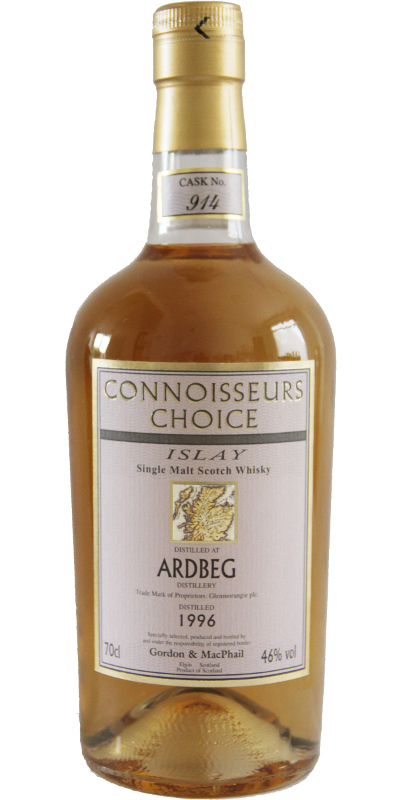 Ardbeg 1965 GM Connoisseurs Choice 18 40.0 % Vol. 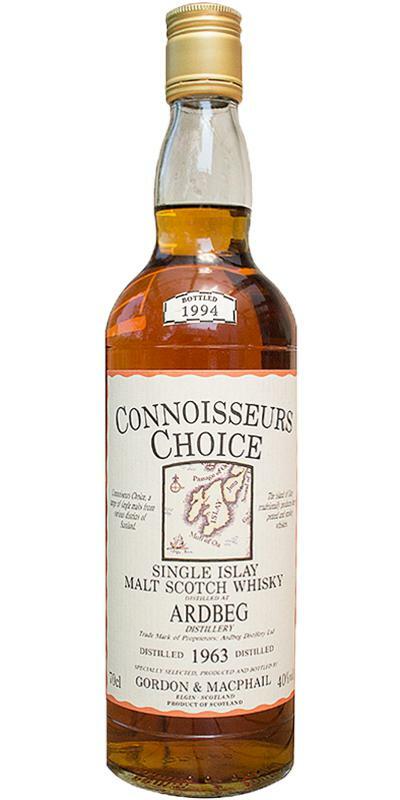 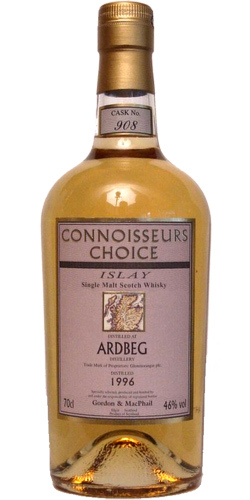 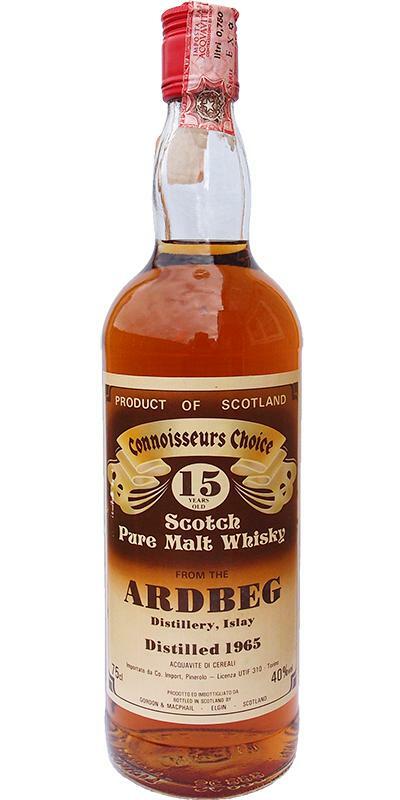 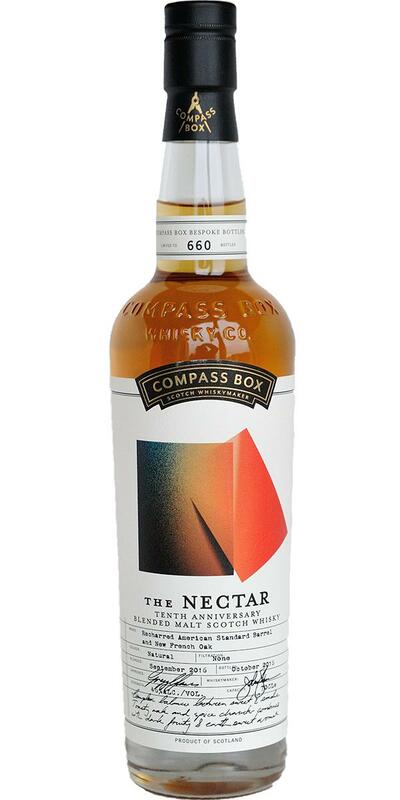 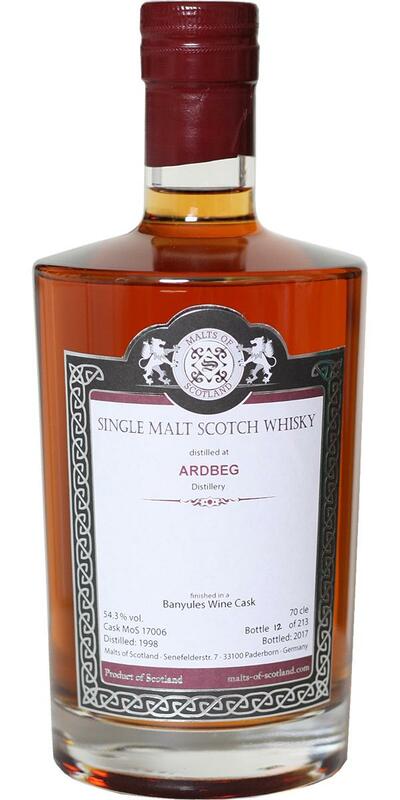 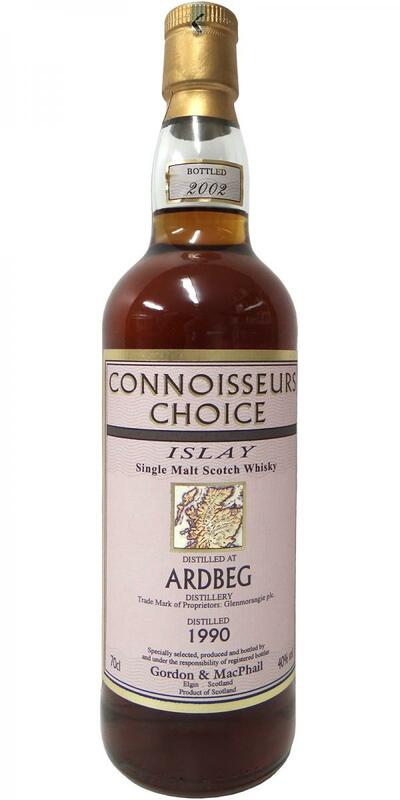 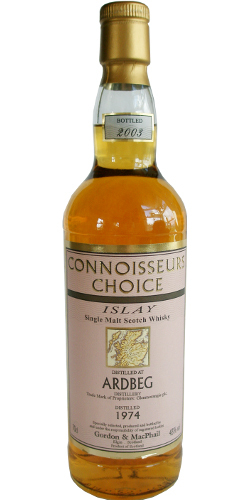 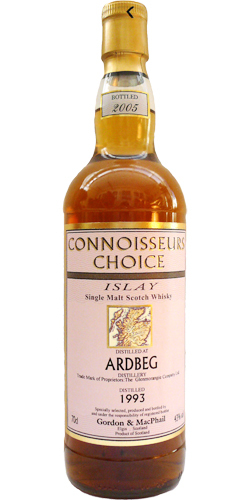 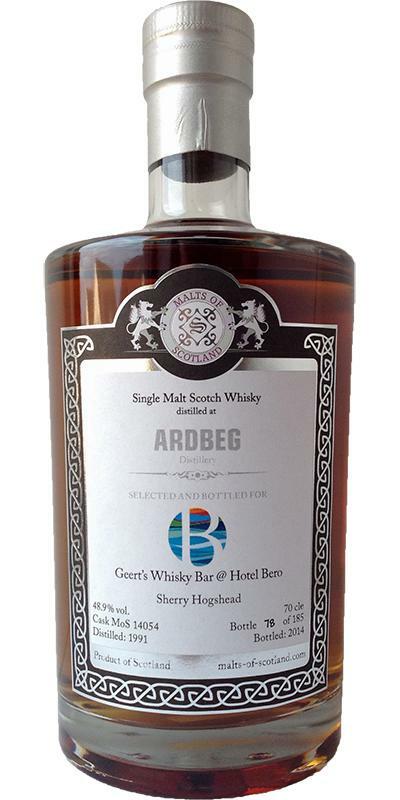 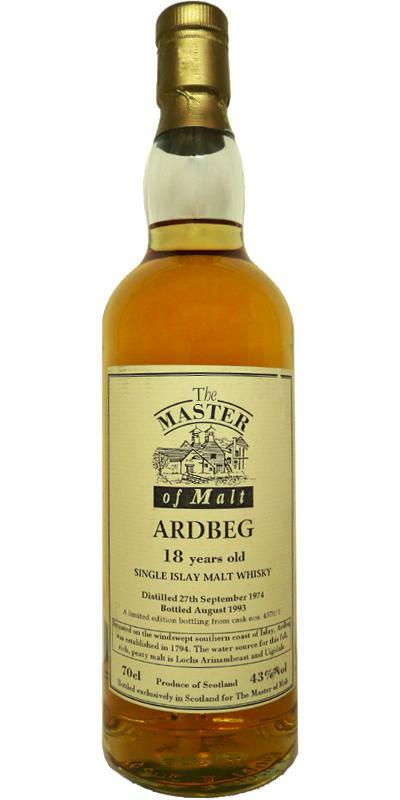 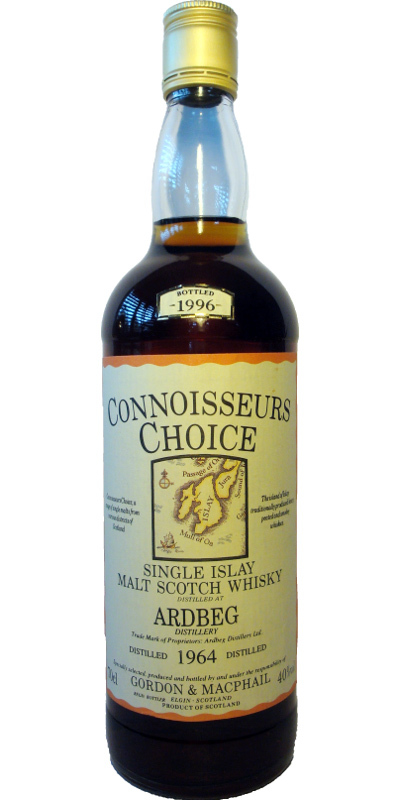 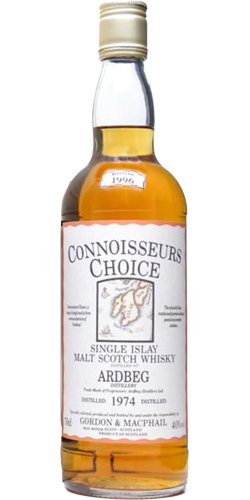 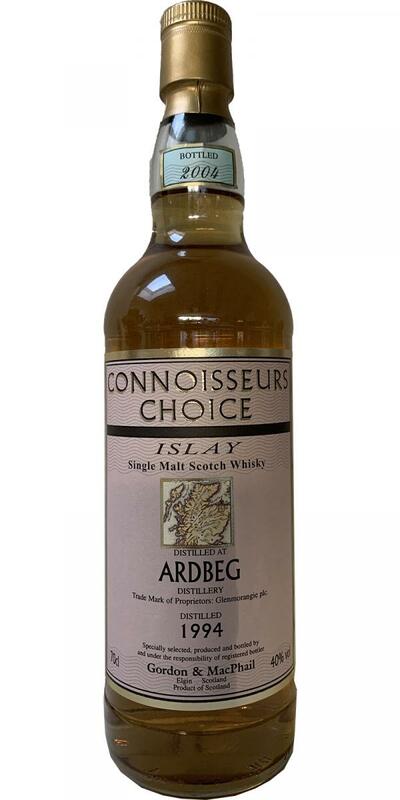 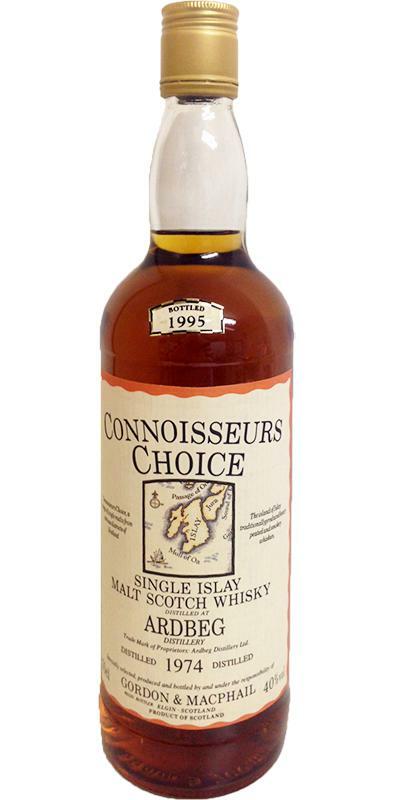 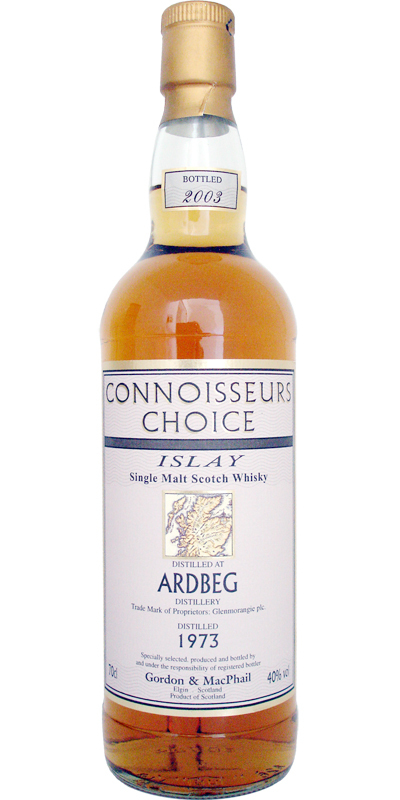 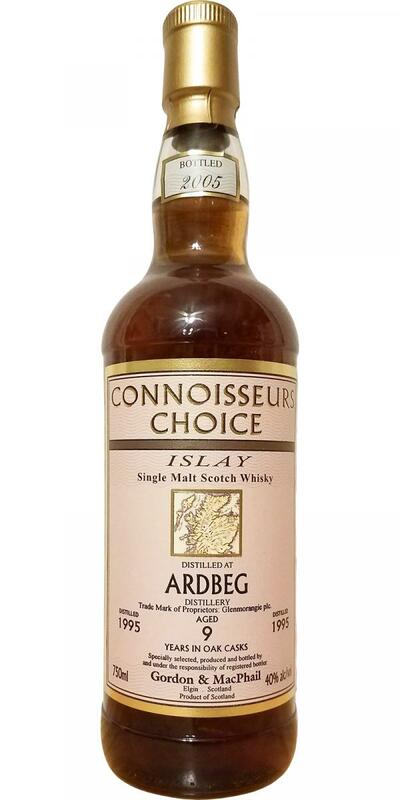 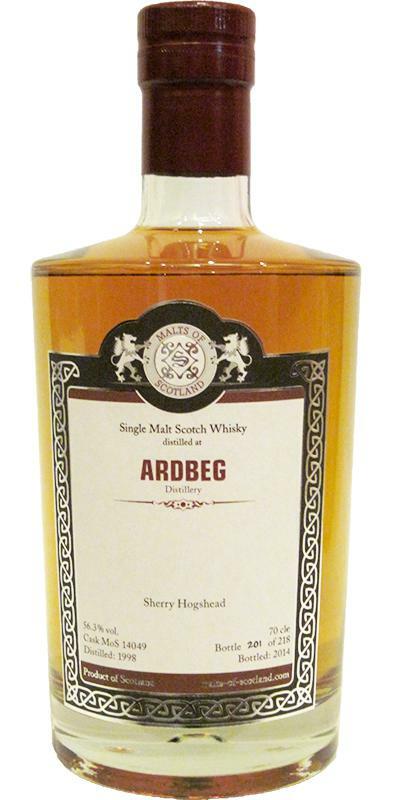 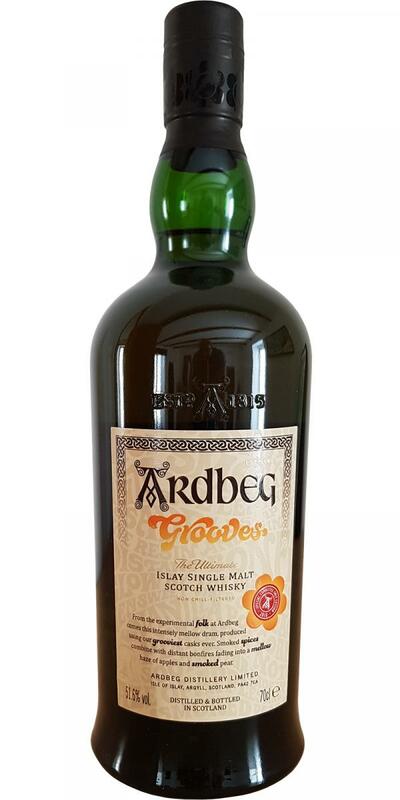 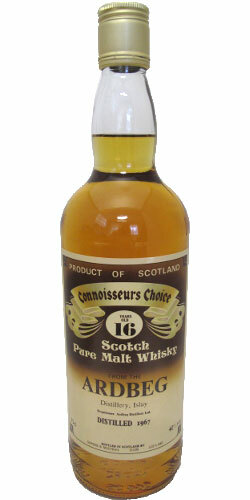 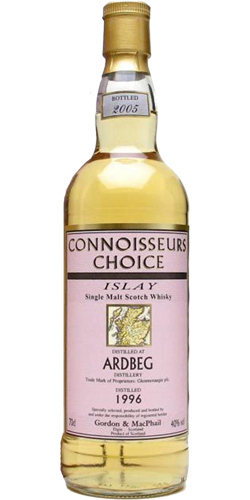 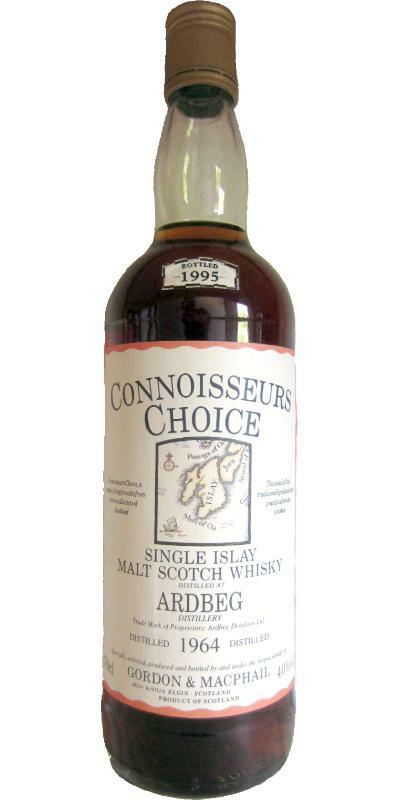 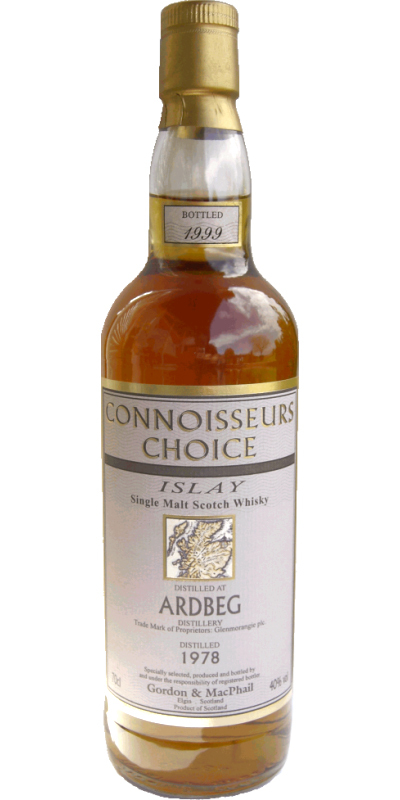 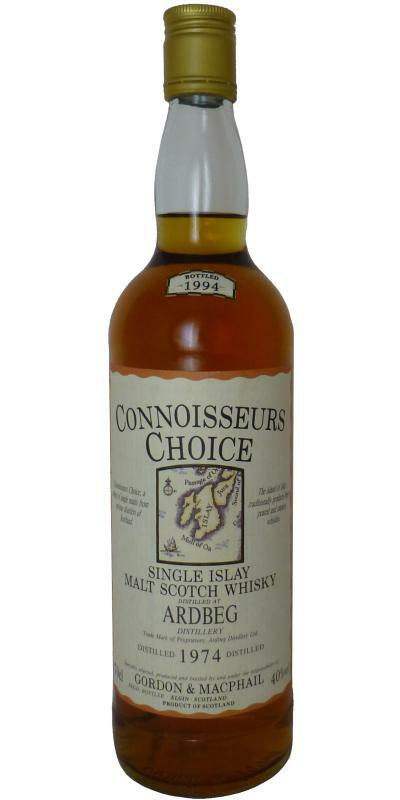 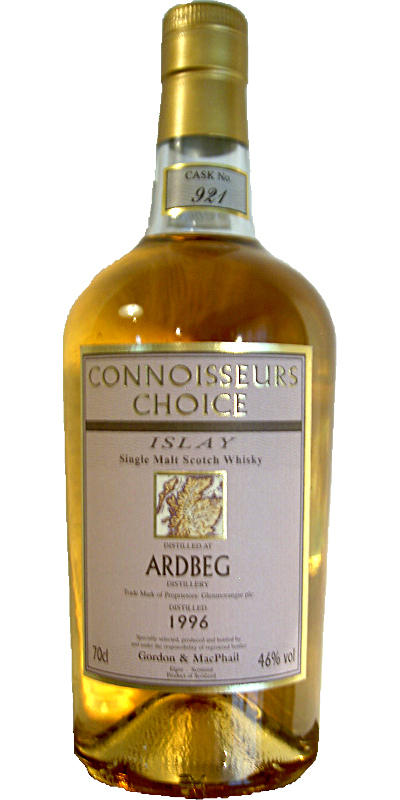 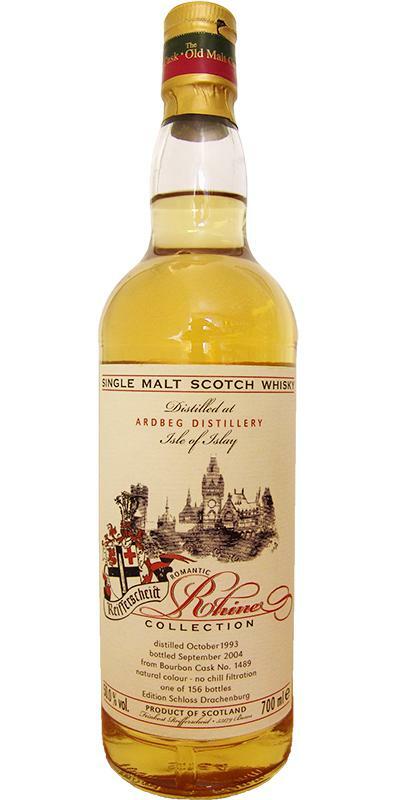 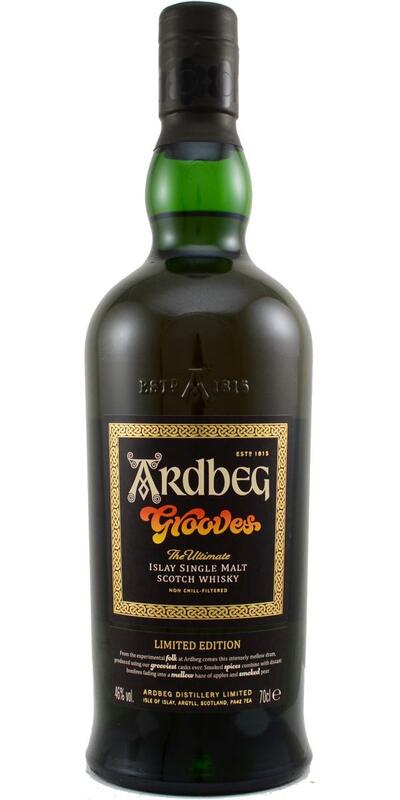 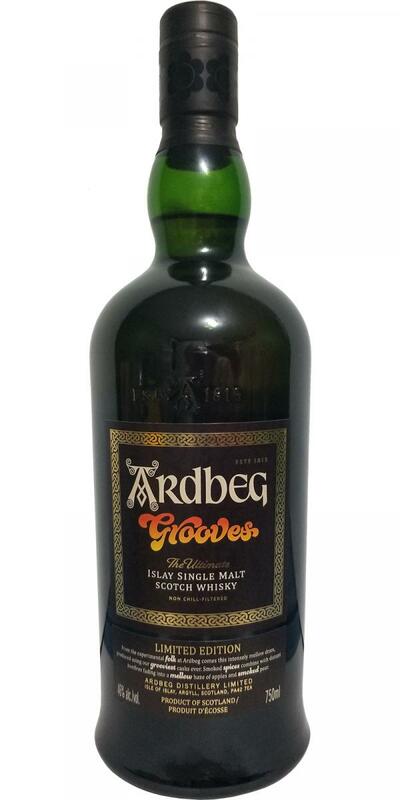 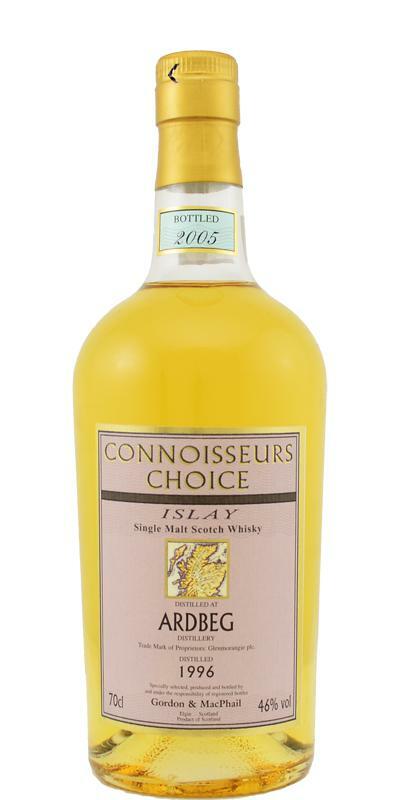 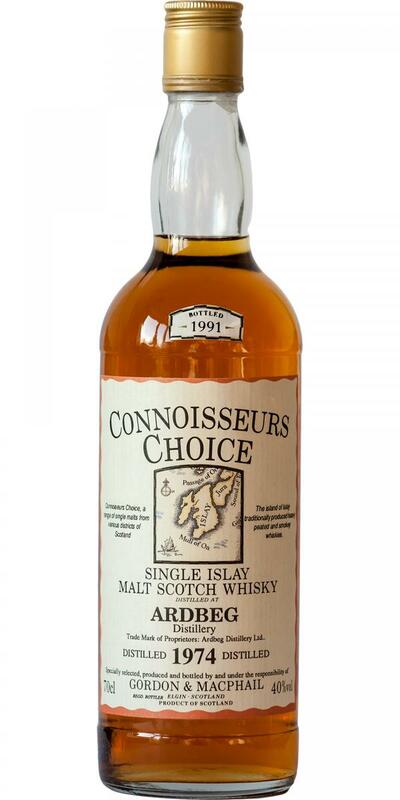 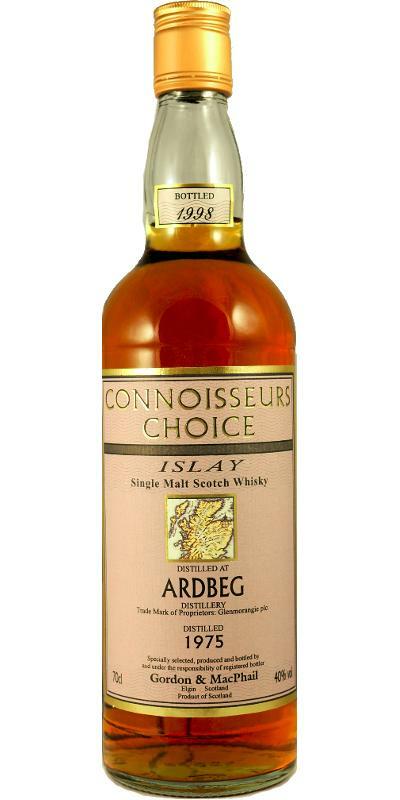 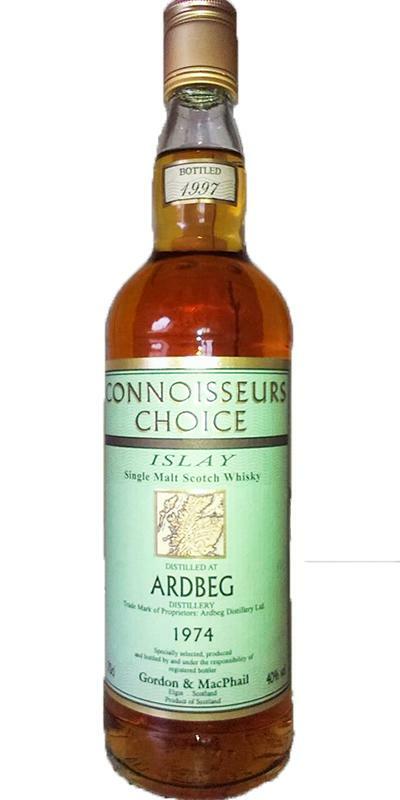 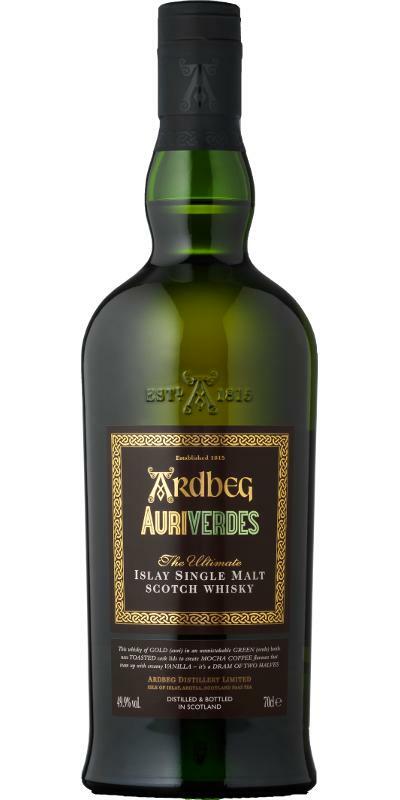 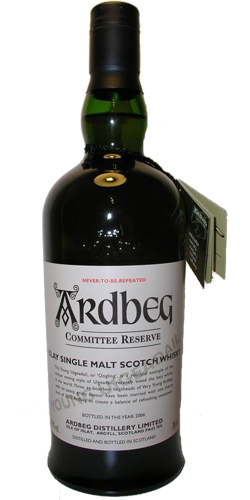 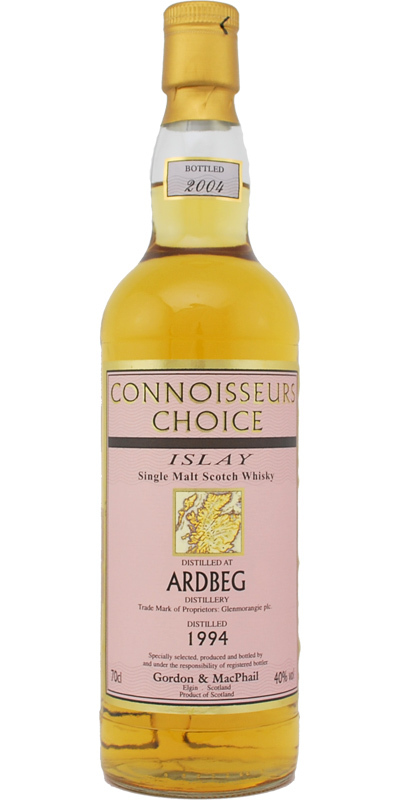 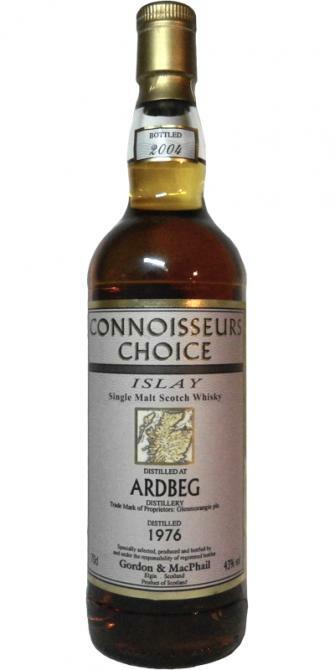 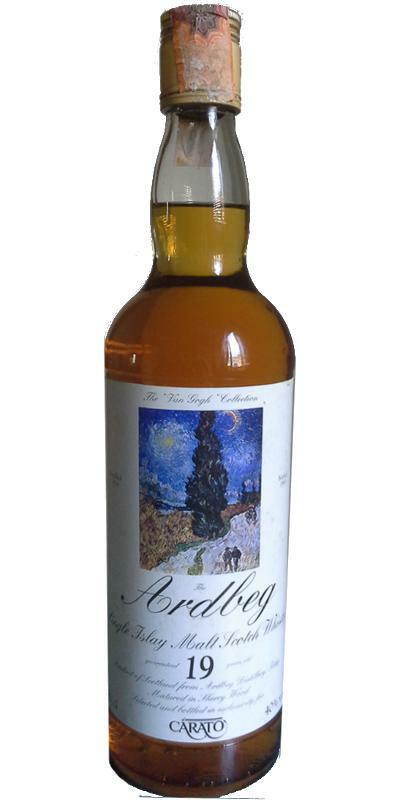 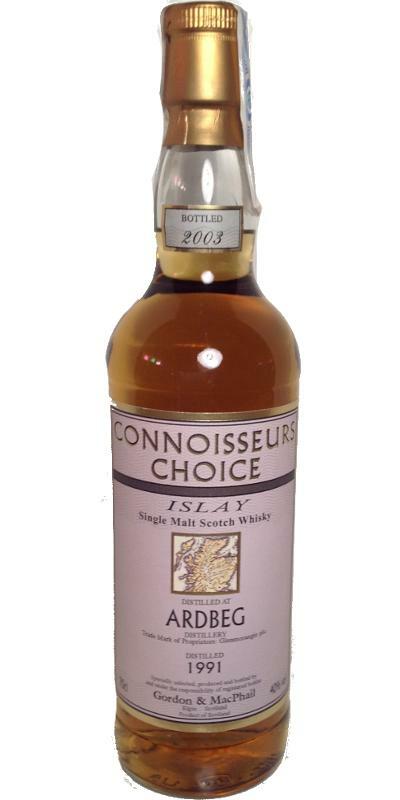 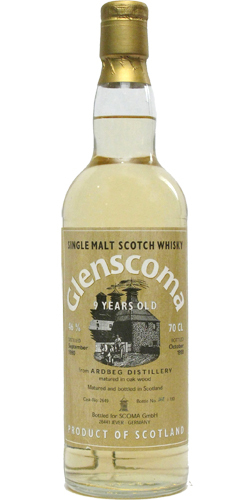 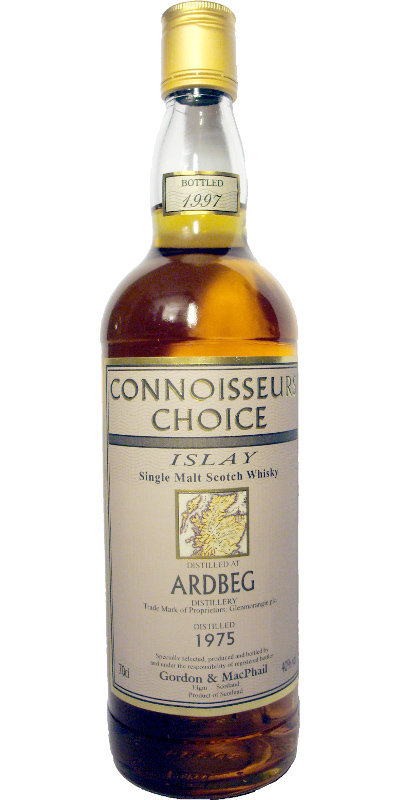 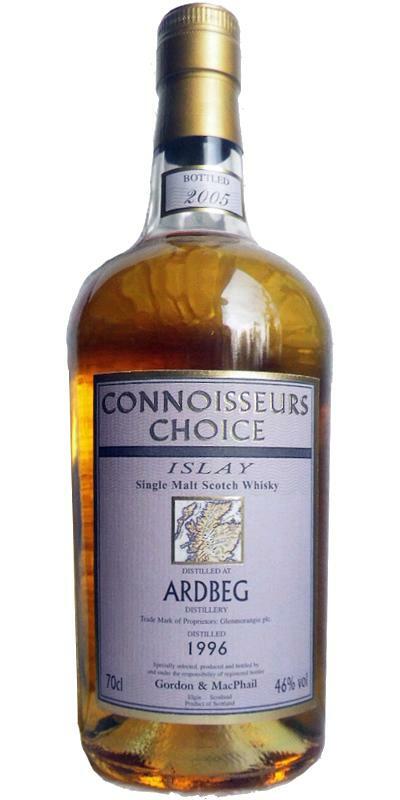 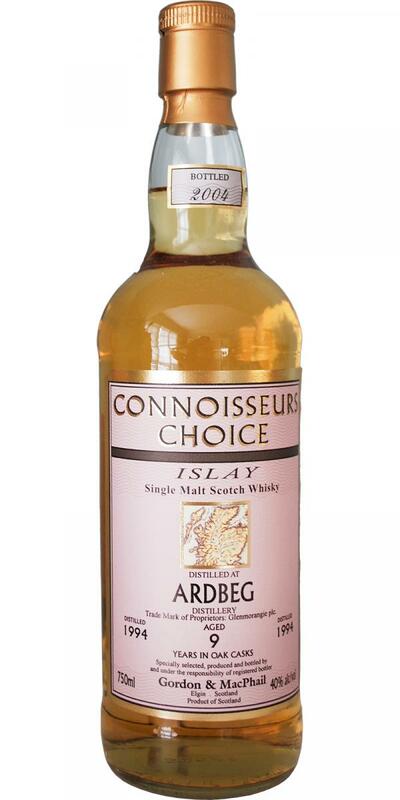 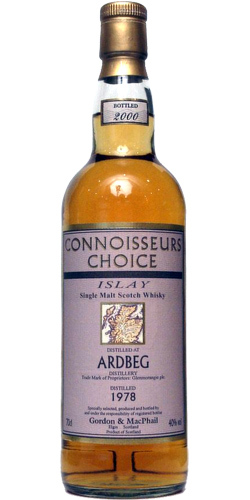 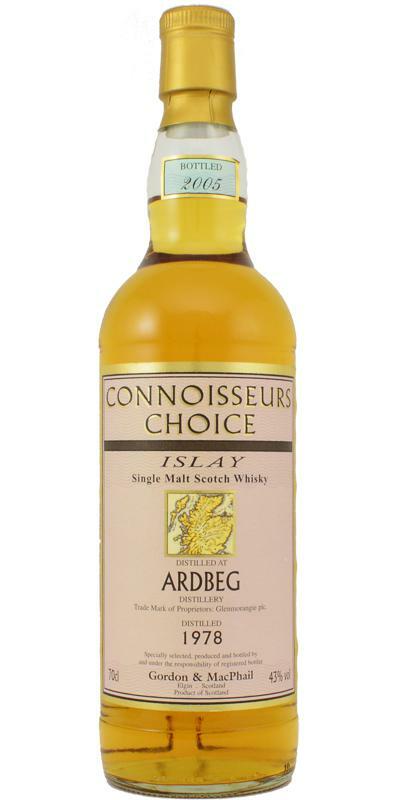 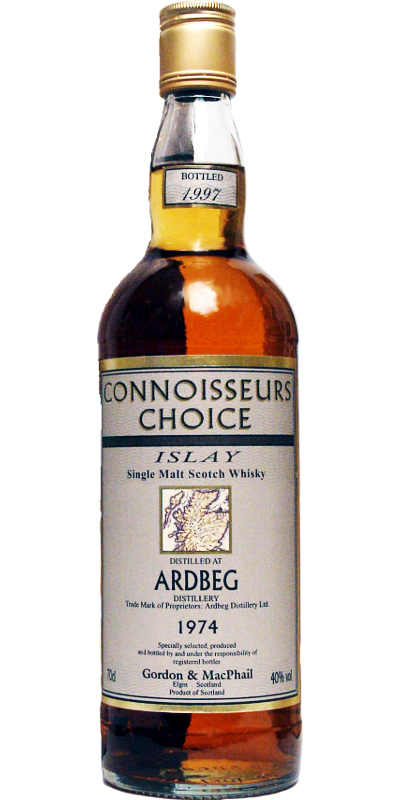 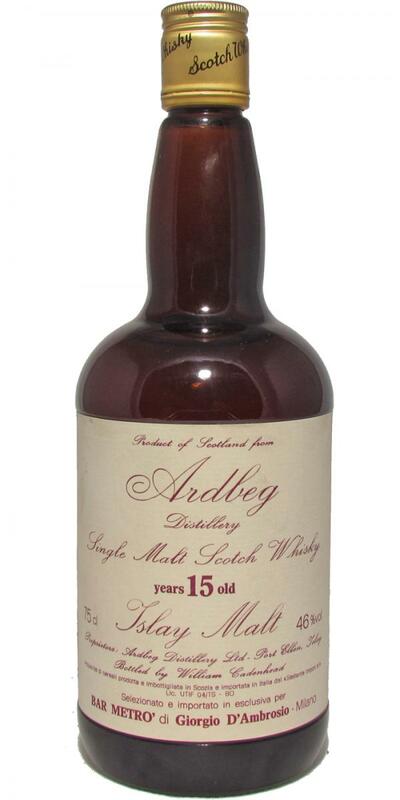 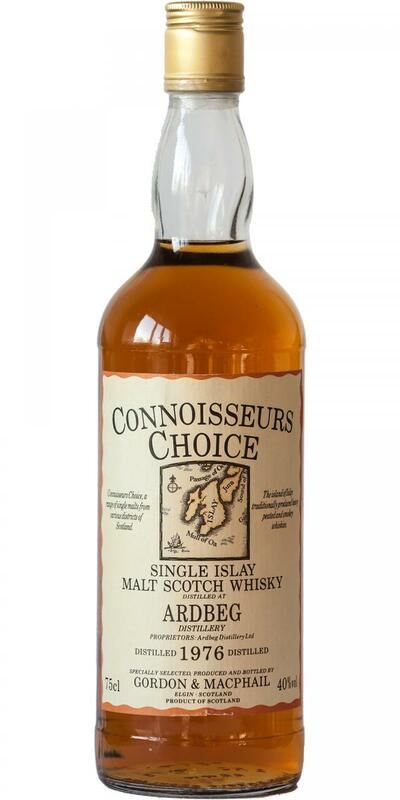 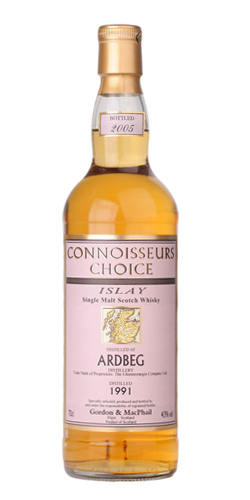 Ardbeg 1965 GM Connoisseurs Choice 16 40.0 % Vol. 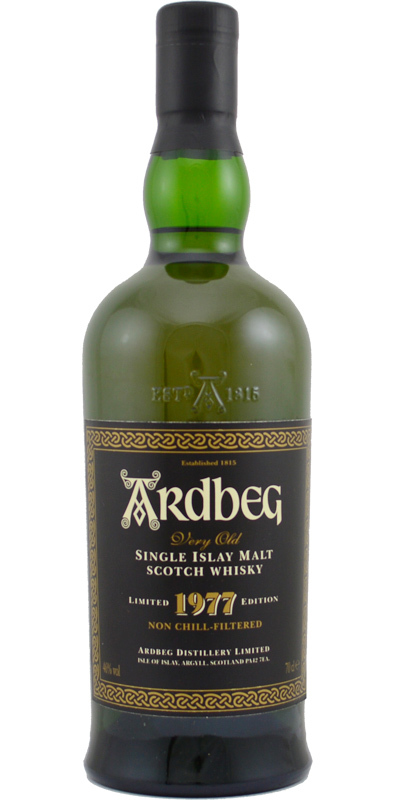 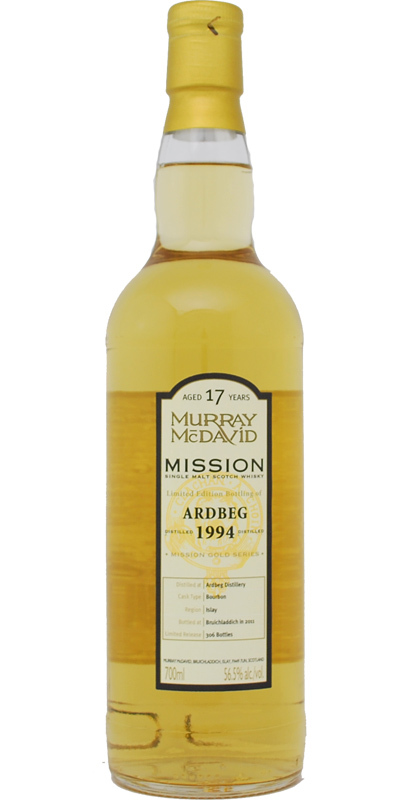 Ardbeg 1972 GM Connoisseurs Choice 14 40.0 % Vol. 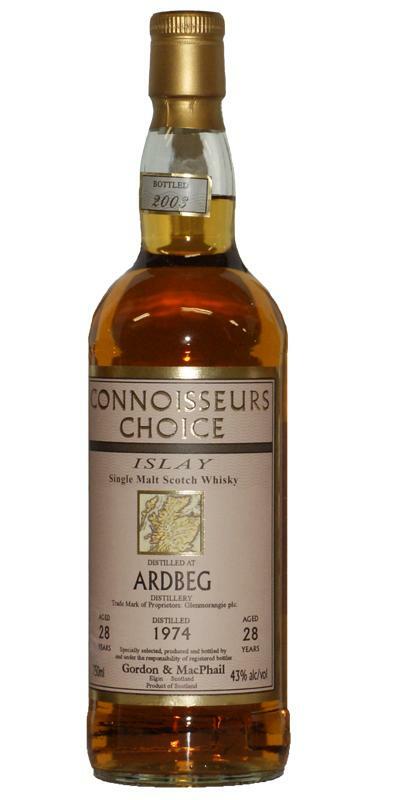 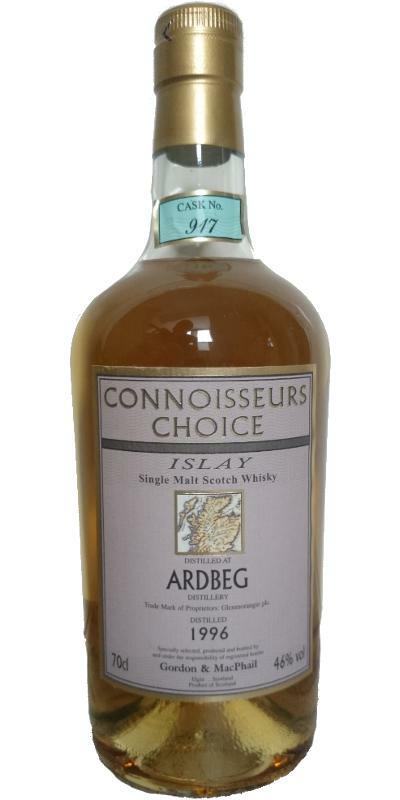 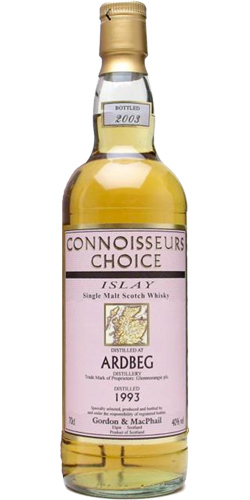 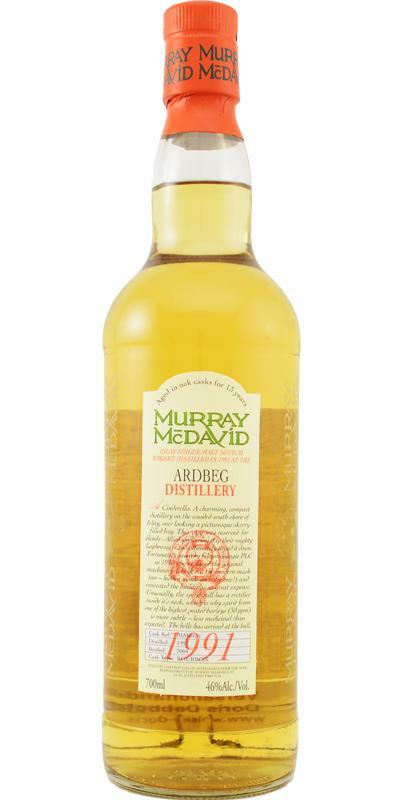 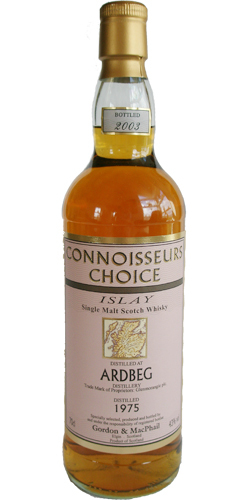 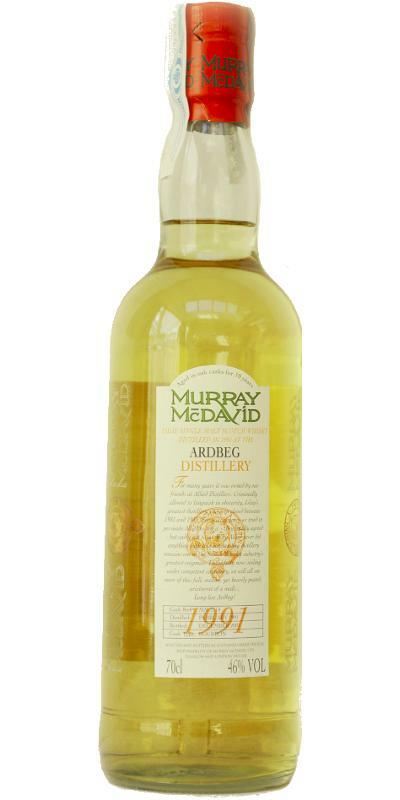 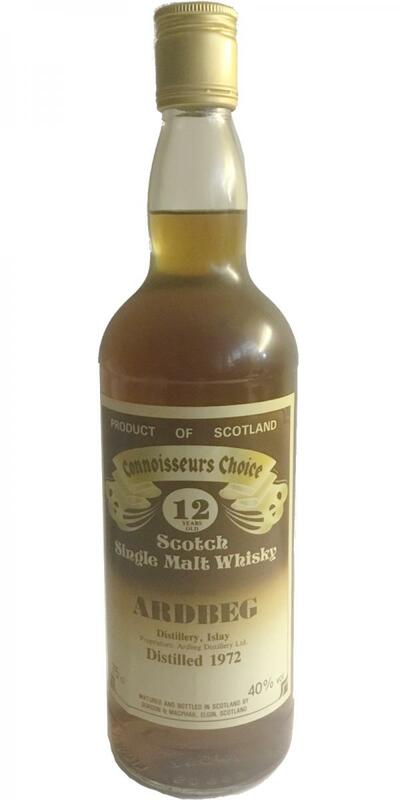 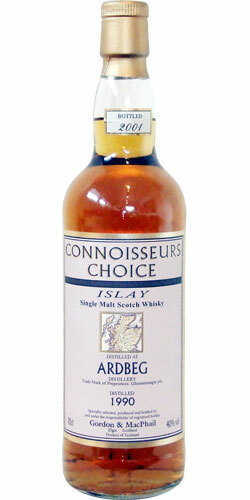 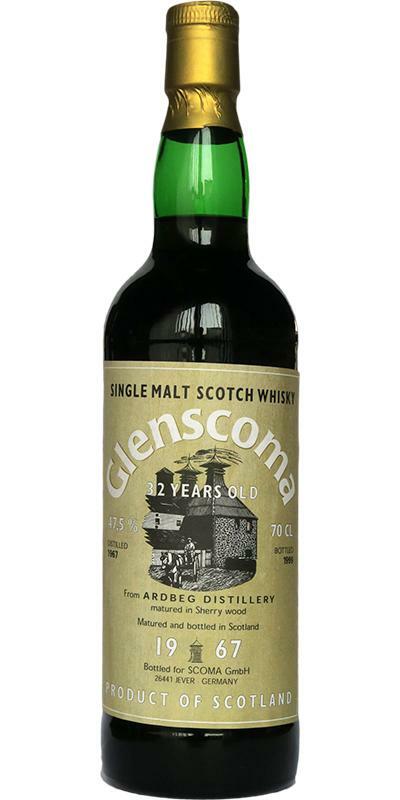 Ardbeg 1972 GM Connoisseurs Choice 12 40.0 % Vol. 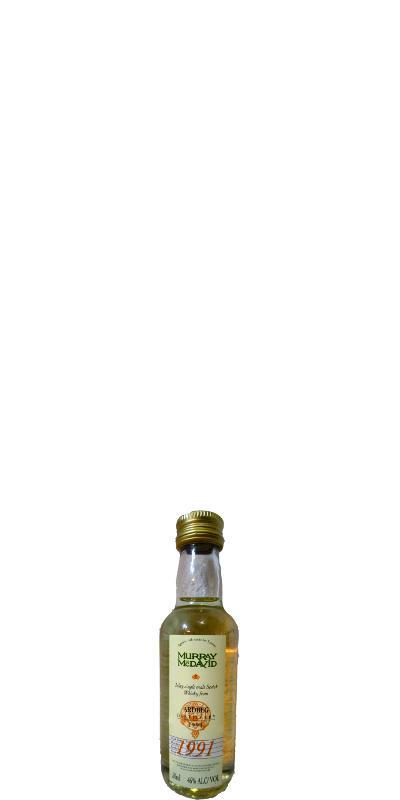 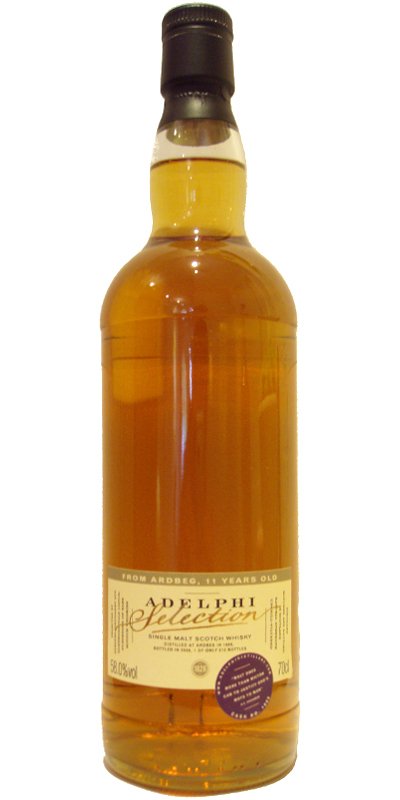 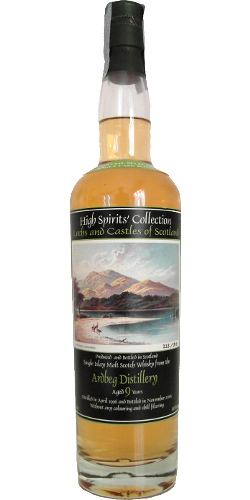 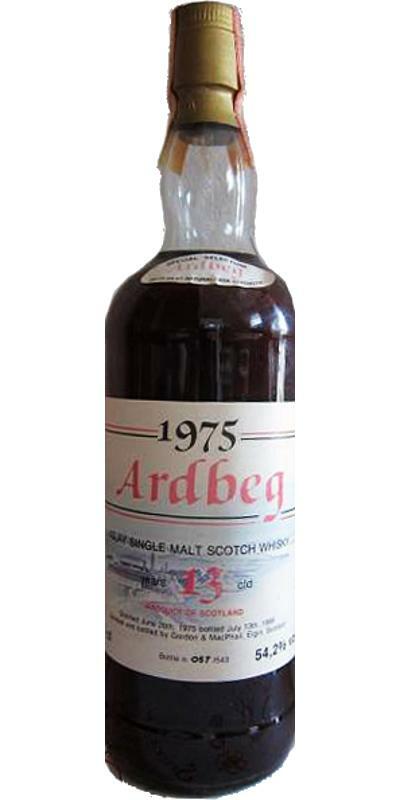 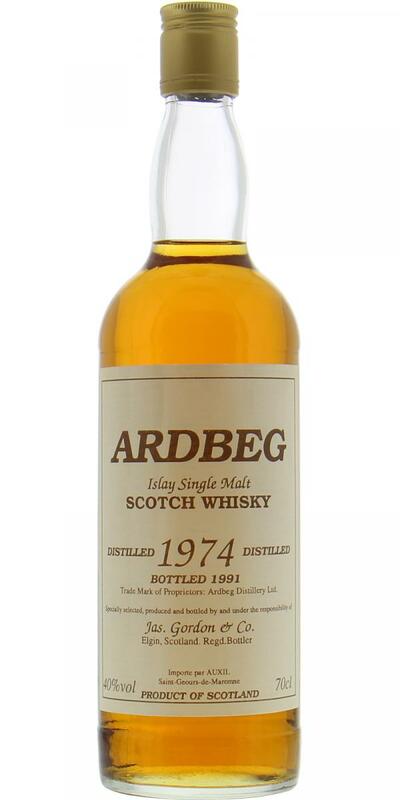 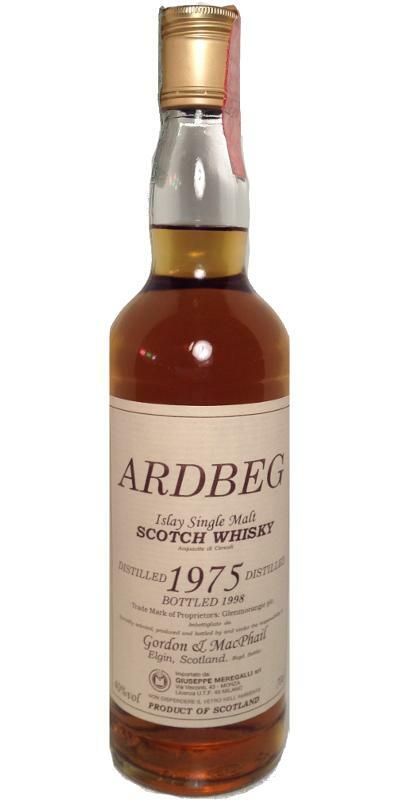 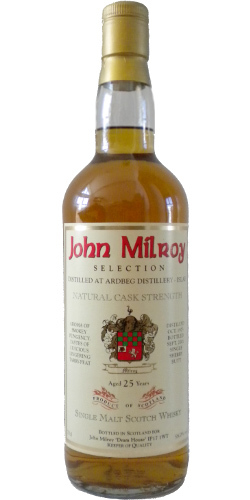 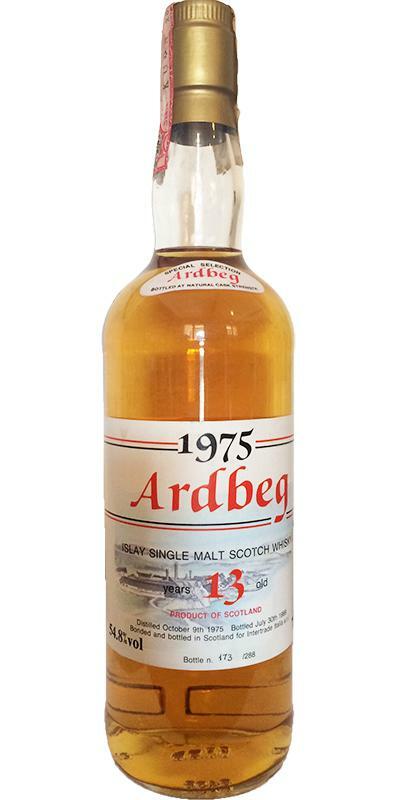 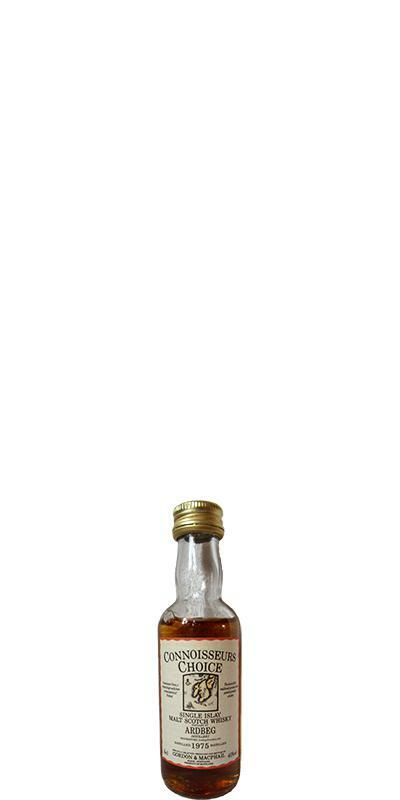 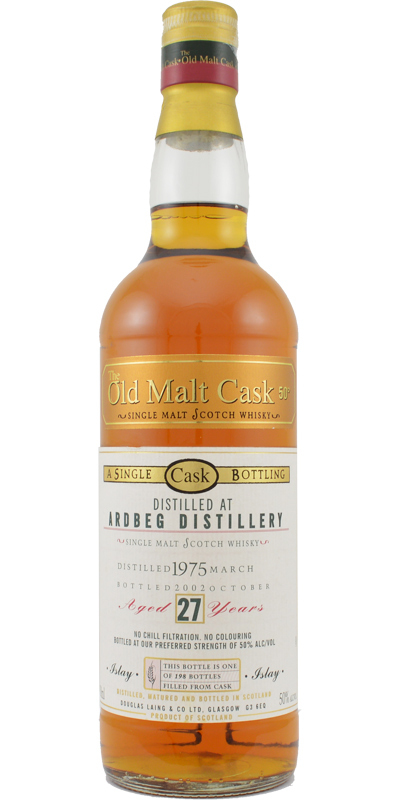 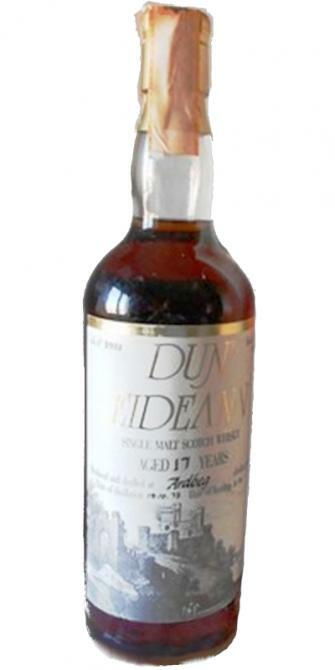 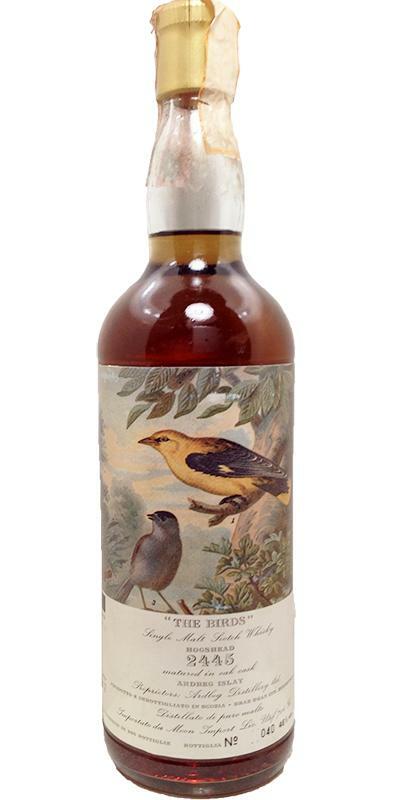 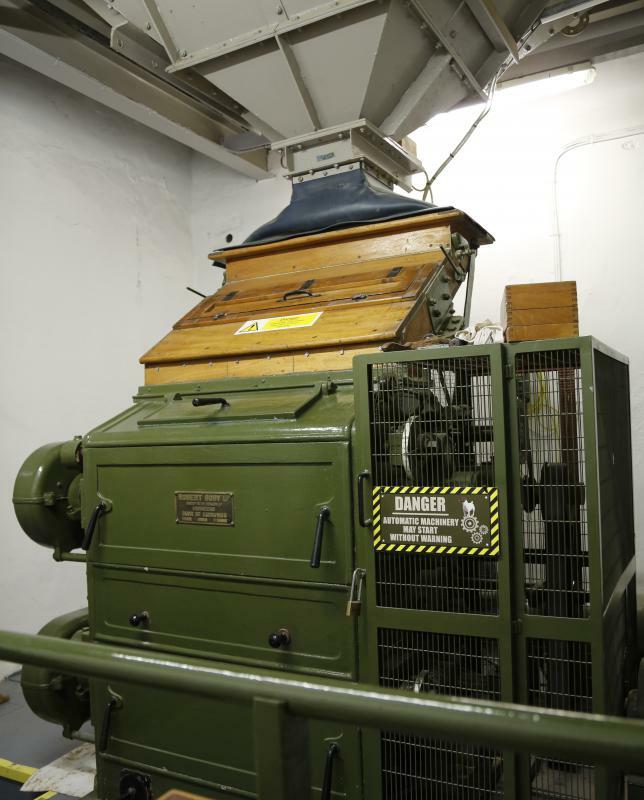 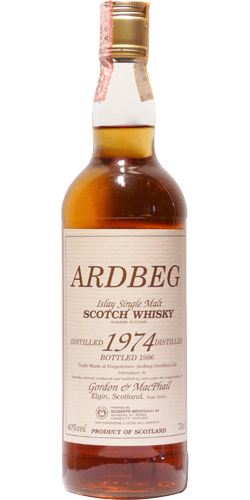 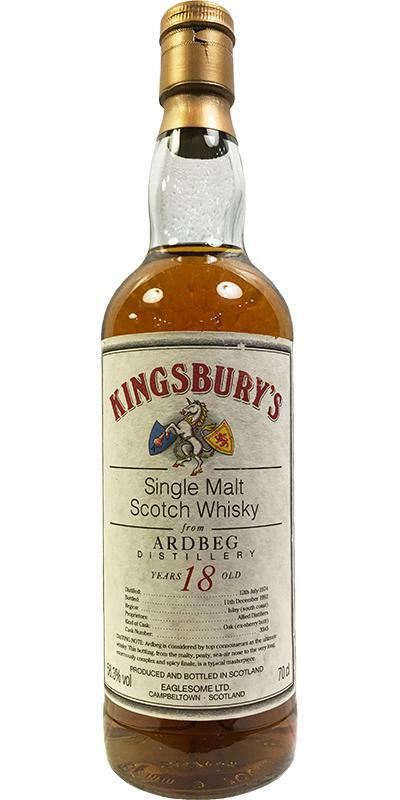 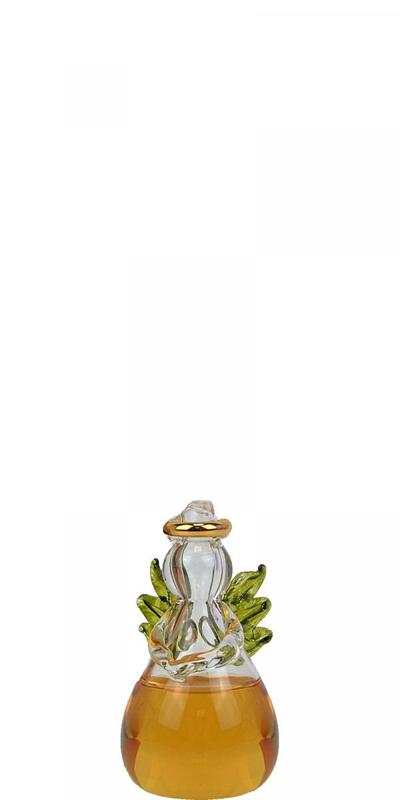 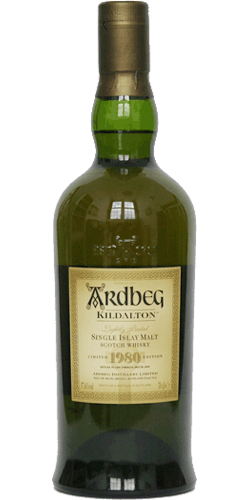 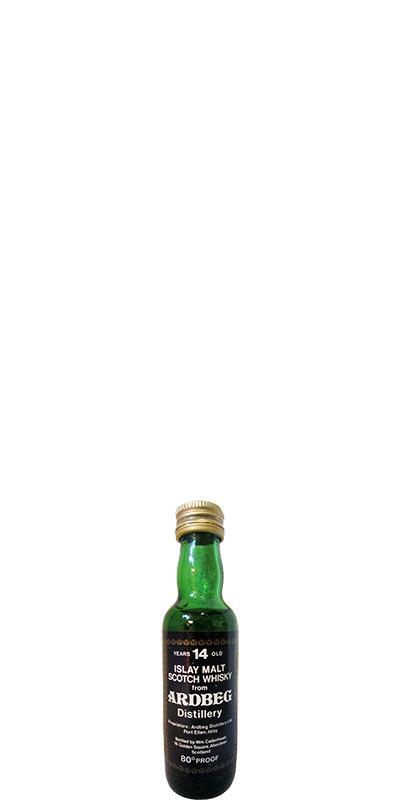 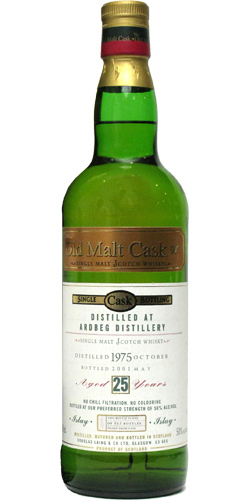 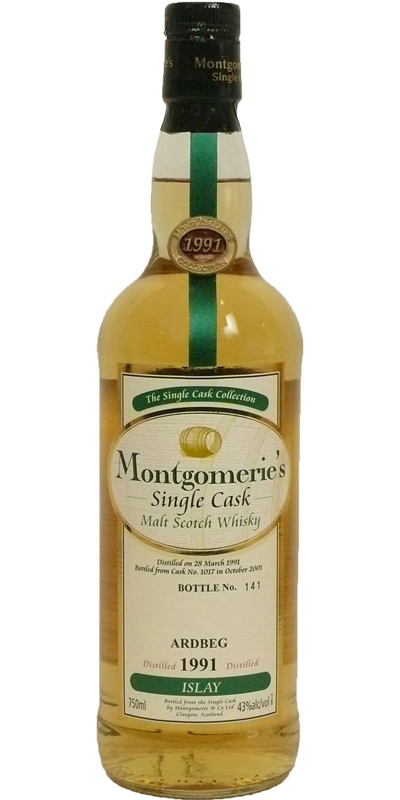 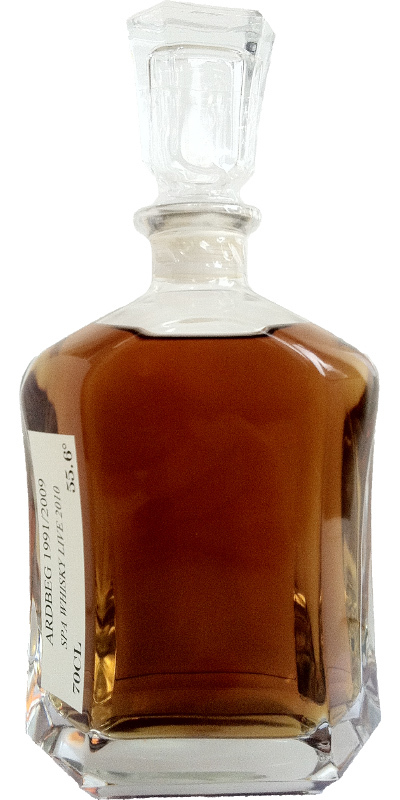 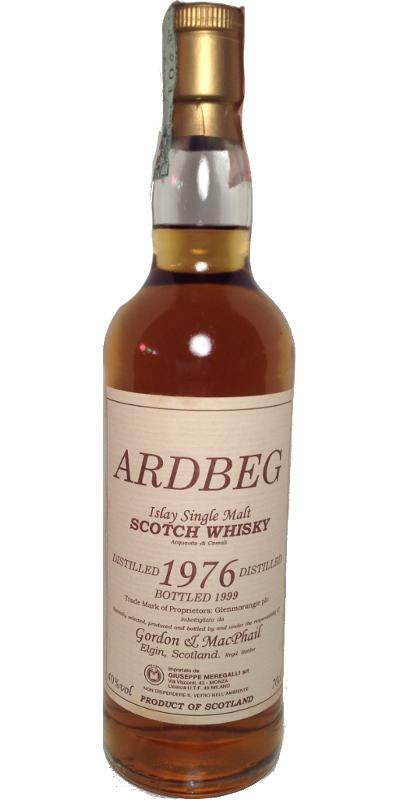 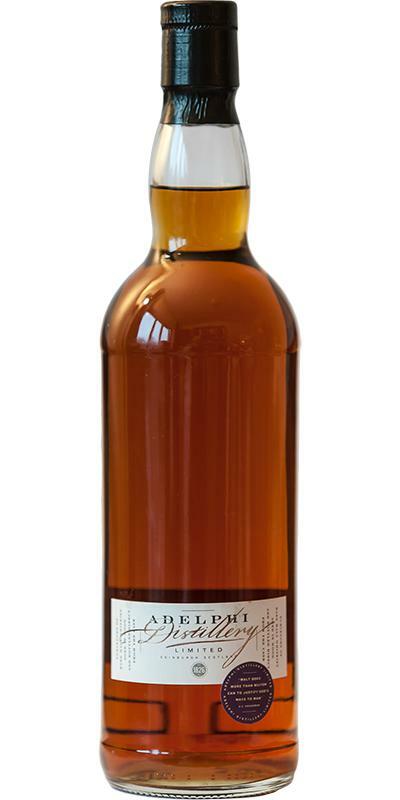 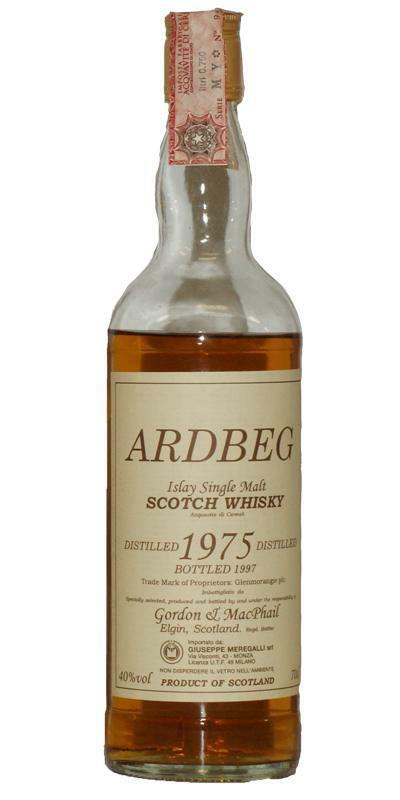 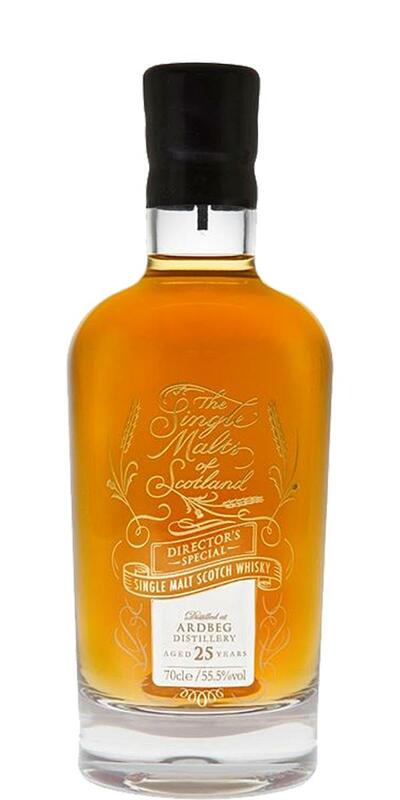 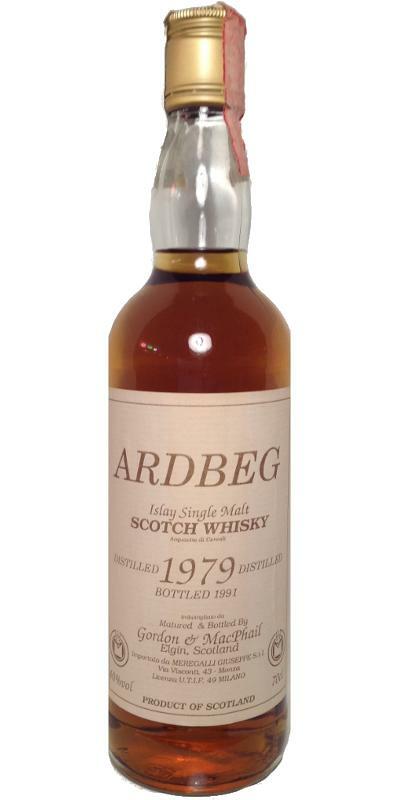 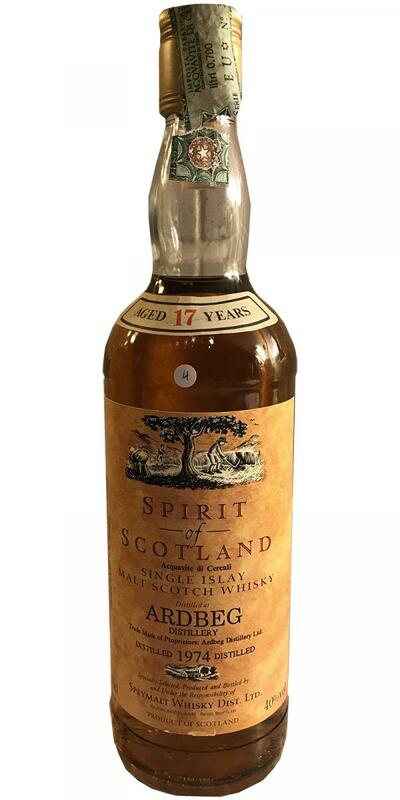 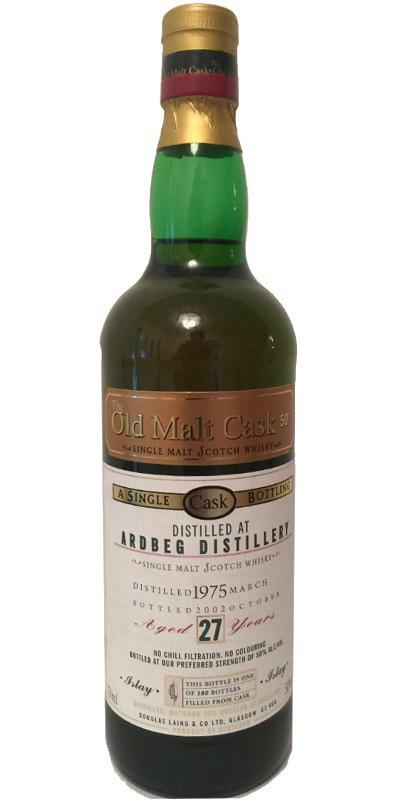 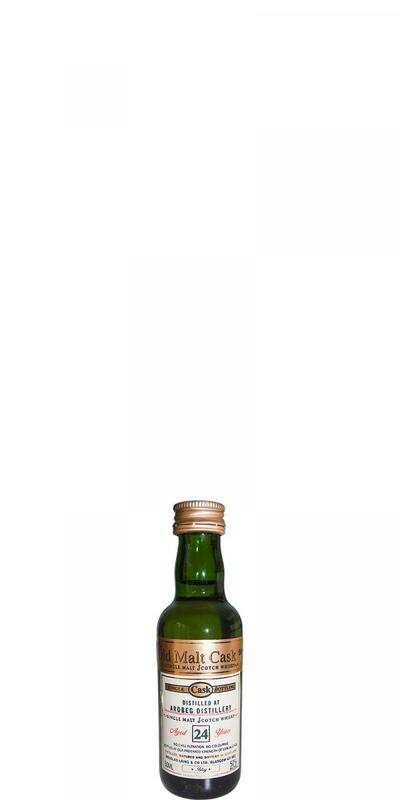 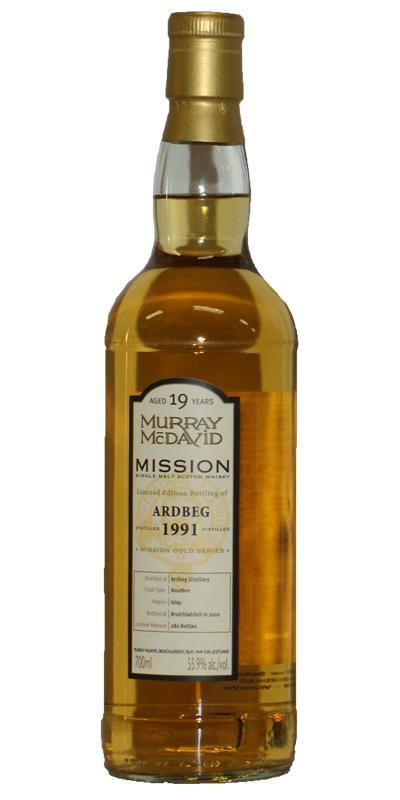 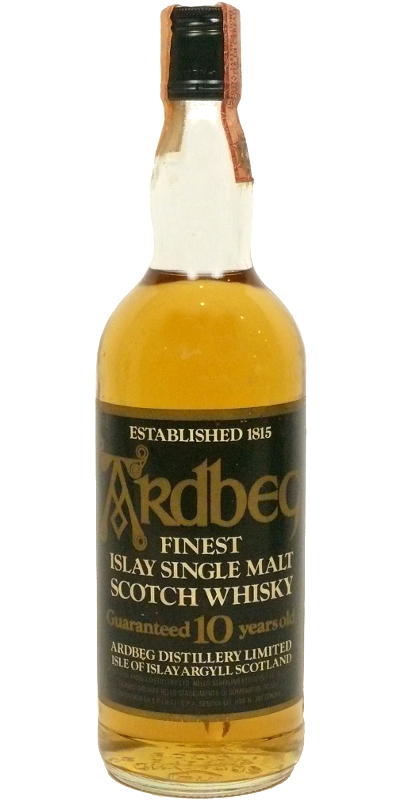 Ardbeg 1975 JM Fine Malt Selection - Miniature 17 55.8 % Vol. 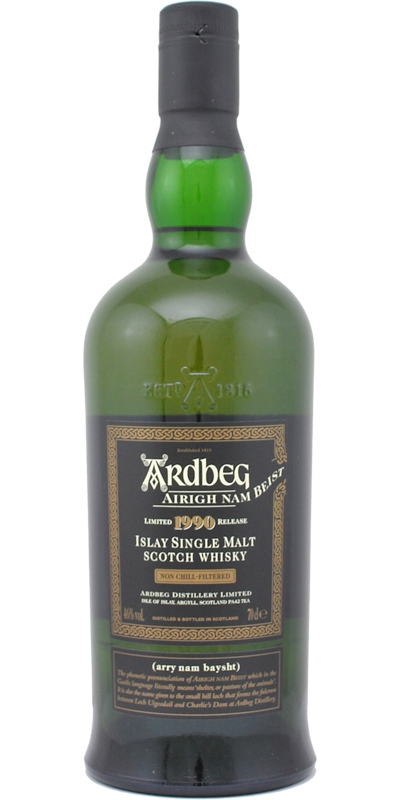 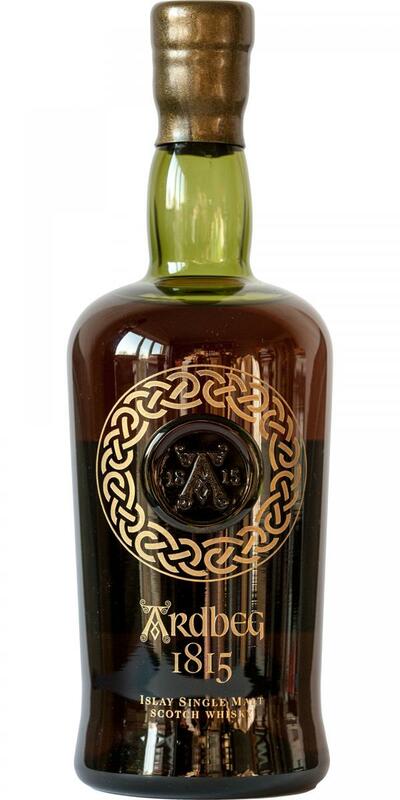 Ardbeg 1904 MG Pure Islay Malt 80.0 % Vol. 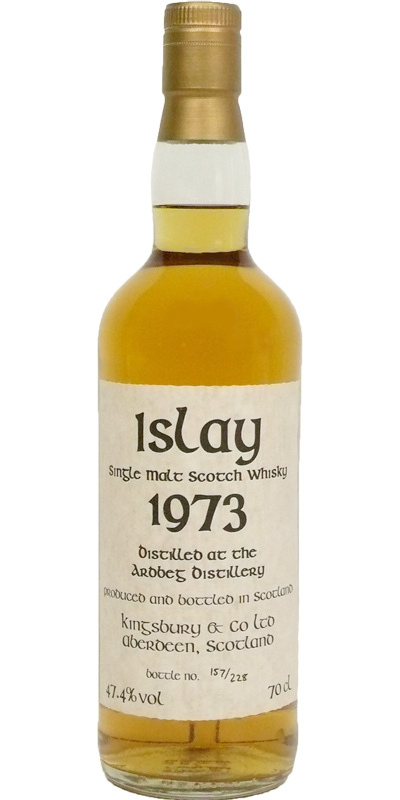 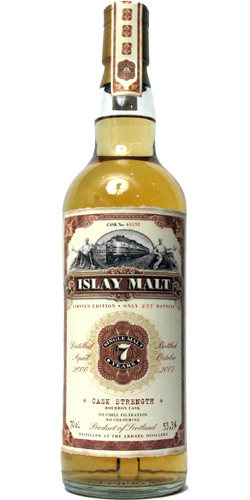 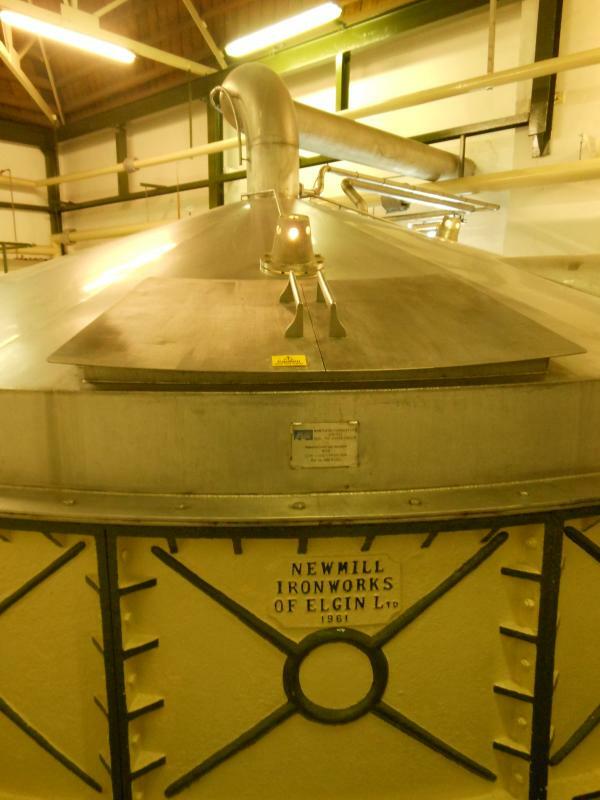 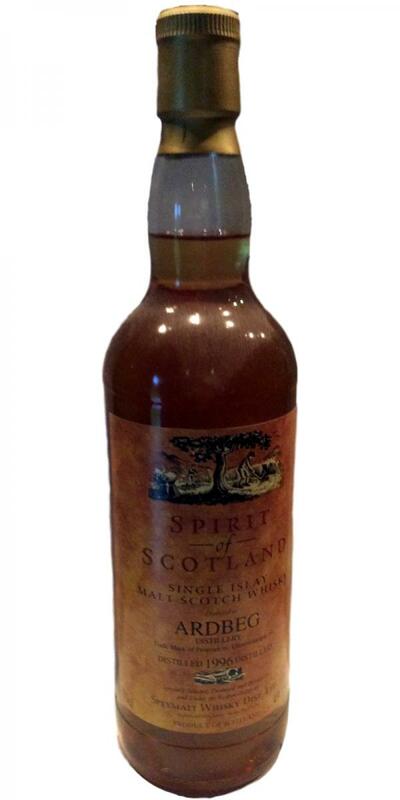 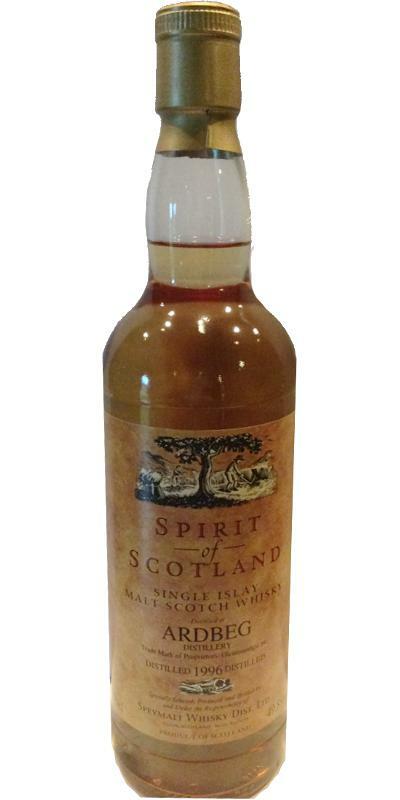 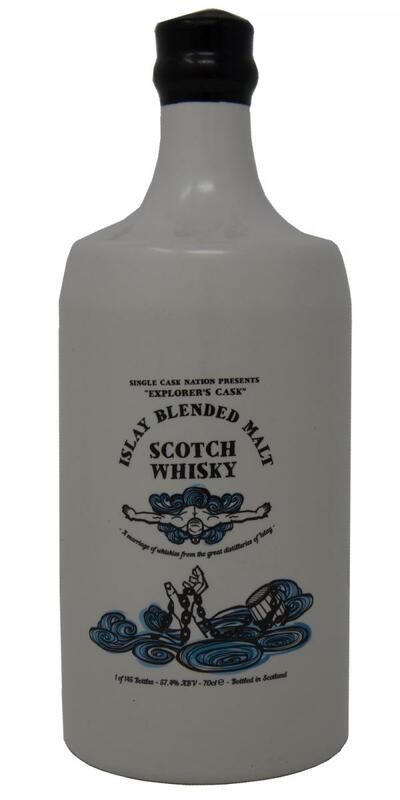 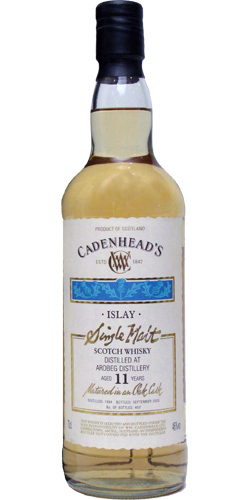 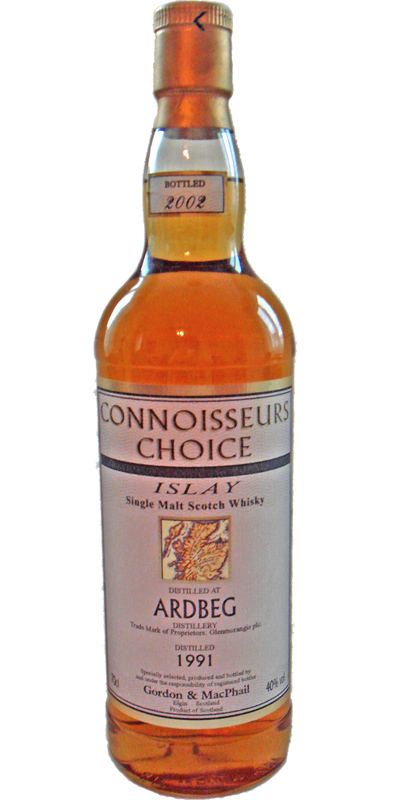 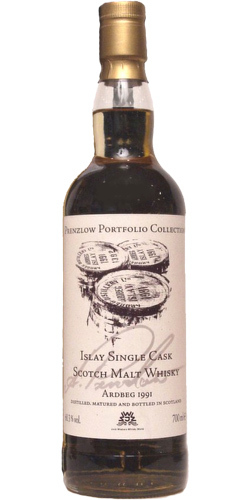 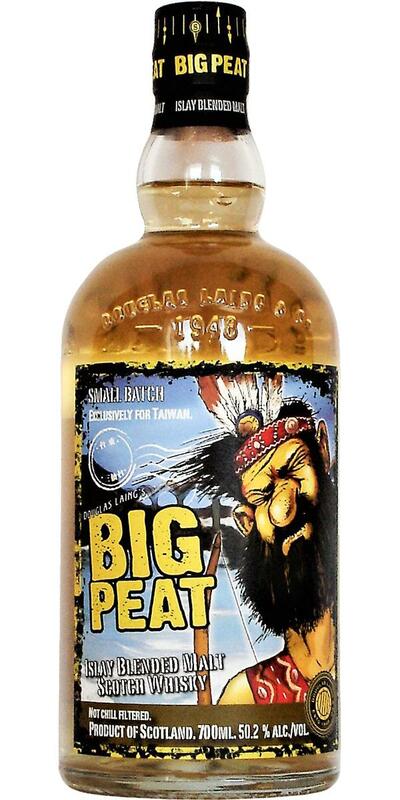 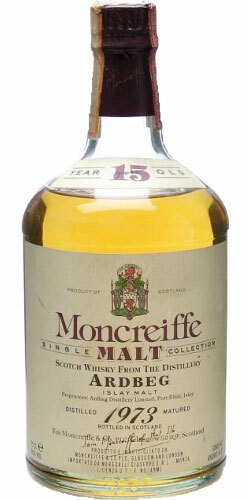 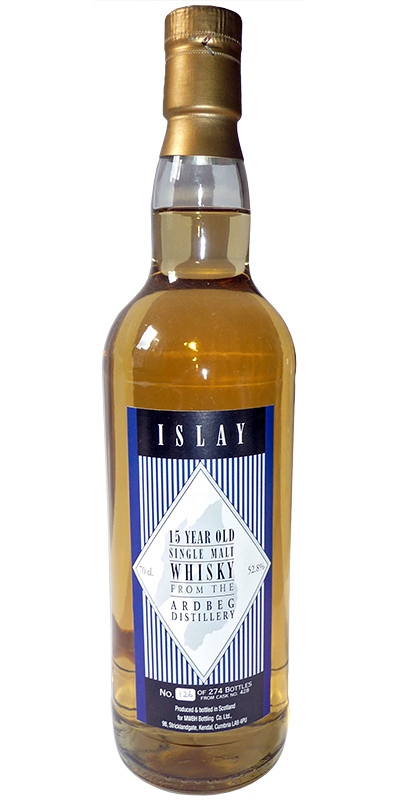 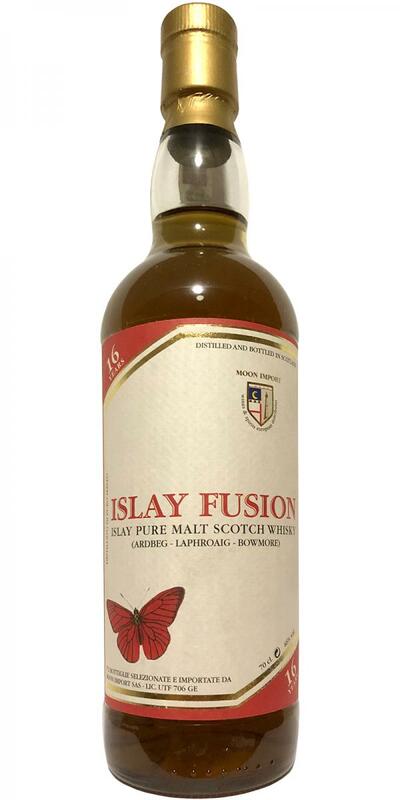 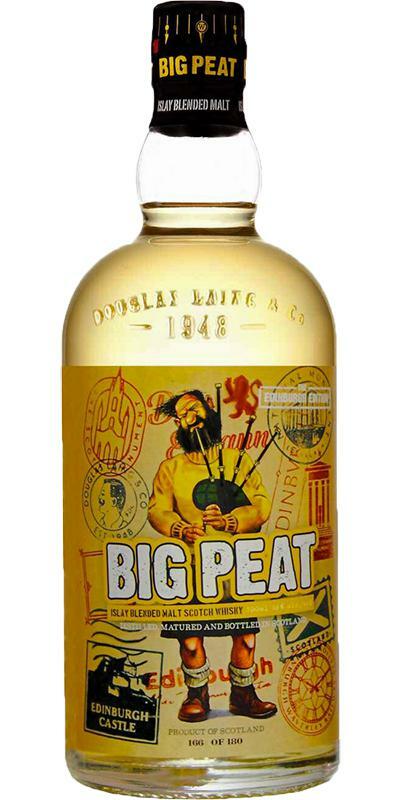 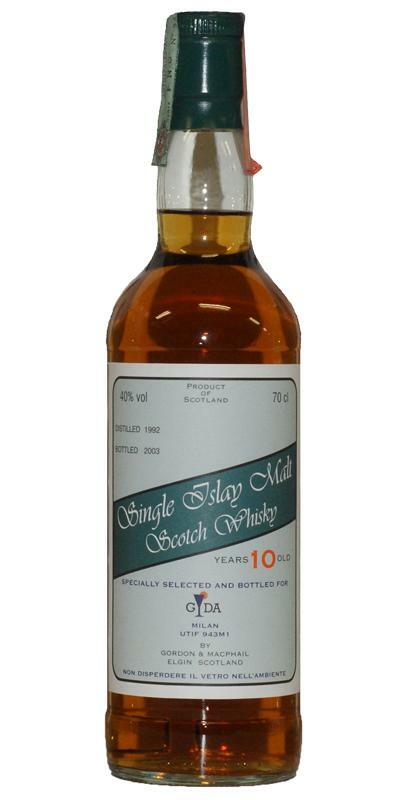 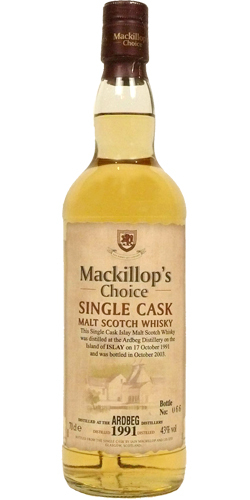 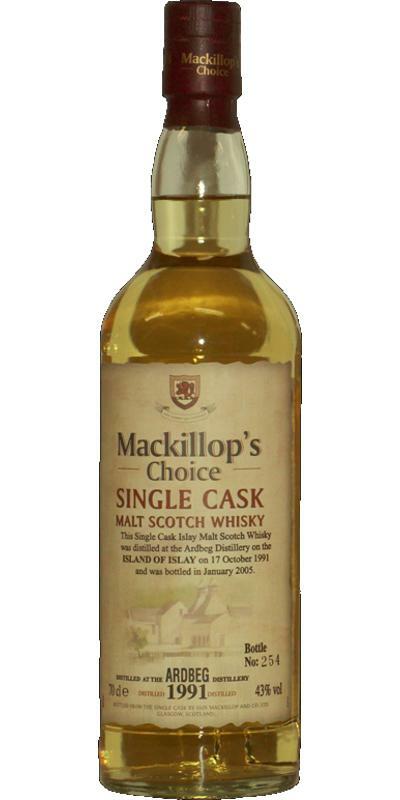 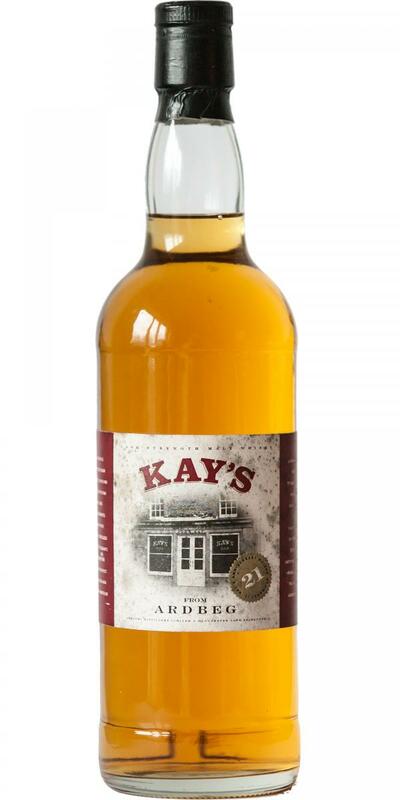 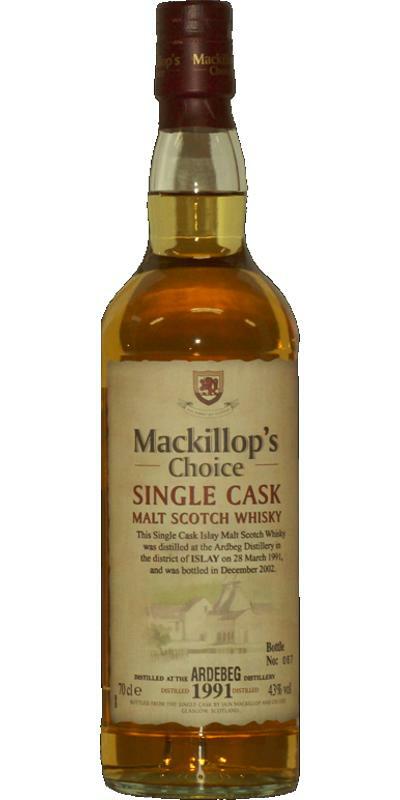 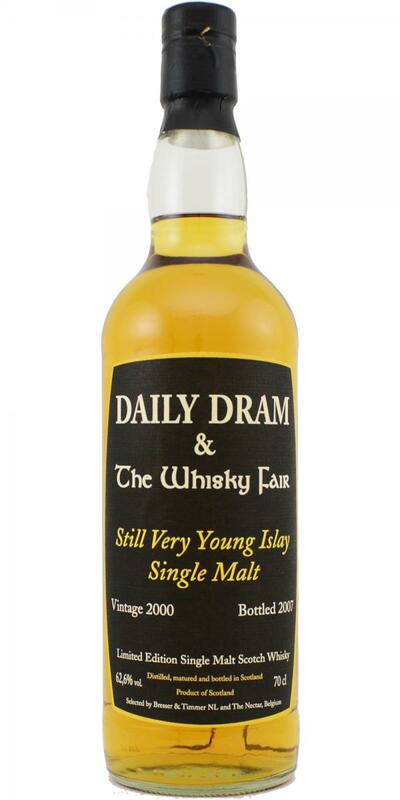 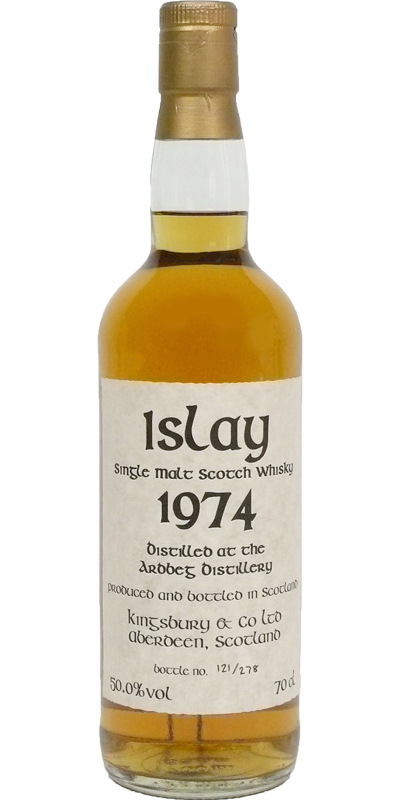 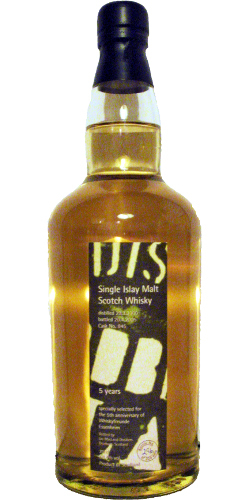 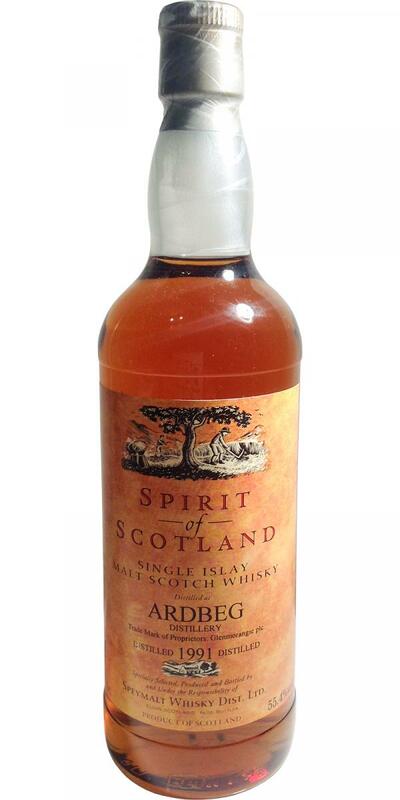 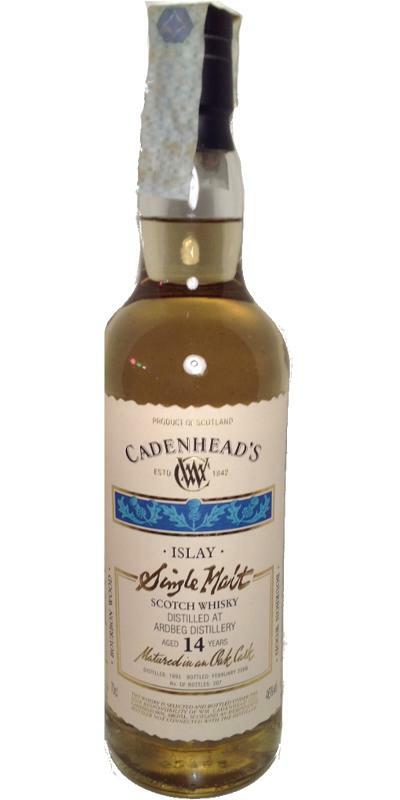 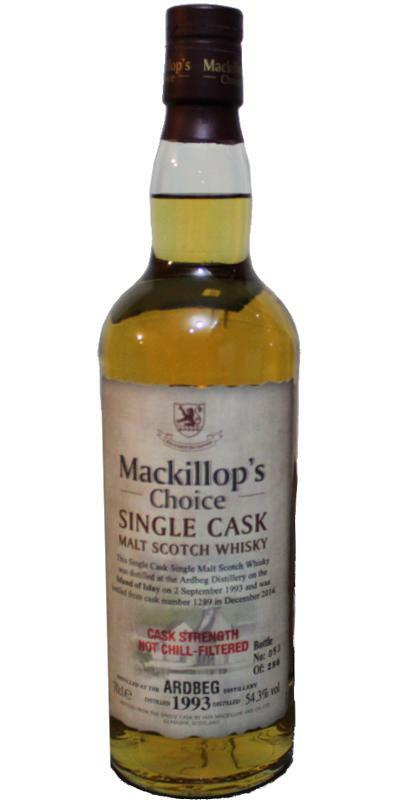 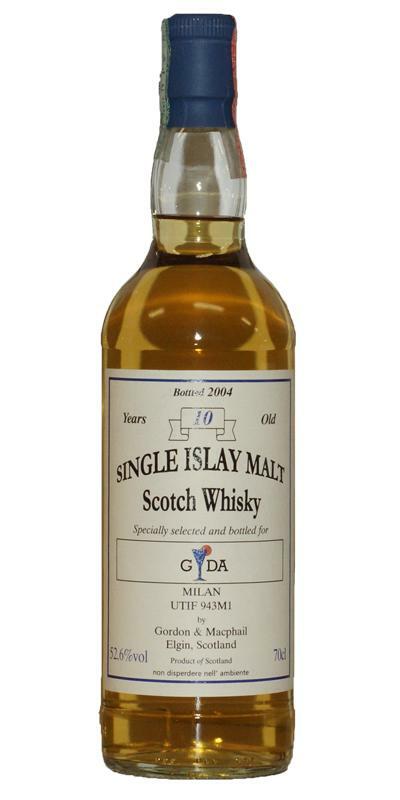 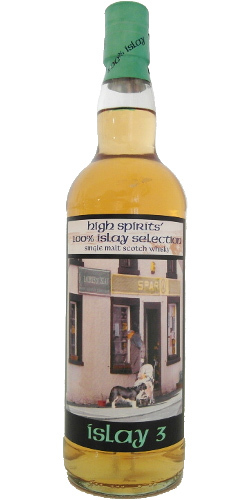 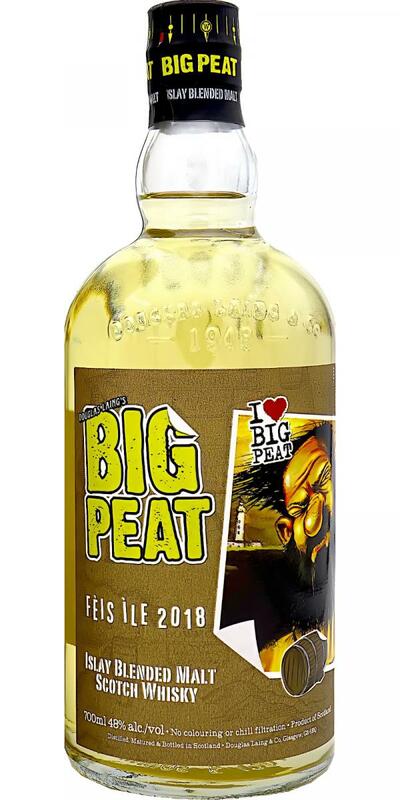 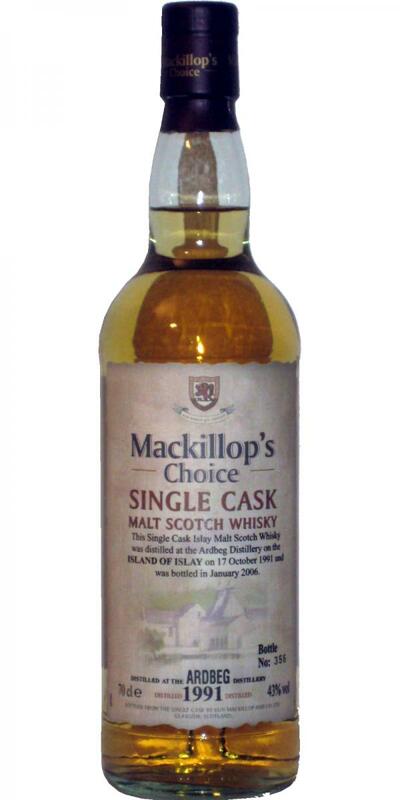 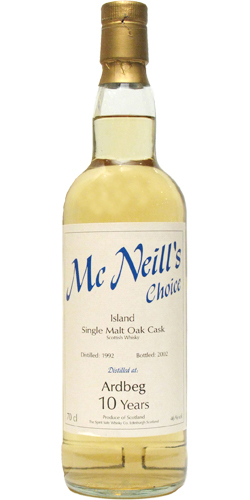 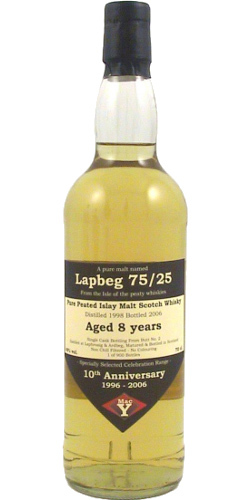 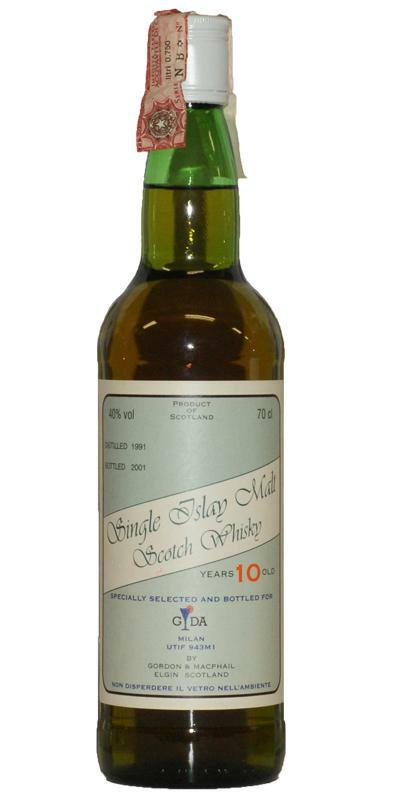 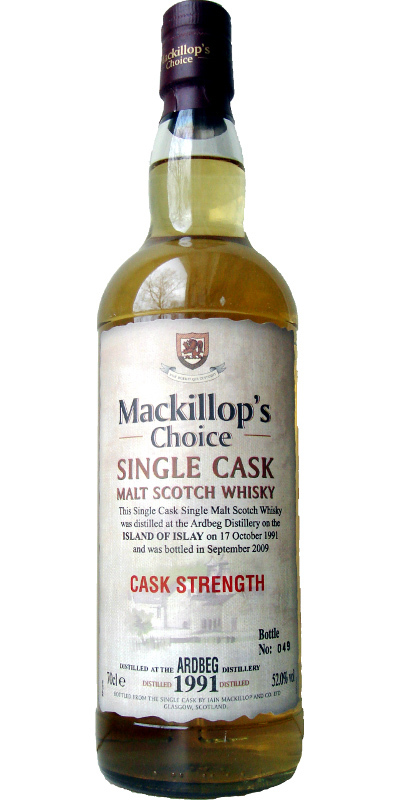 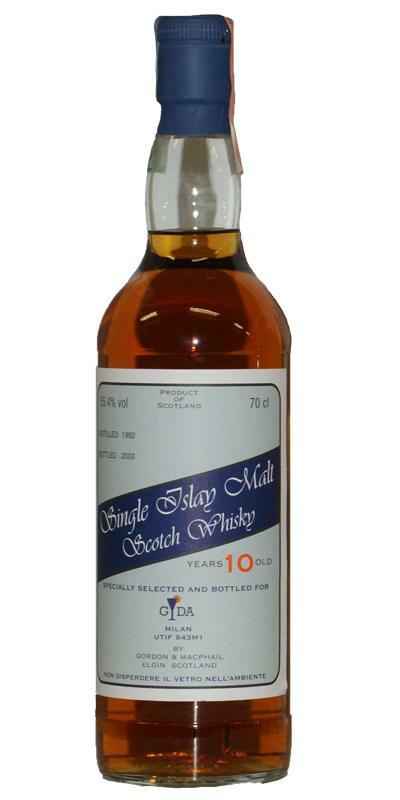 Islay Fusion 16-year-old MI 16 46.0 % Vol.